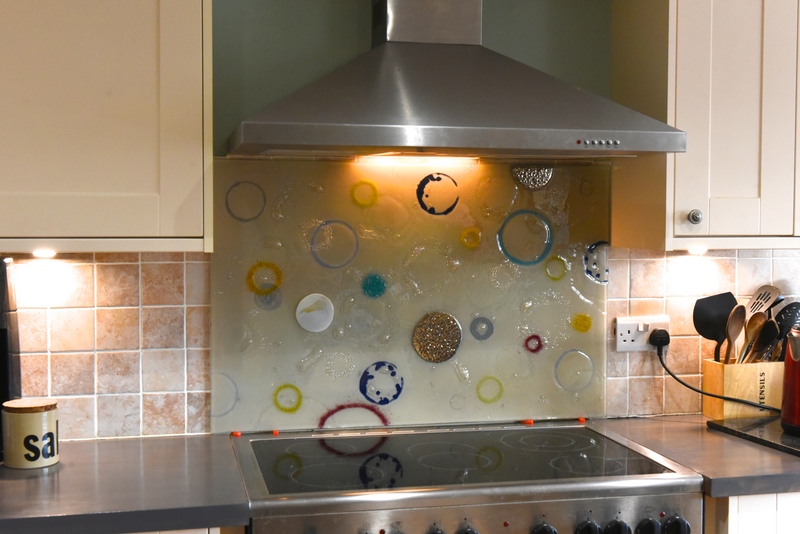 There are bespoke glass accessories in all shapes and sizes here at The House of Ugly Fish, with an almost endless variety to be found in colours, designs and more. 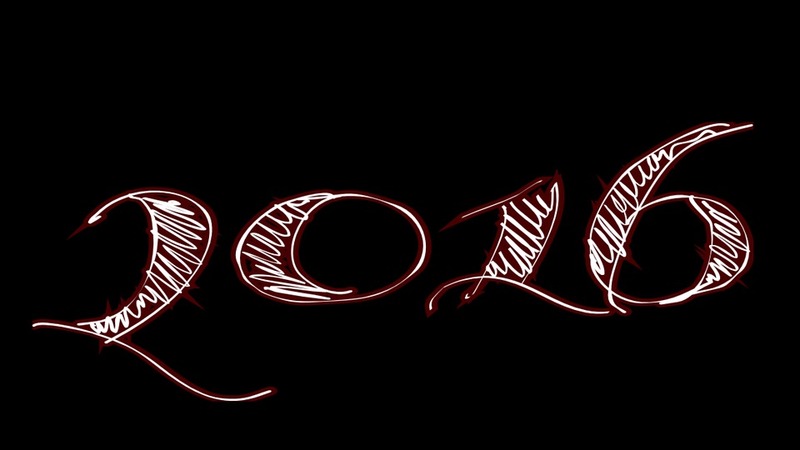 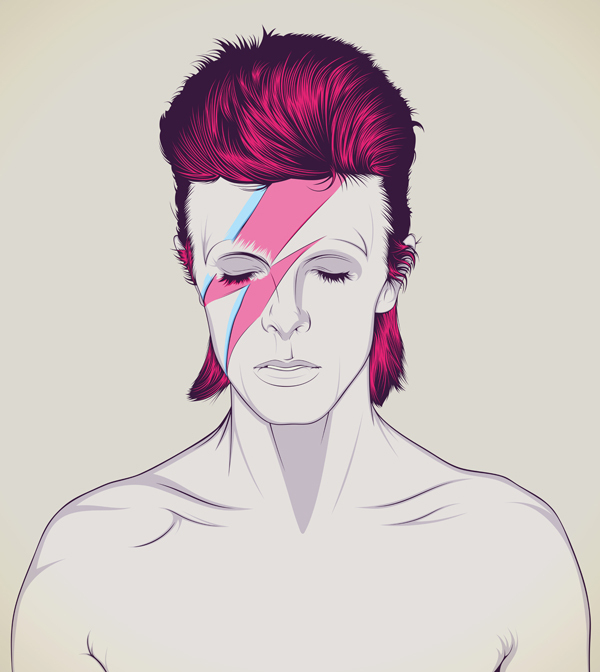 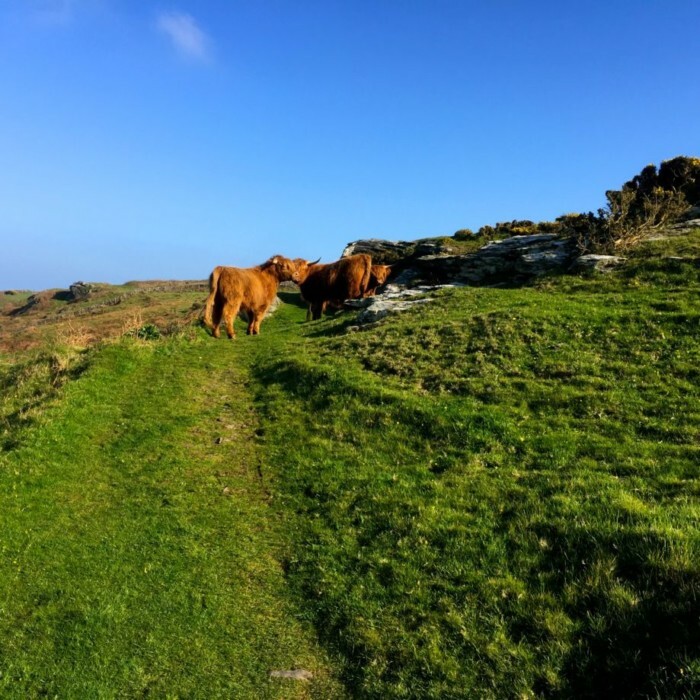 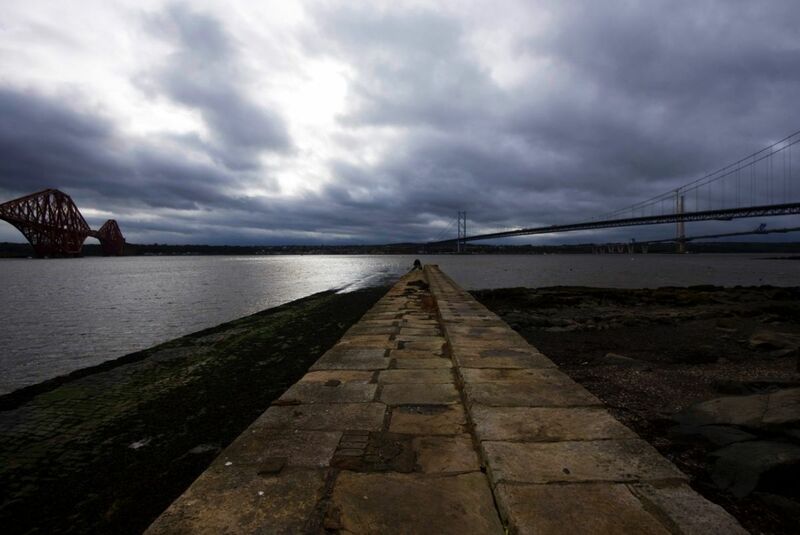 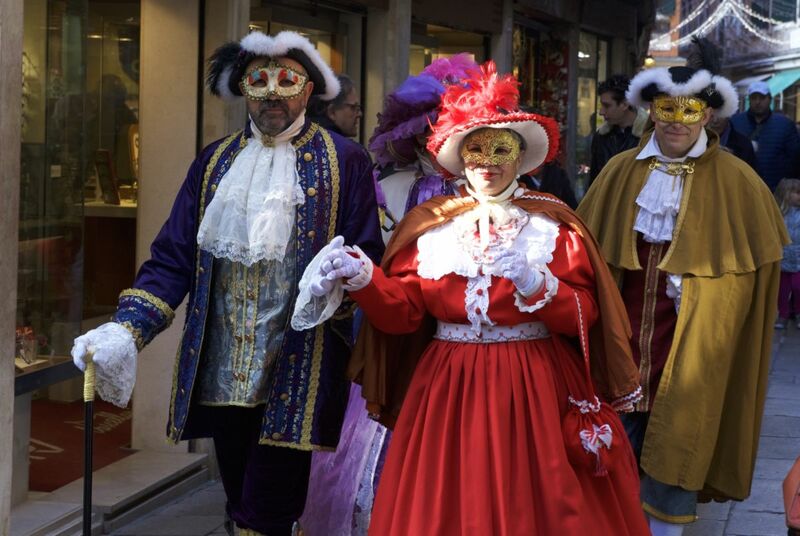 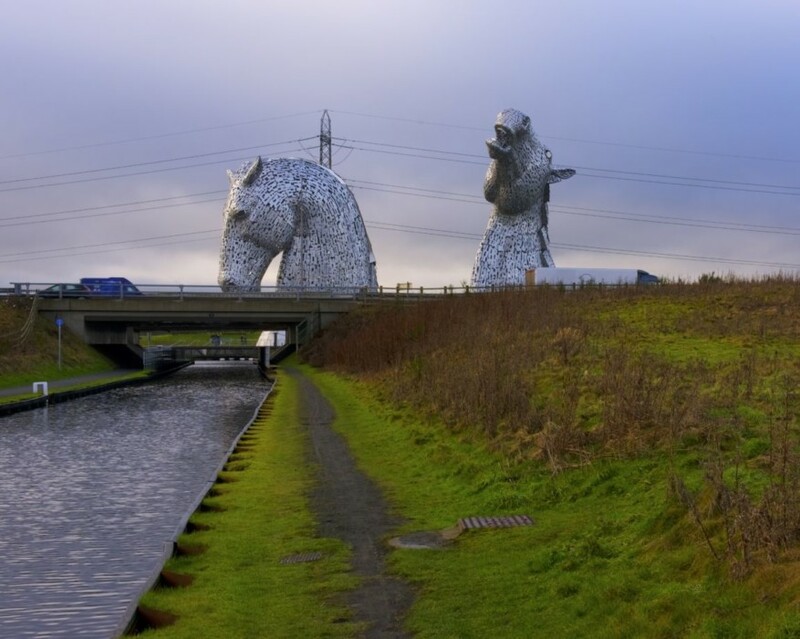 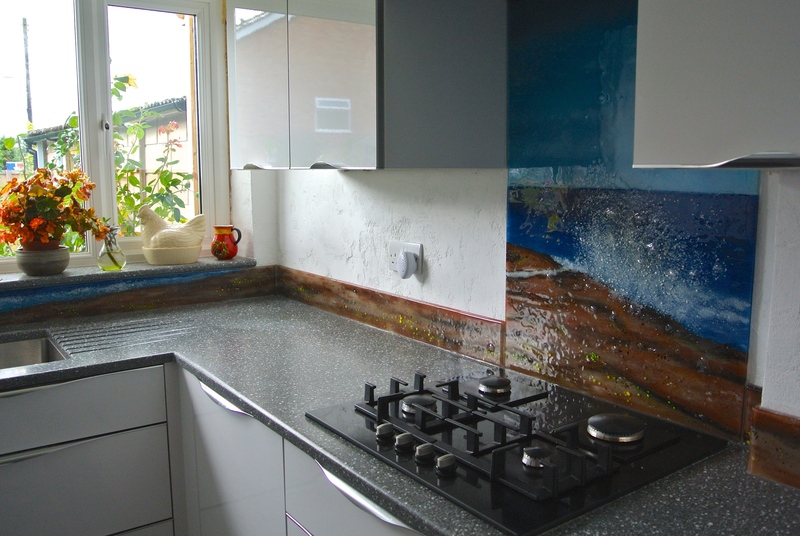 Take the image heading this blog as a great example. 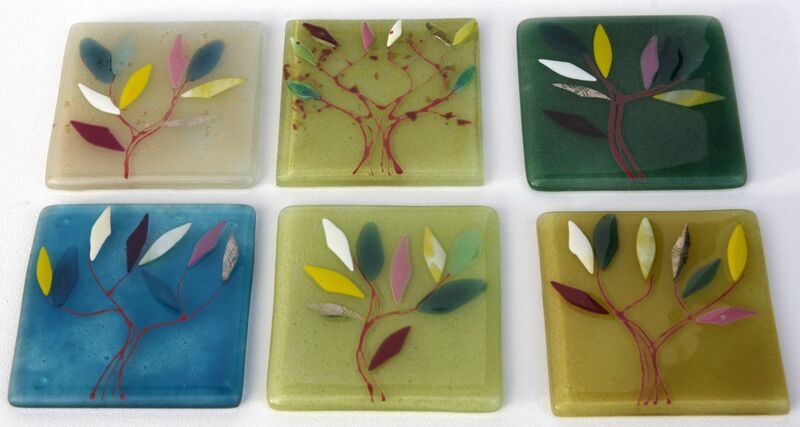 It shows off a beautiful example of six matching coasters, but we have everything from fruit bowls and soap dishes all the way to particularly unique accessories like our Rospo lights. 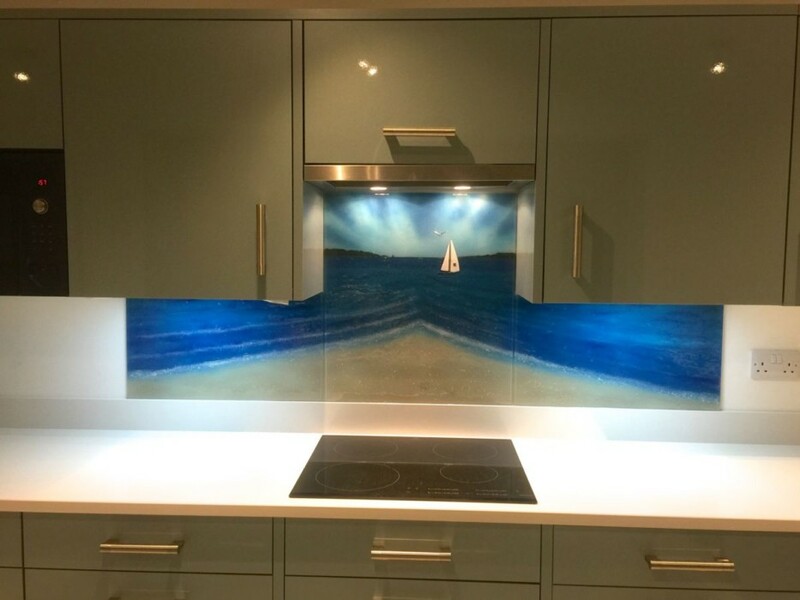 You might be missing out! 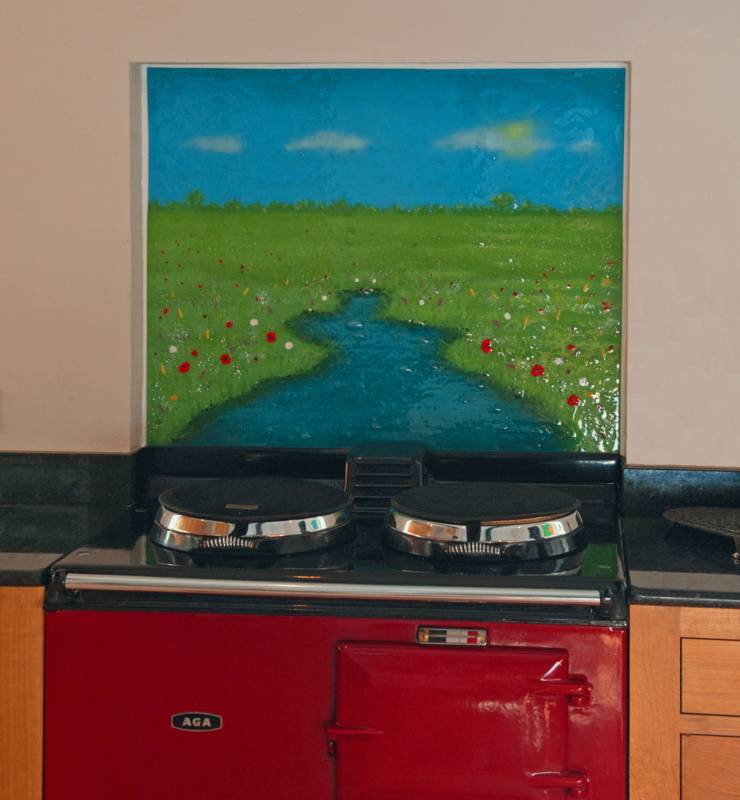 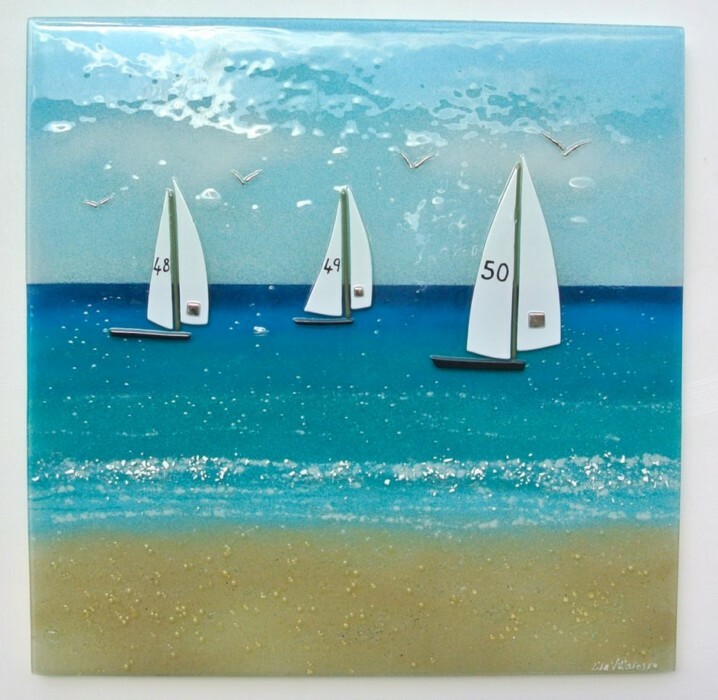 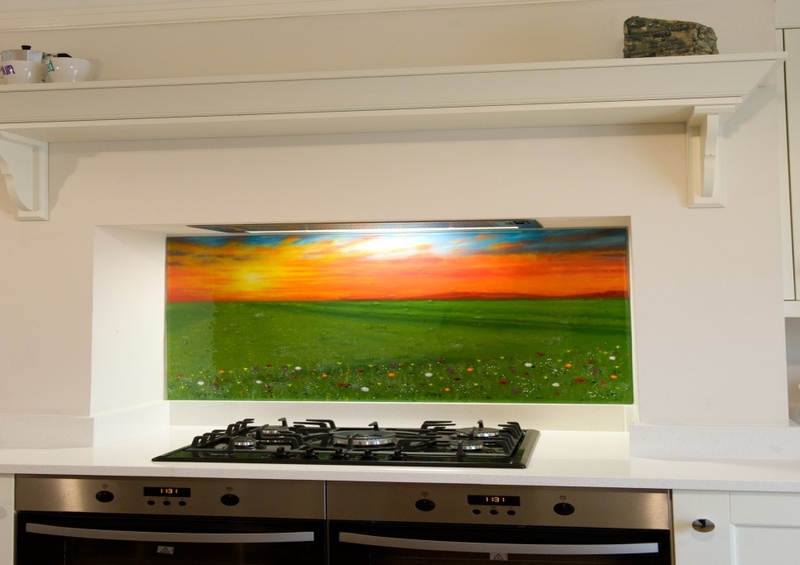 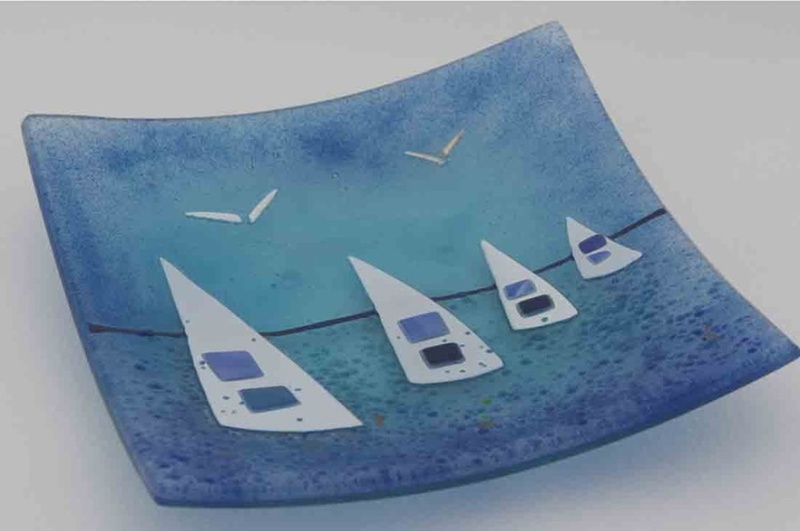 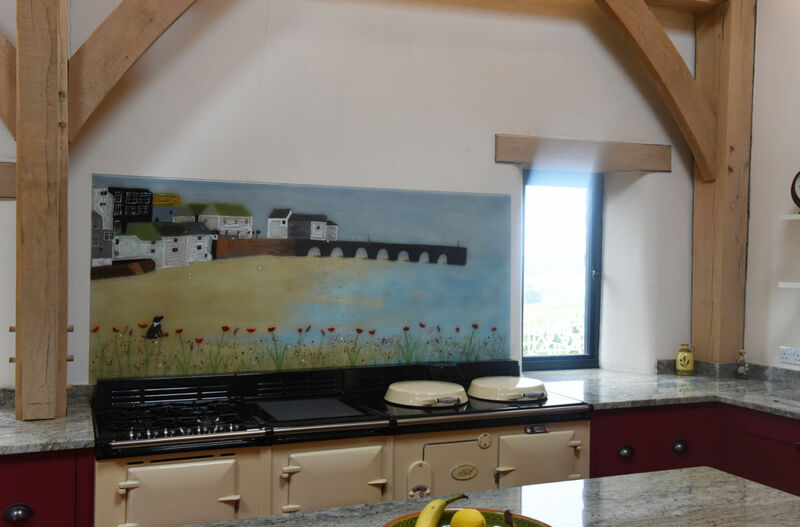 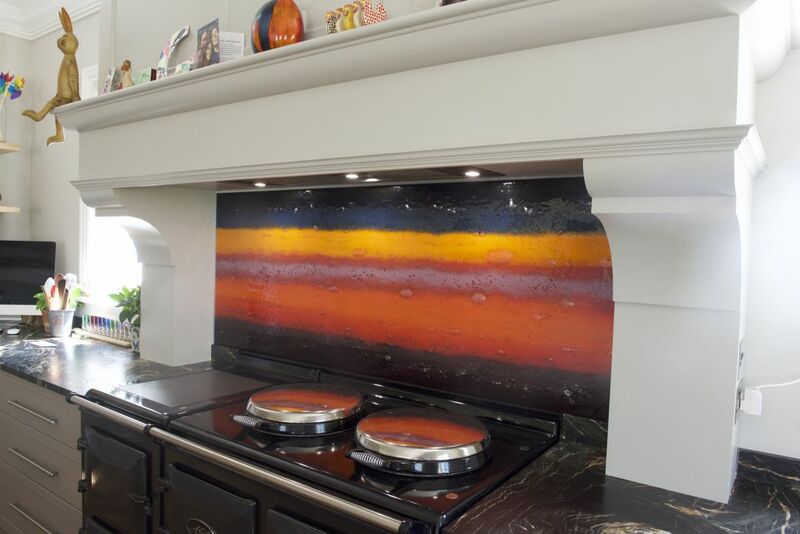 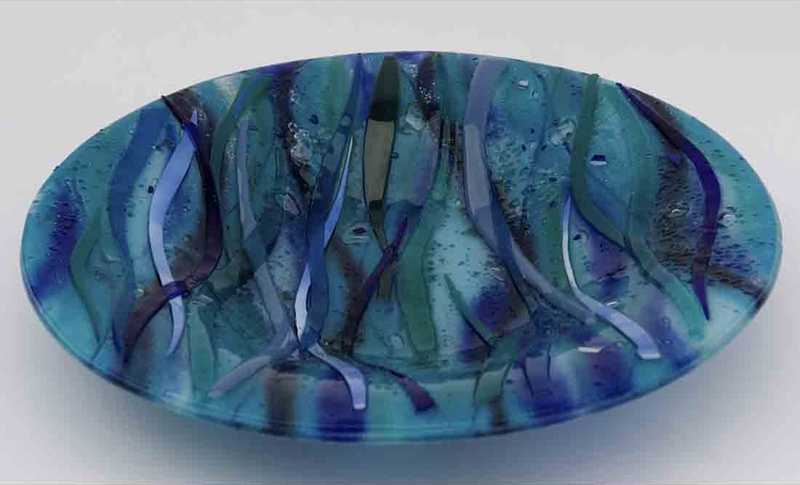 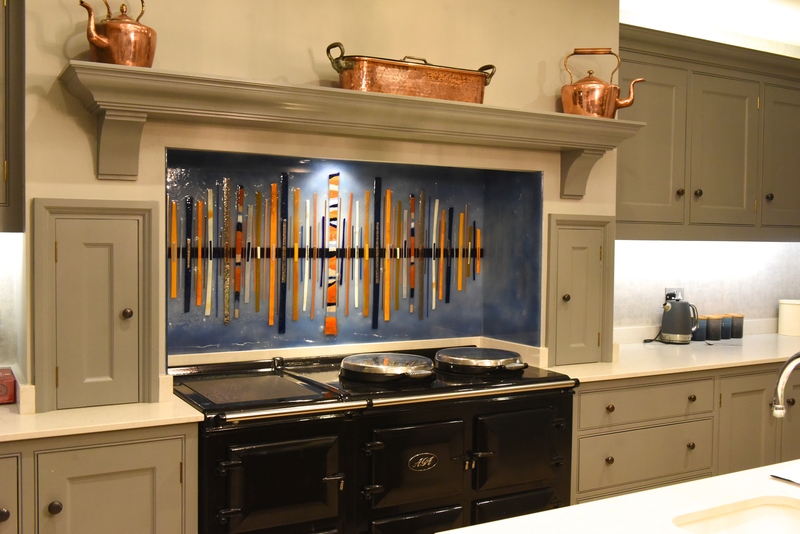 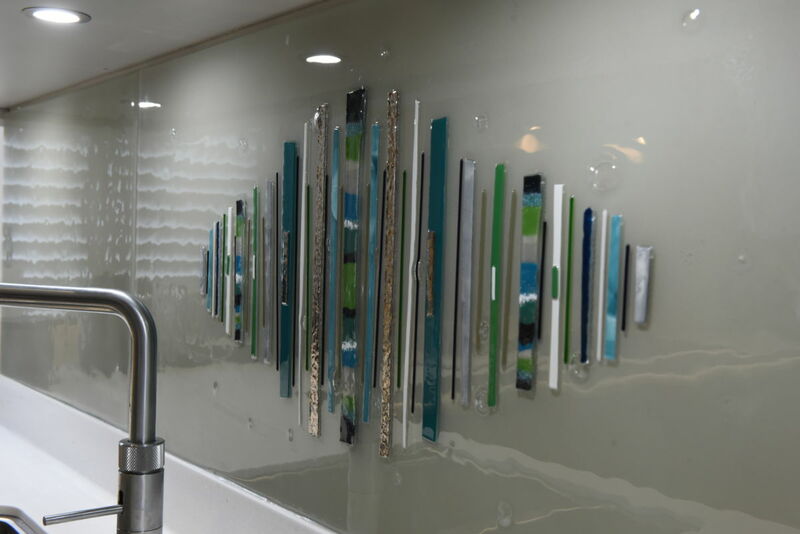 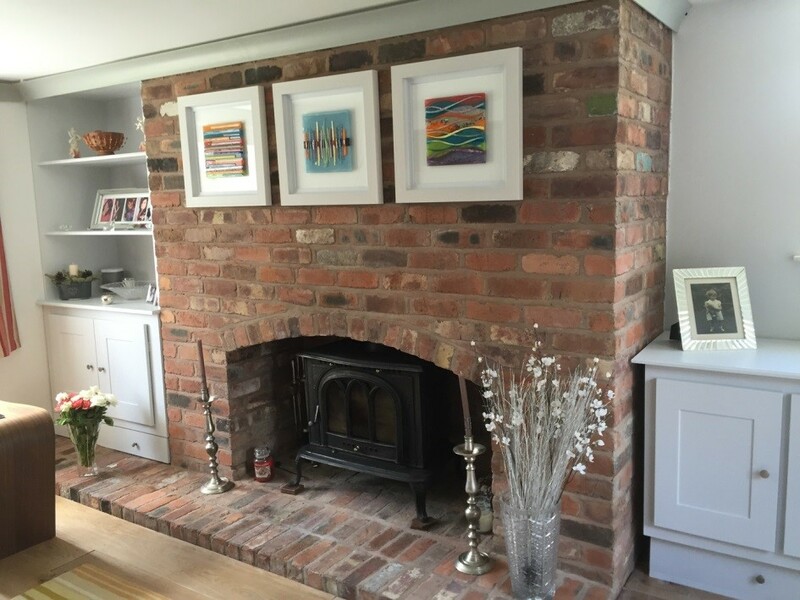 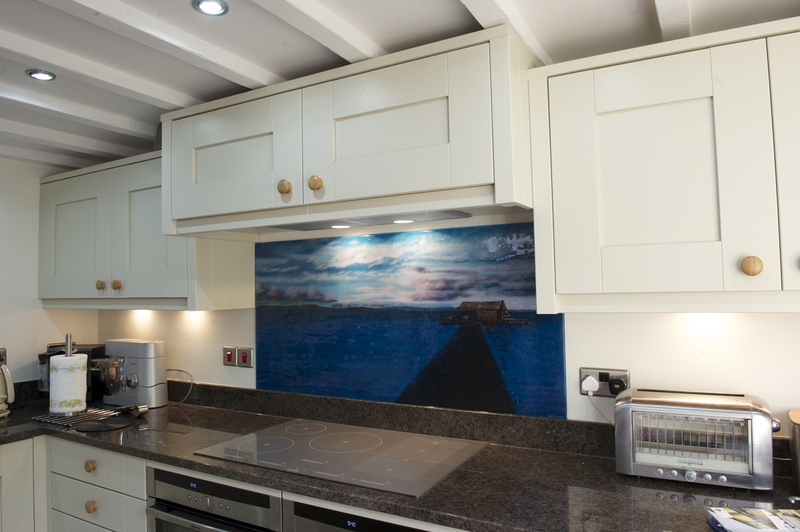 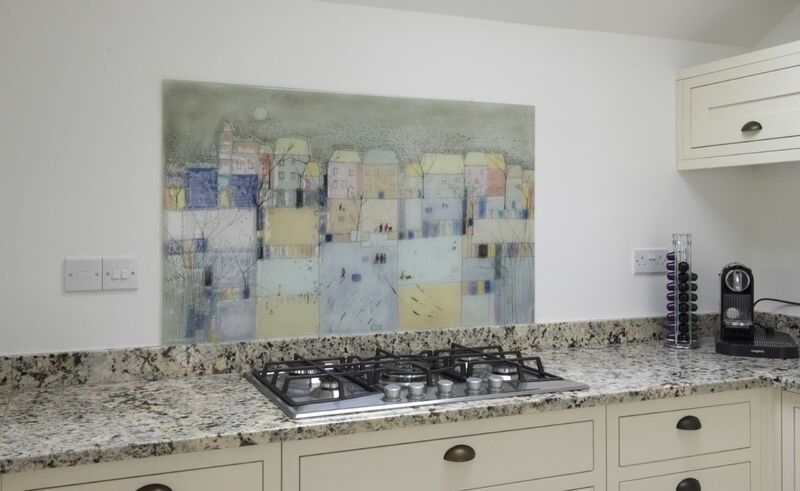 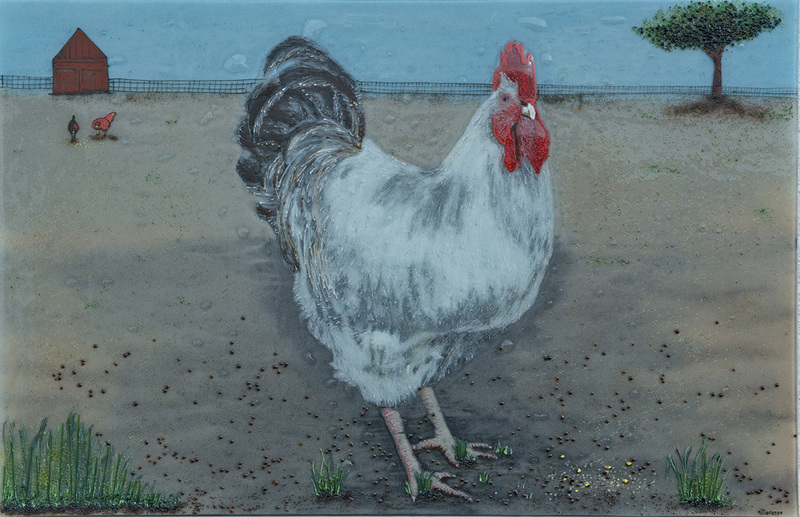 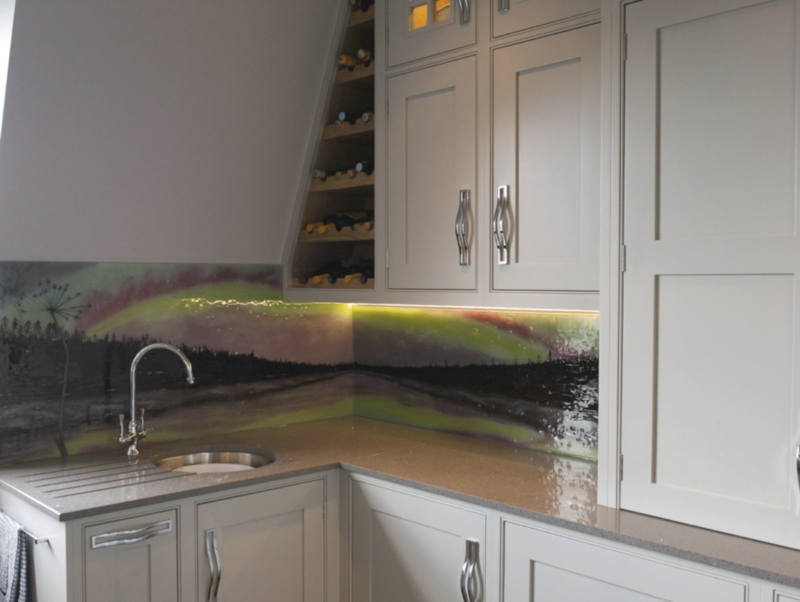 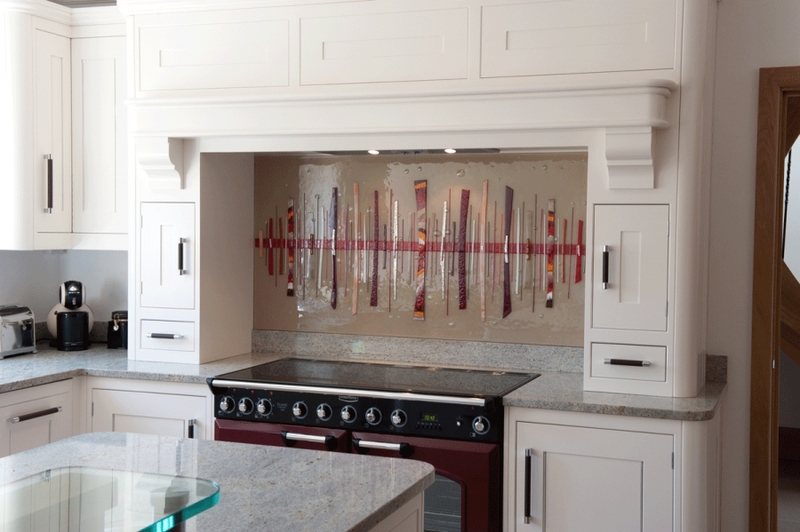 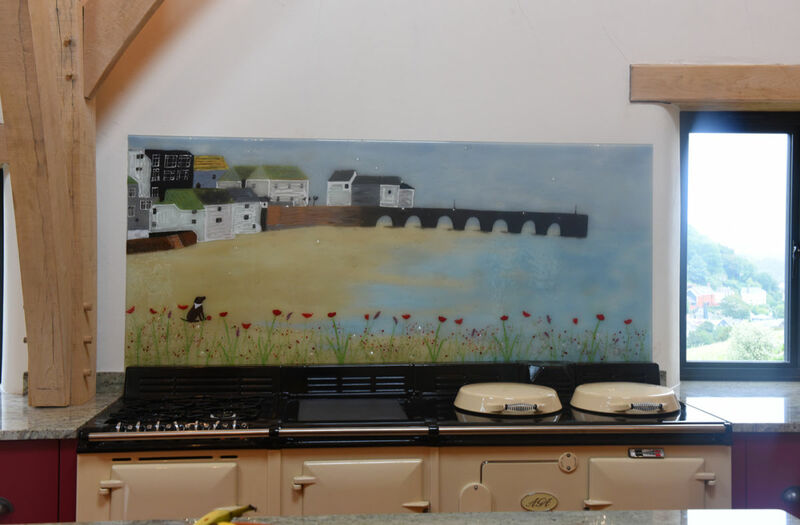 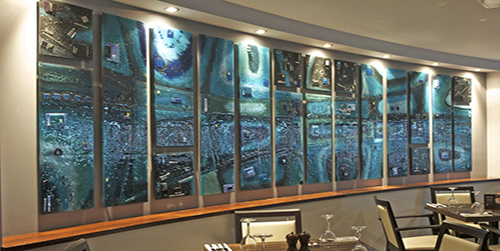 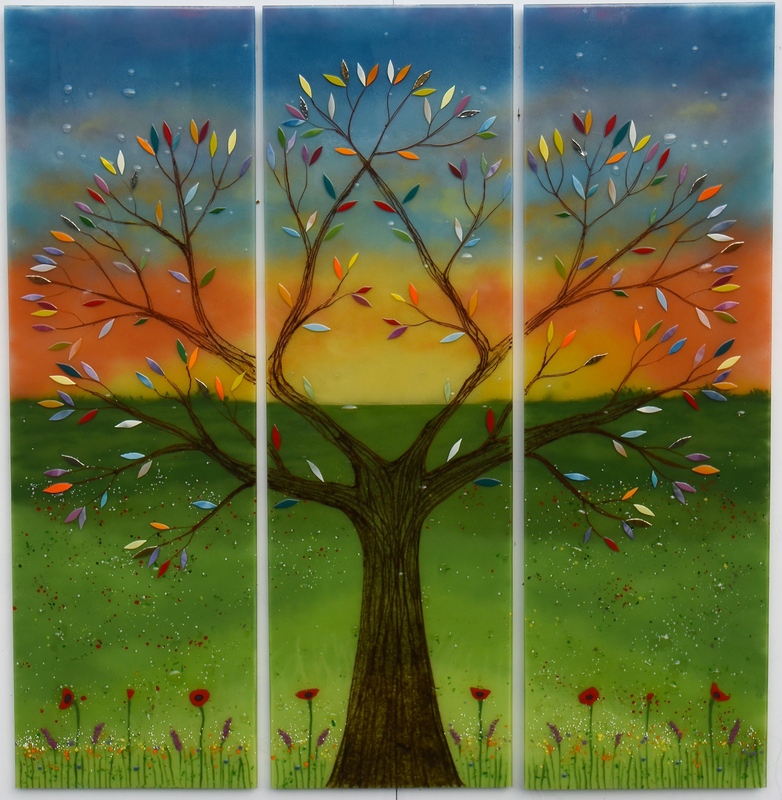 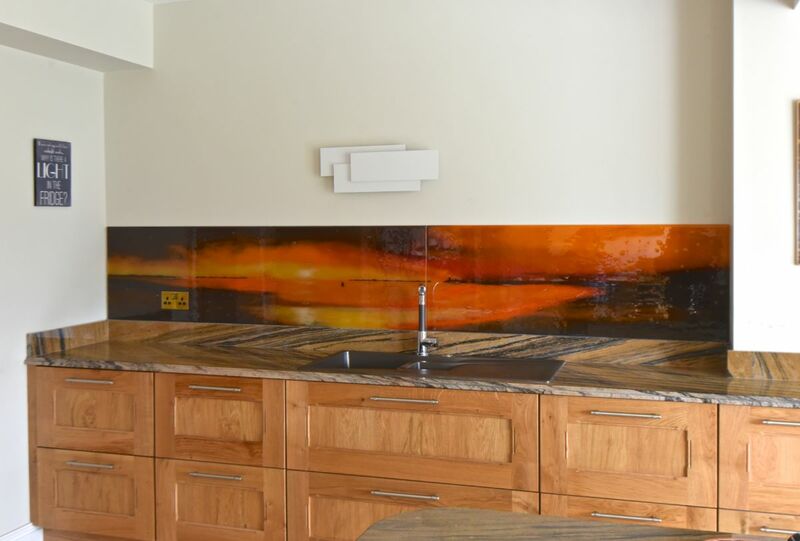 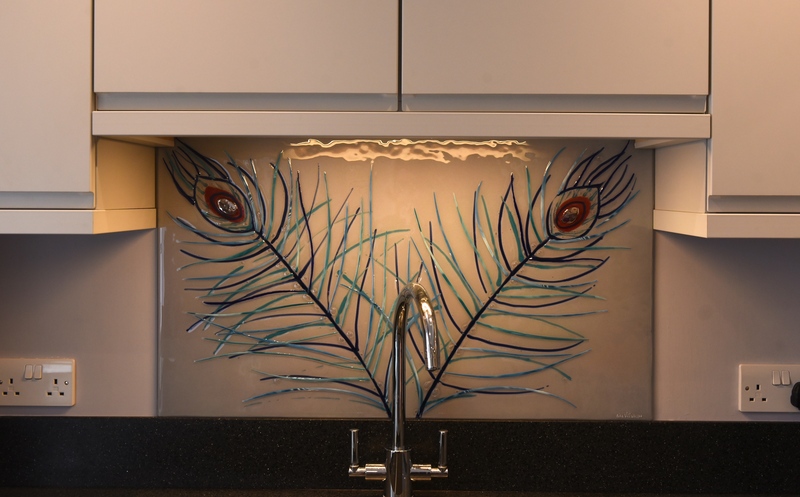 You can find plenty of examples here on the website, but keep in mind – your own fused glass art can look just the way you want it to. 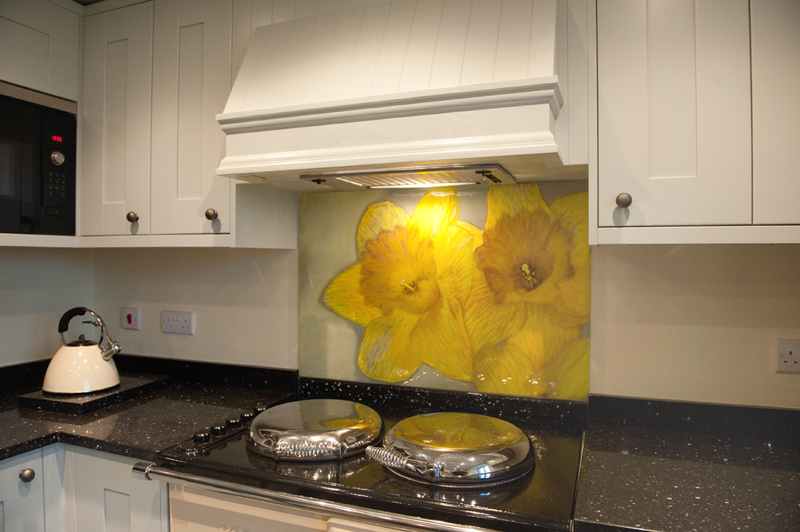 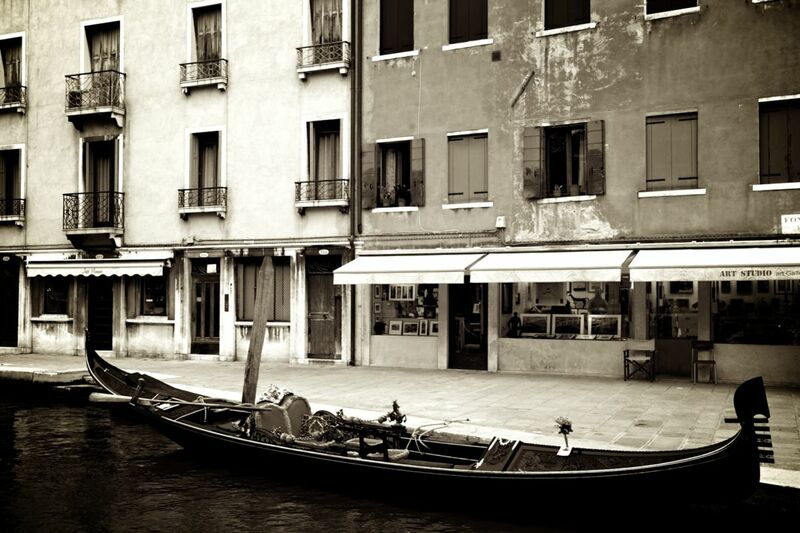 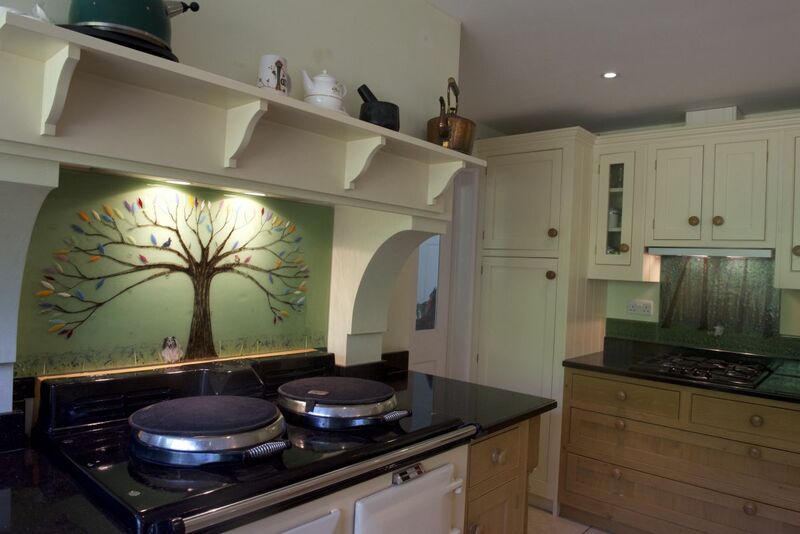 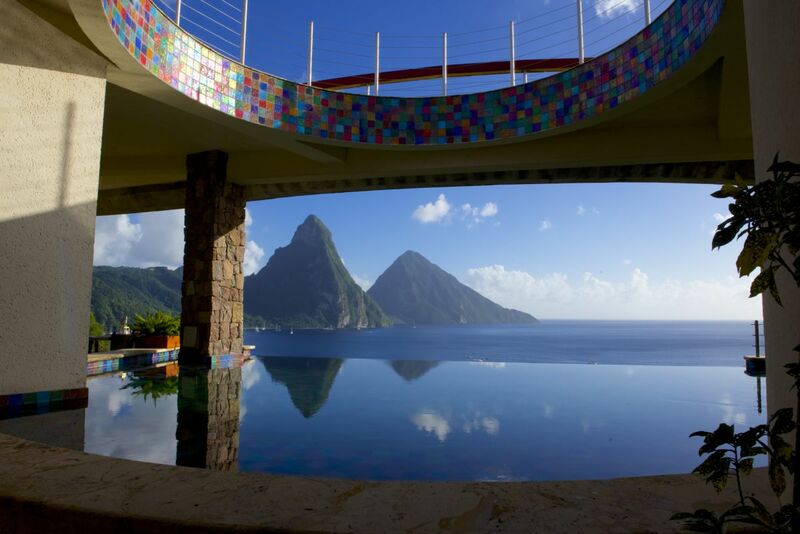 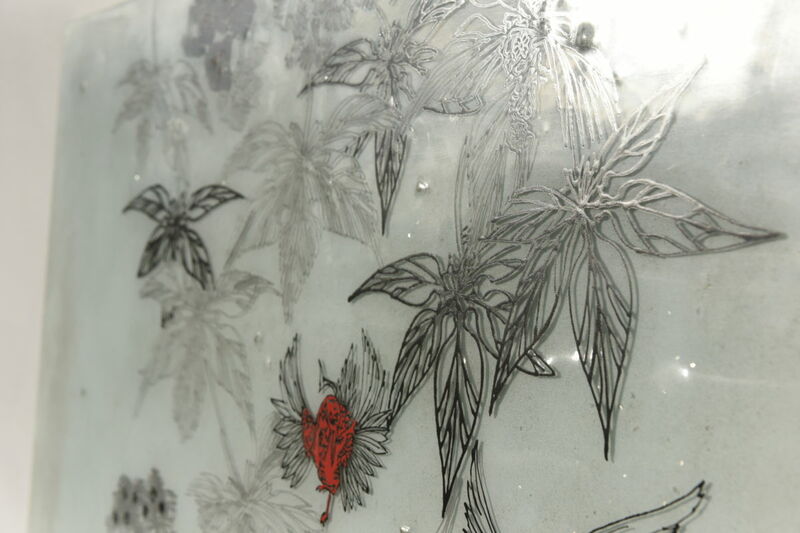 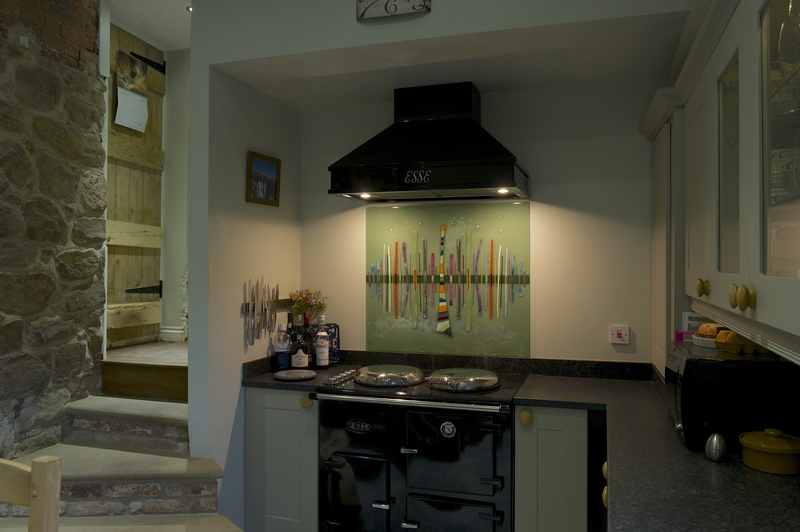 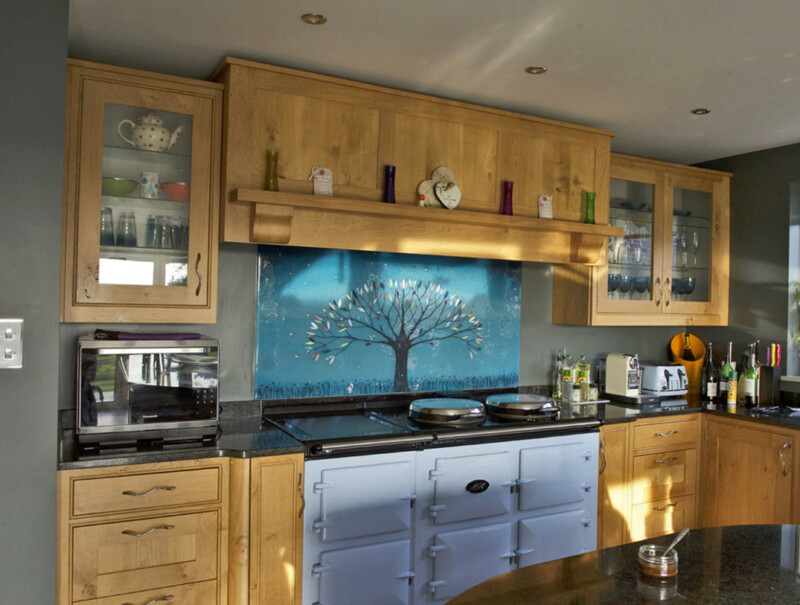 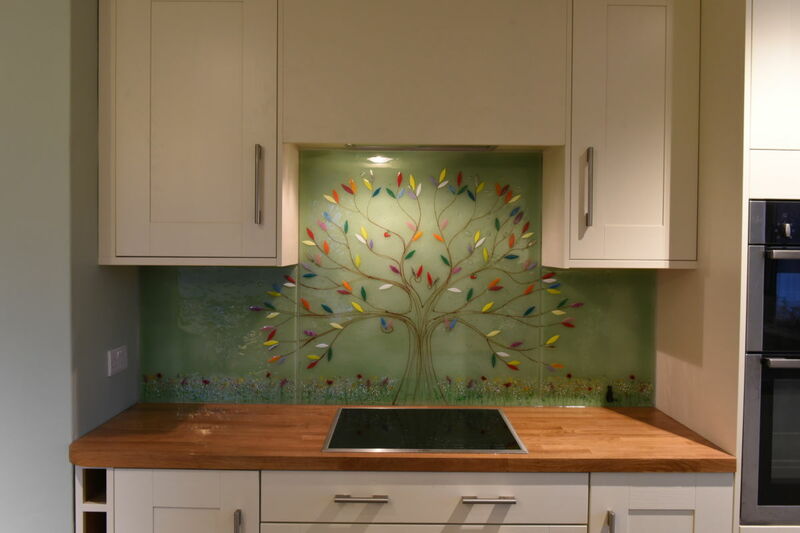 We make every single piece of glass by hand, which is where the “bespoke” in bespoke glass accessories comes into it. 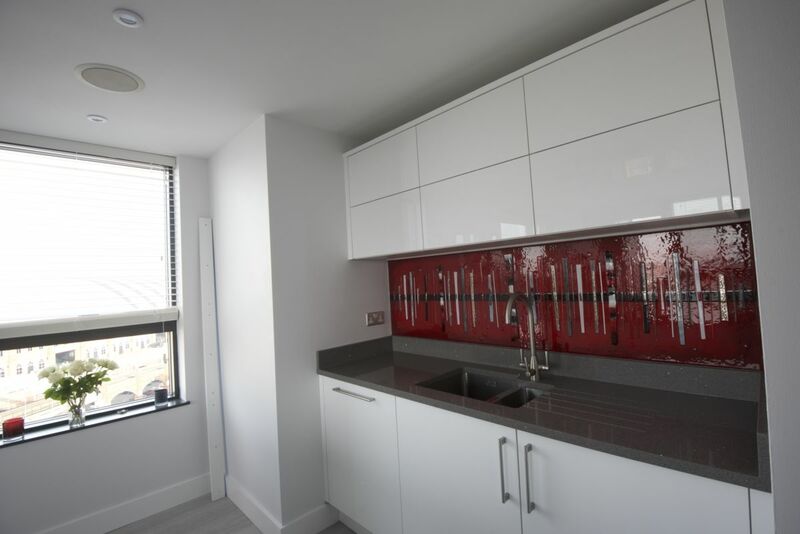 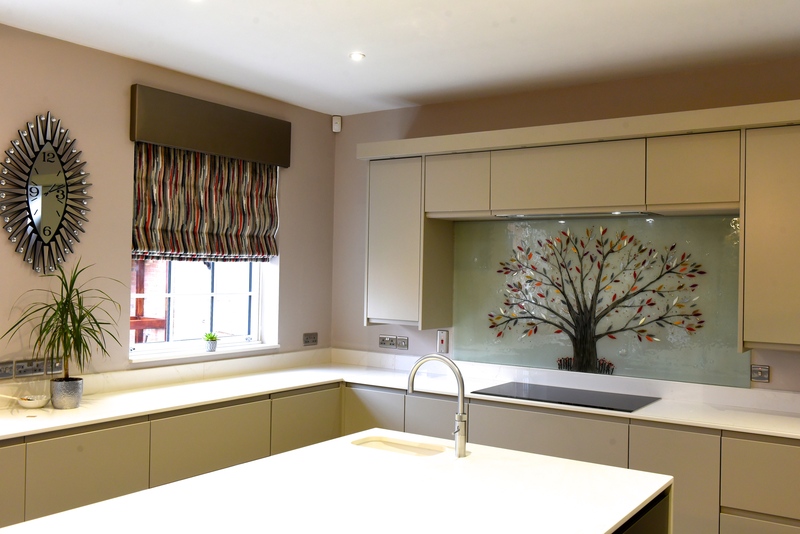 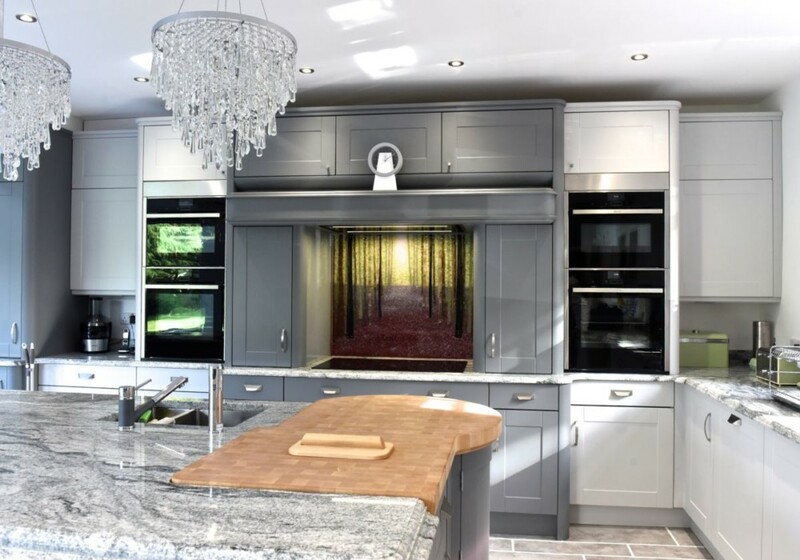 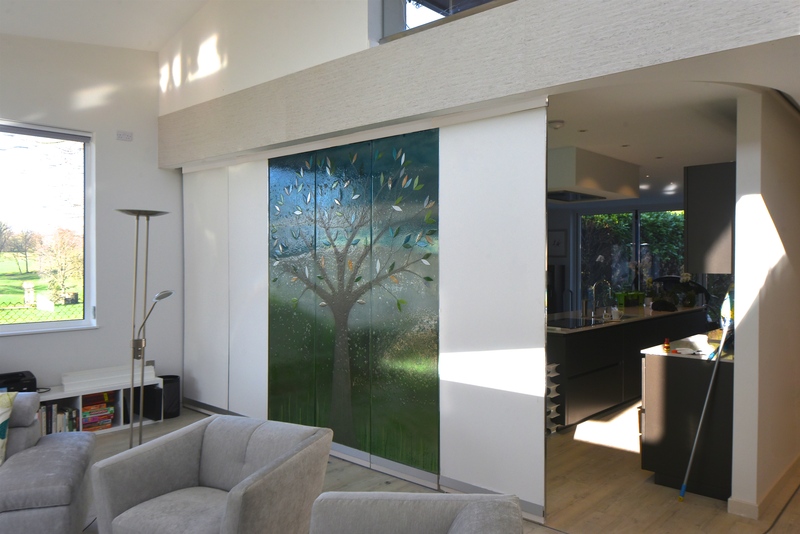 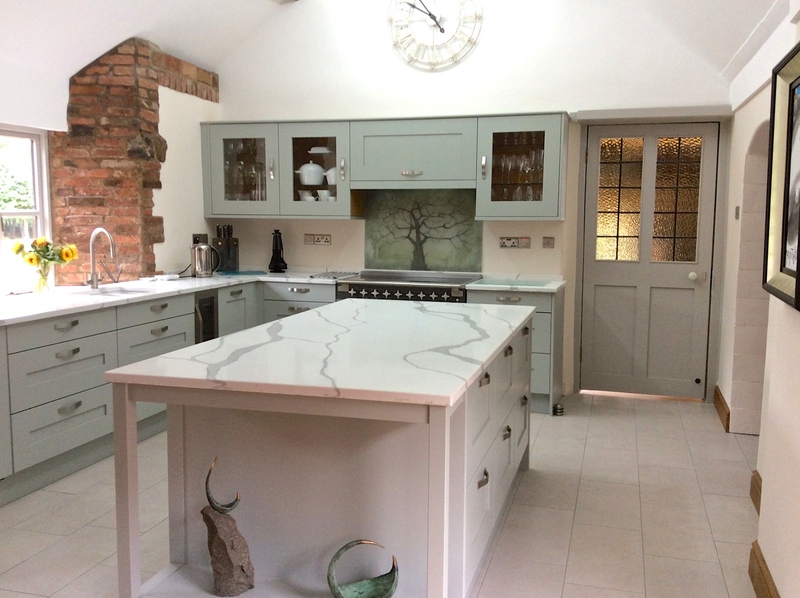 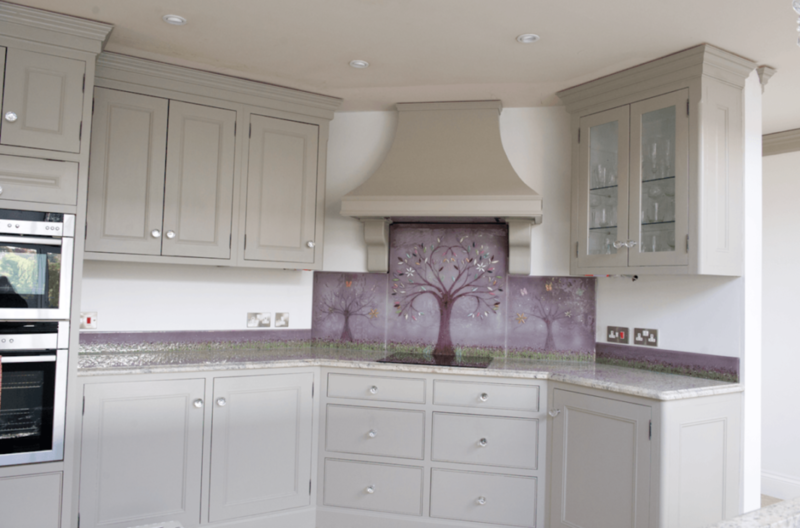 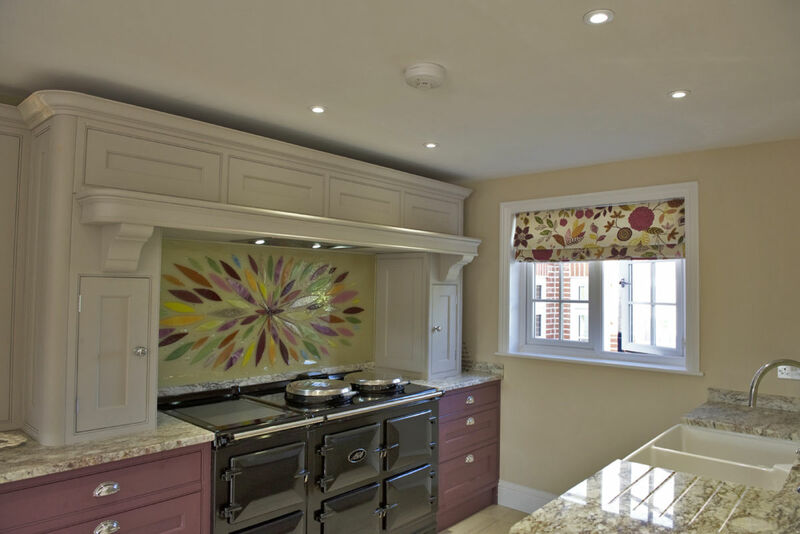 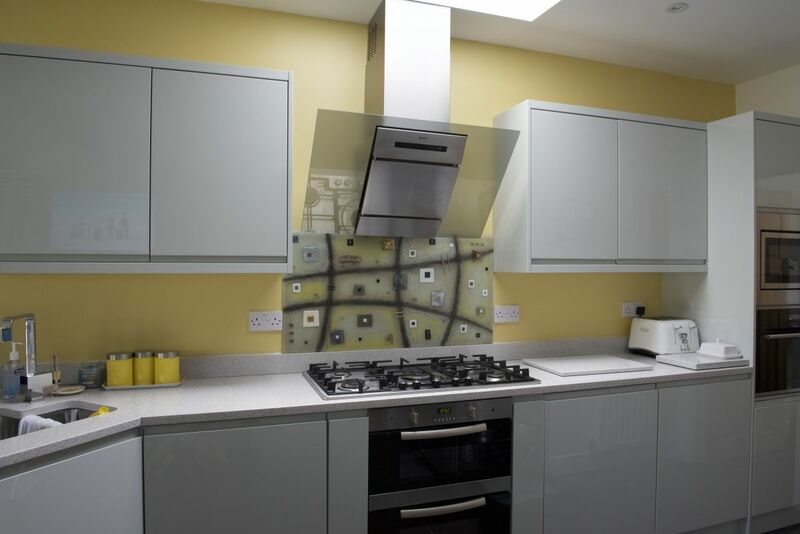 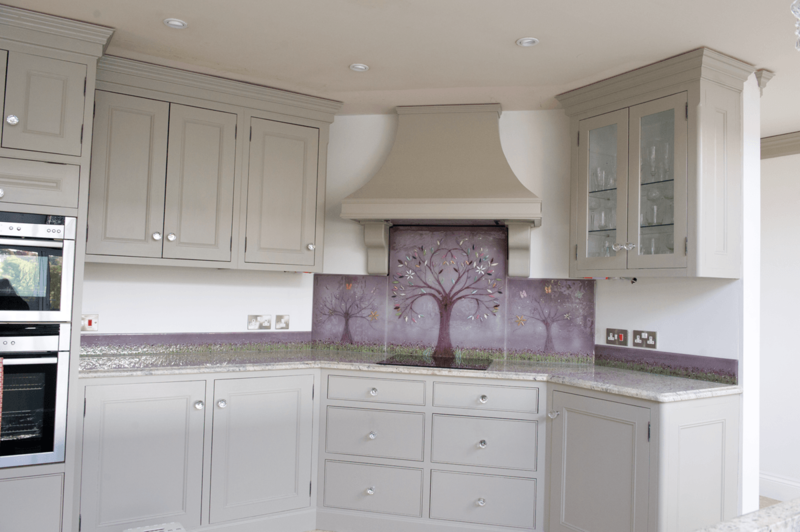 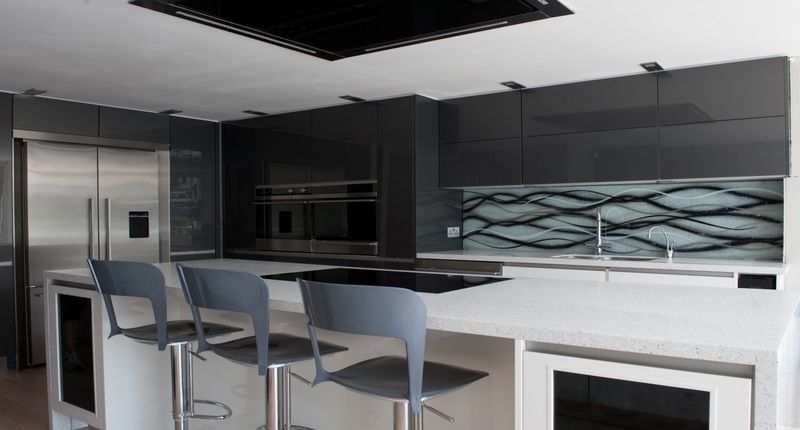 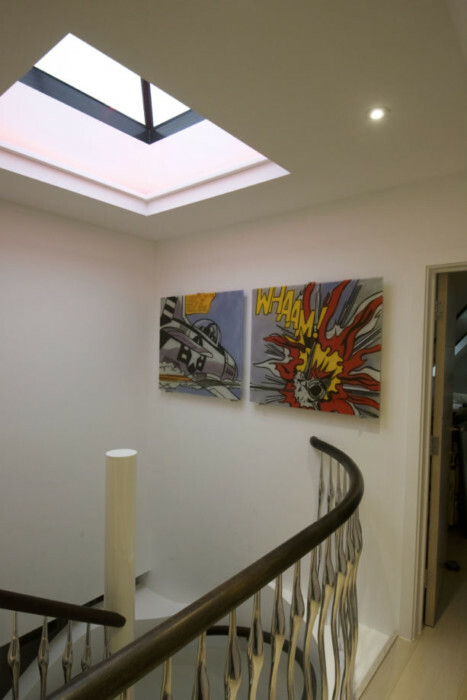 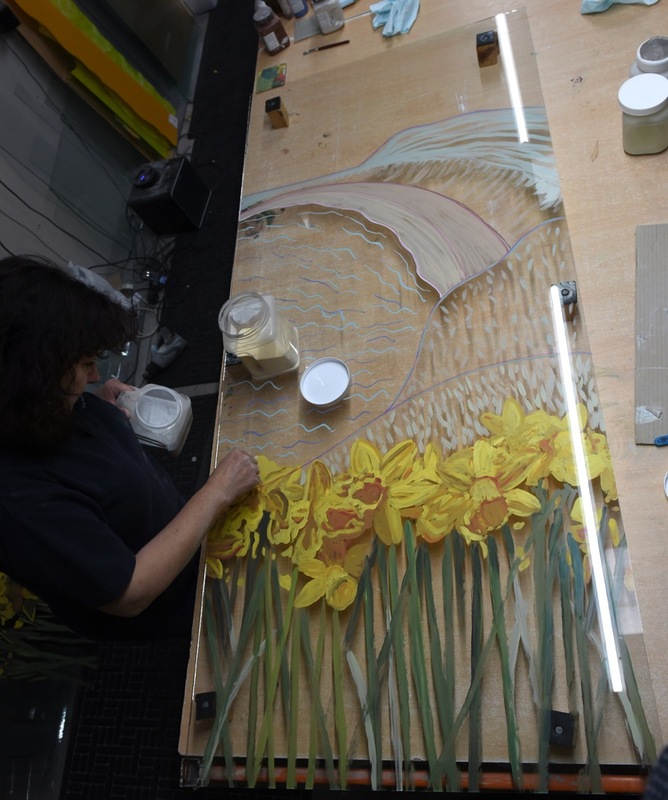 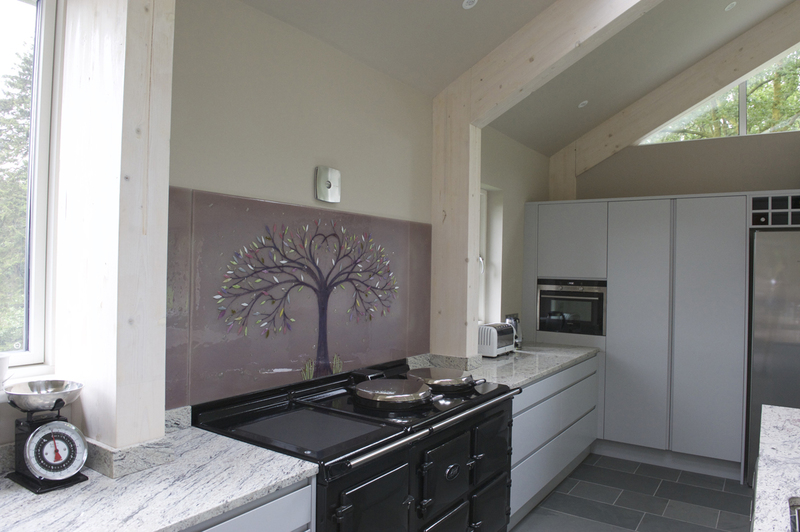 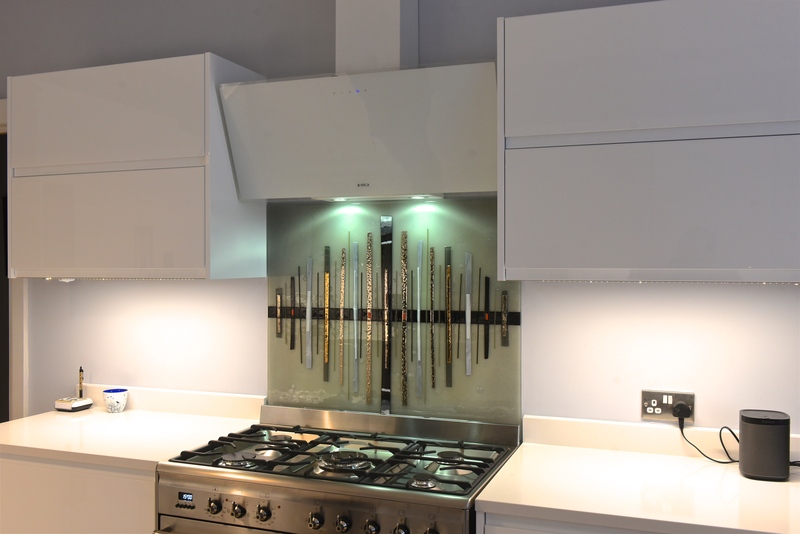 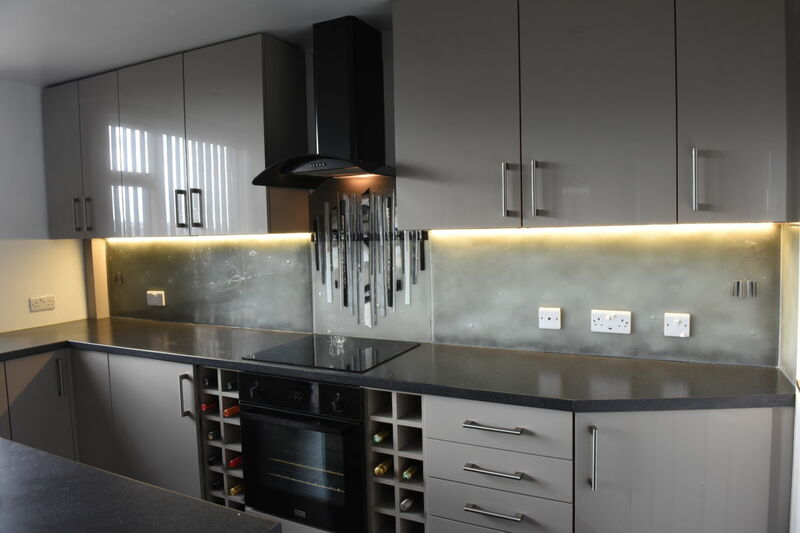 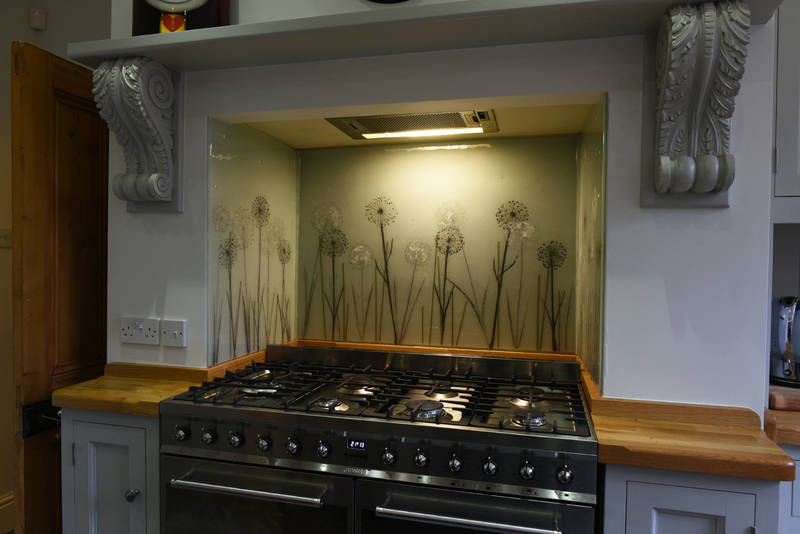 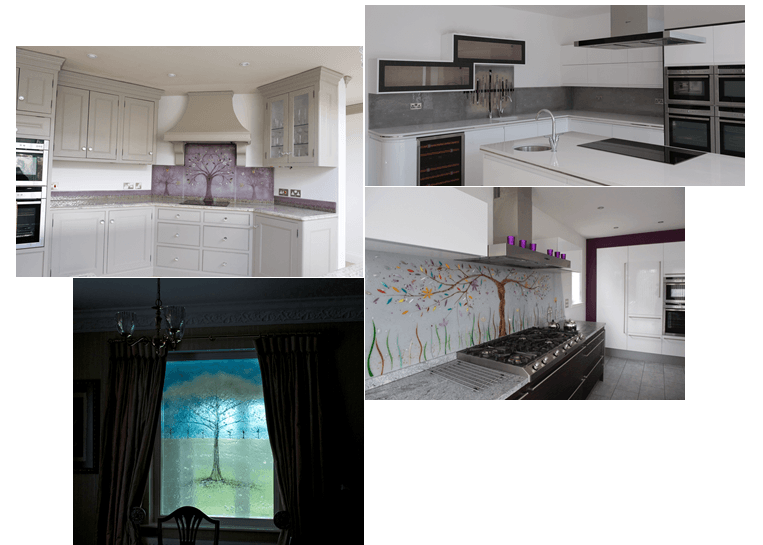 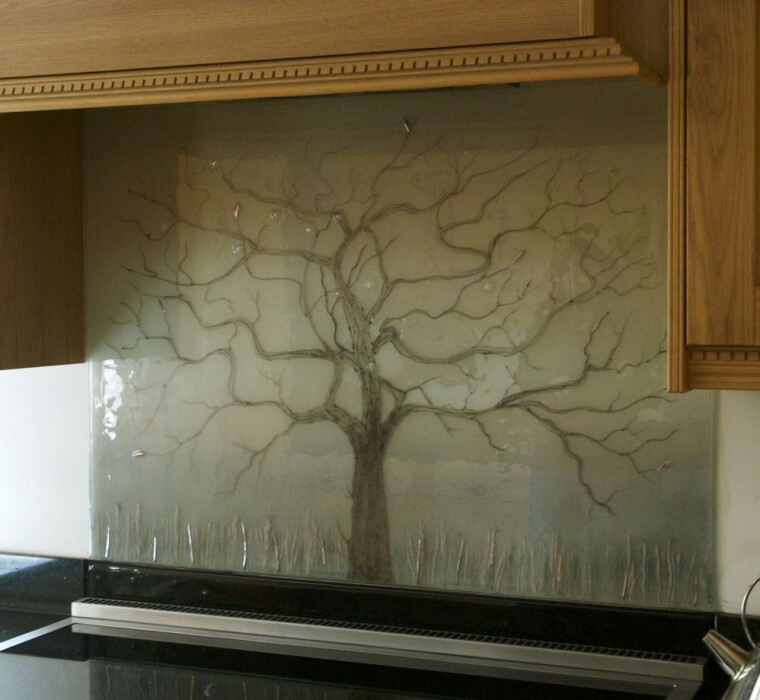 Because each piece is created from scratch on a blank sheet of glass every time, we can customise and personalise the look of the design just about as much as you’d like us to. 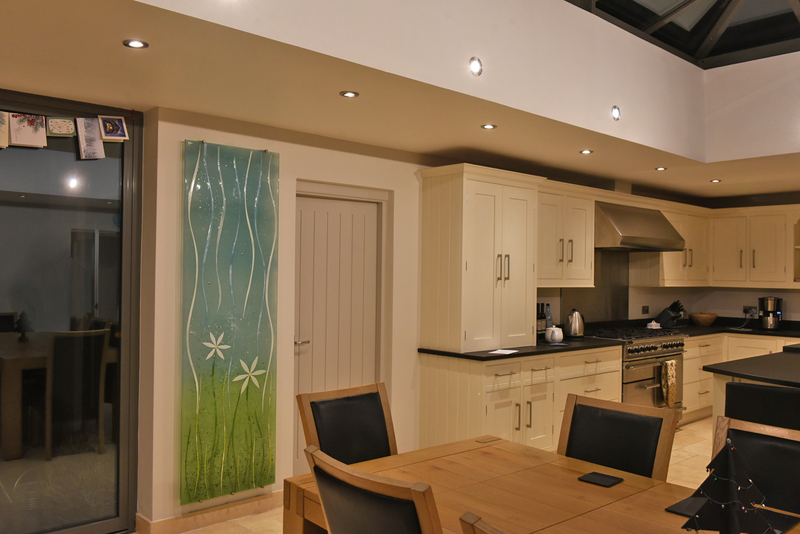 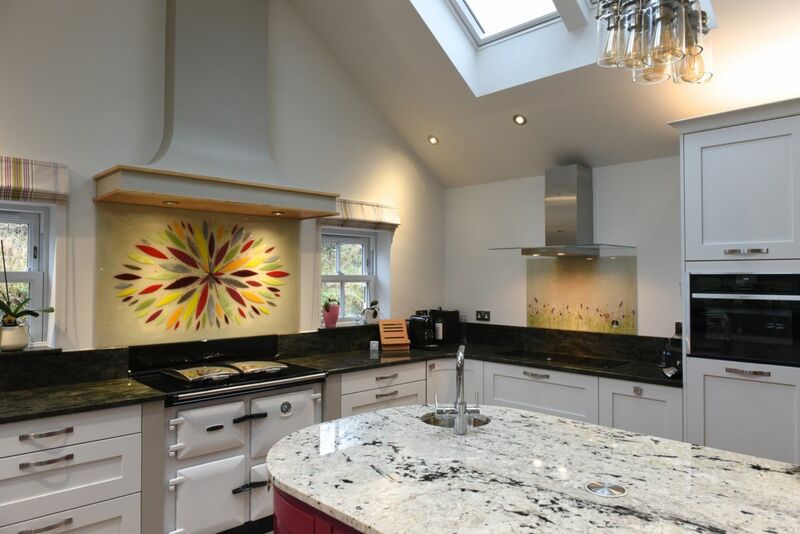 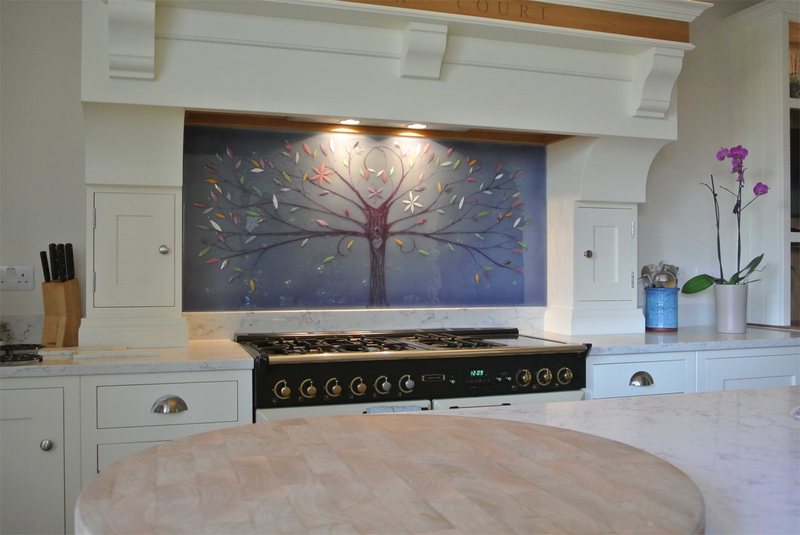 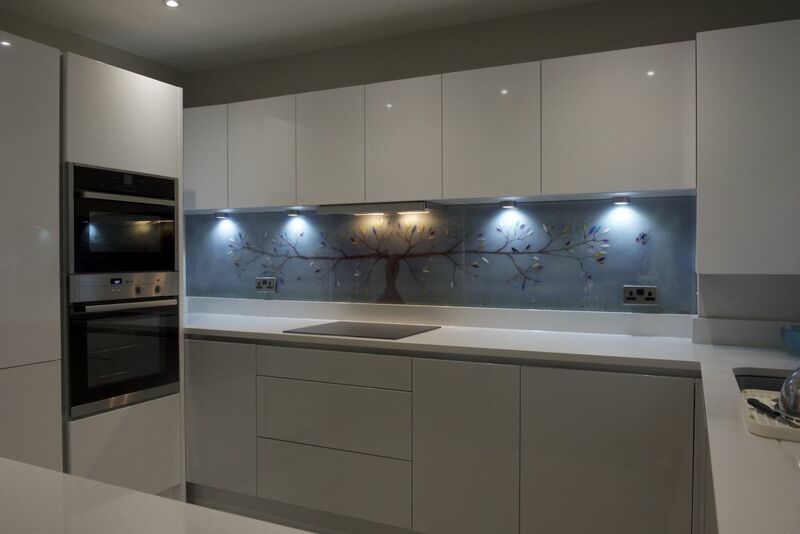 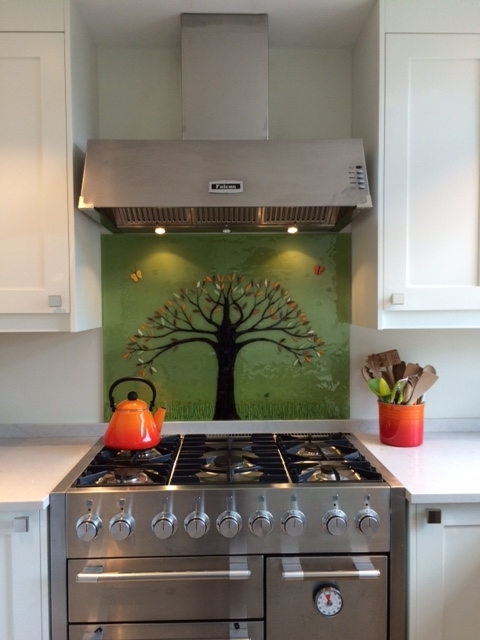 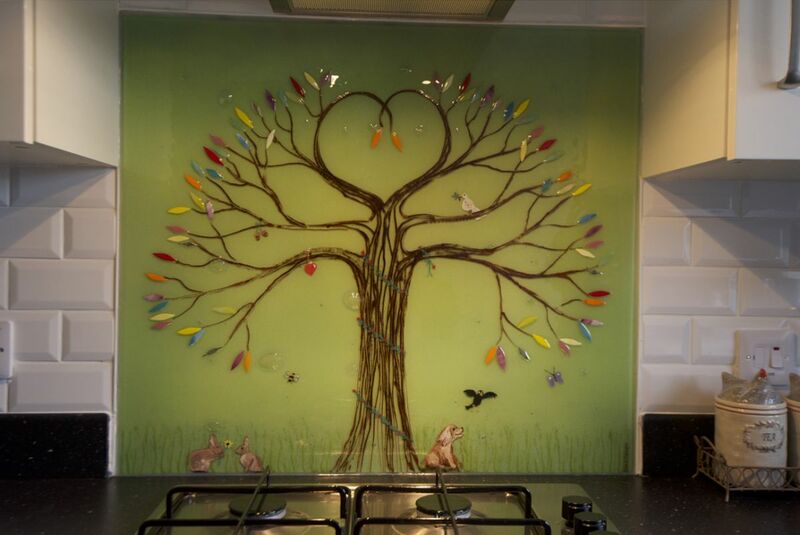 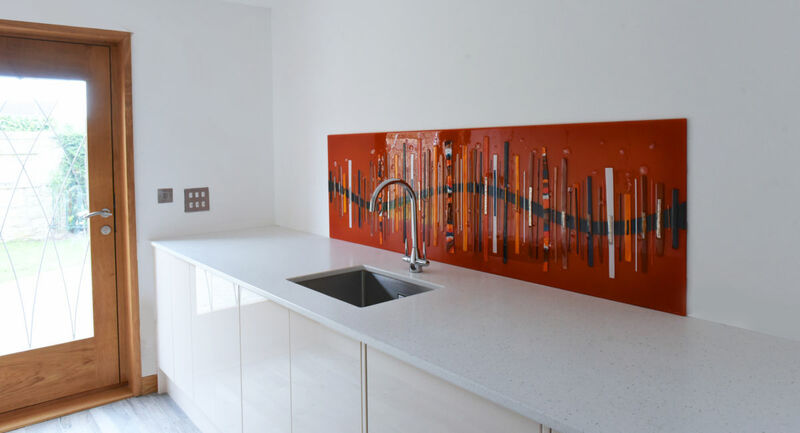 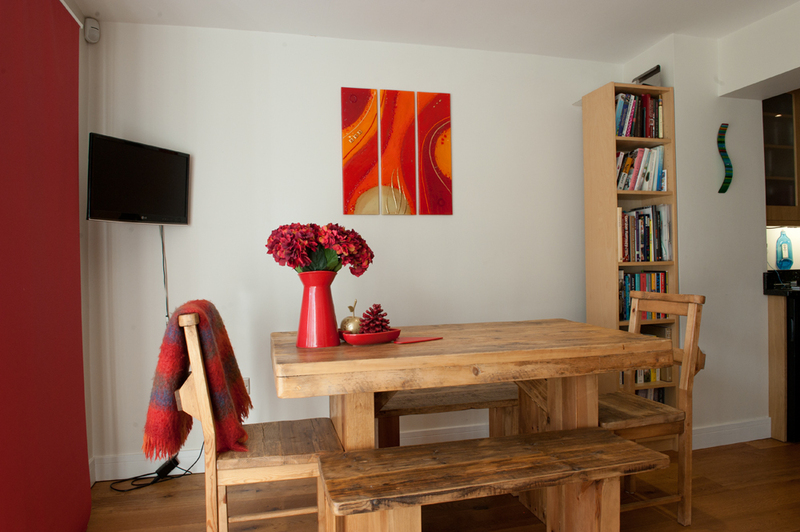 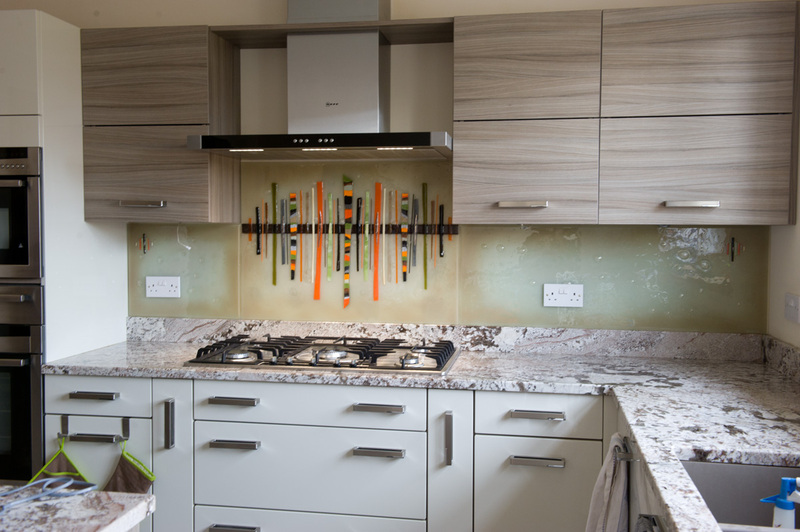 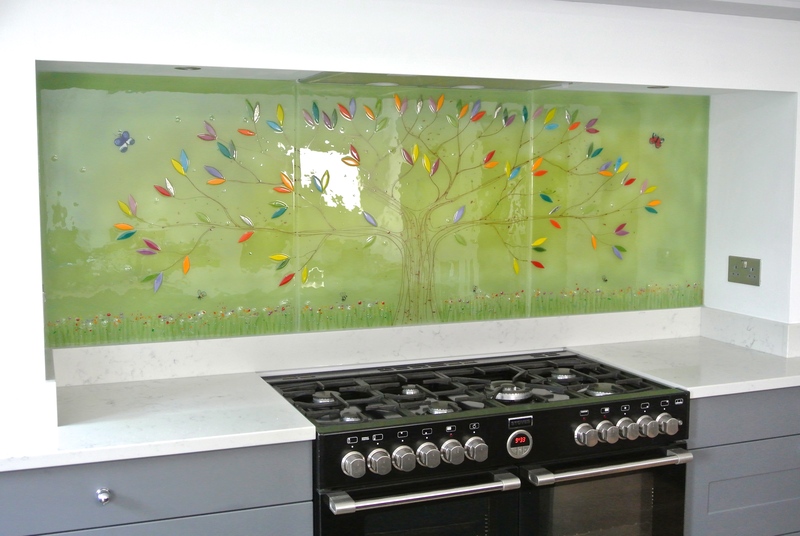 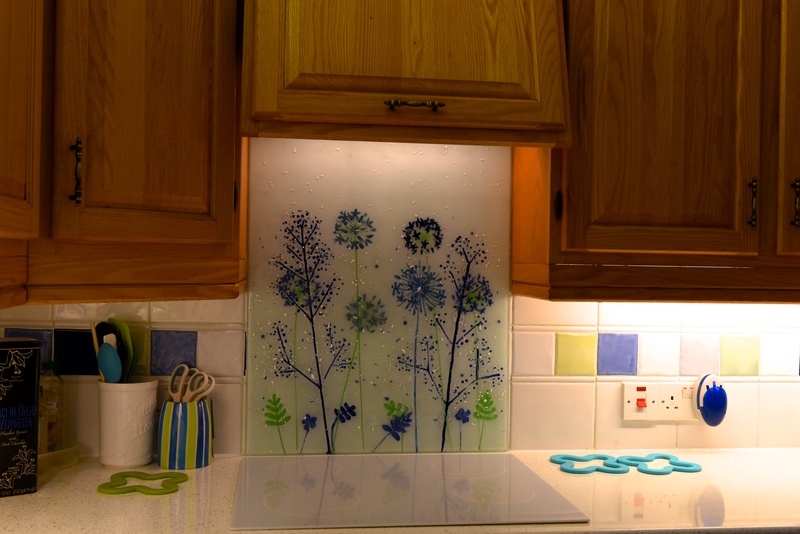 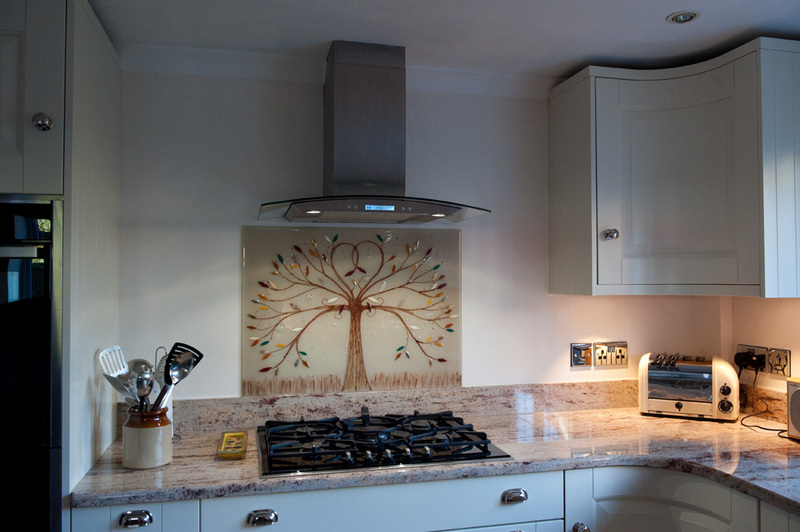 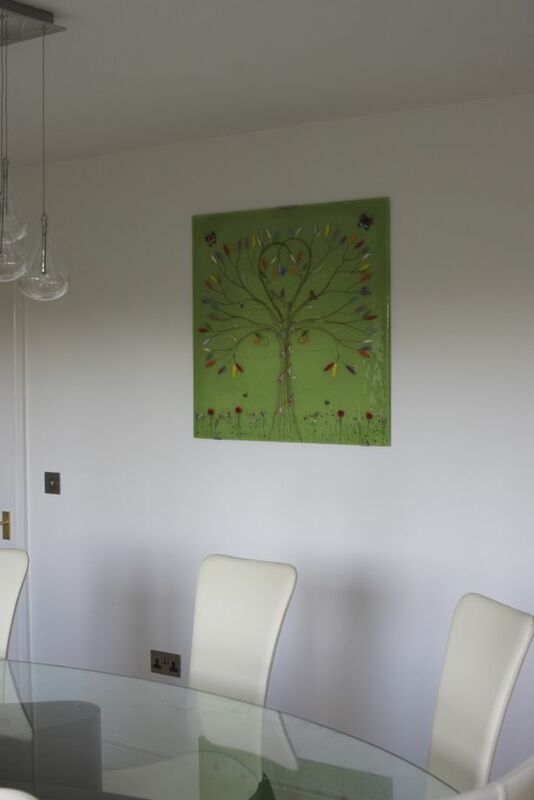 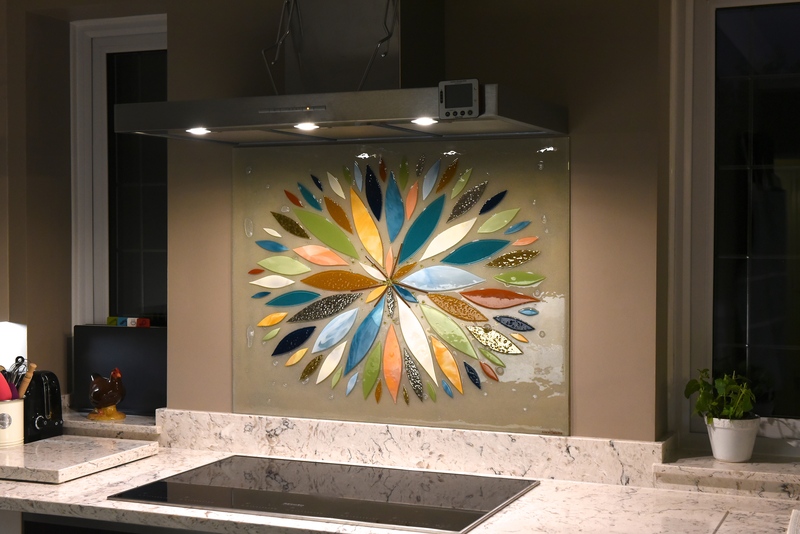 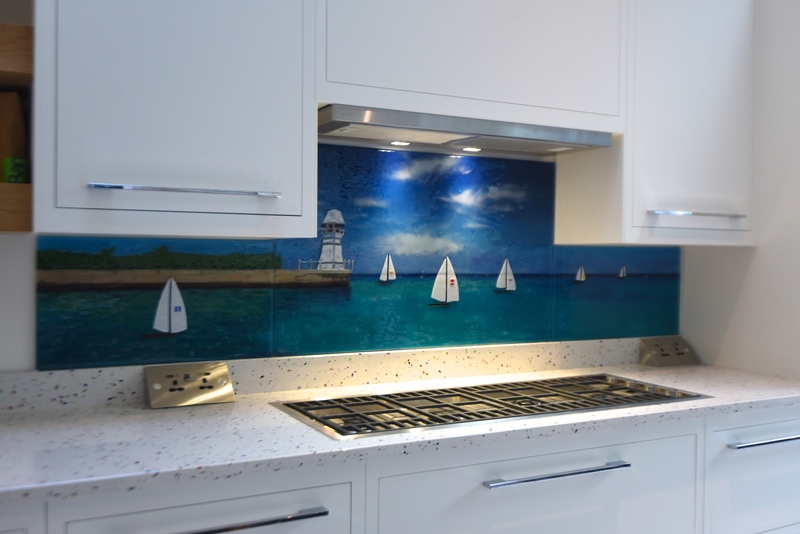 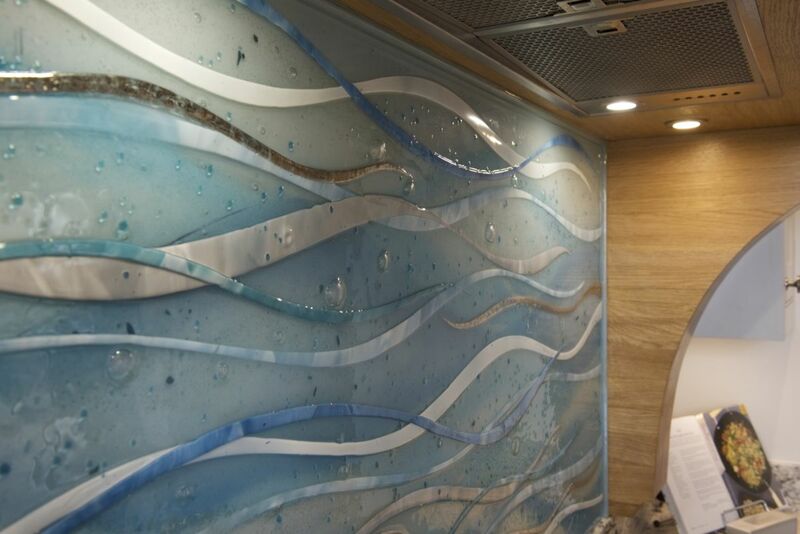 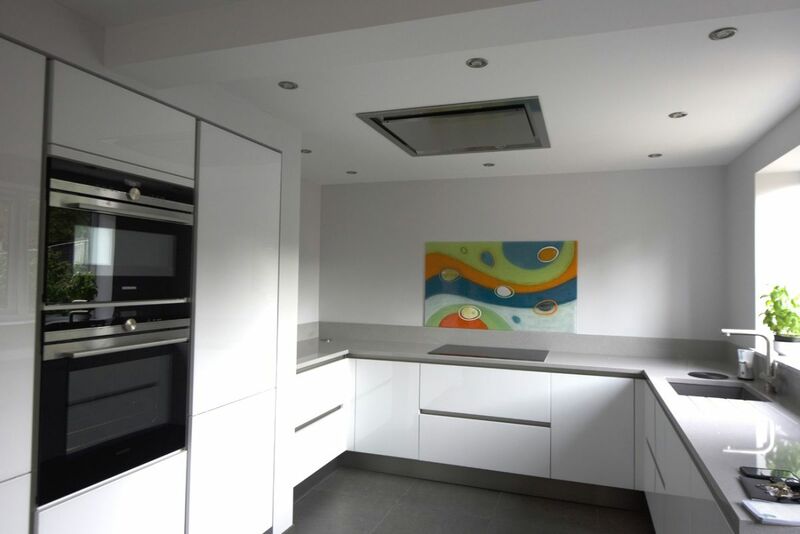 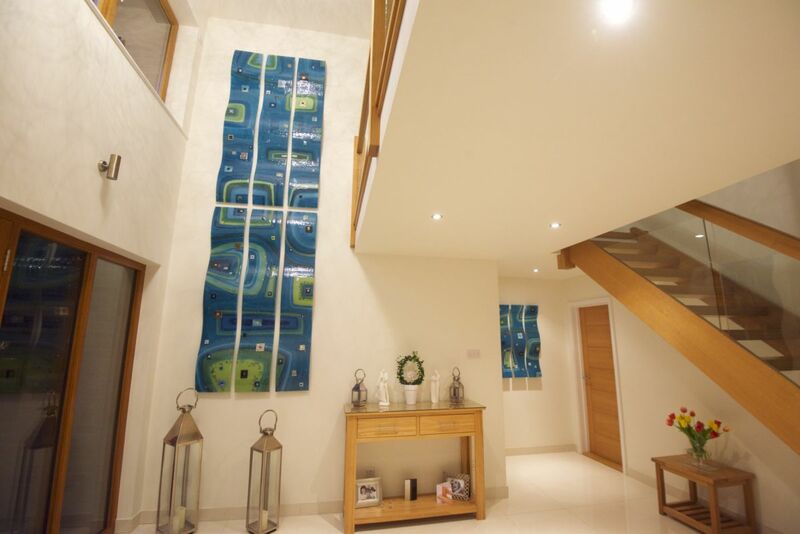 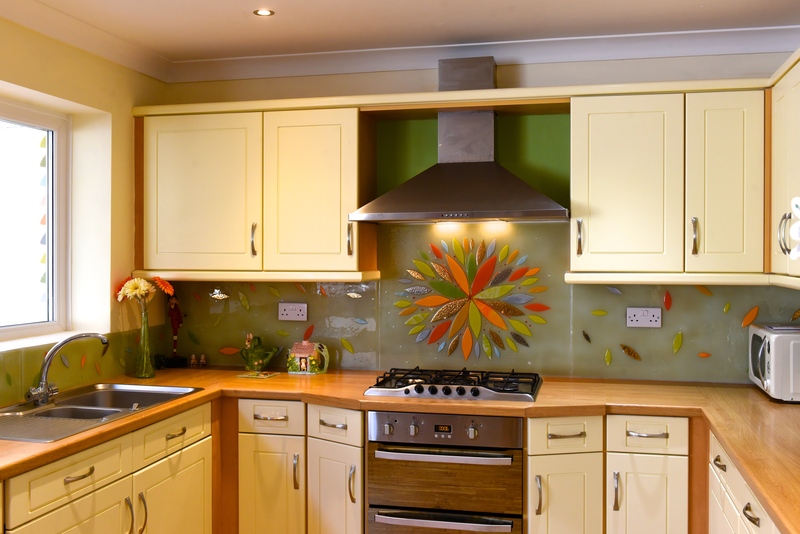 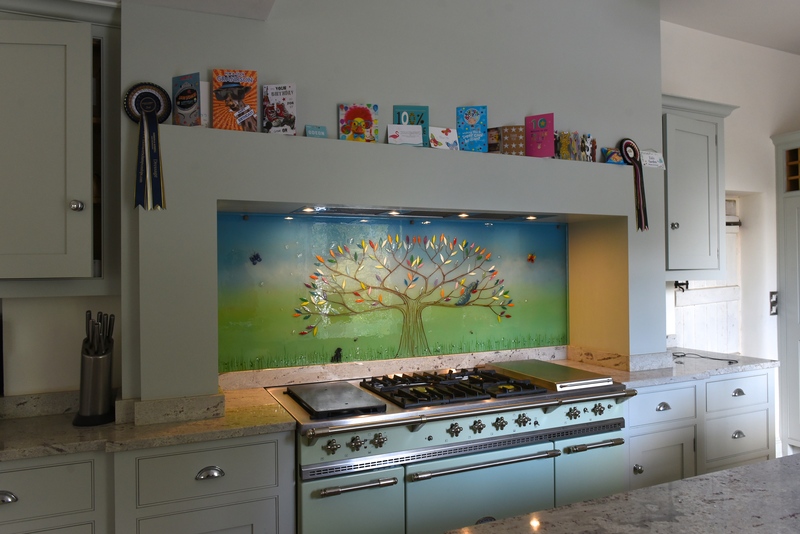 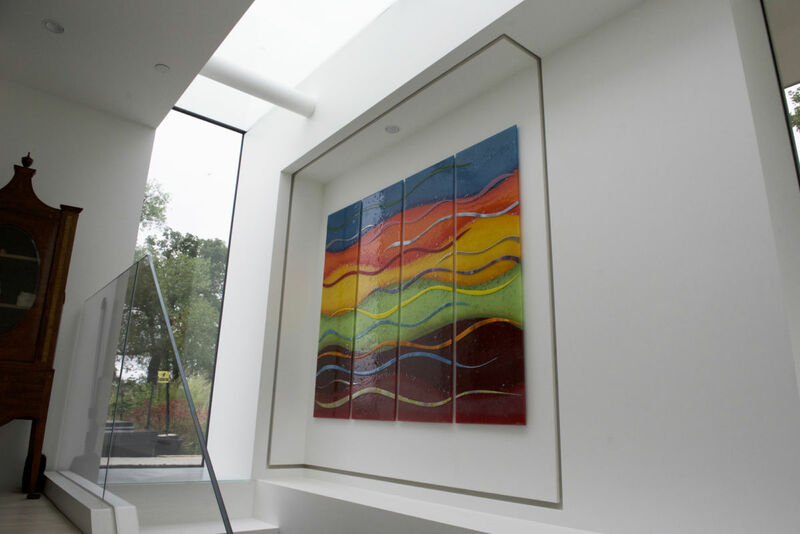 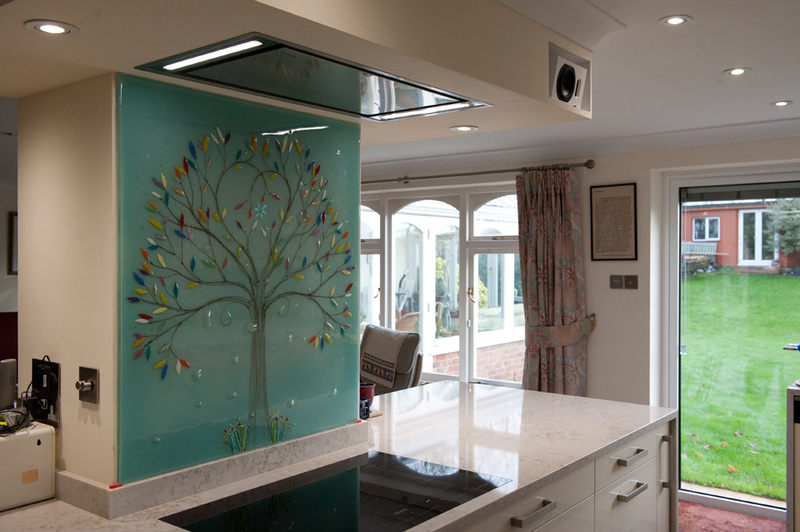 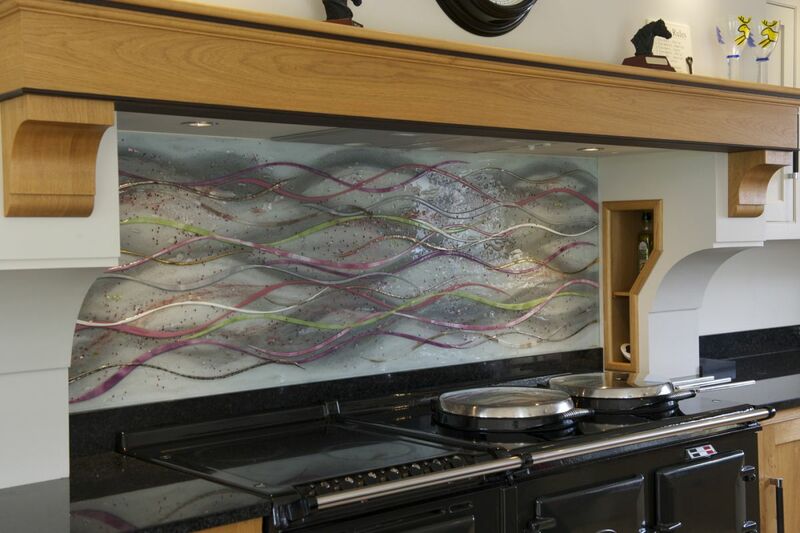 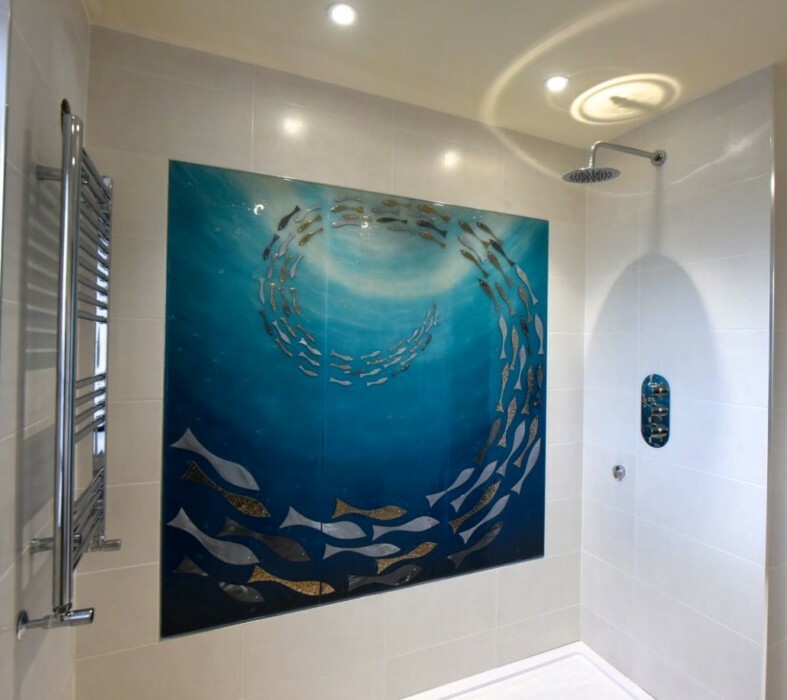 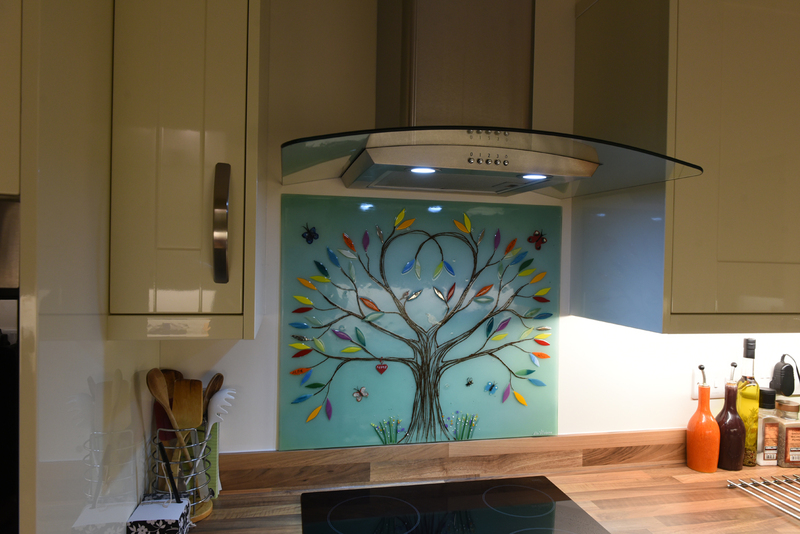 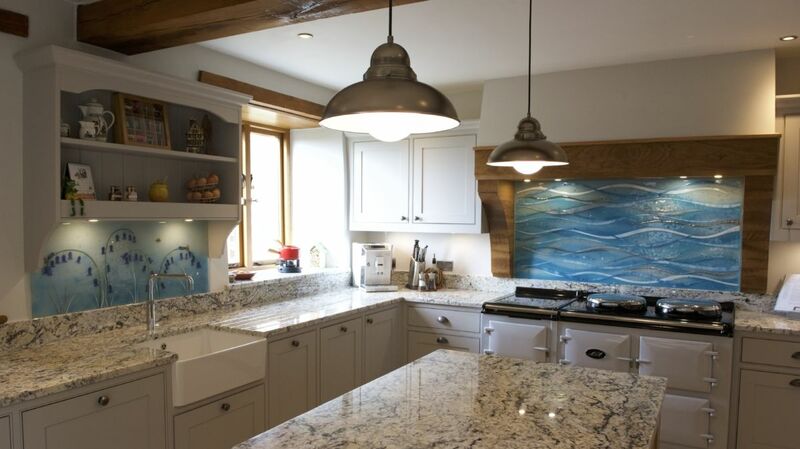 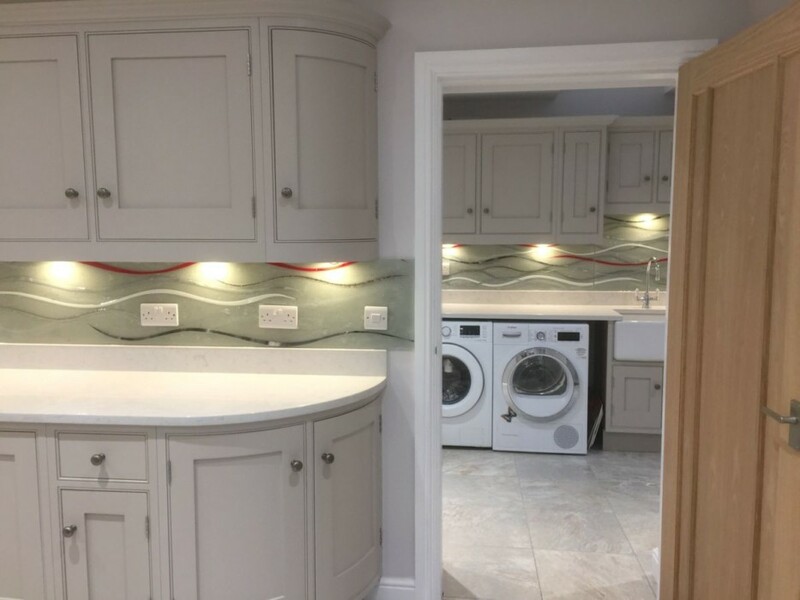 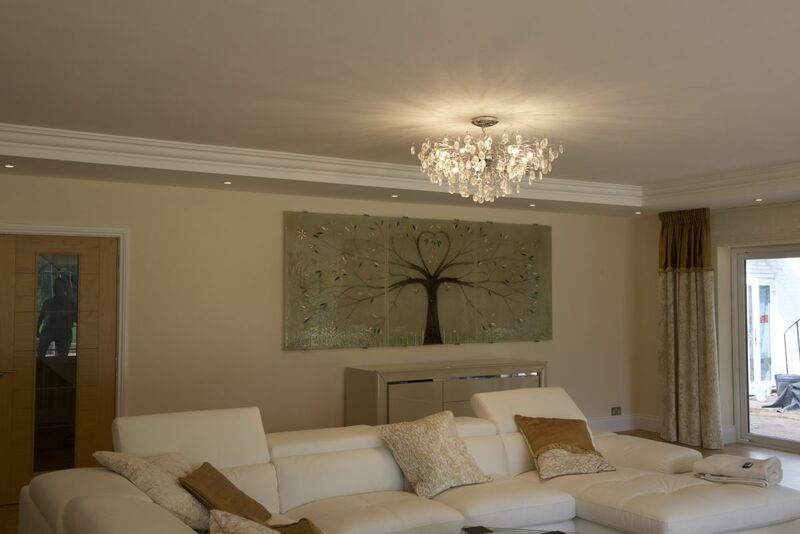 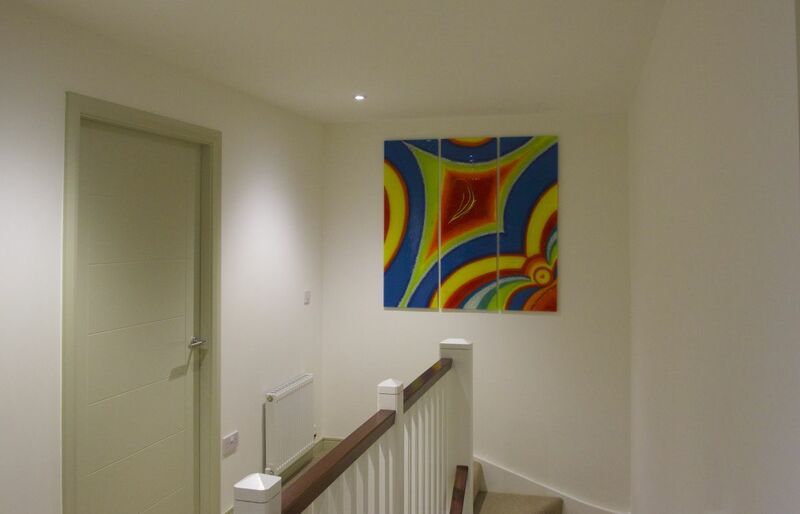 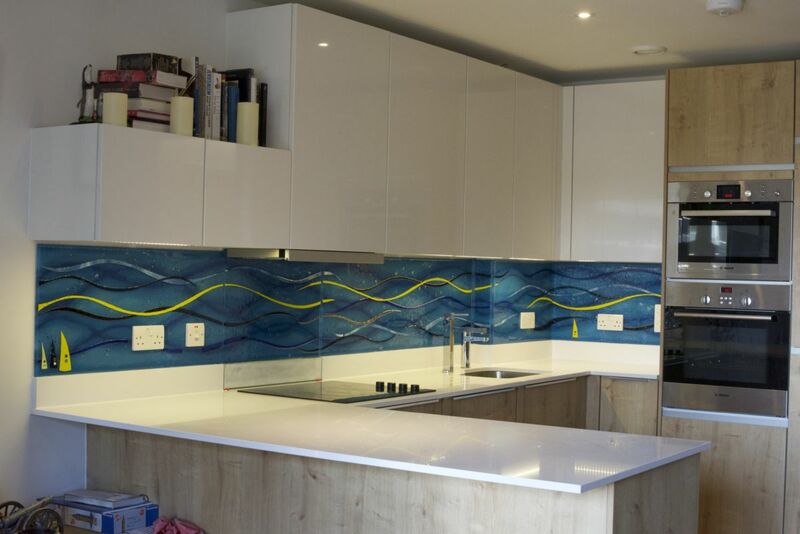 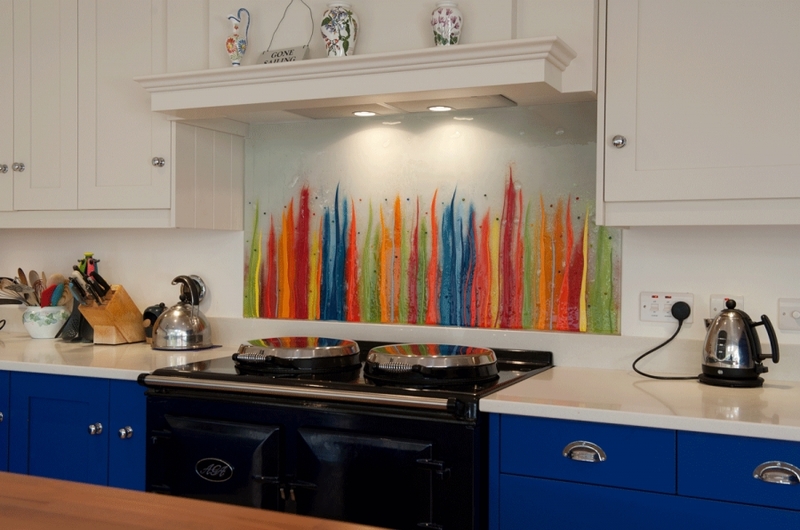 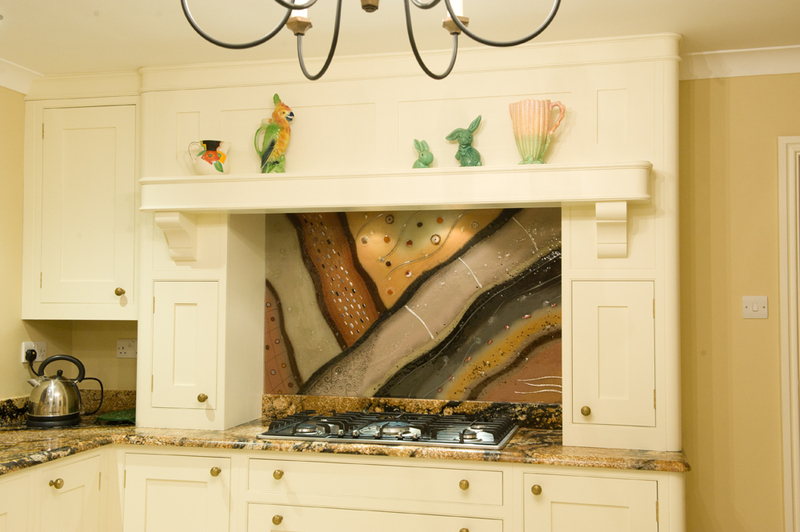 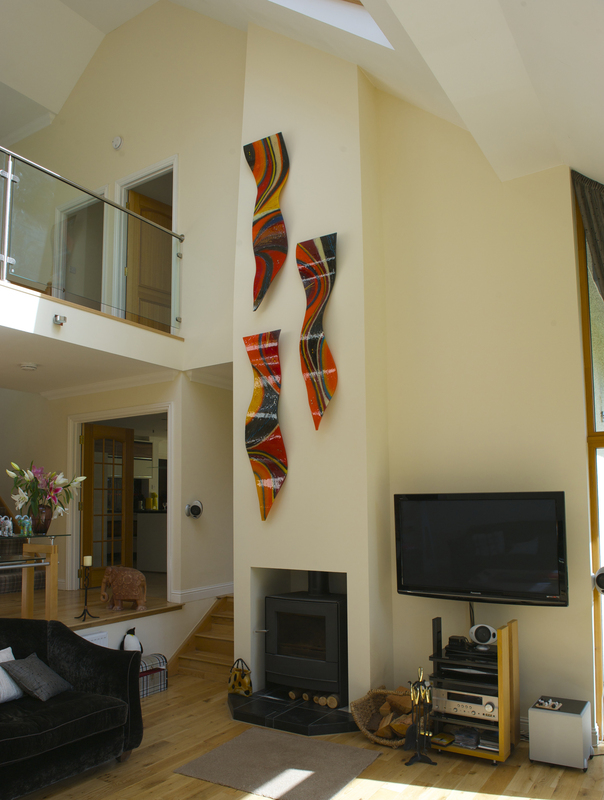 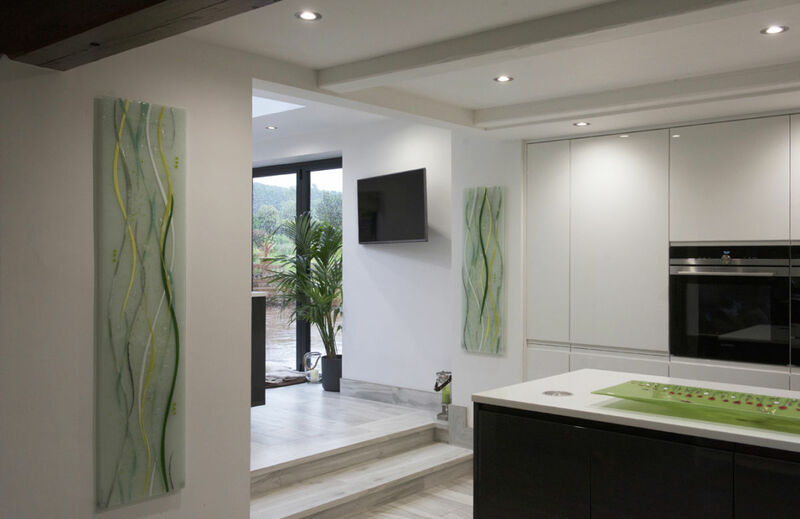 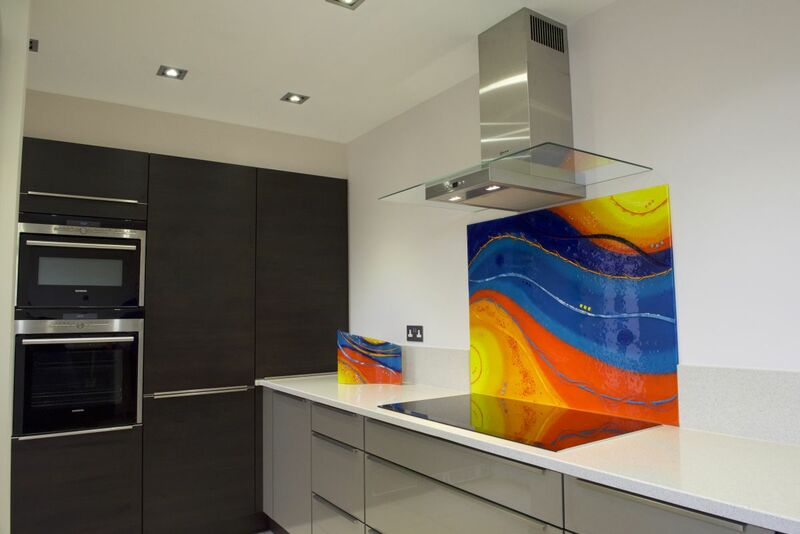 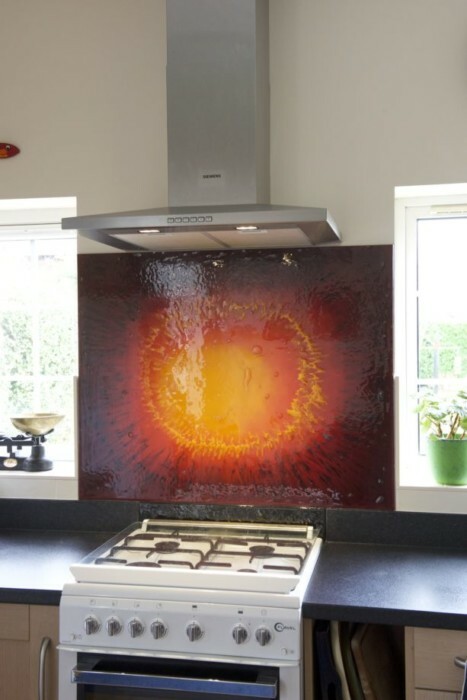 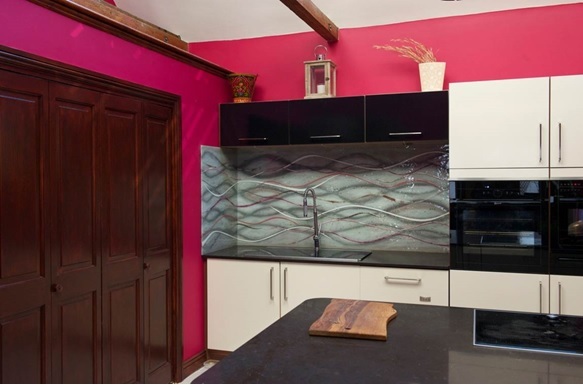 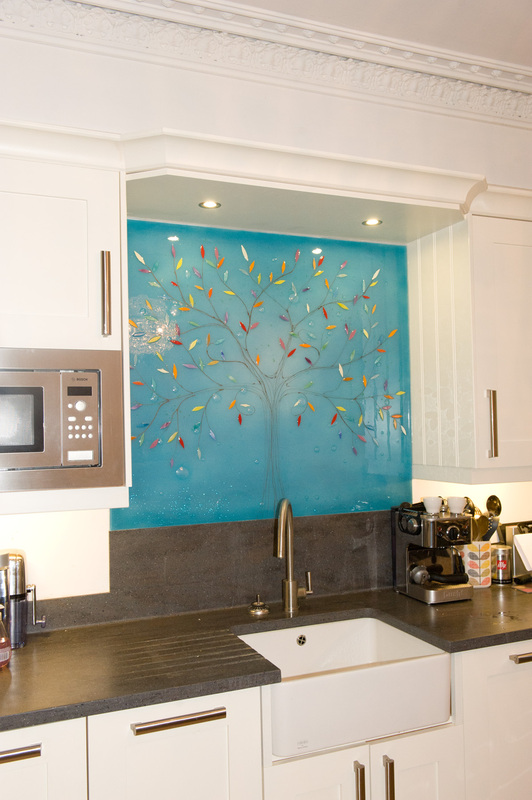 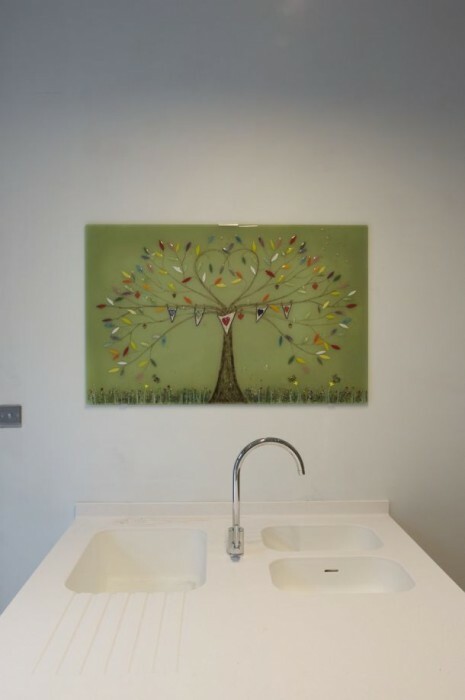 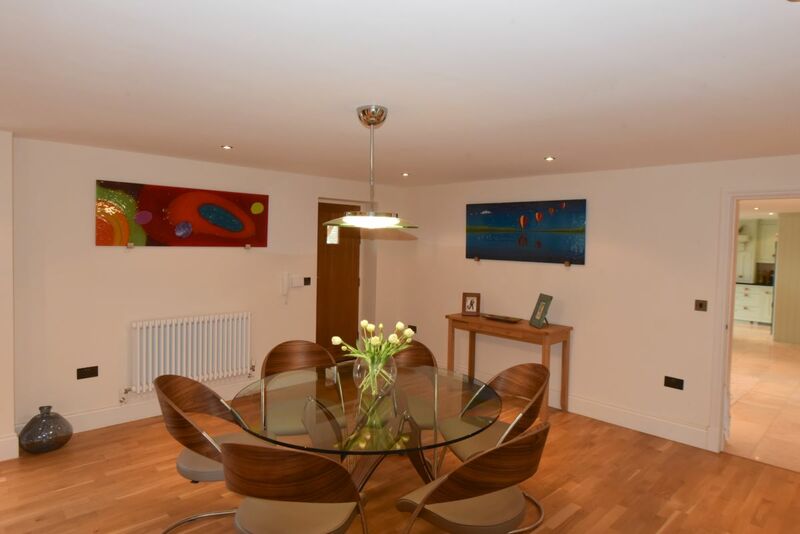 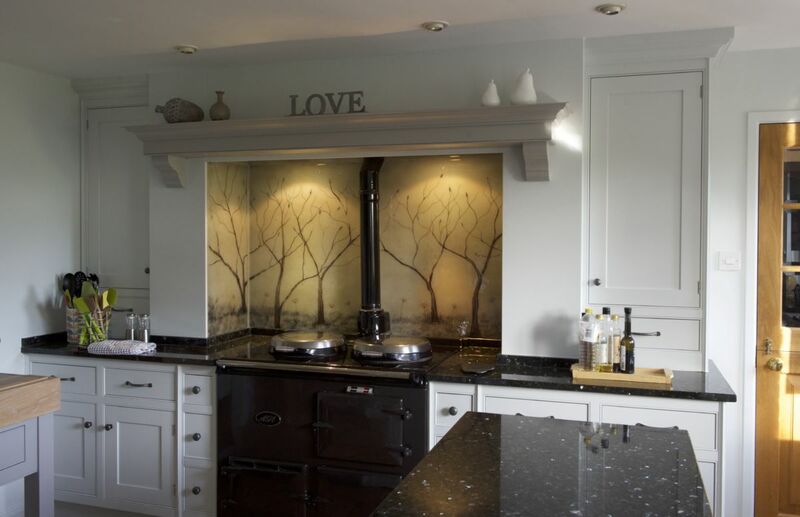 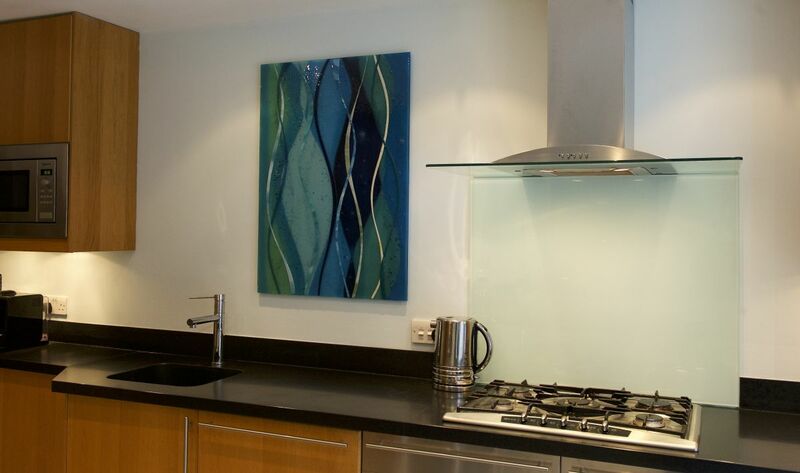 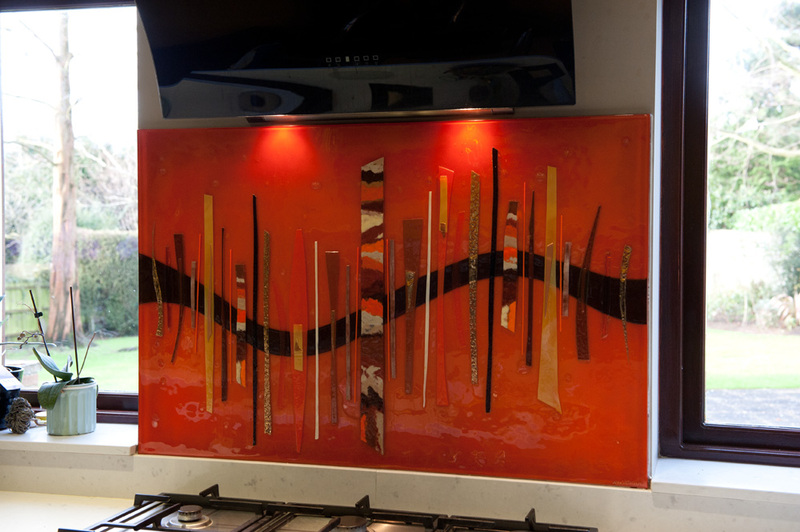 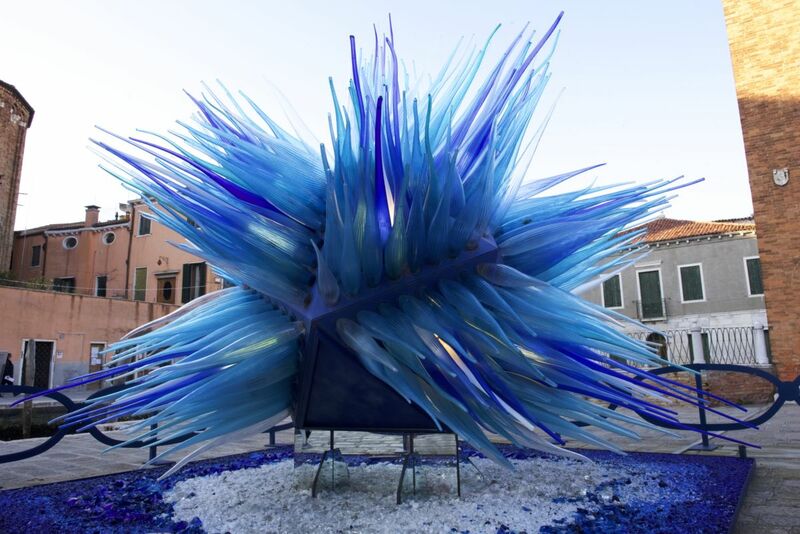 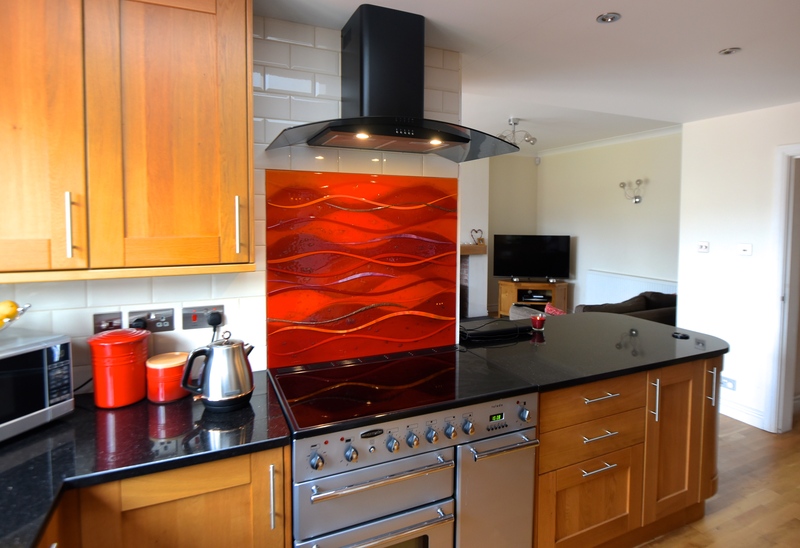 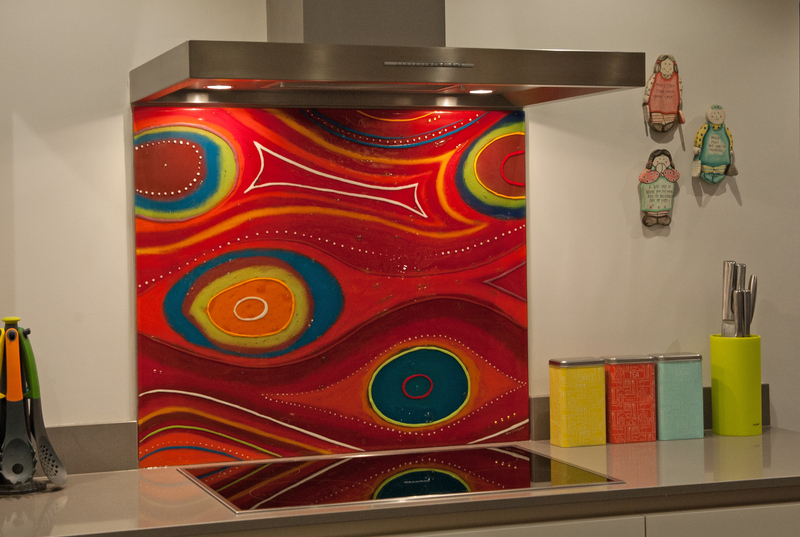 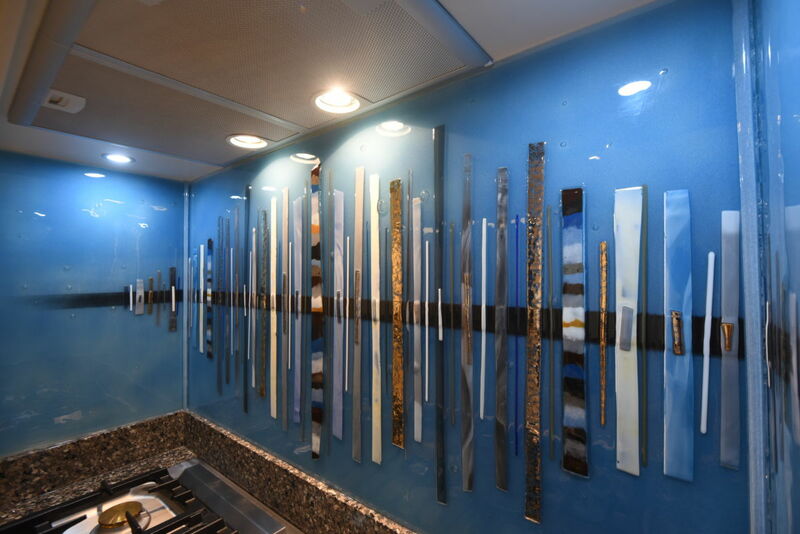 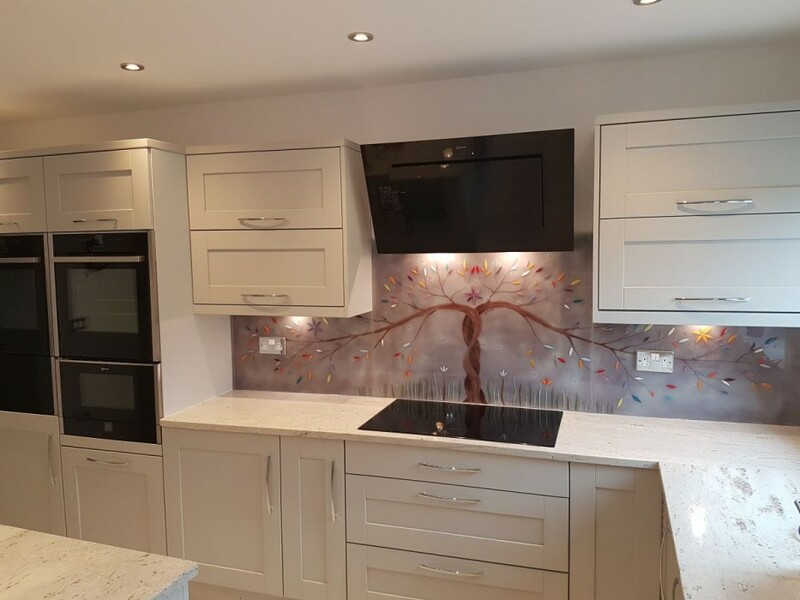 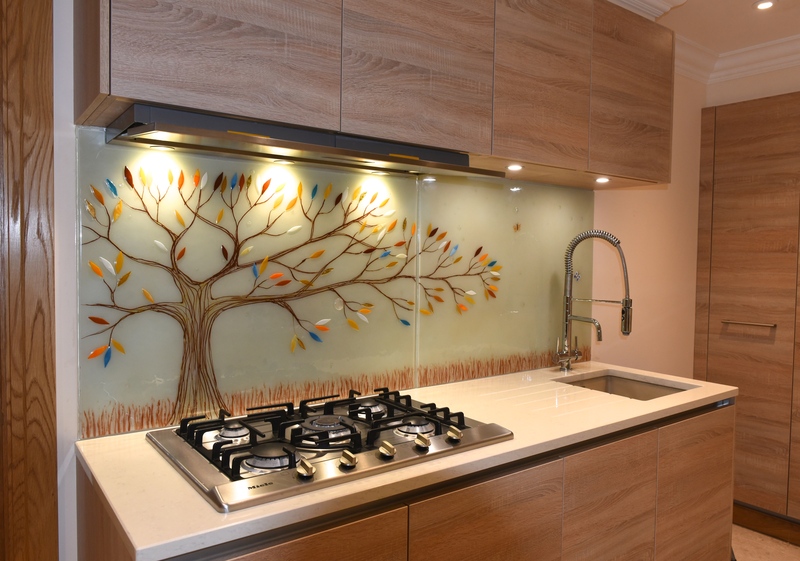 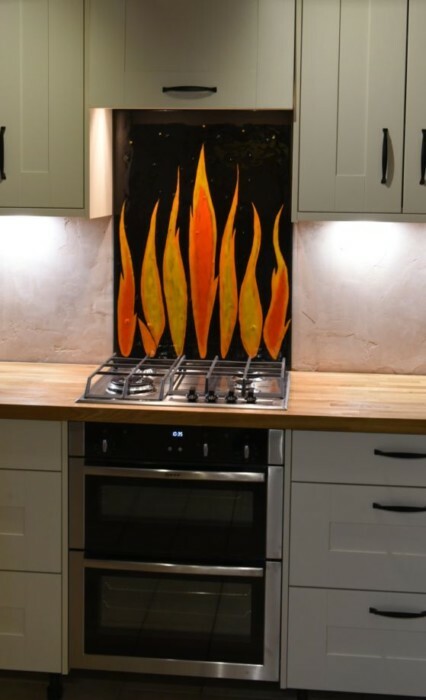 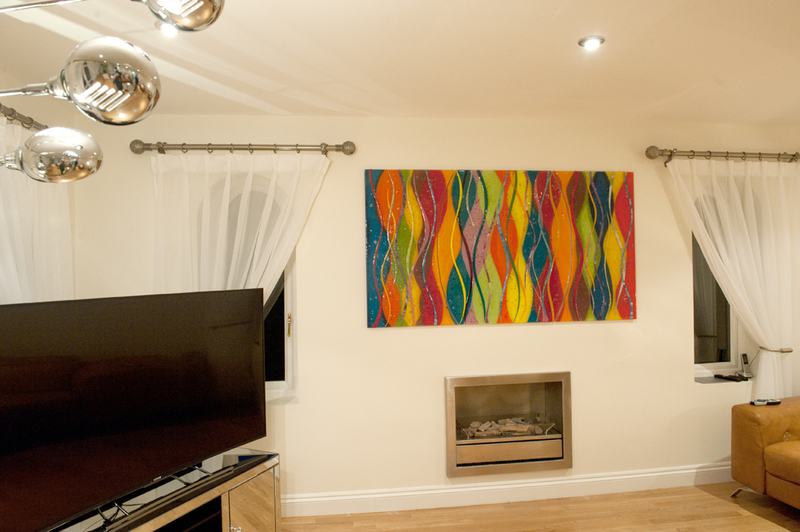 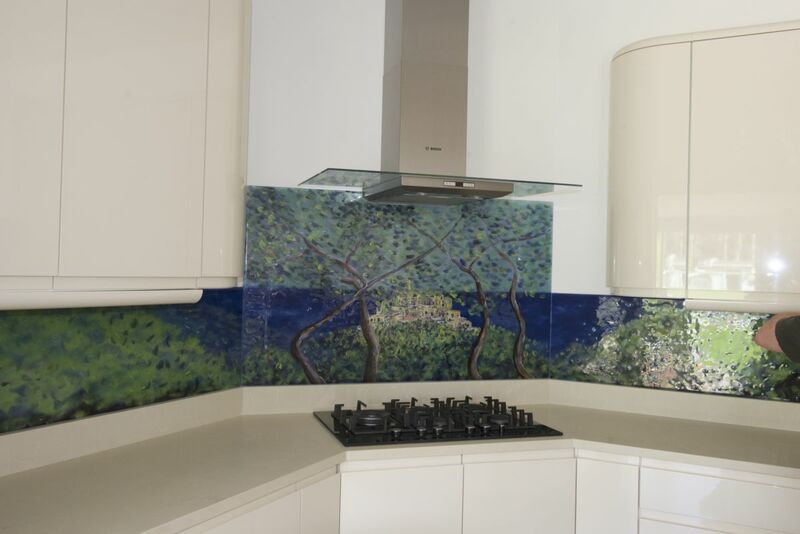 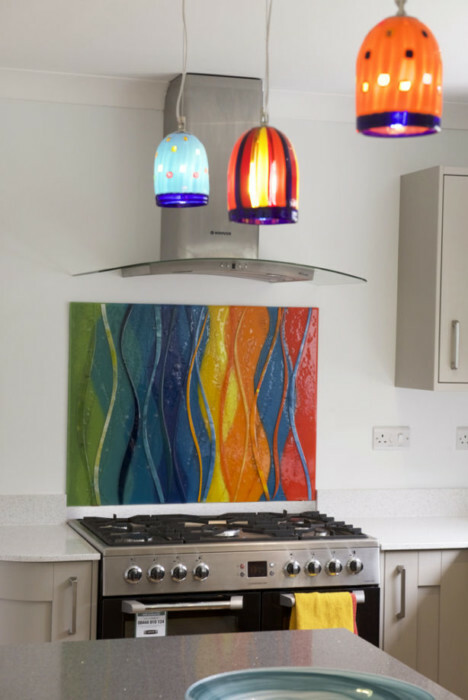 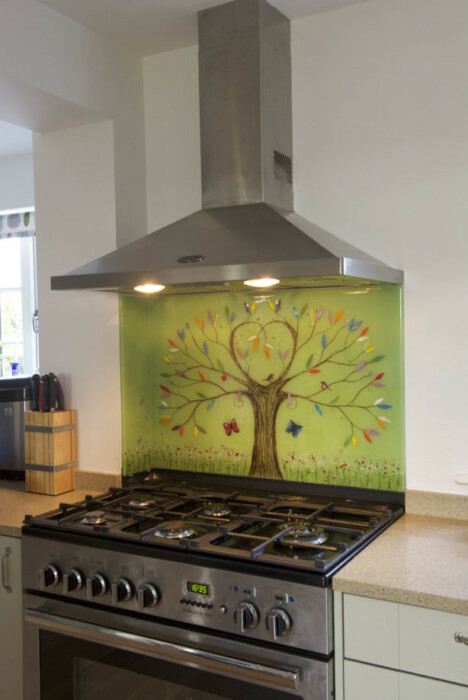 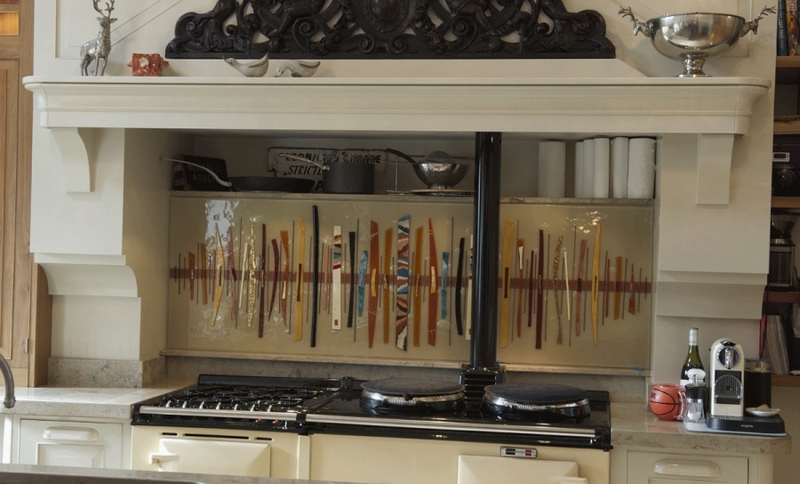 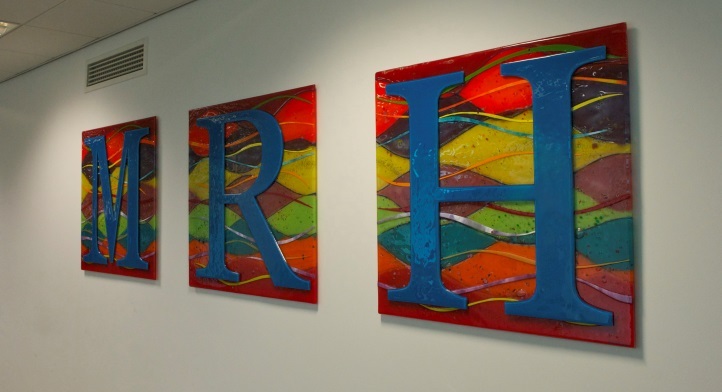 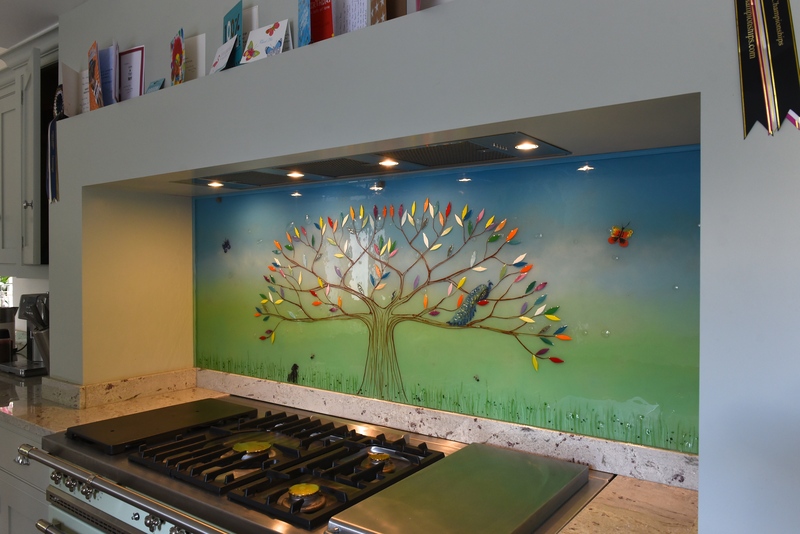 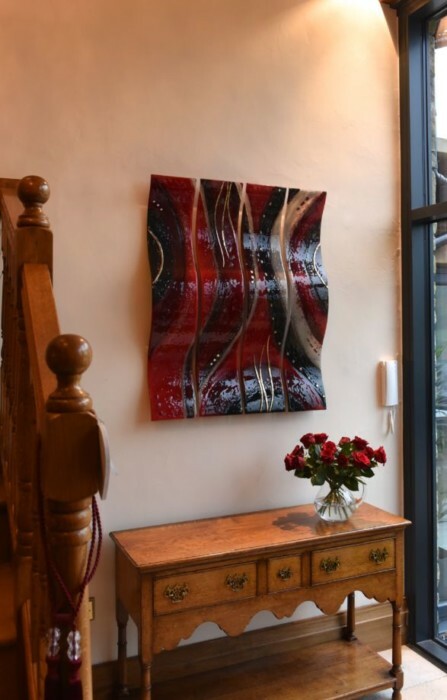 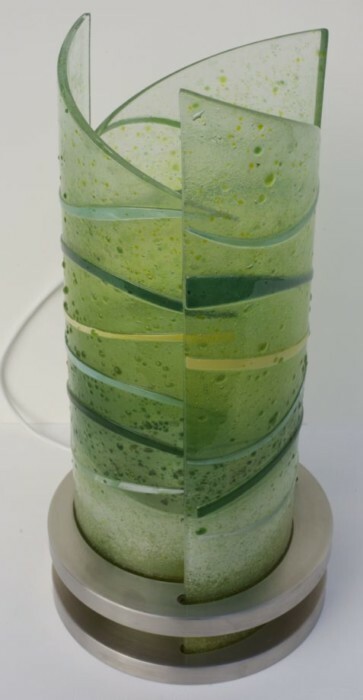 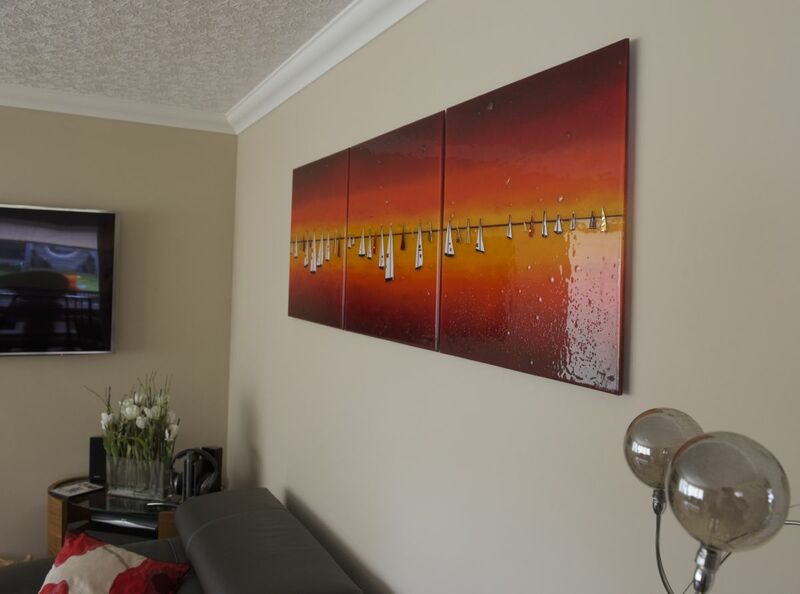 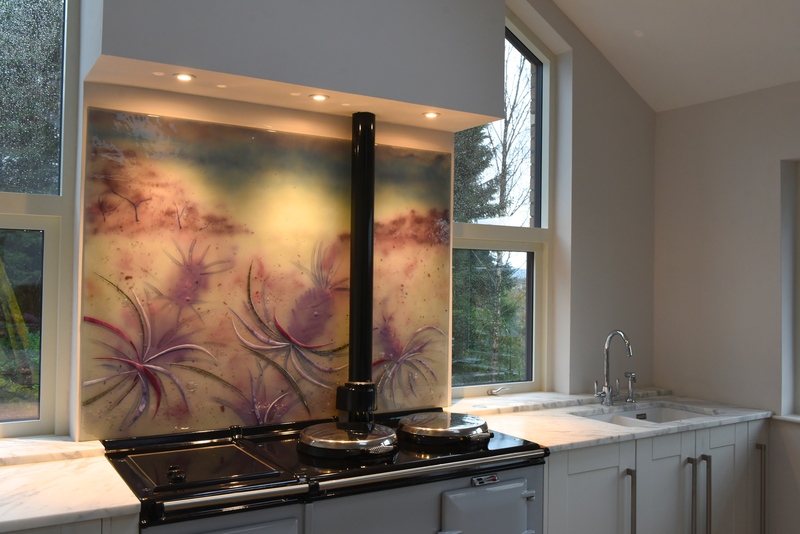 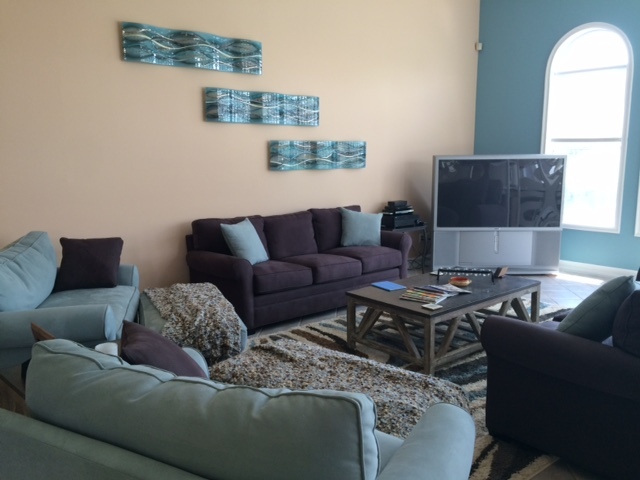 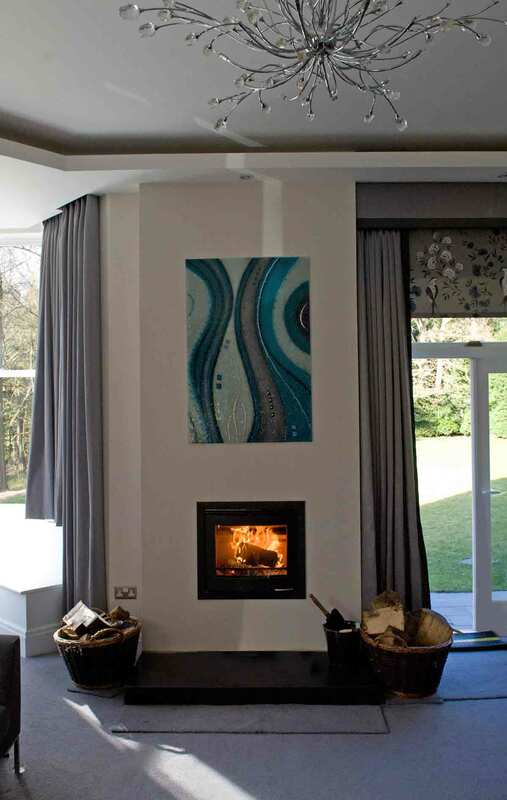 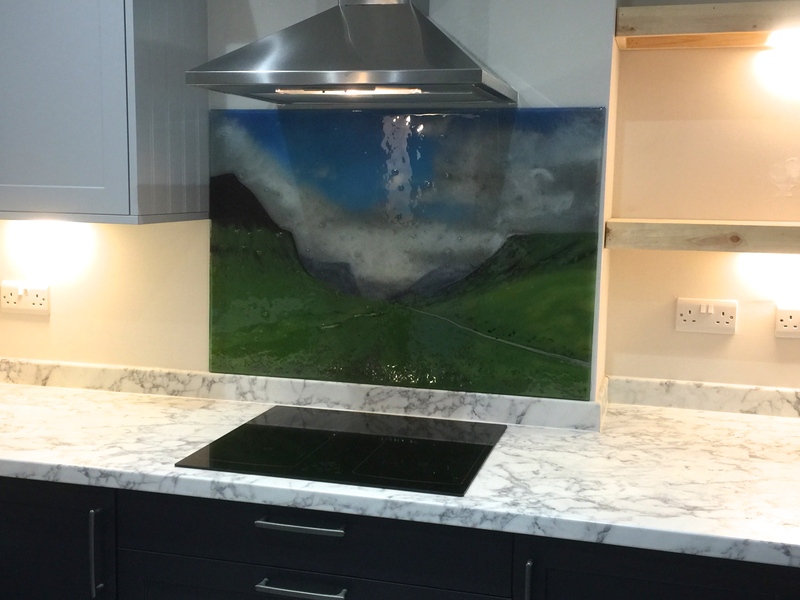 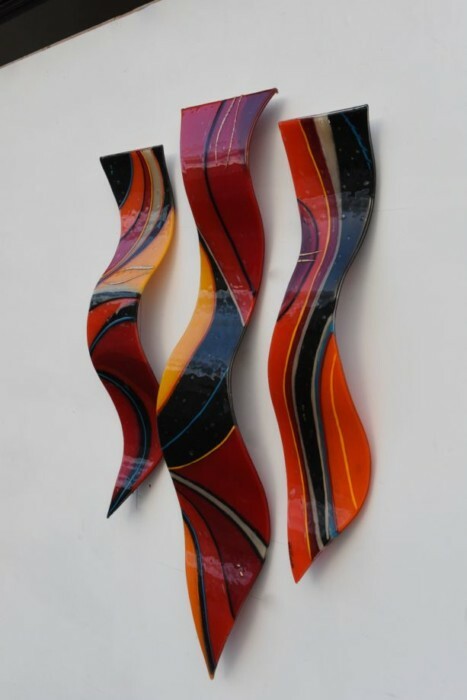 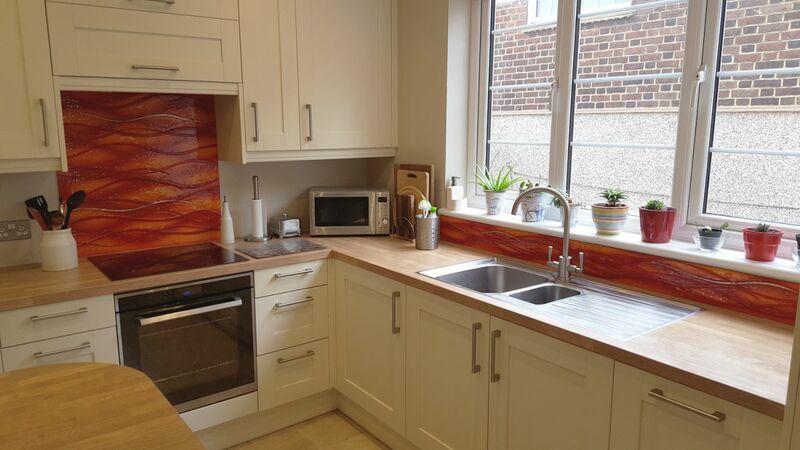 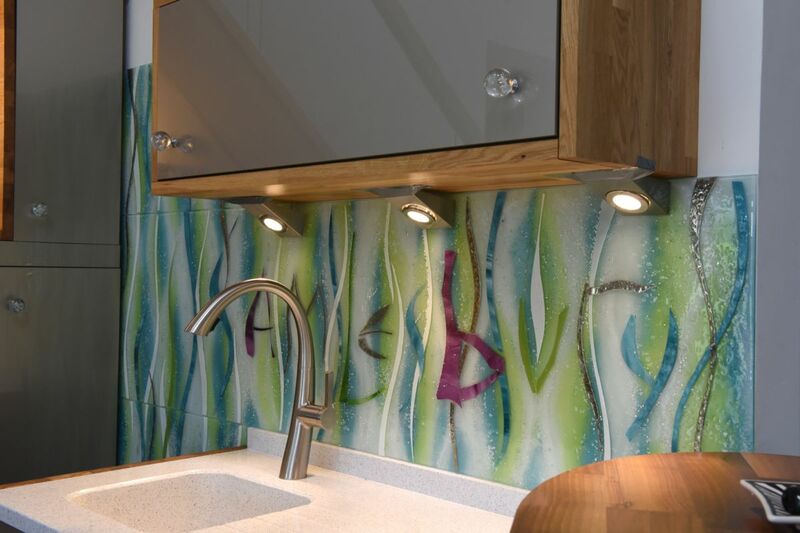 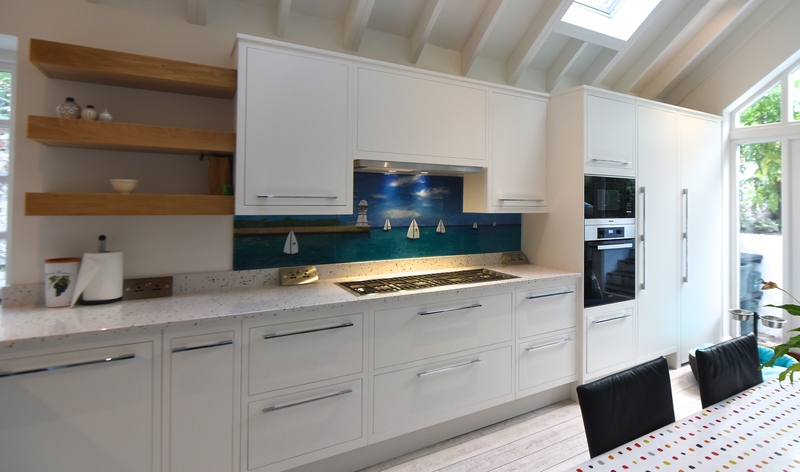 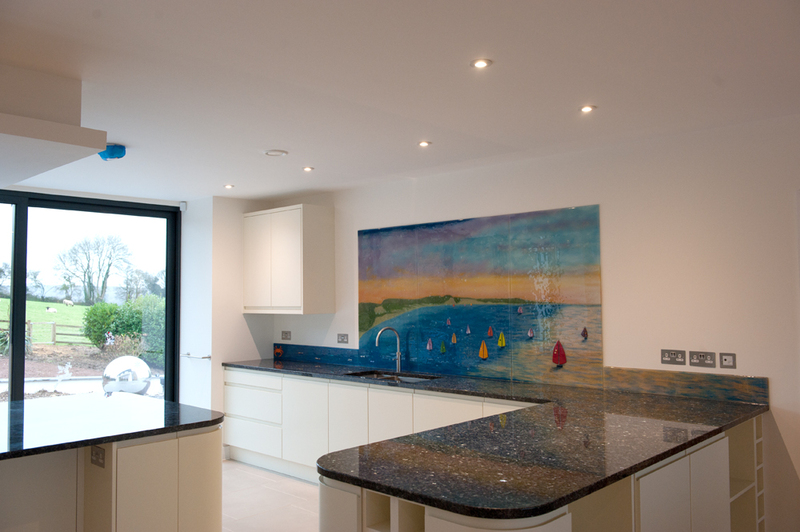 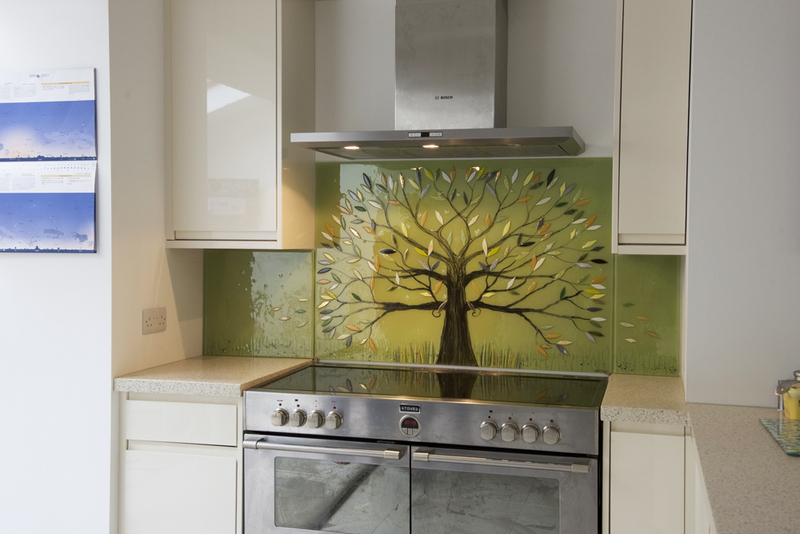 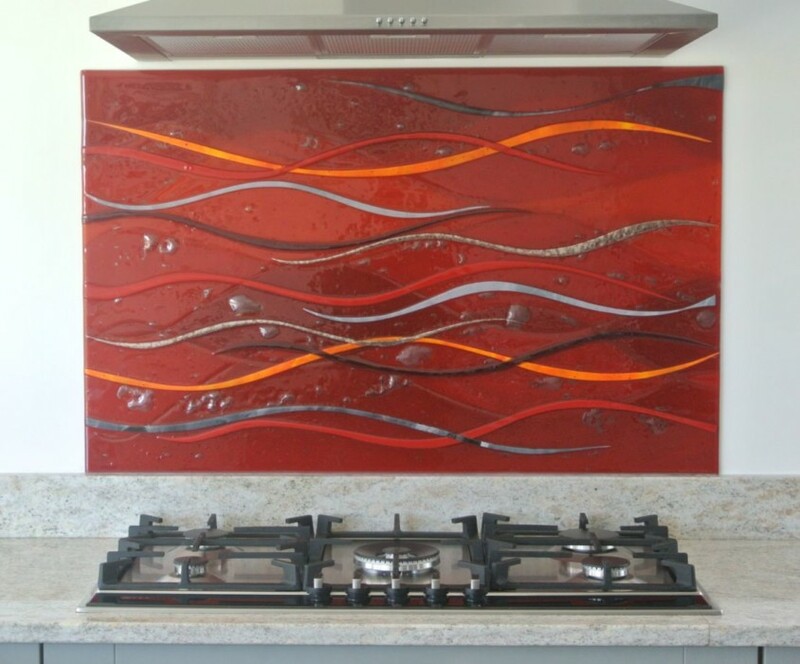 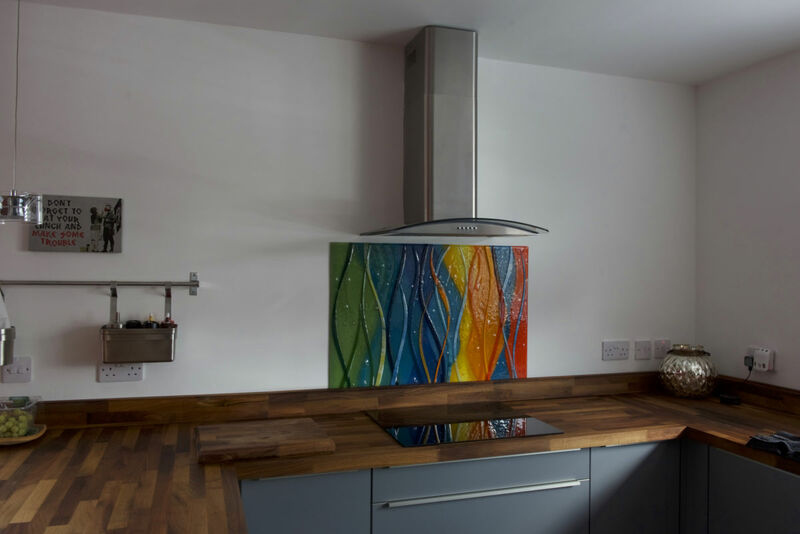 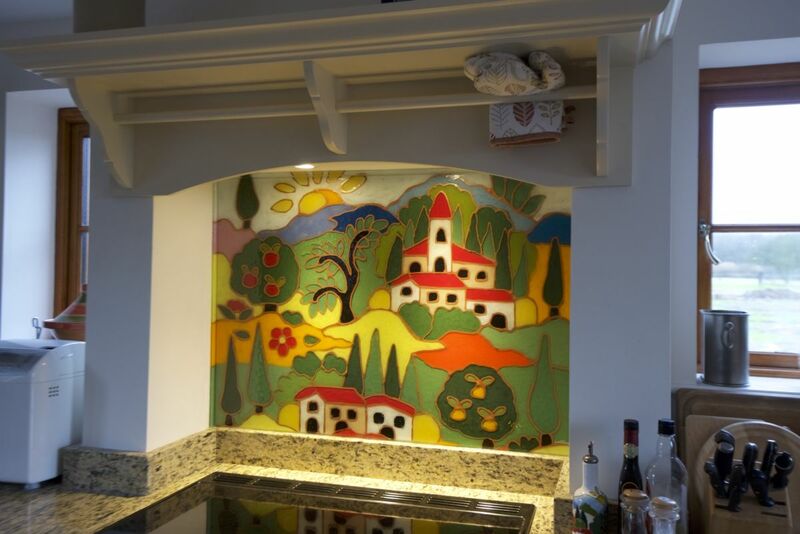 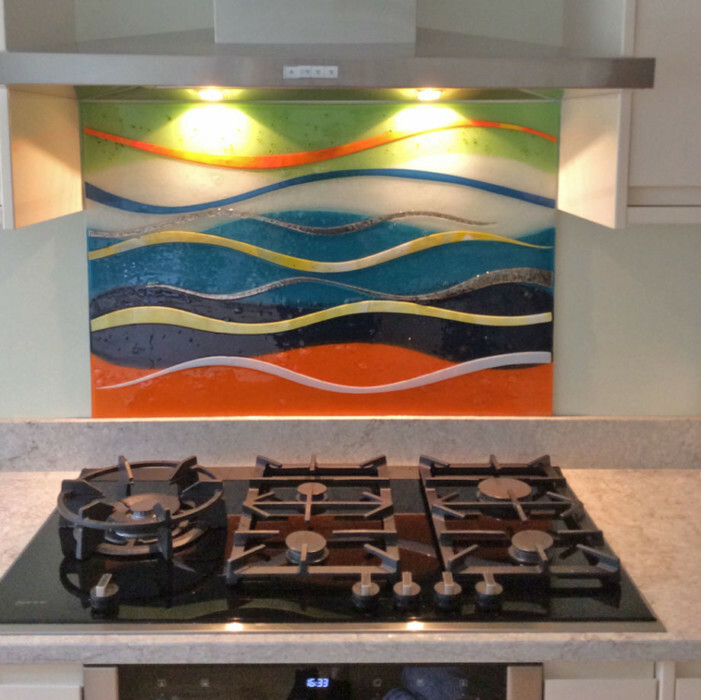 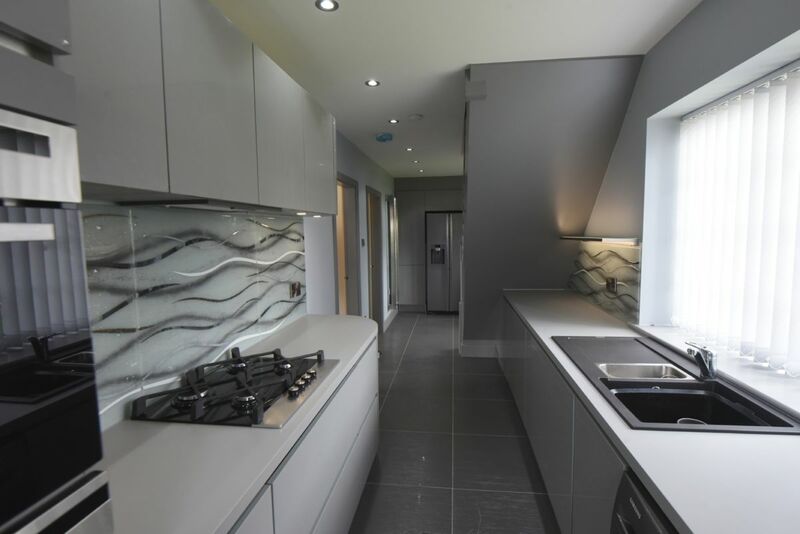 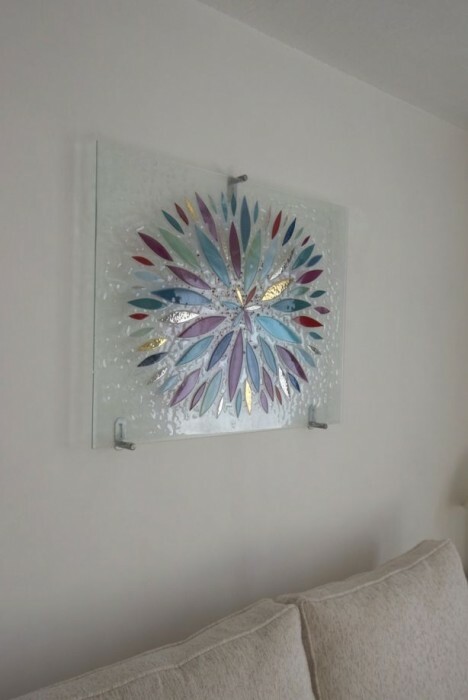 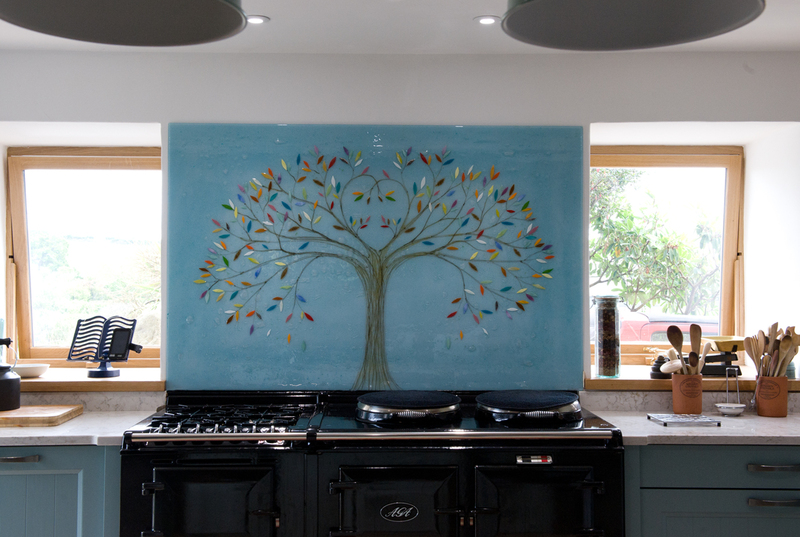 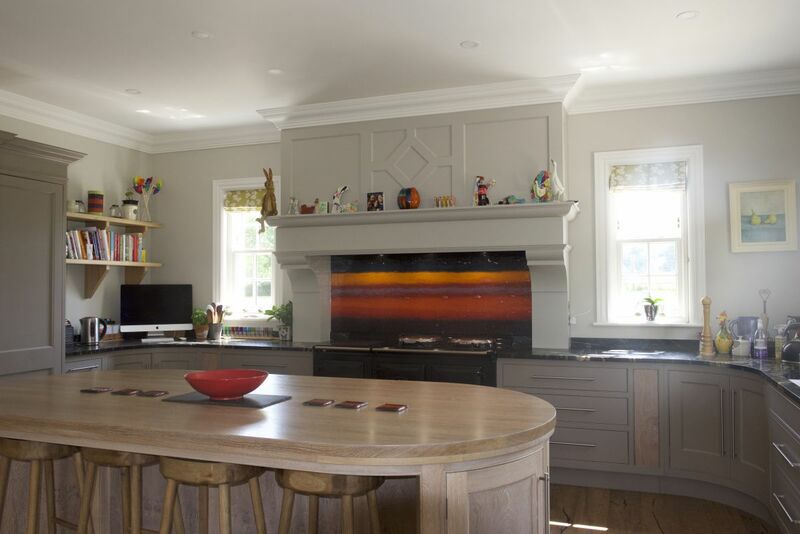 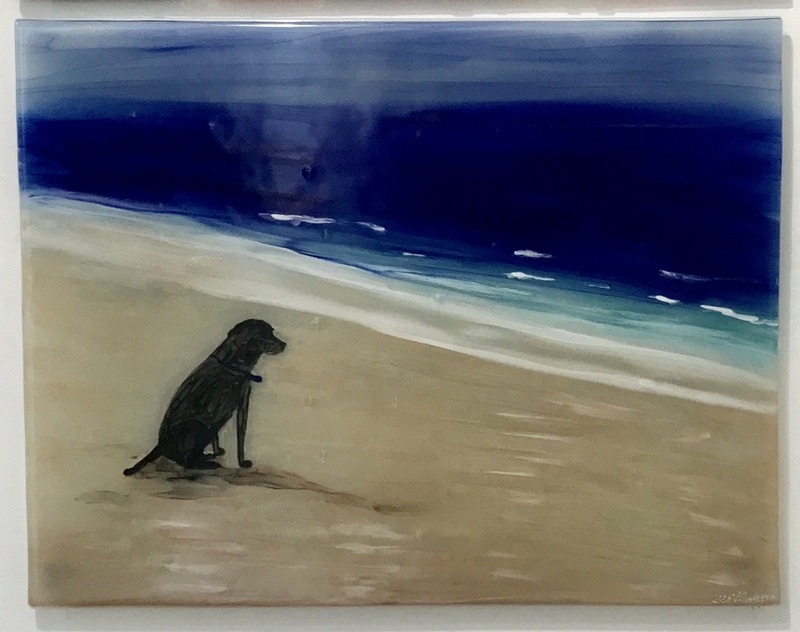 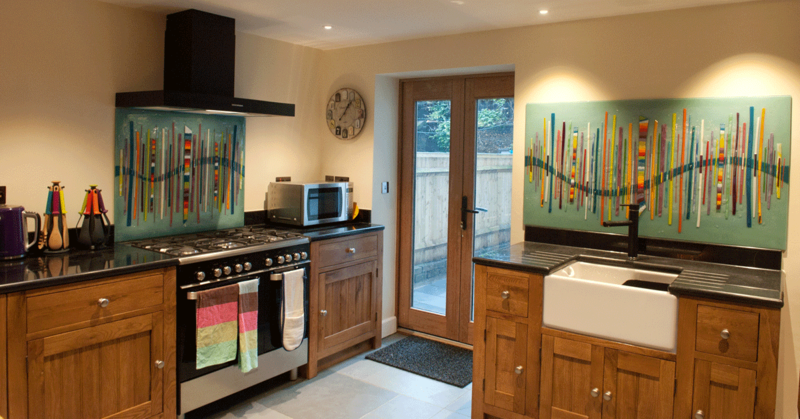 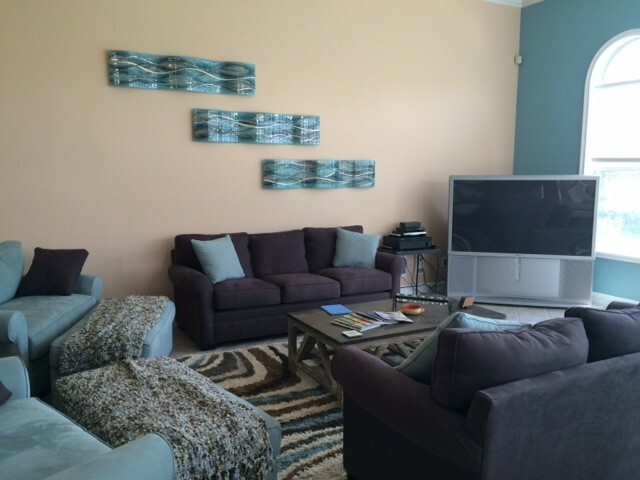 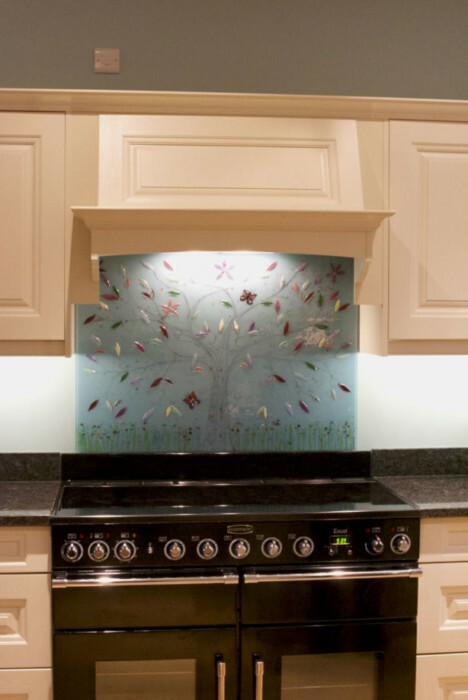 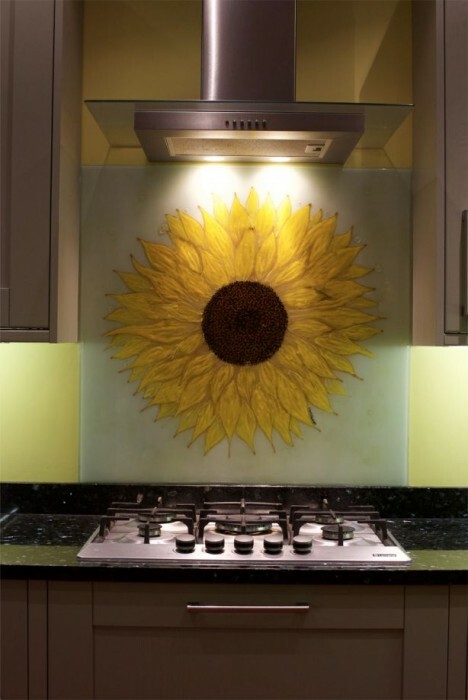 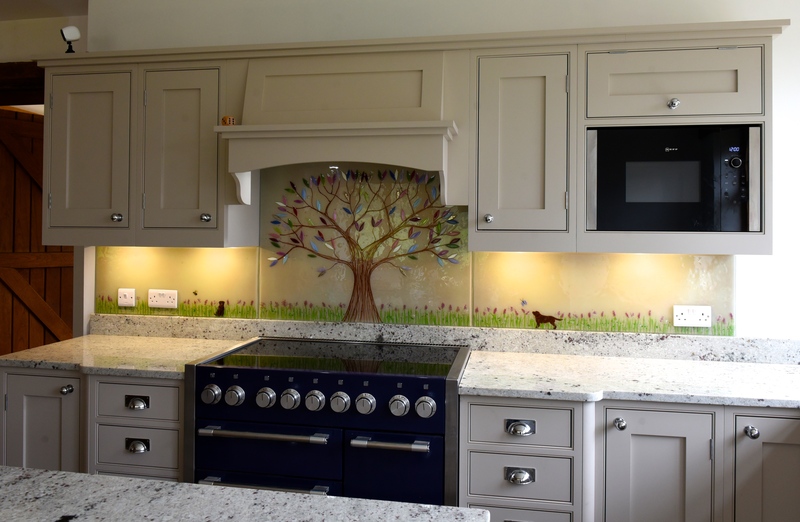 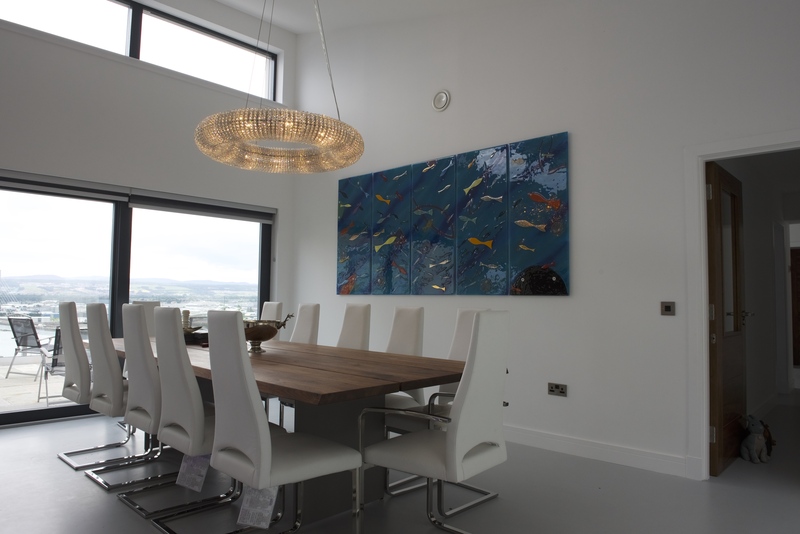 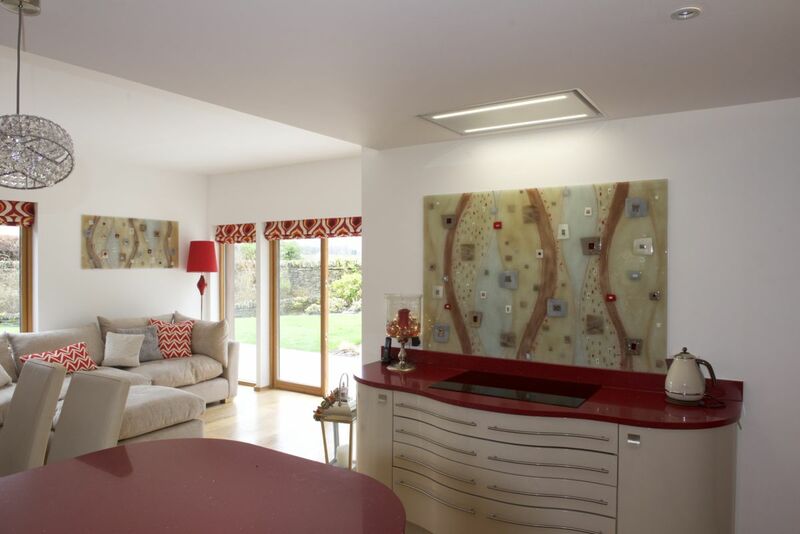 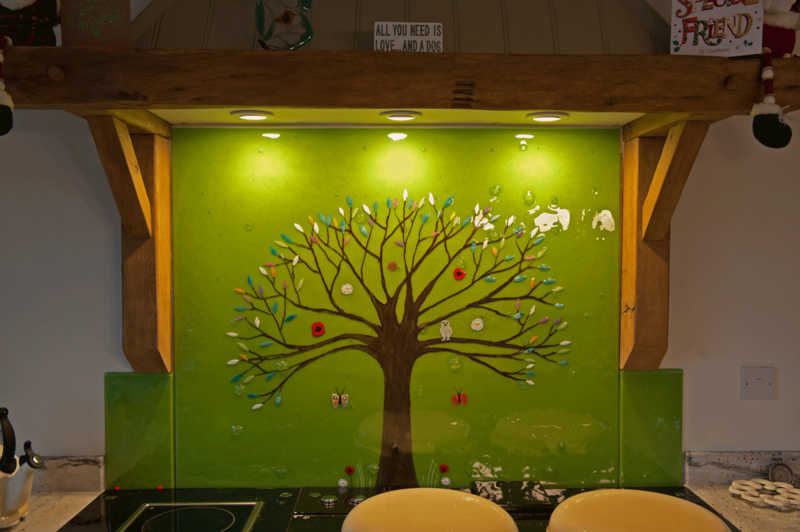 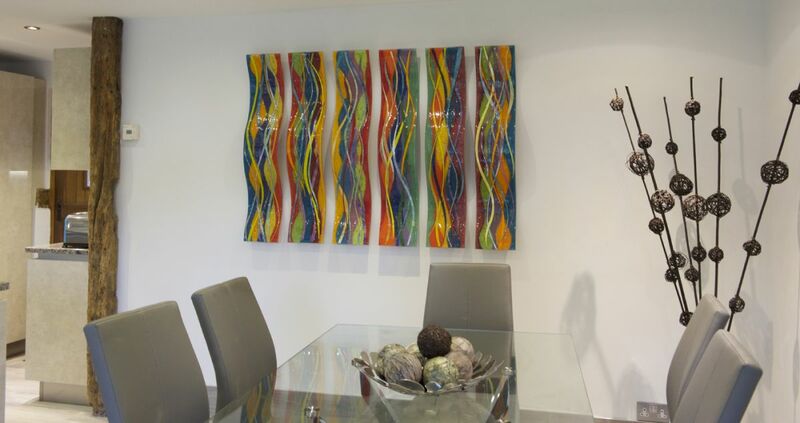 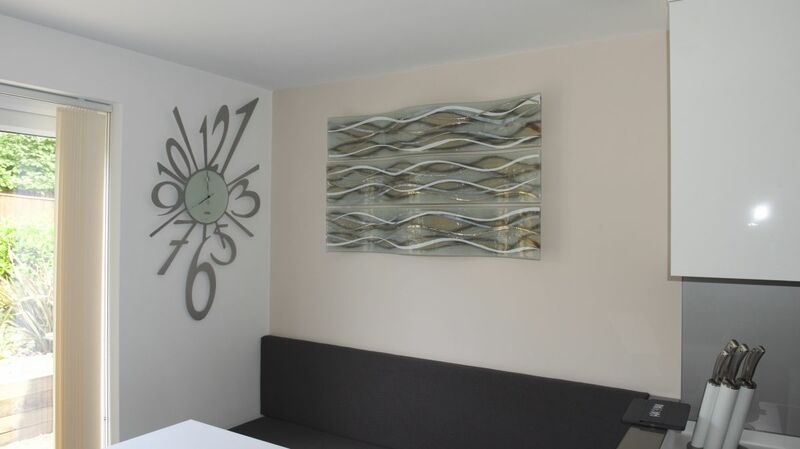 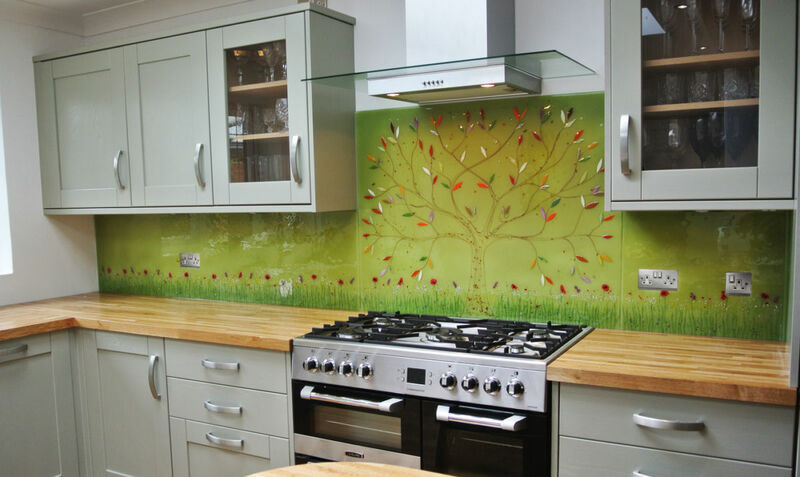 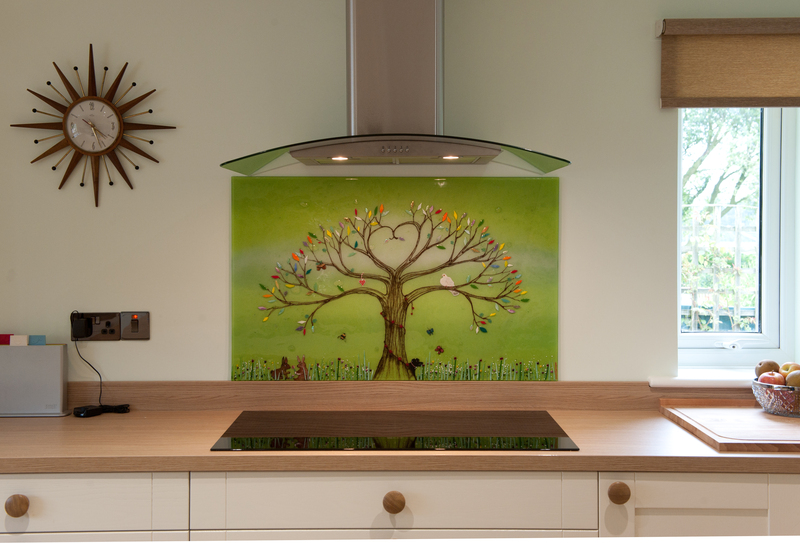 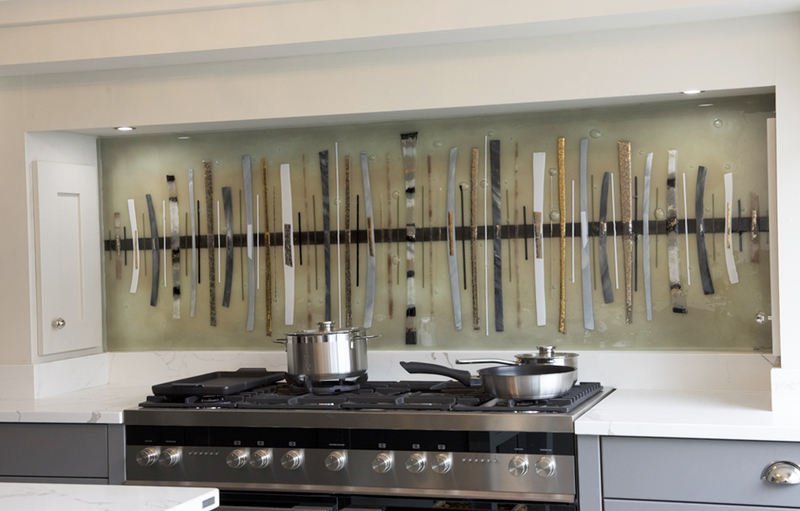 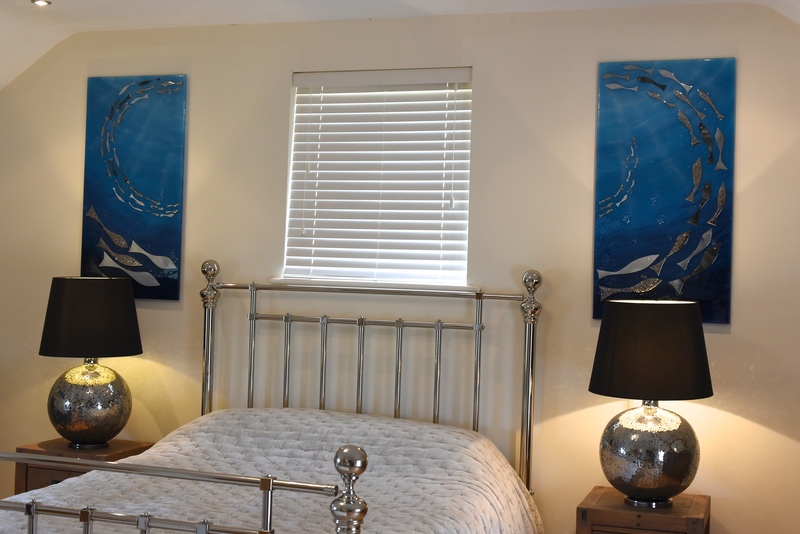 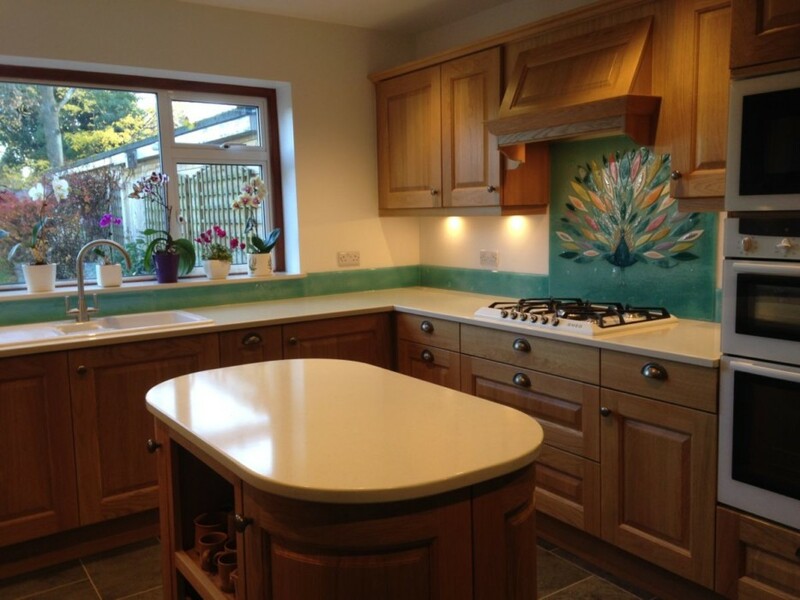 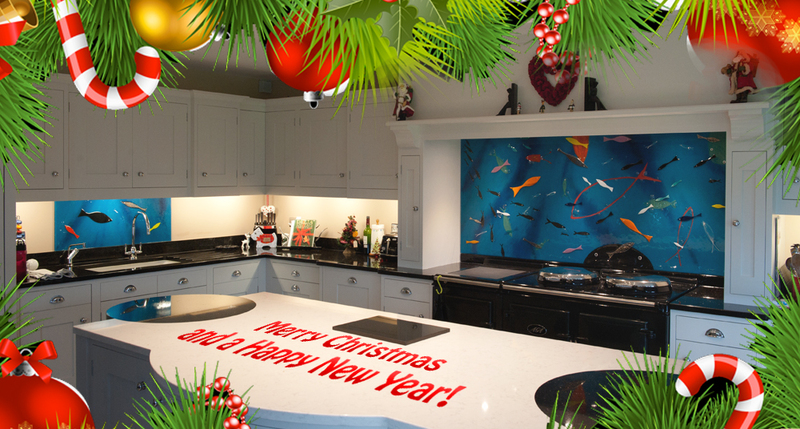 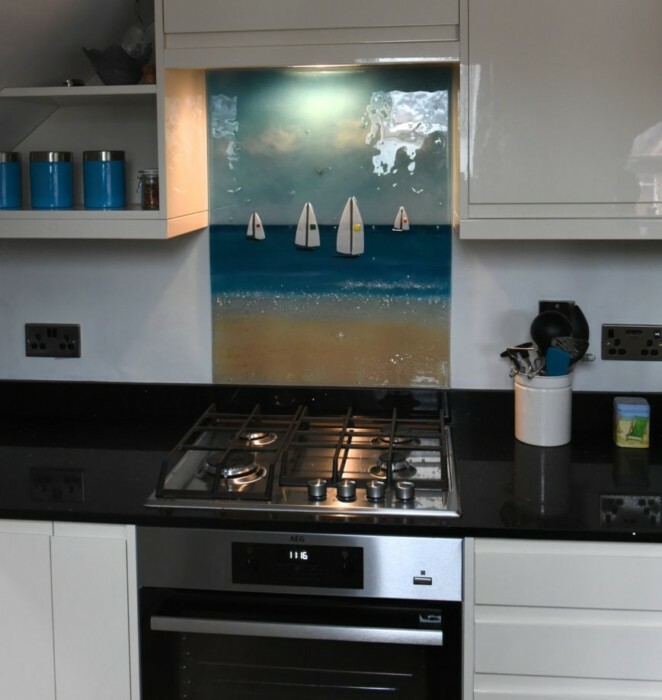 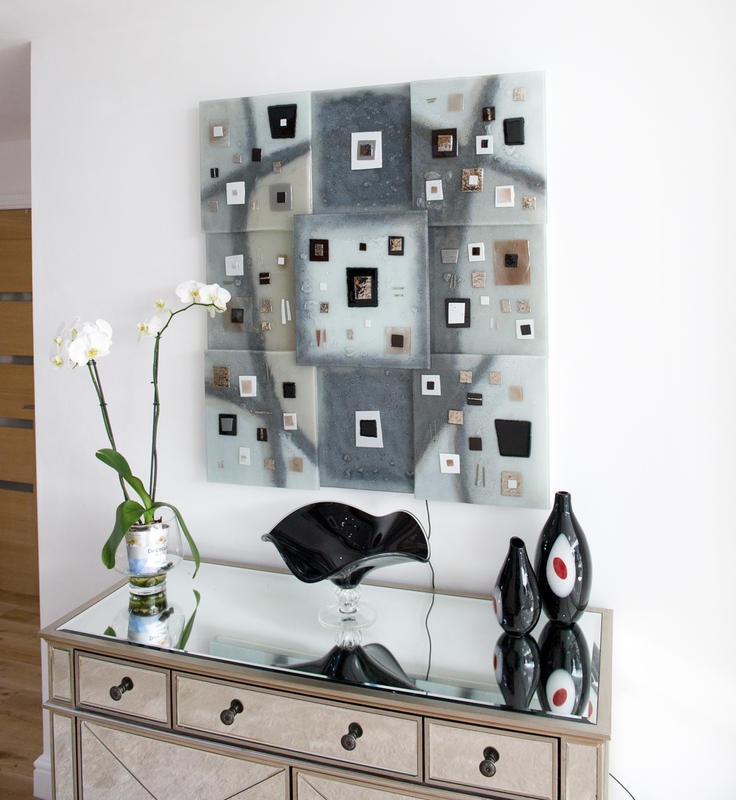 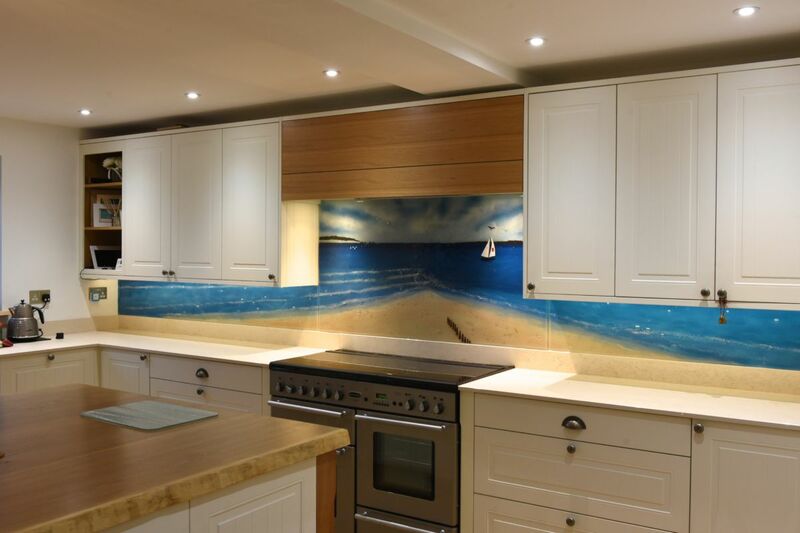 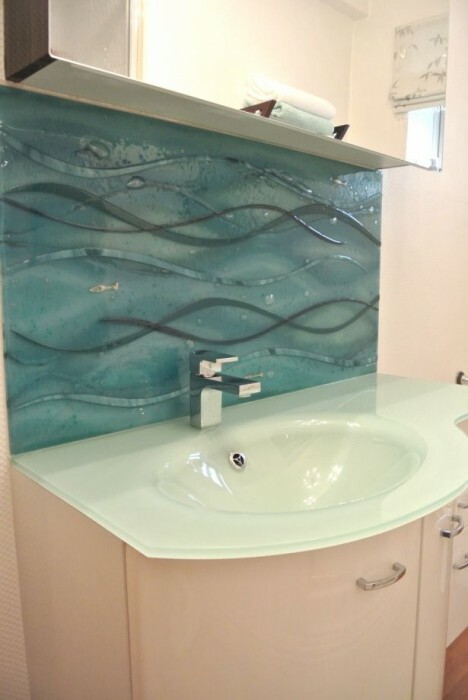 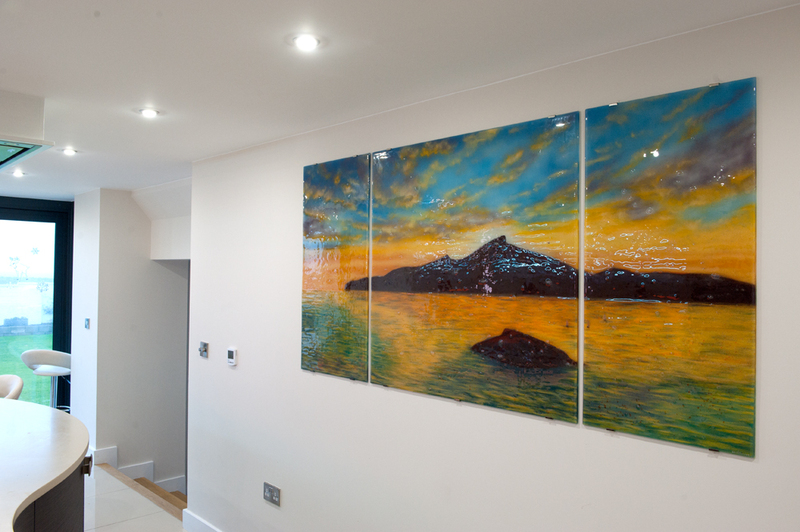 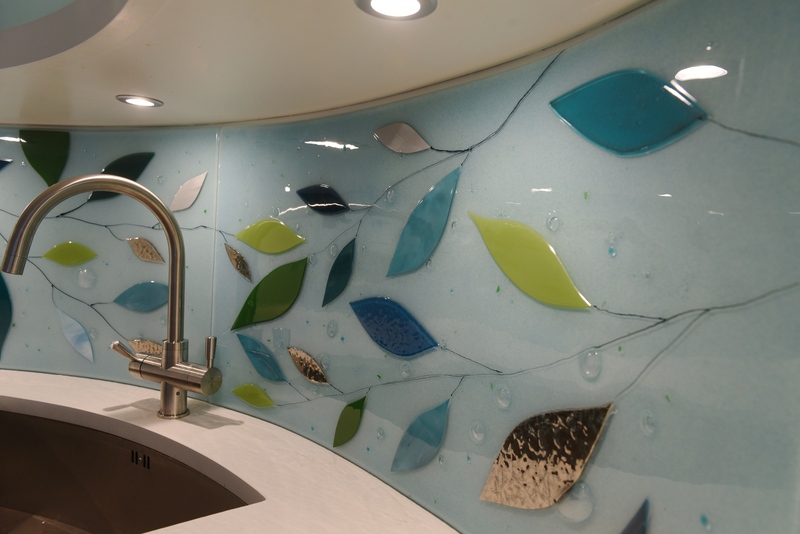 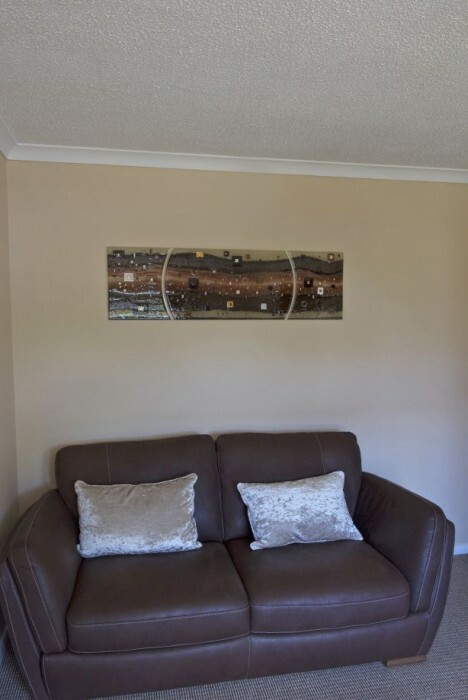 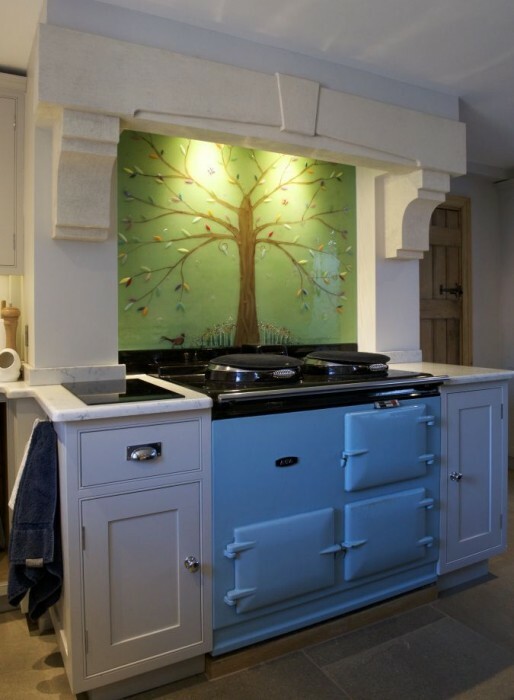 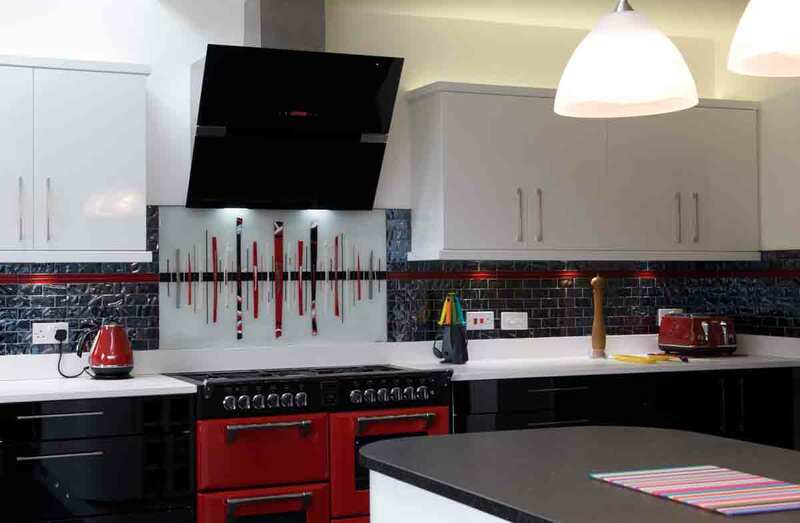 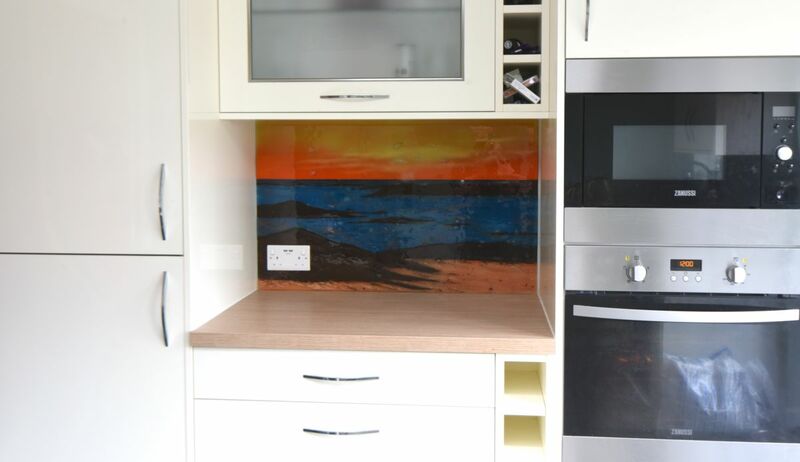 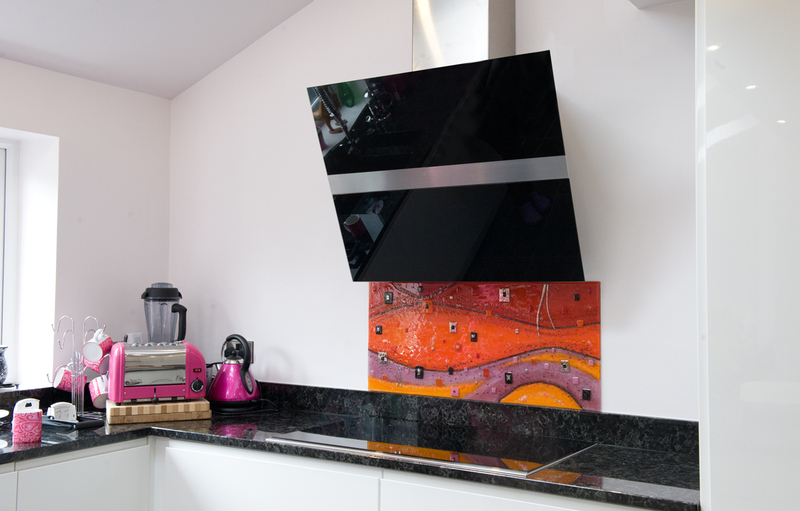 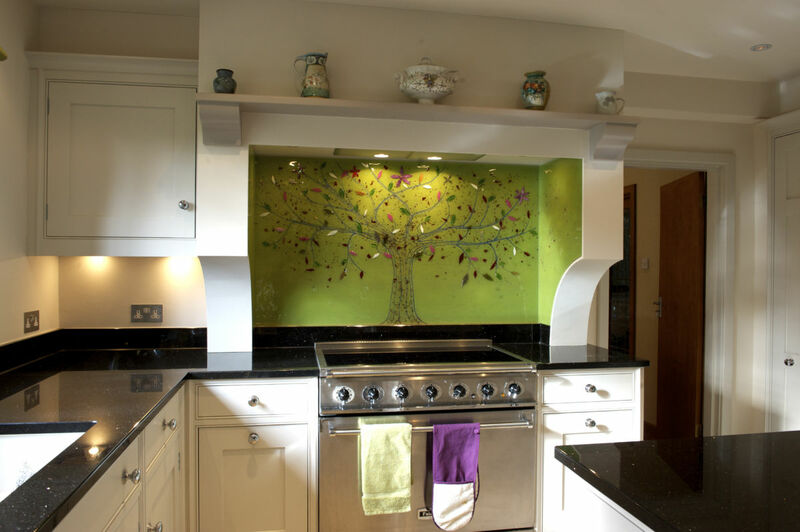 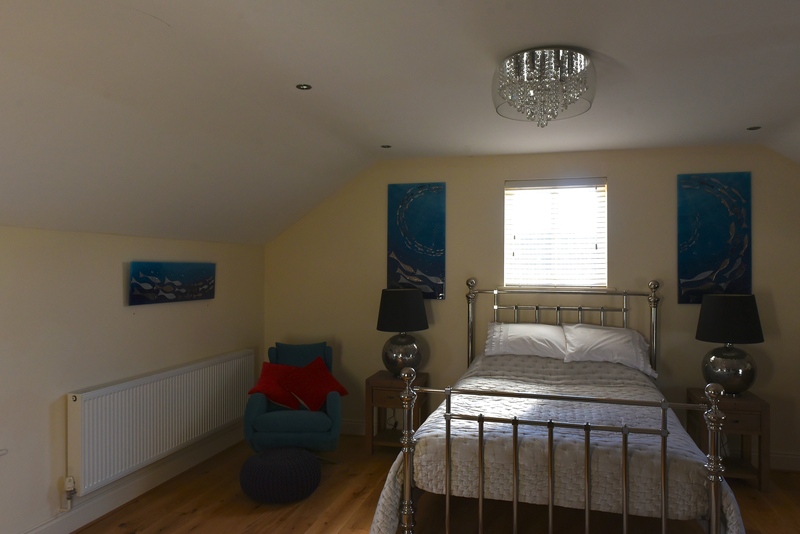 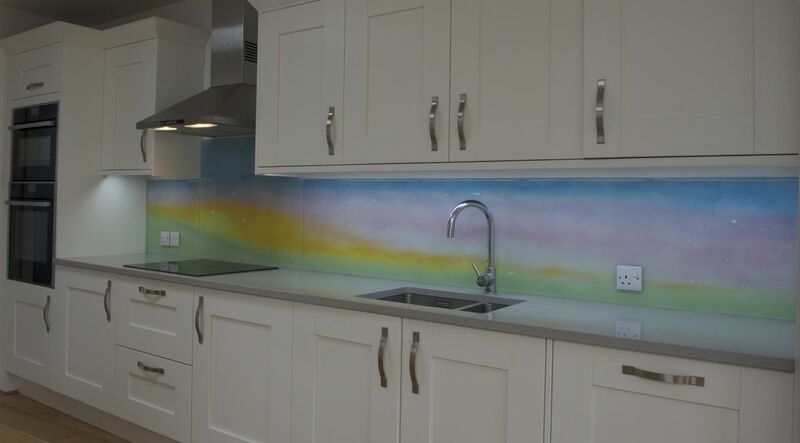 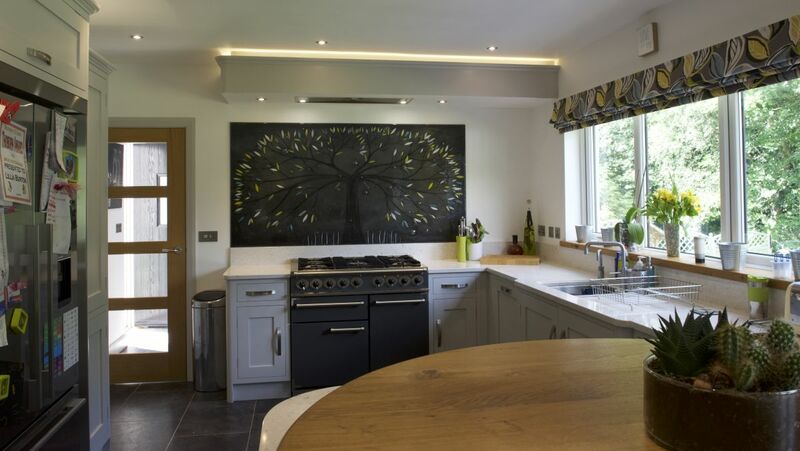 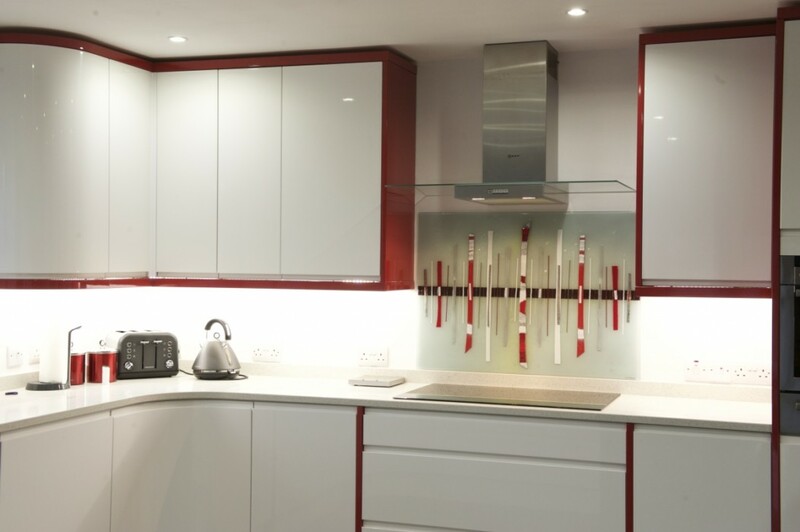 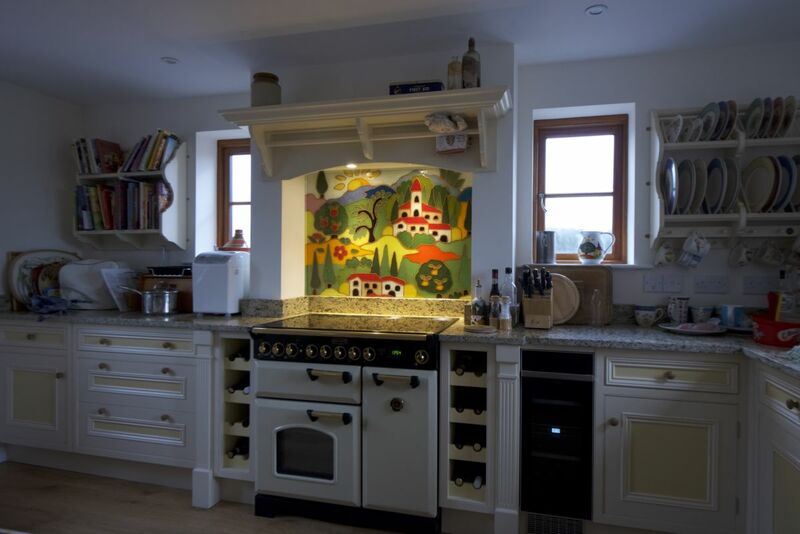 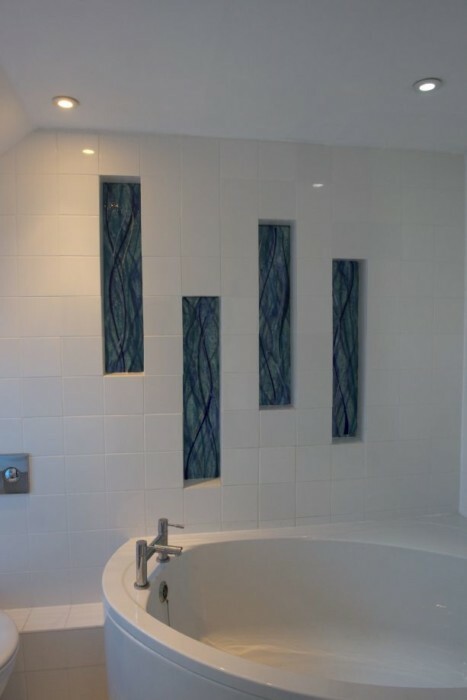 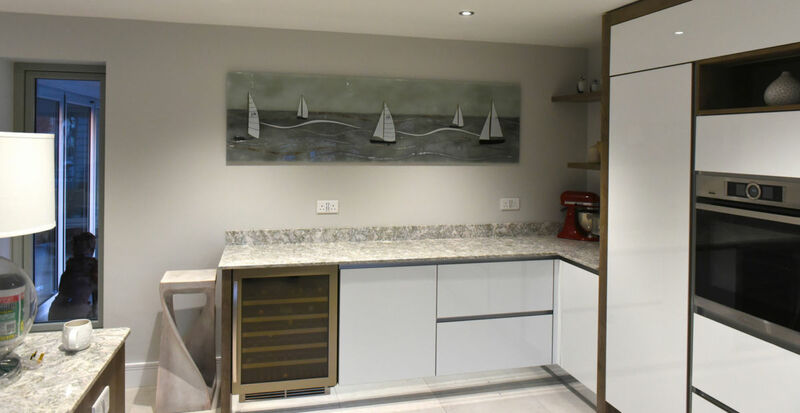 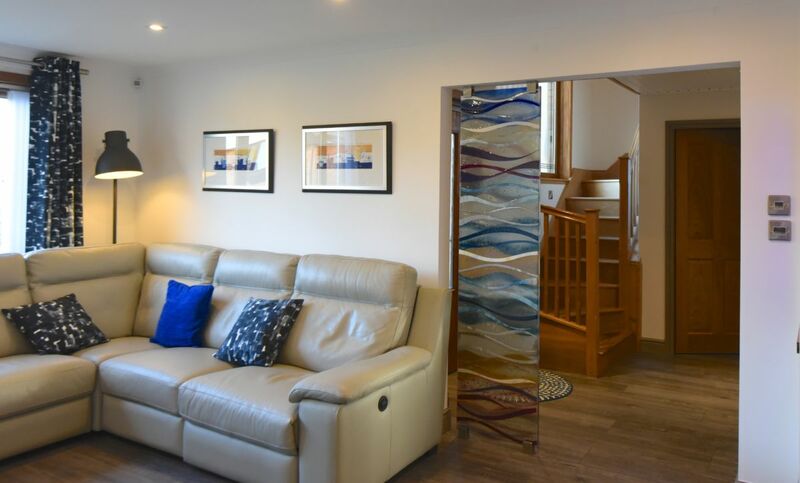 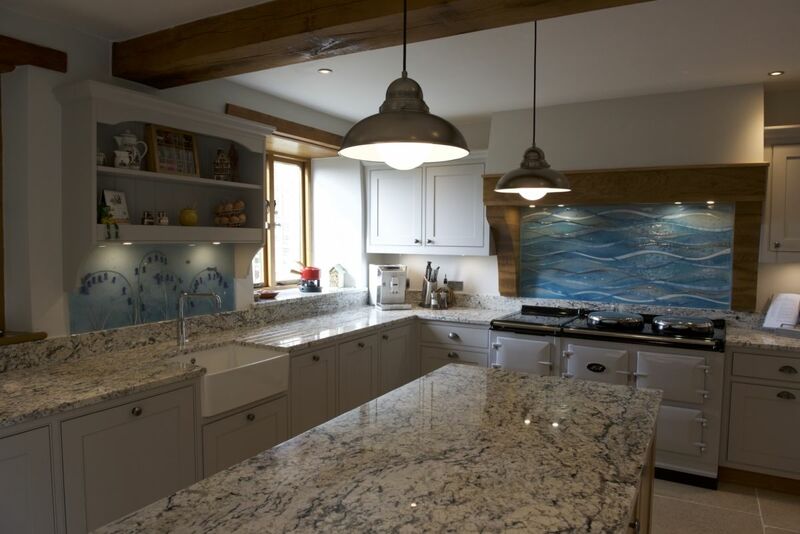 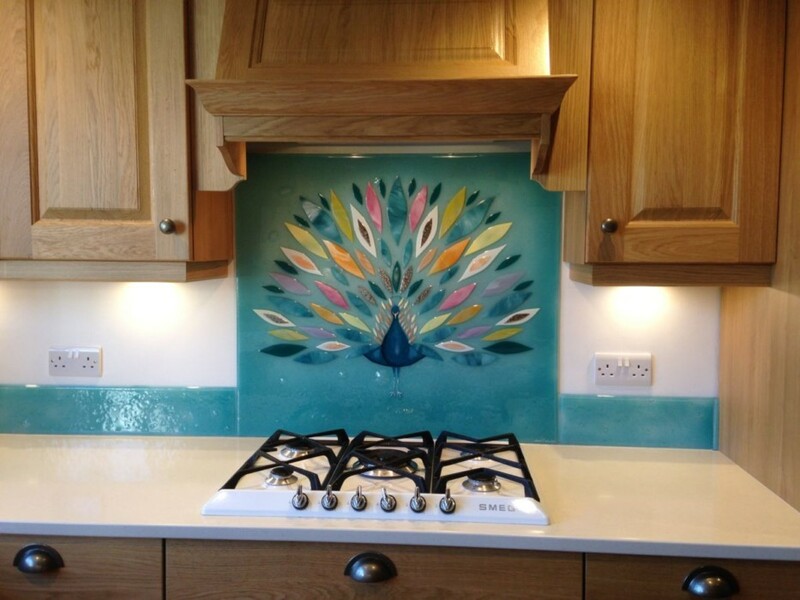 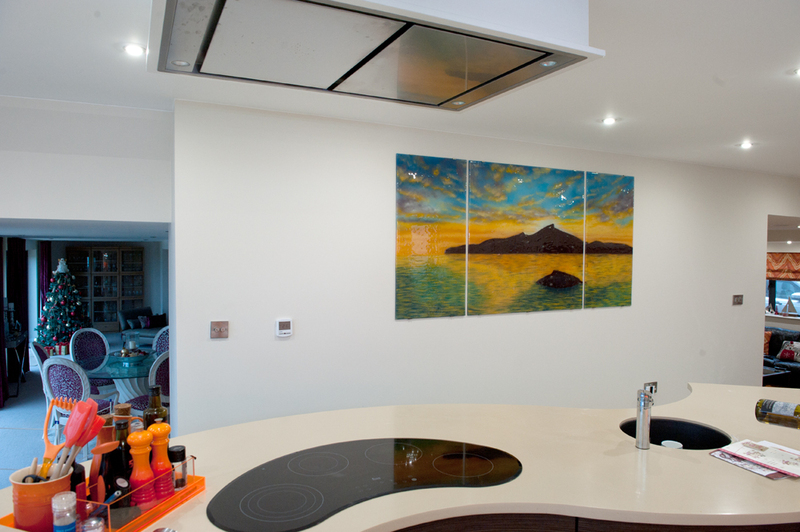 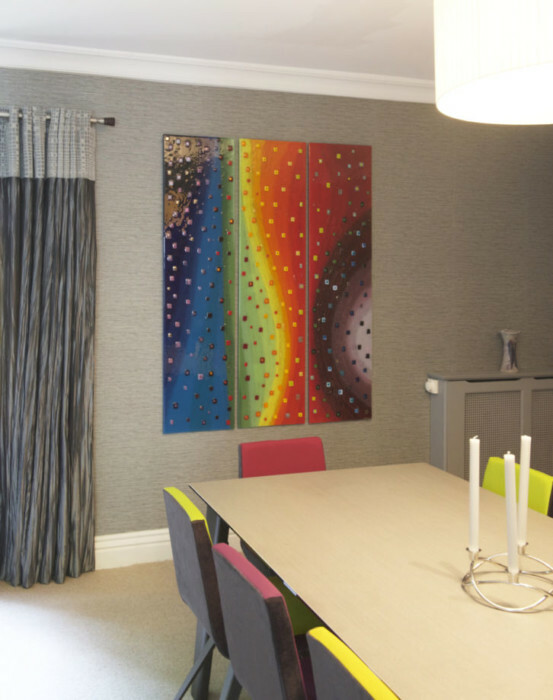 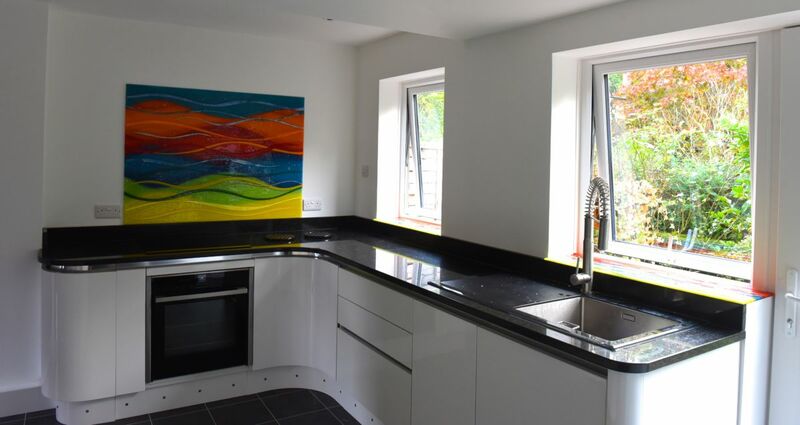 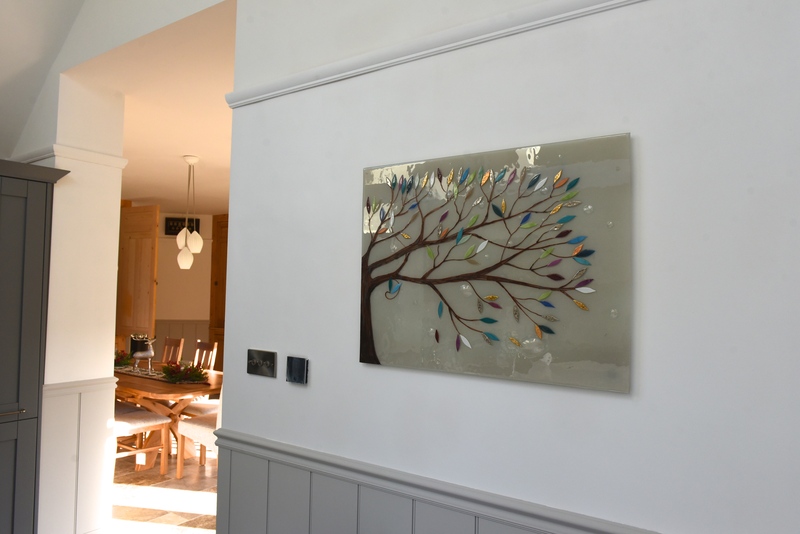 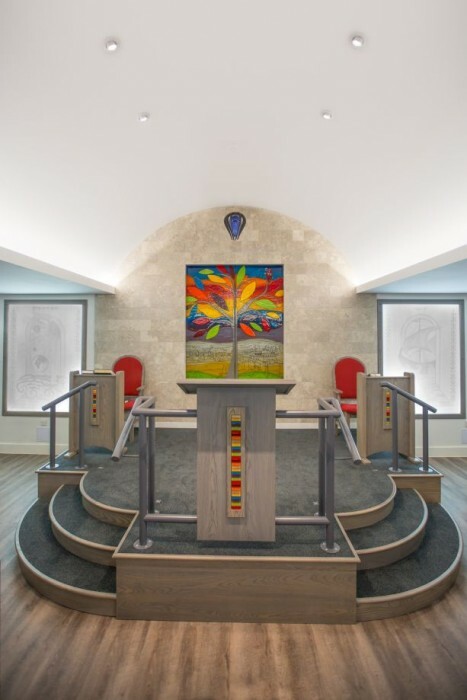 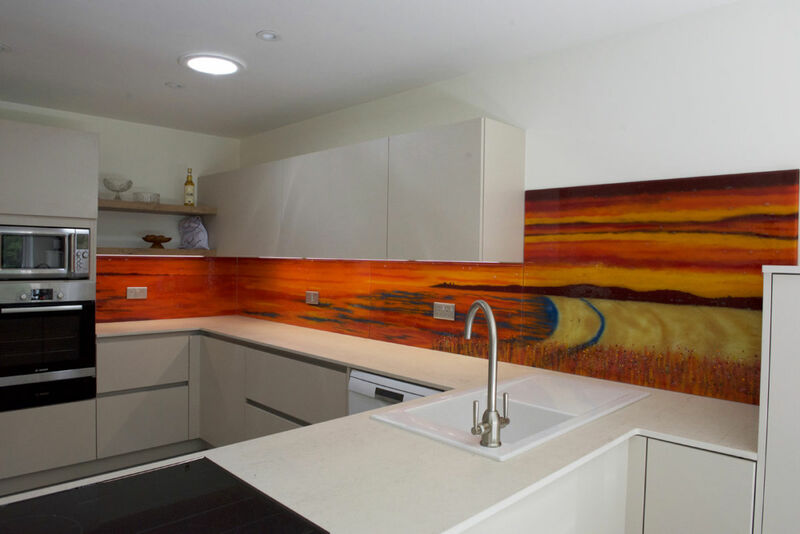 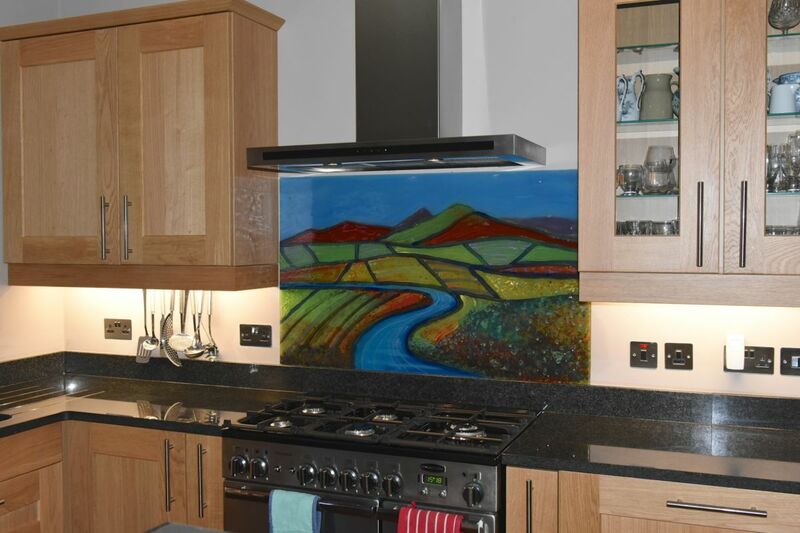 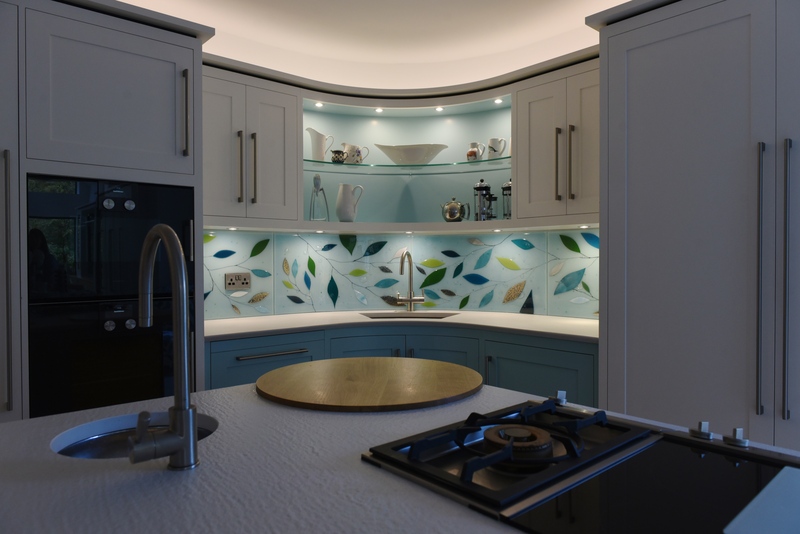 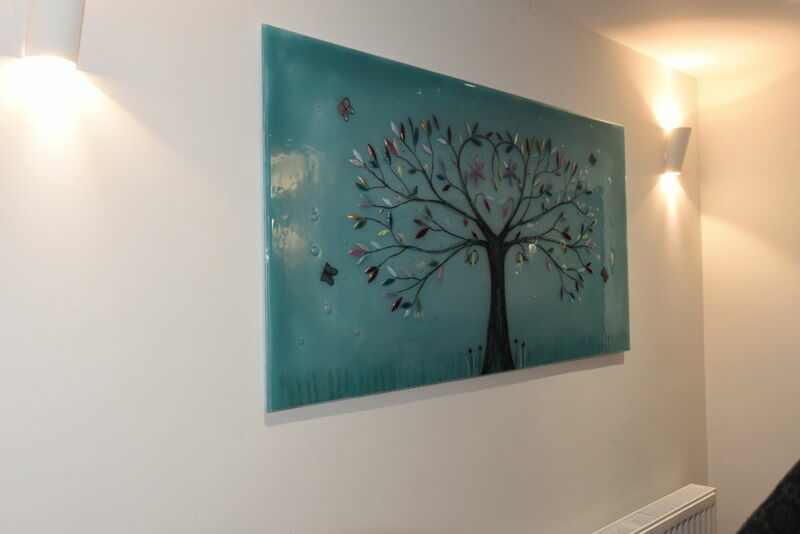 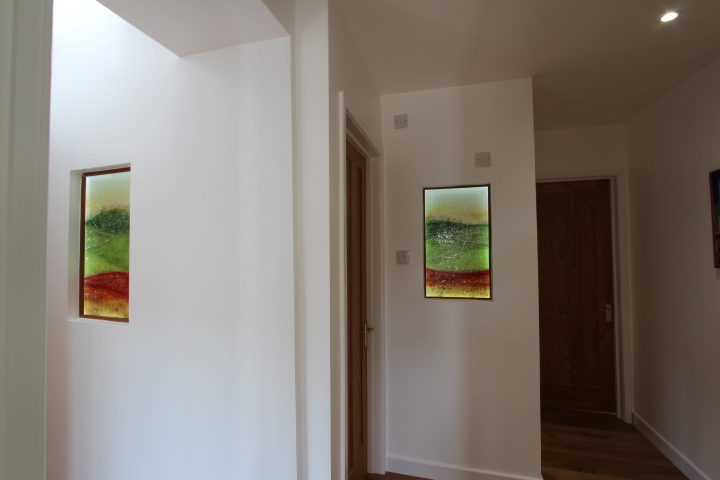 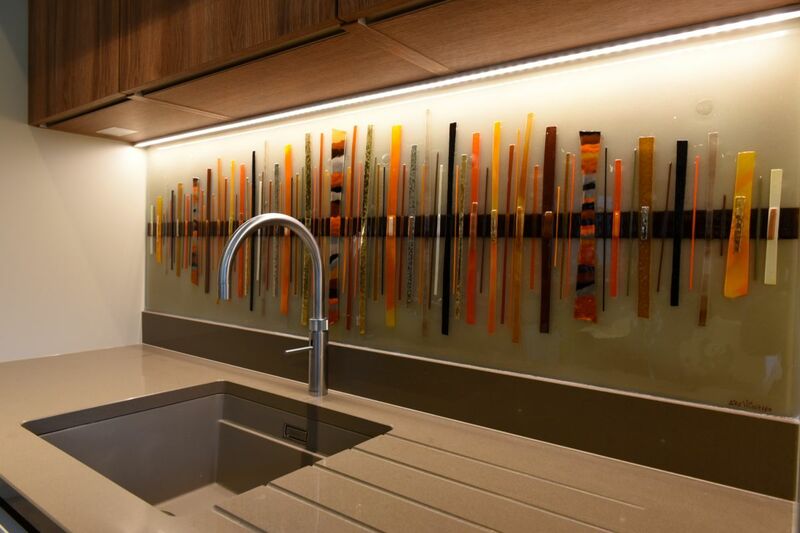 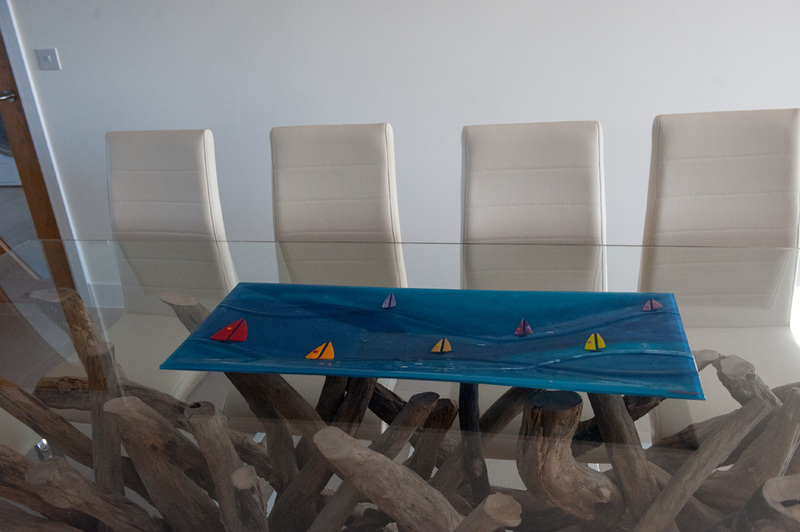 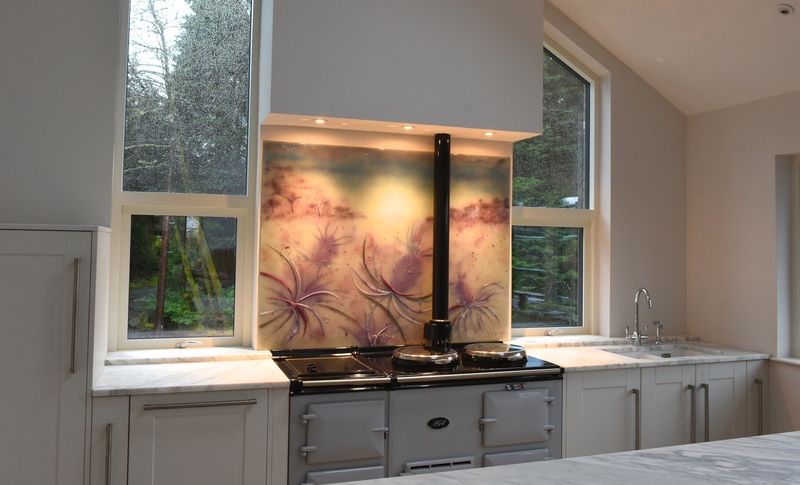 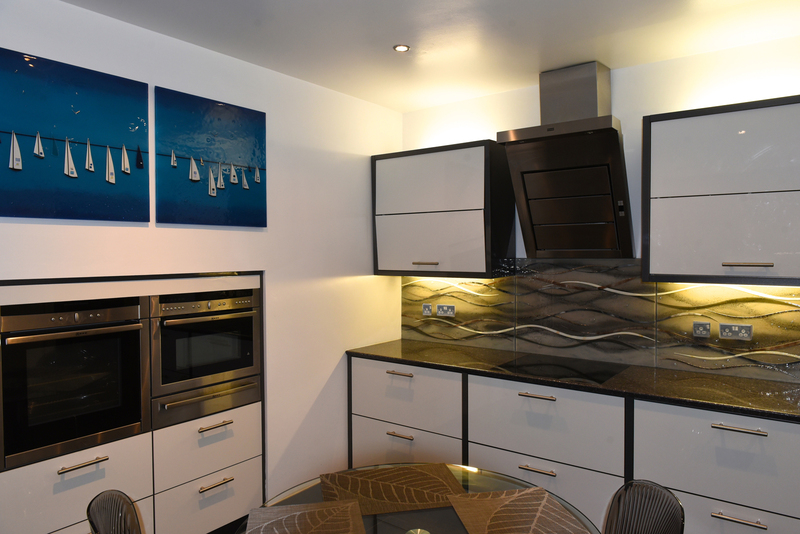 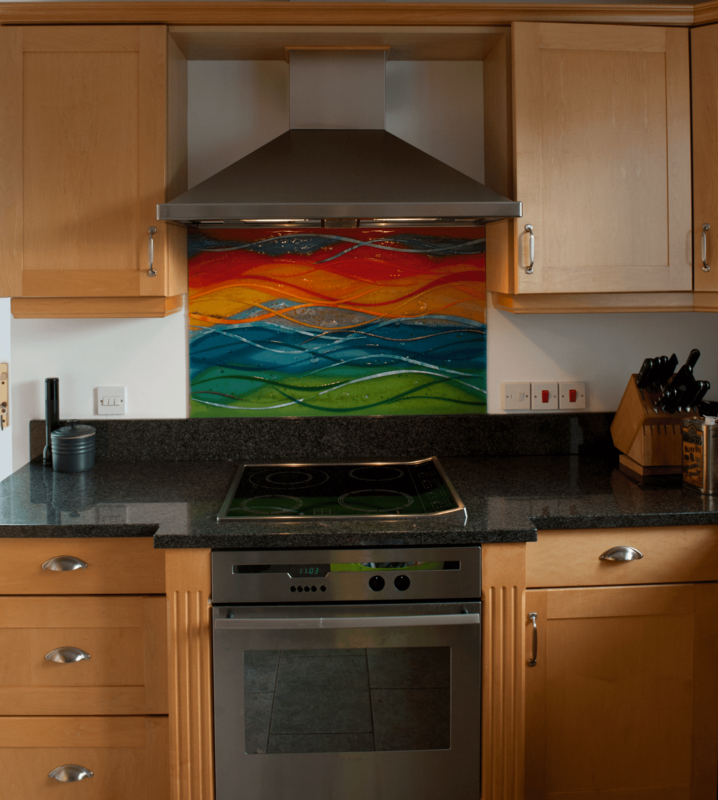 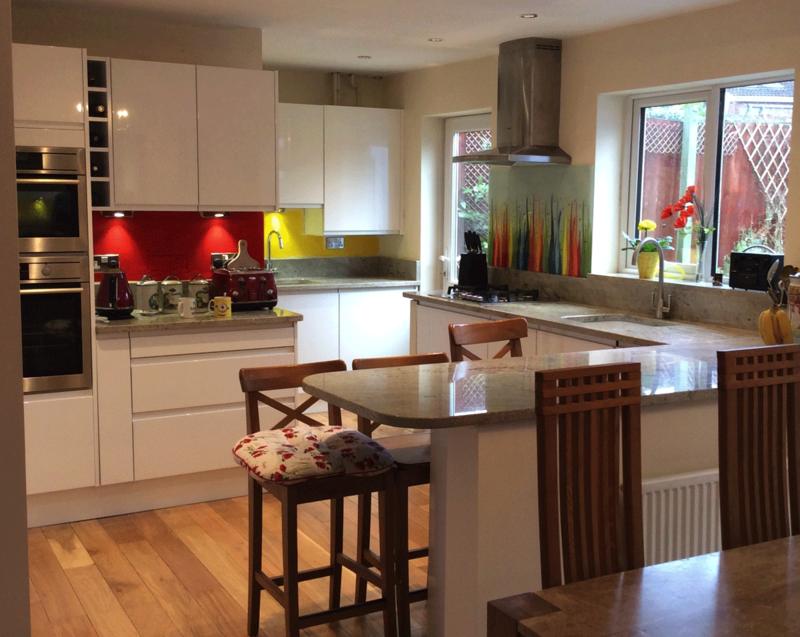 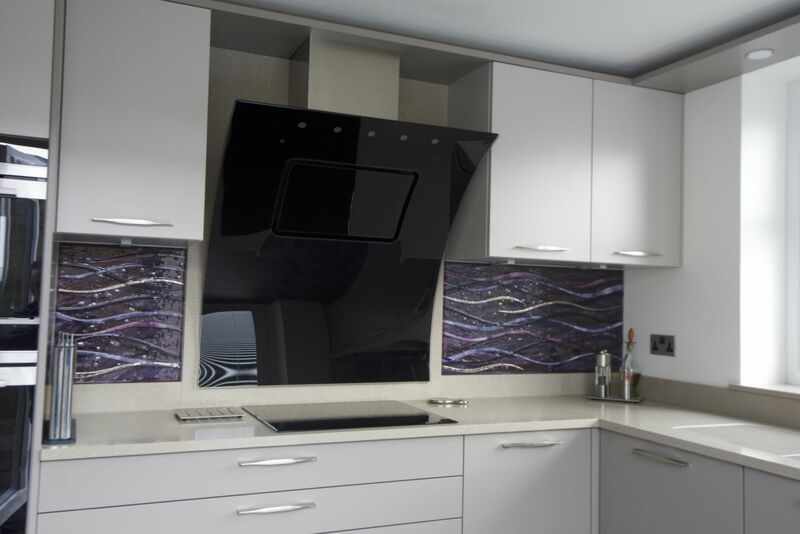 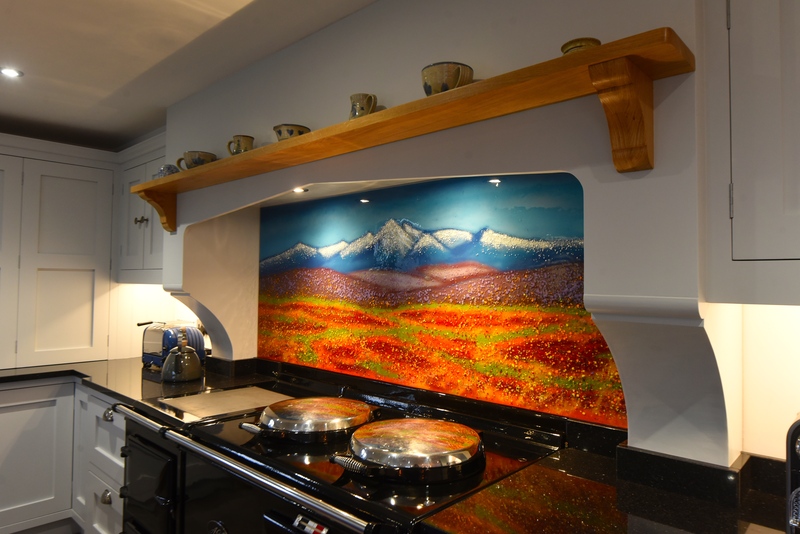 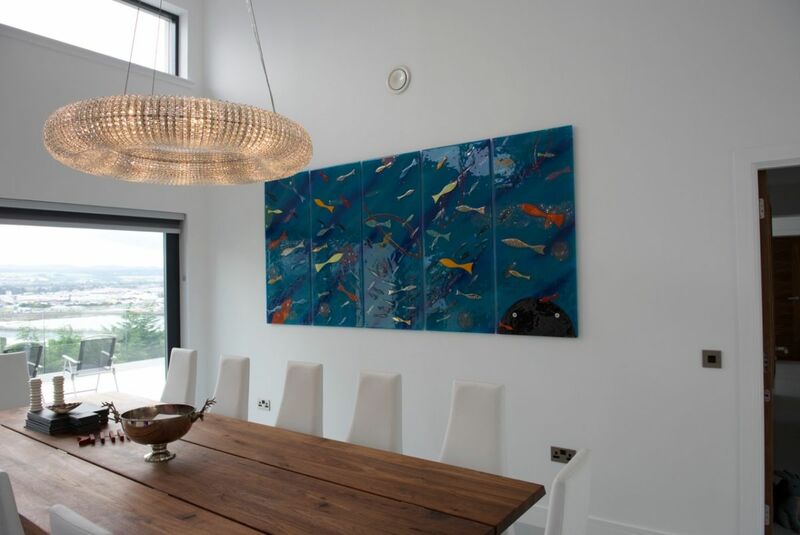 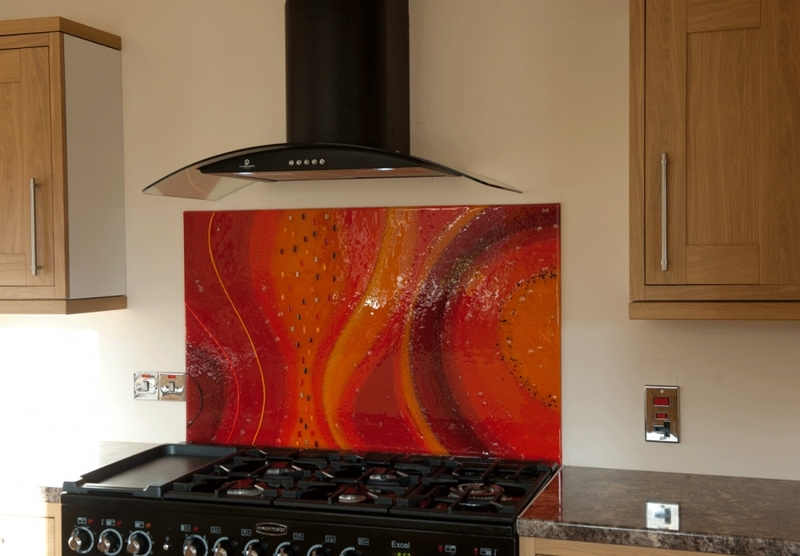 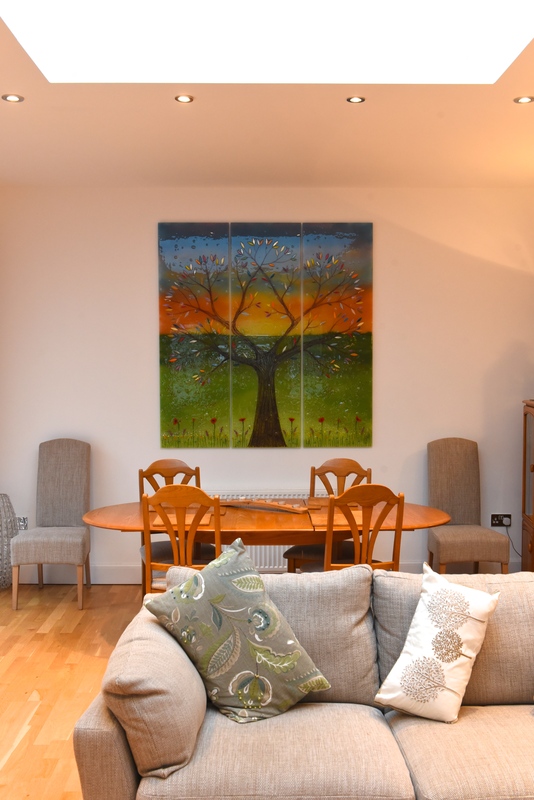 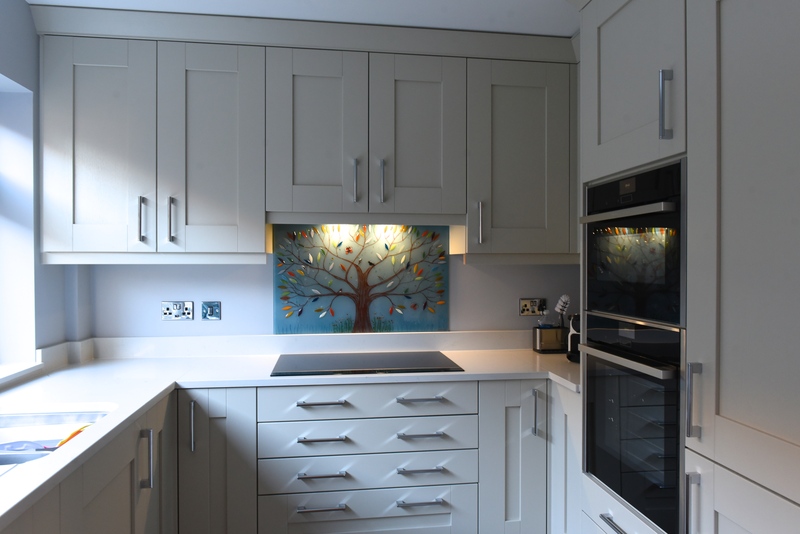 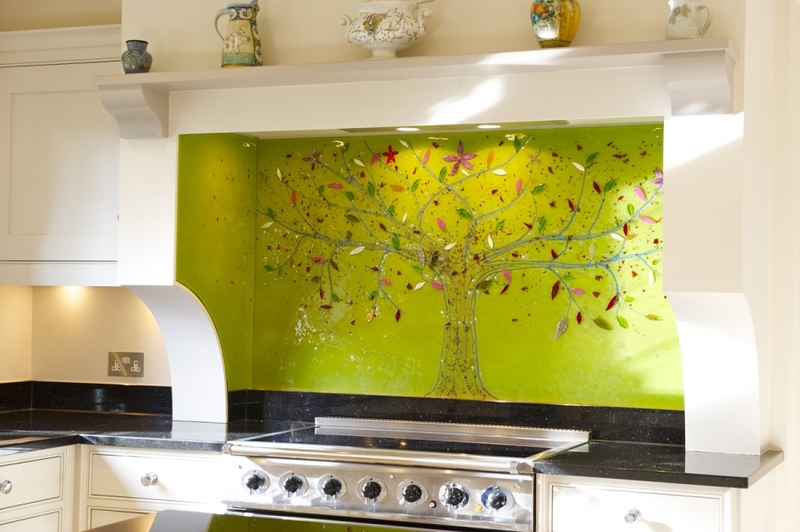 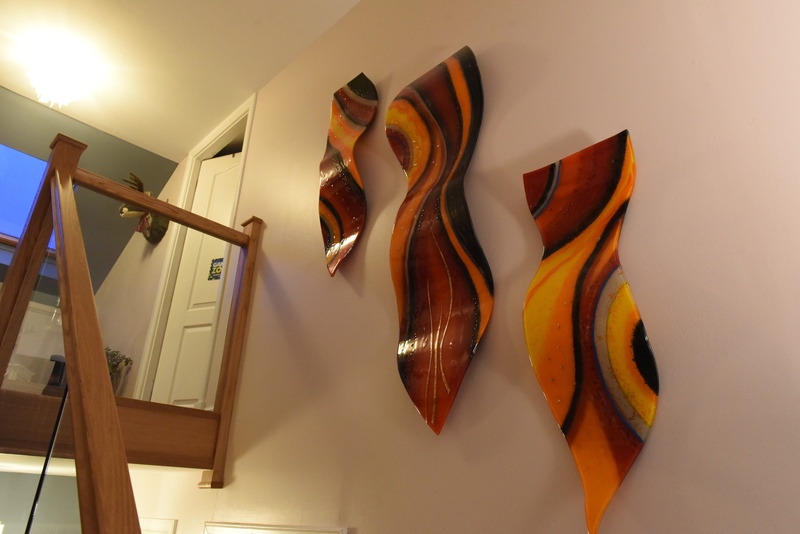 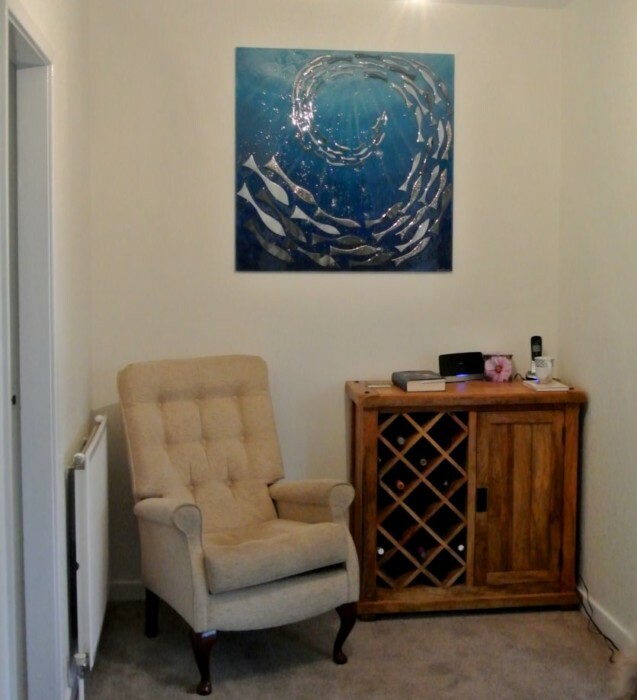 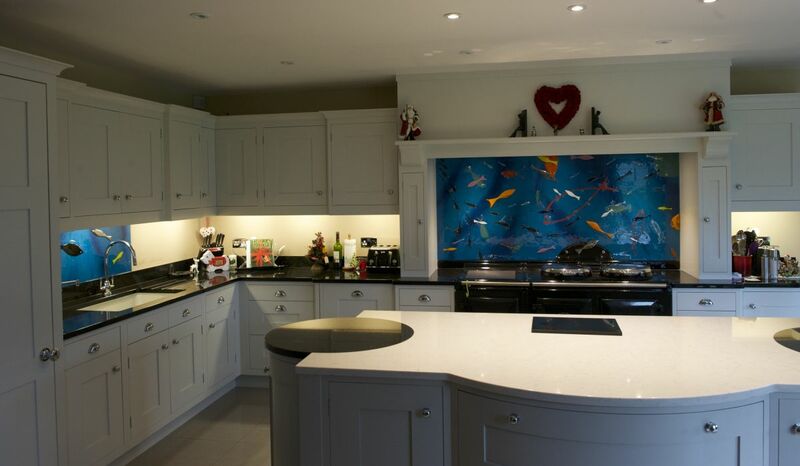 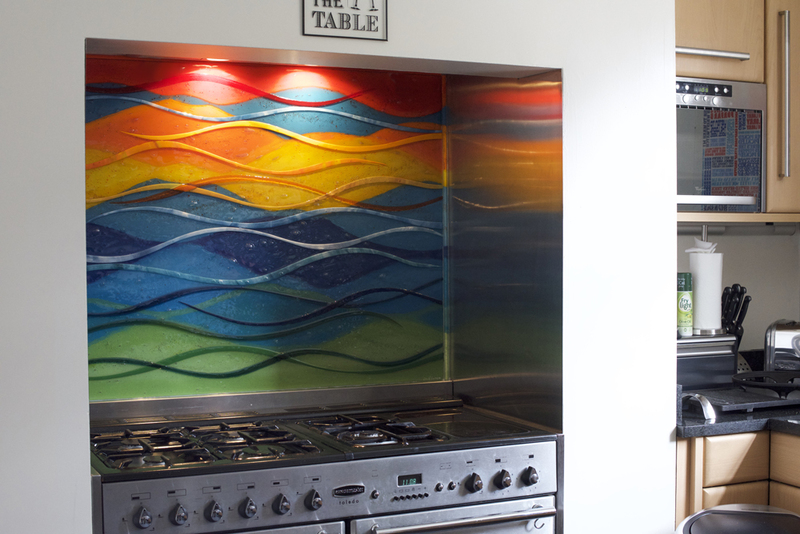 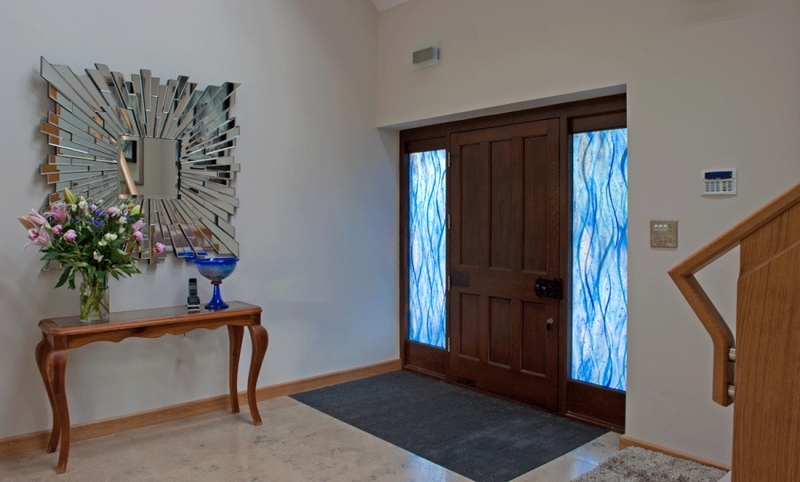 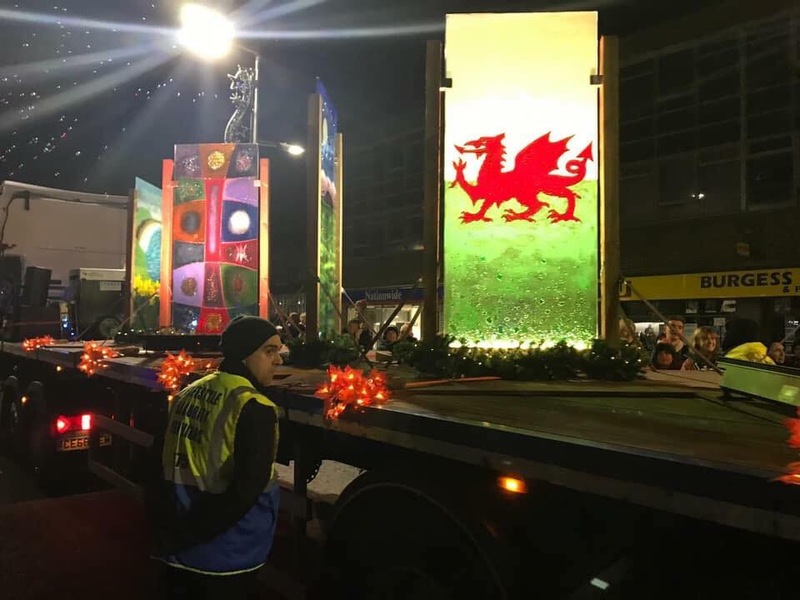 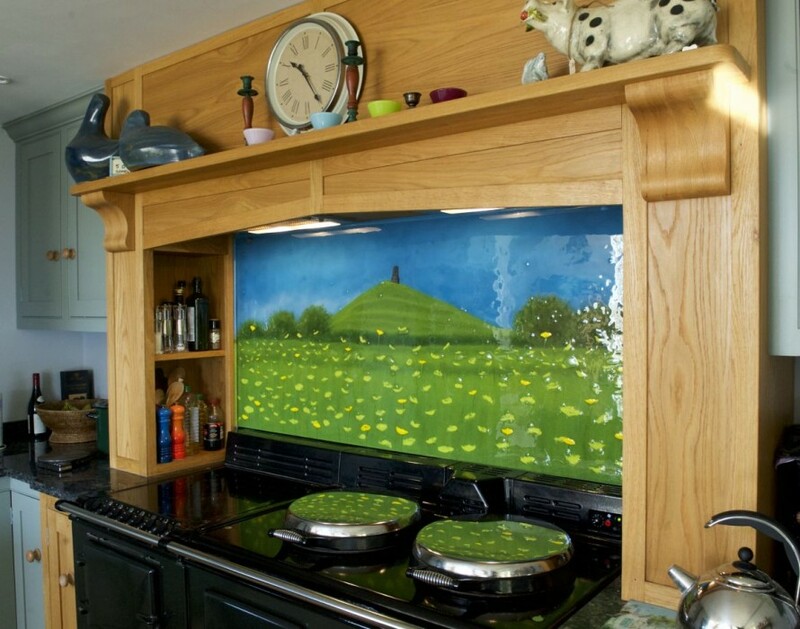 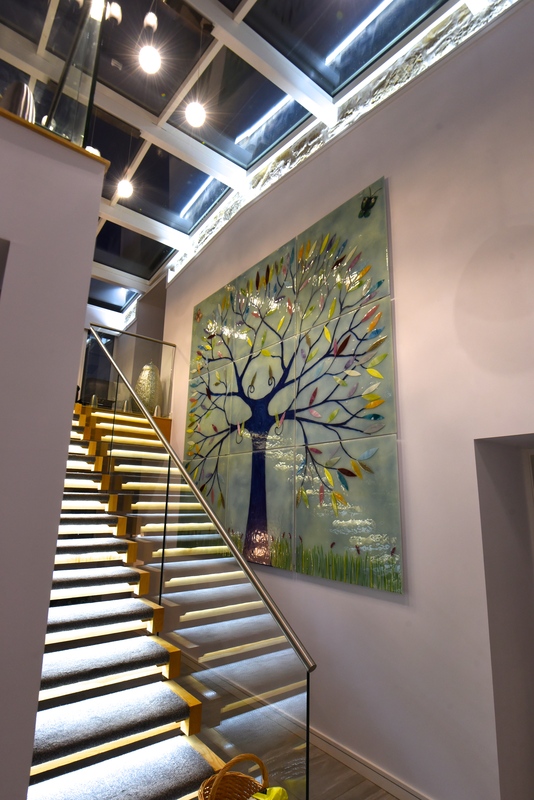 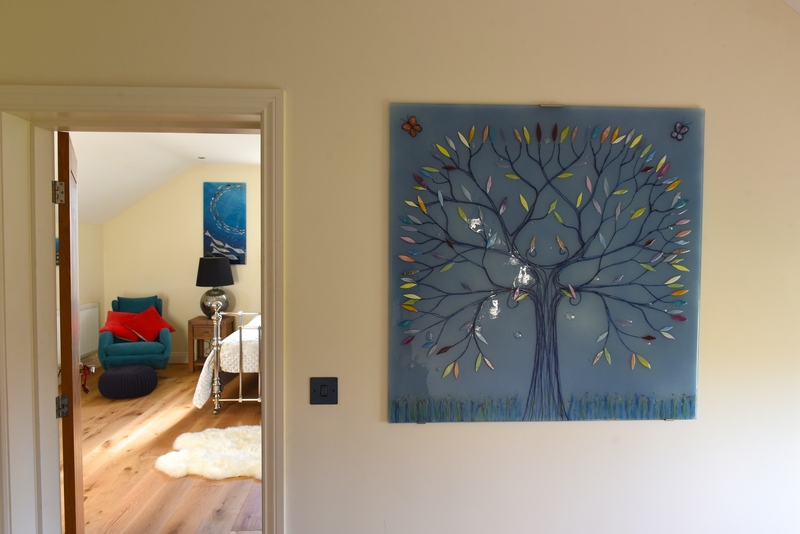 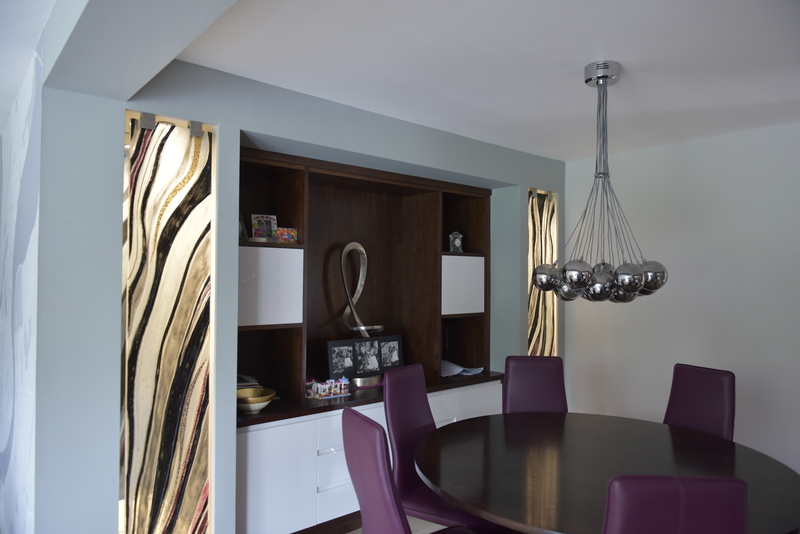 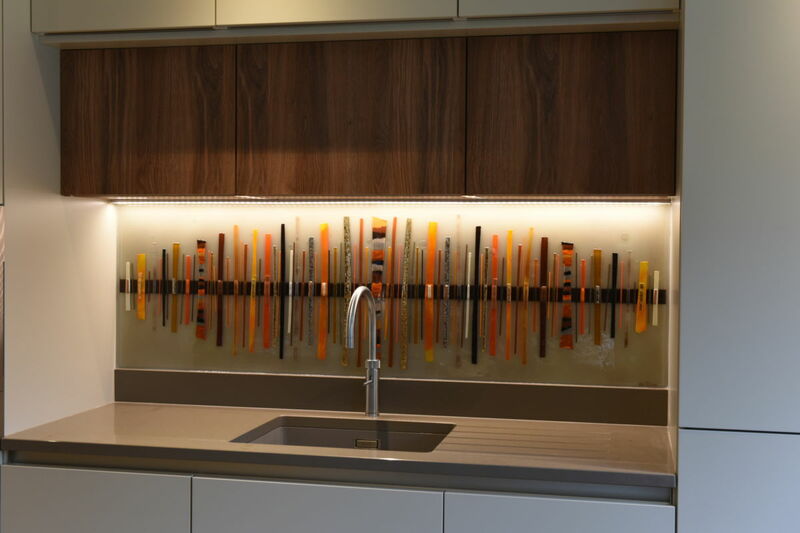 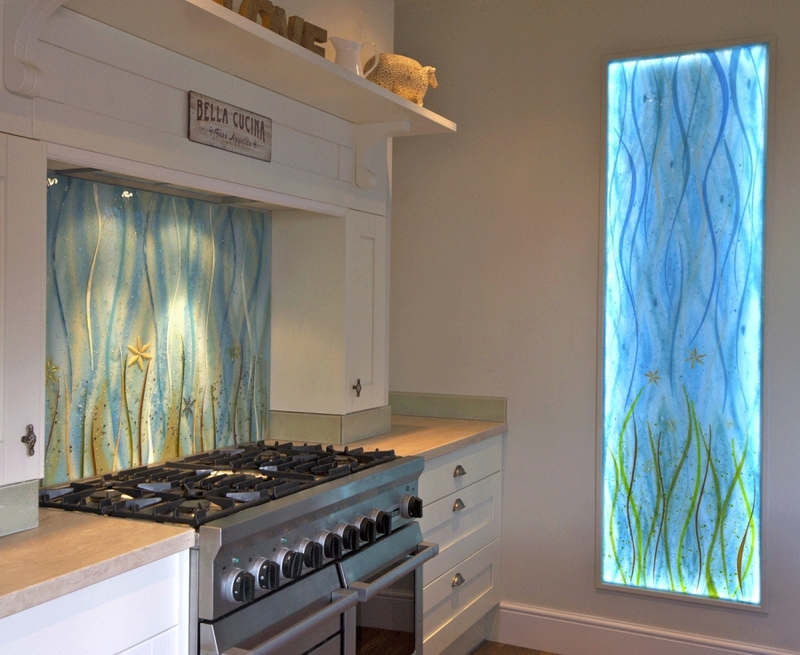 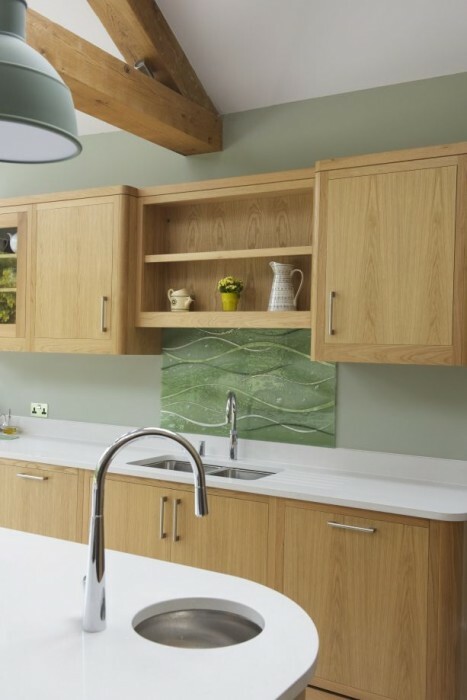 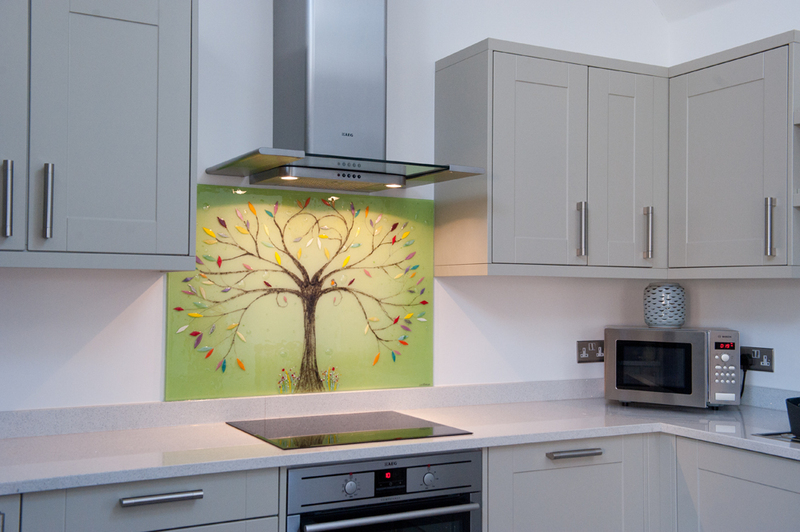 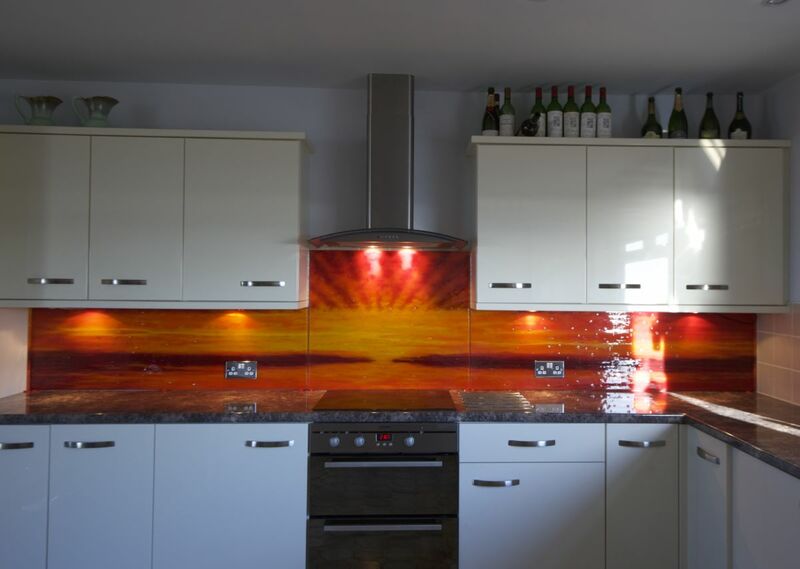 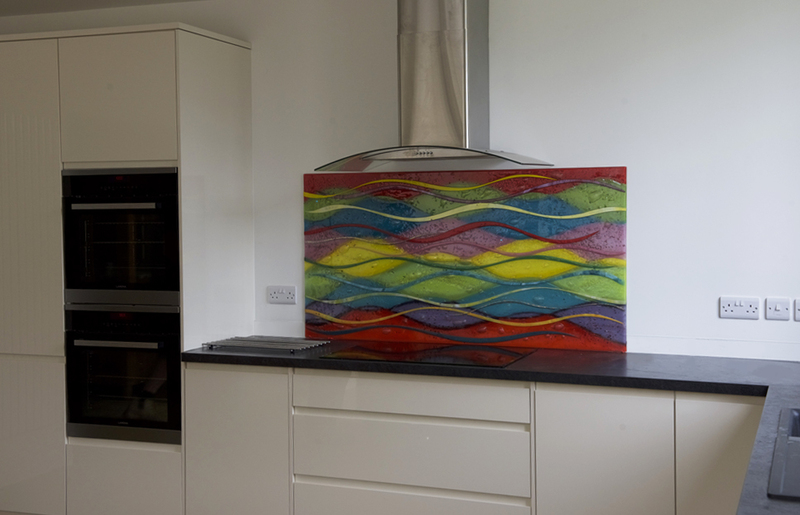 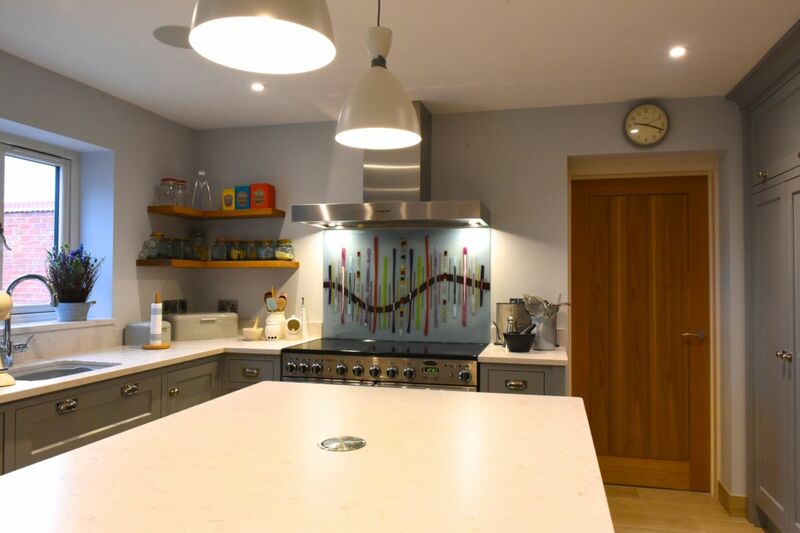 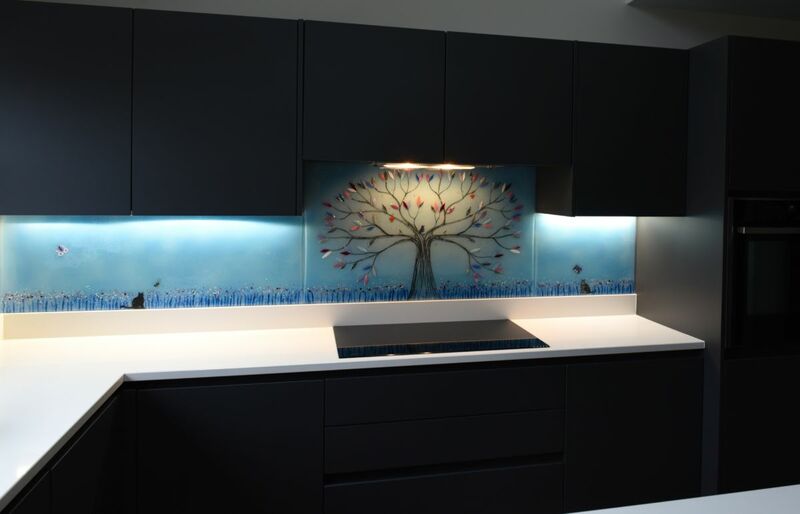 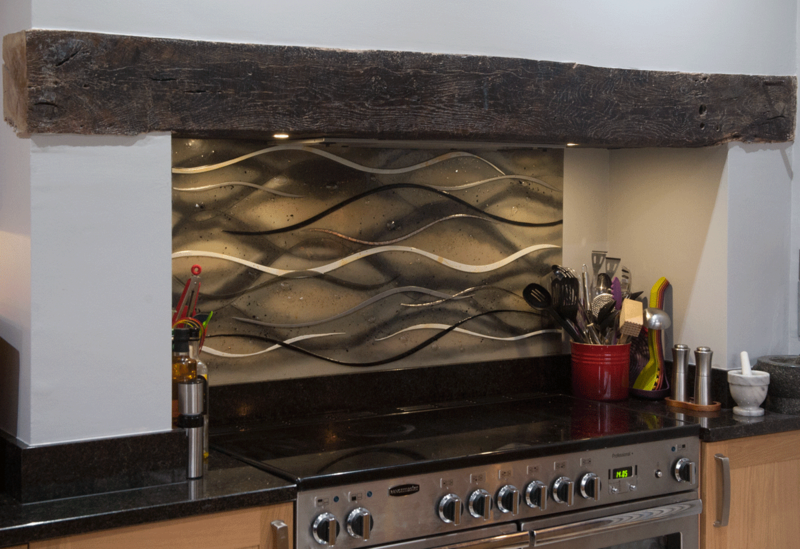 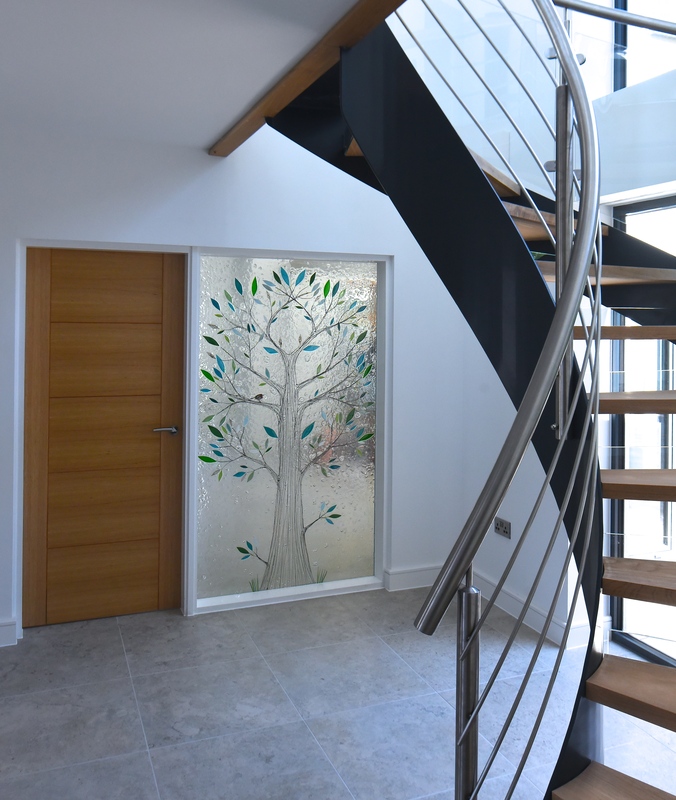 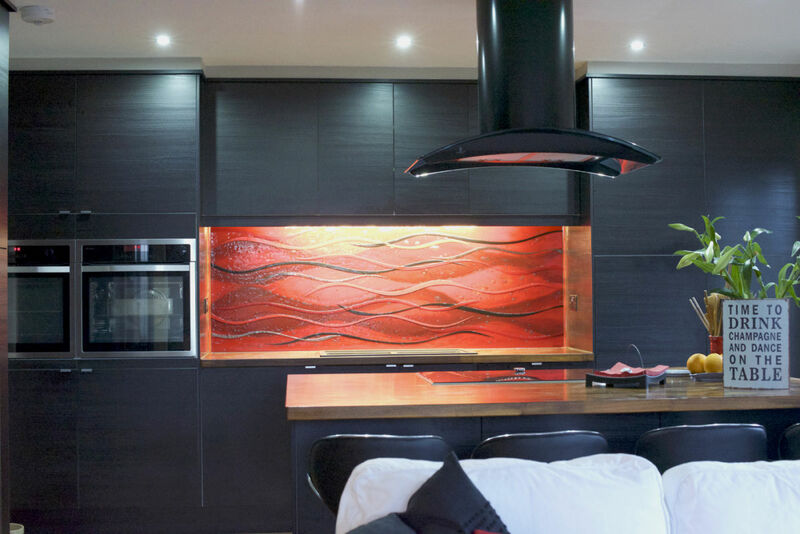 One thing is for sure, however, no matter how involved you’d like to be with the design process, you’re guaranteed a unique piece of fused glass art that no-one else can say they have in their home. 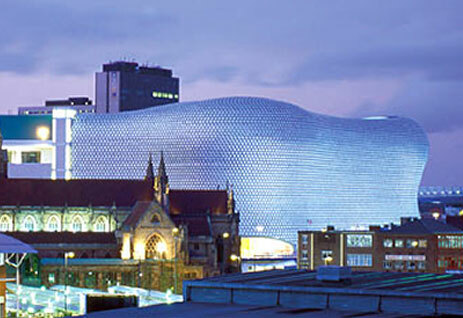 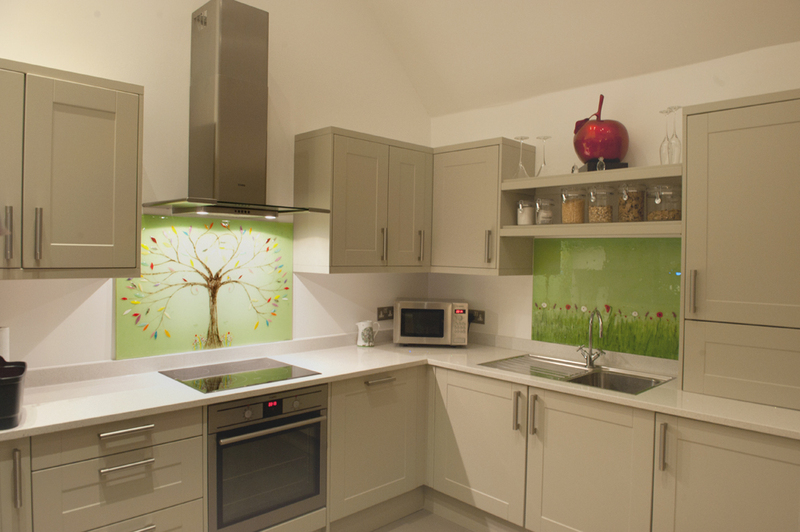 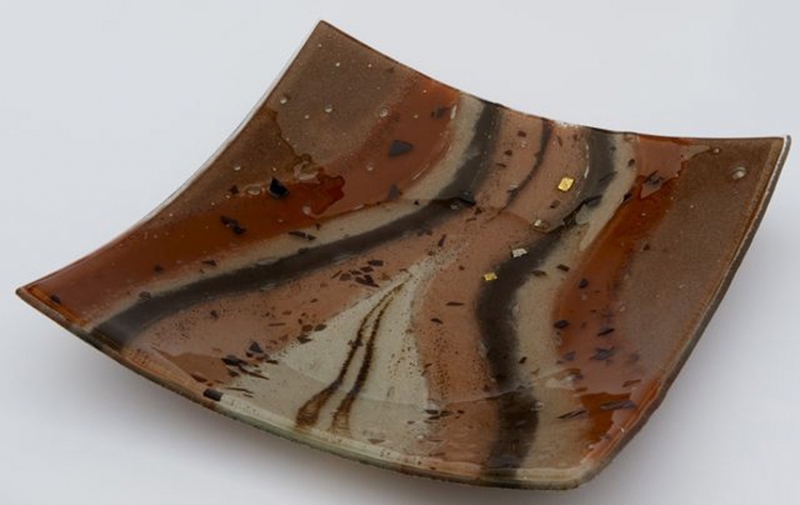 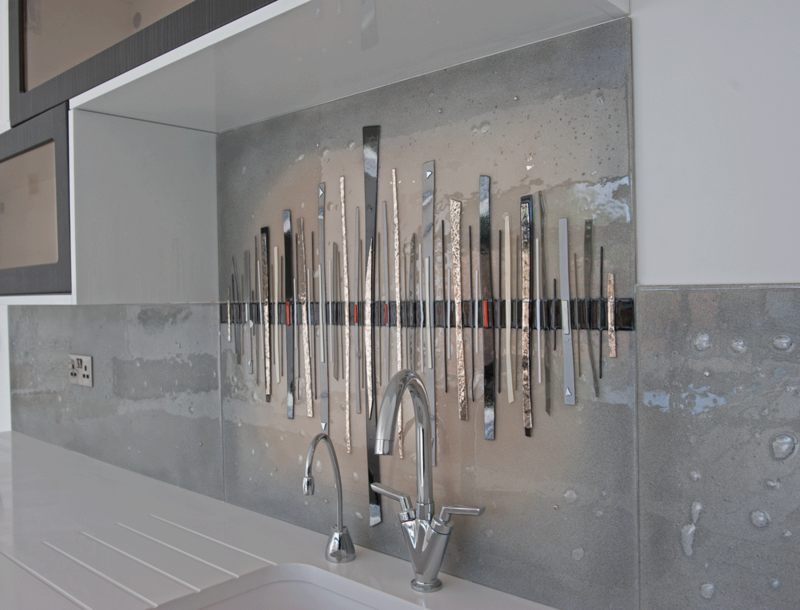 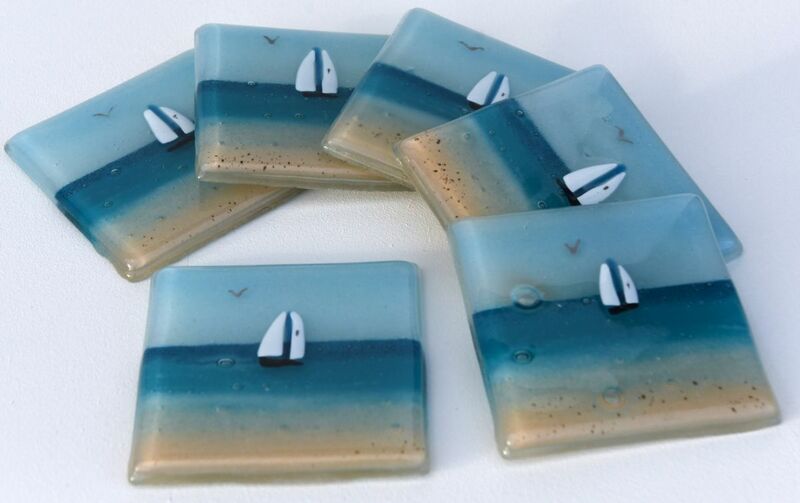 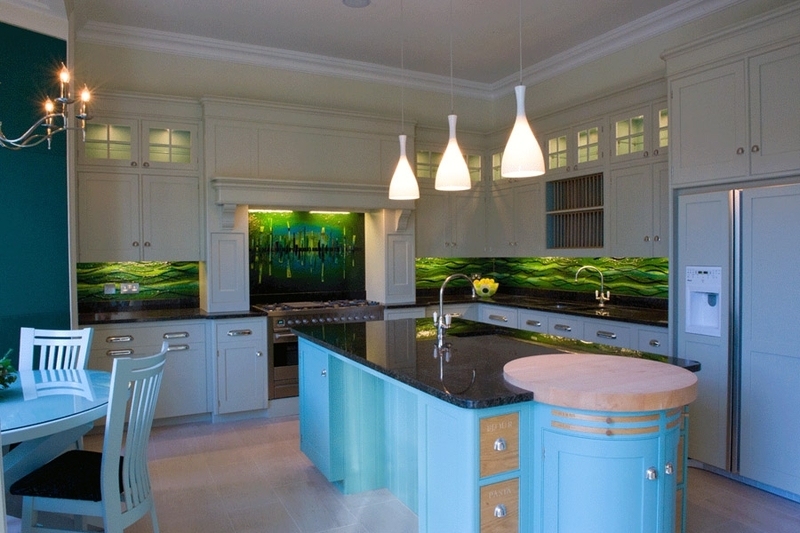 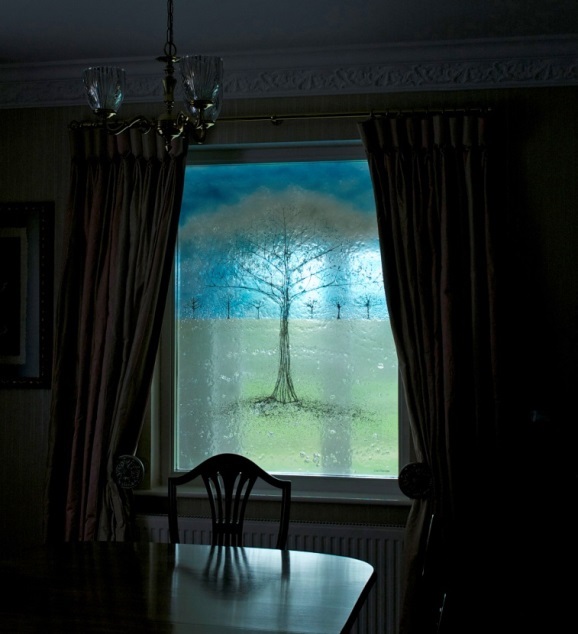 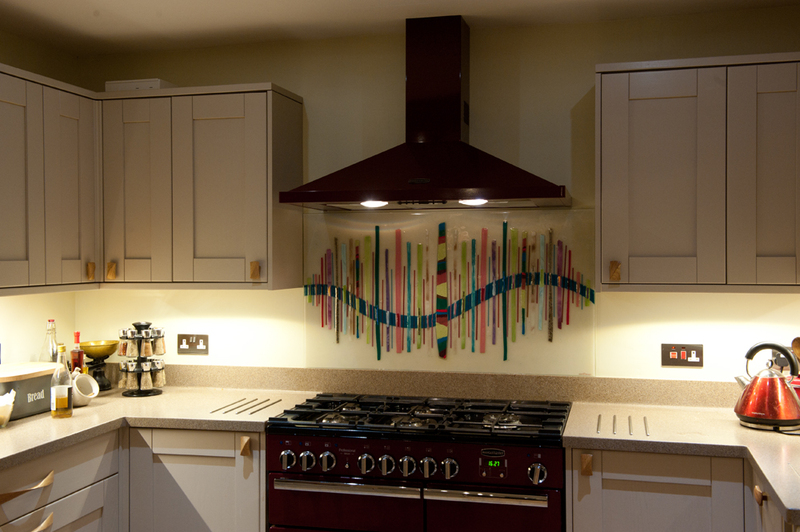 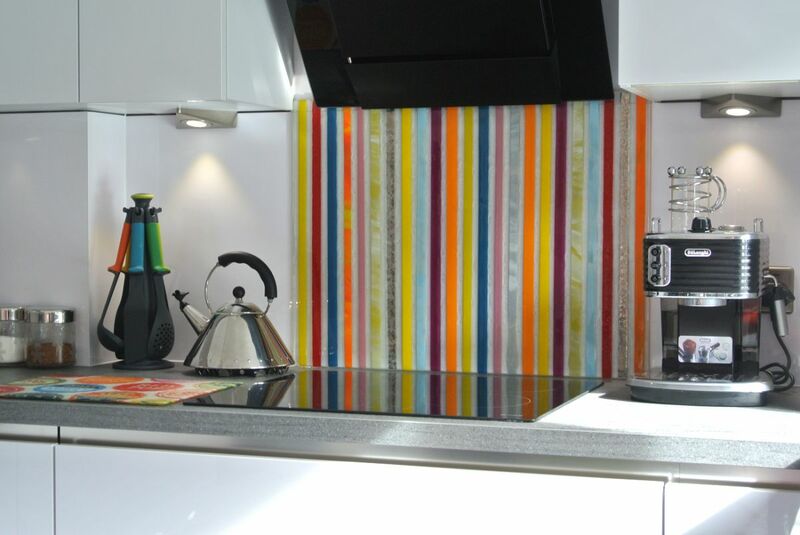 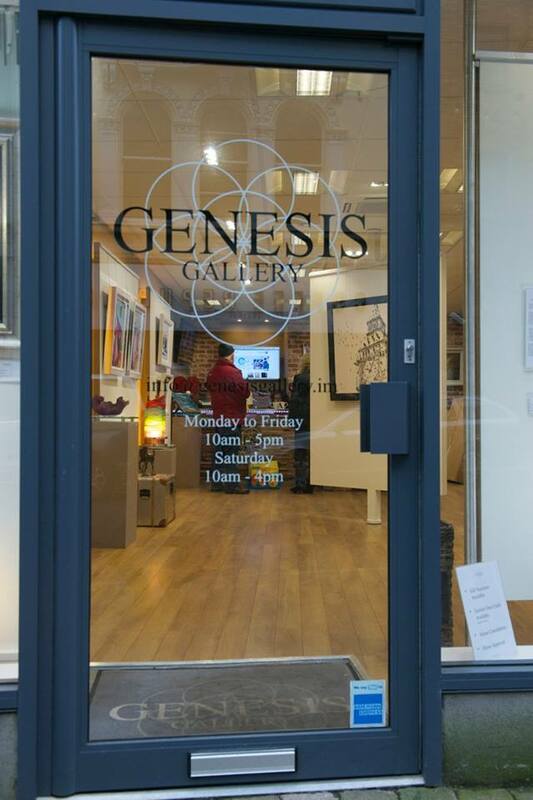 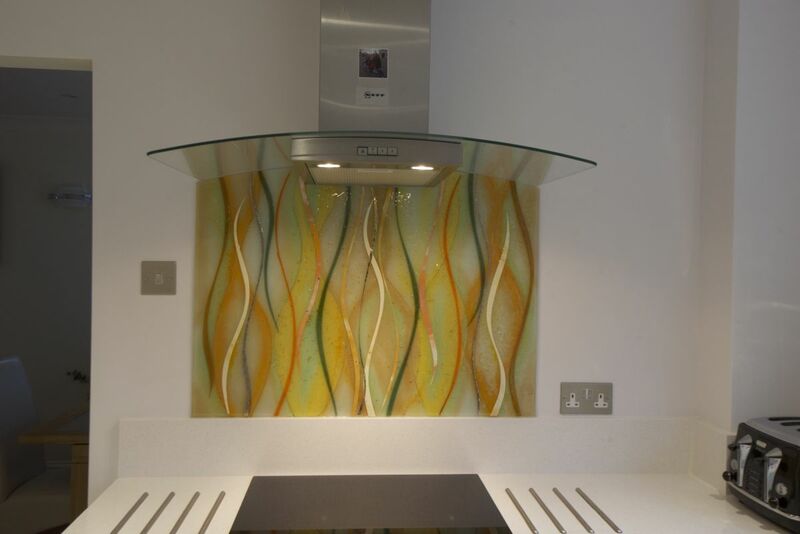 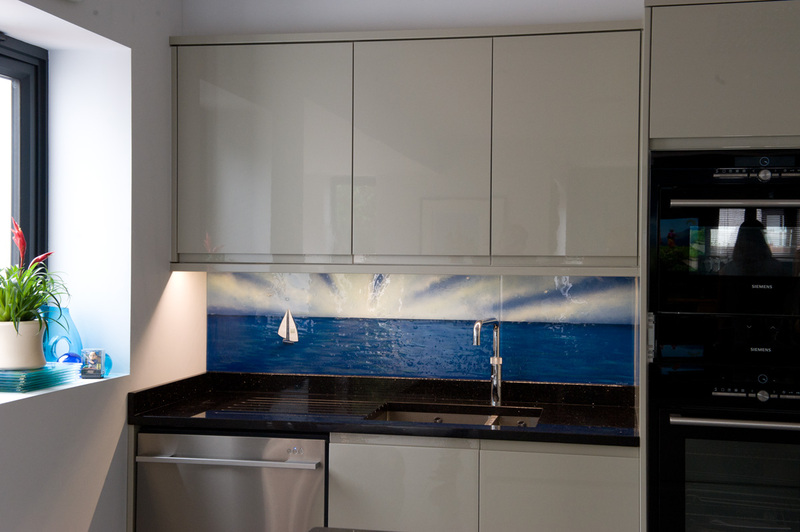 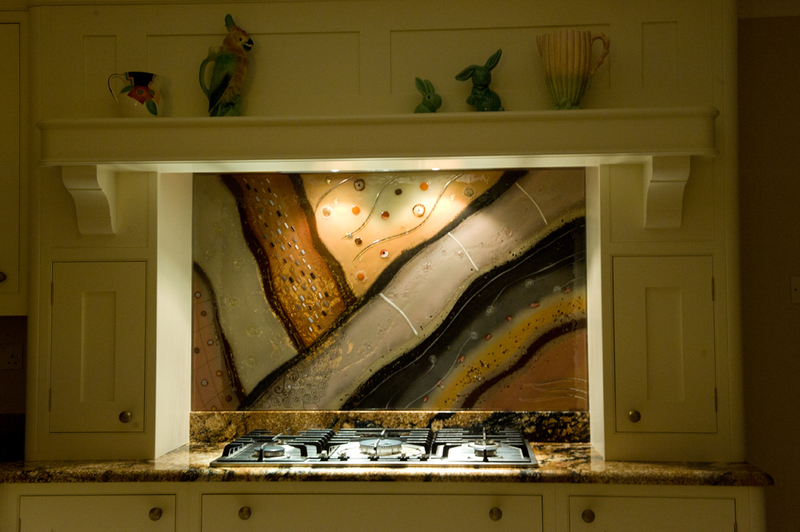 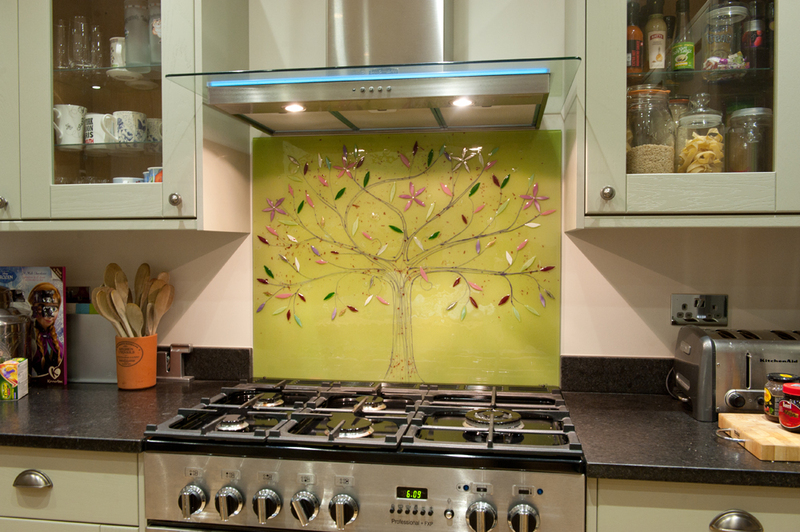 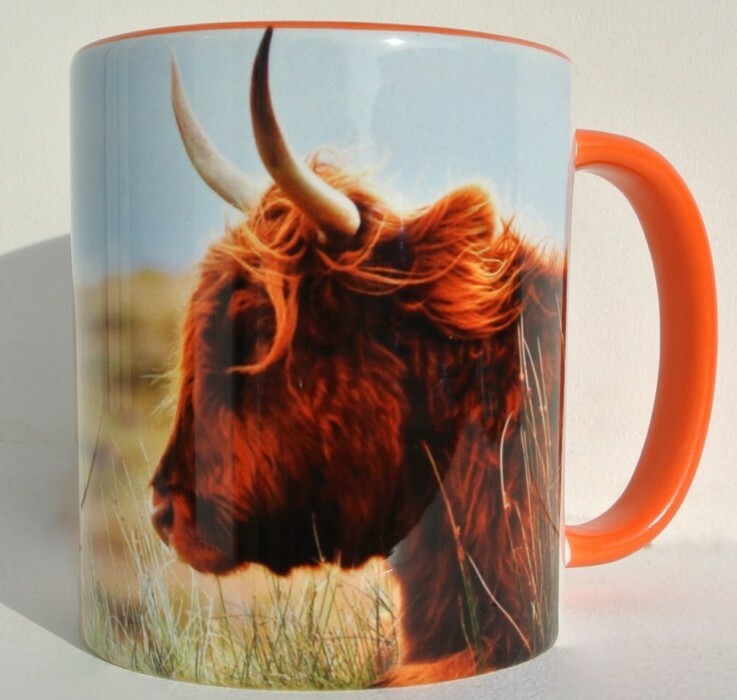 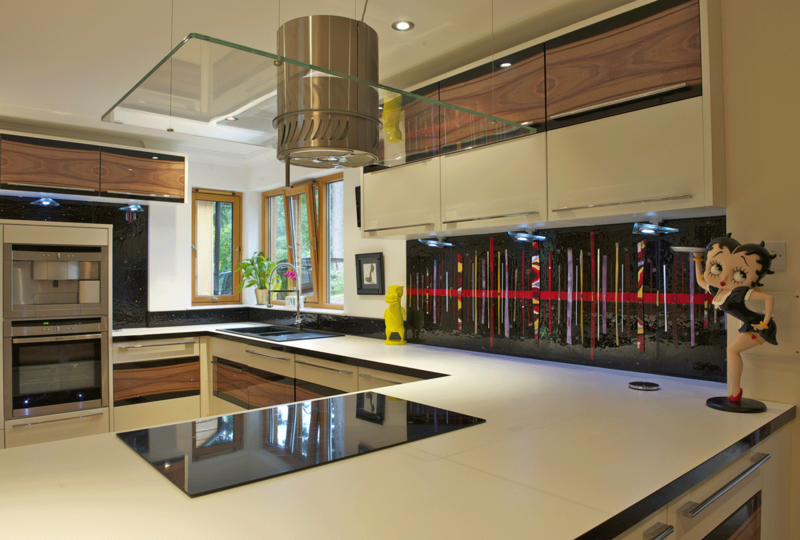 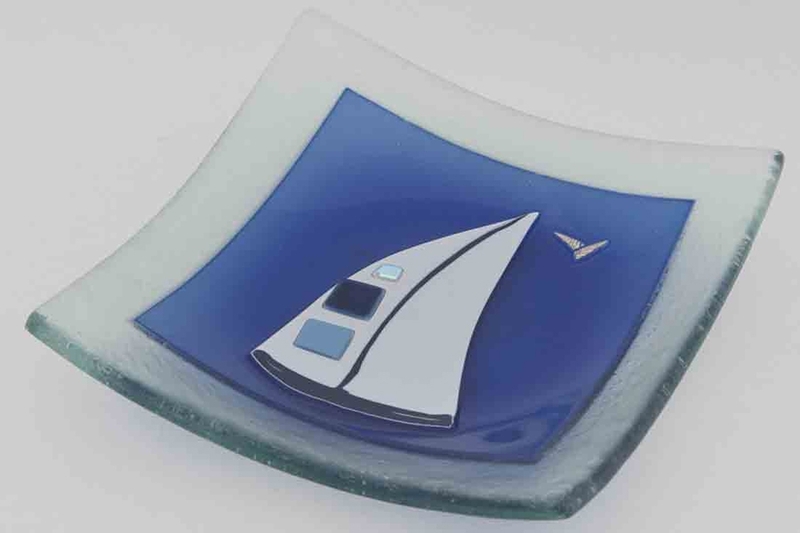 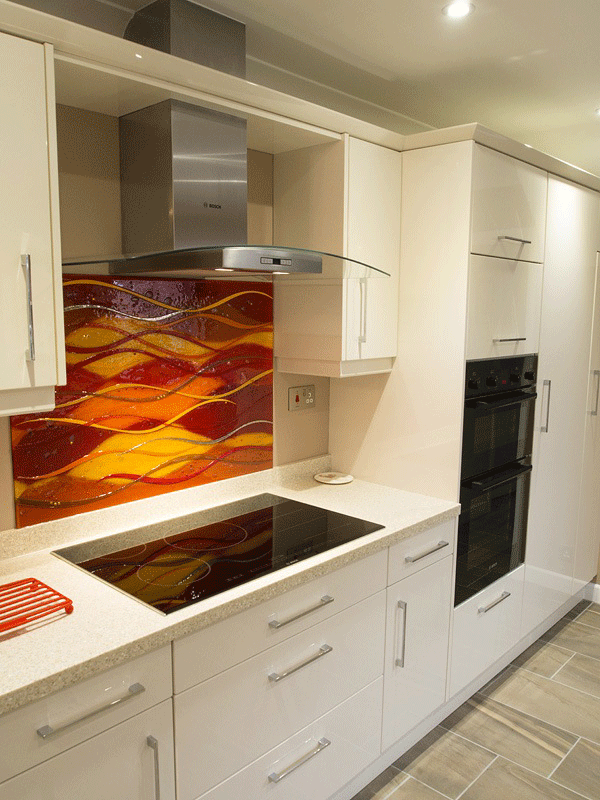 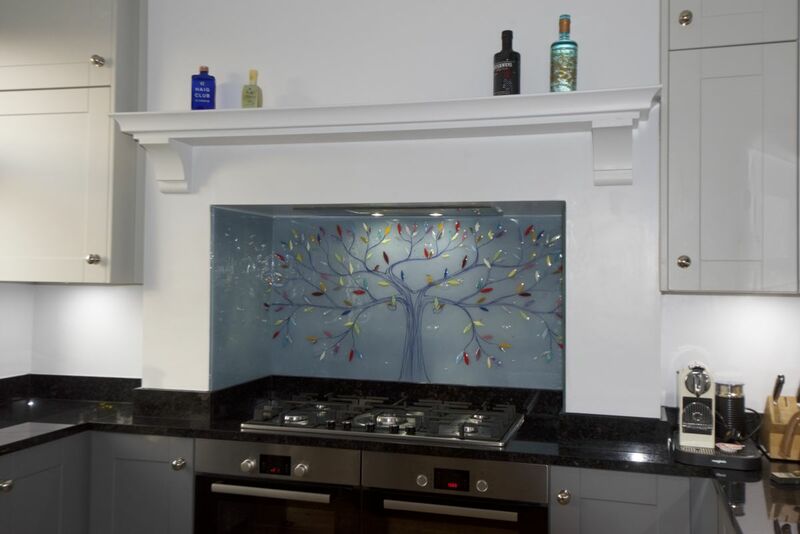 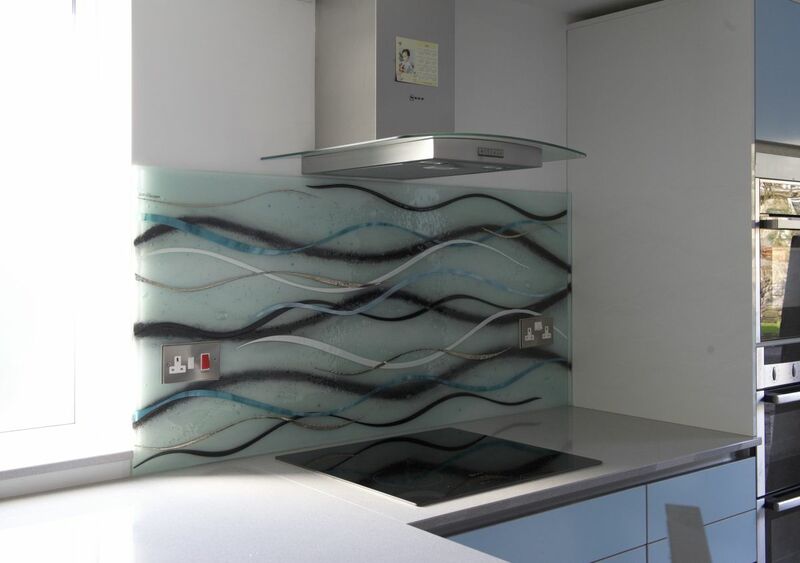 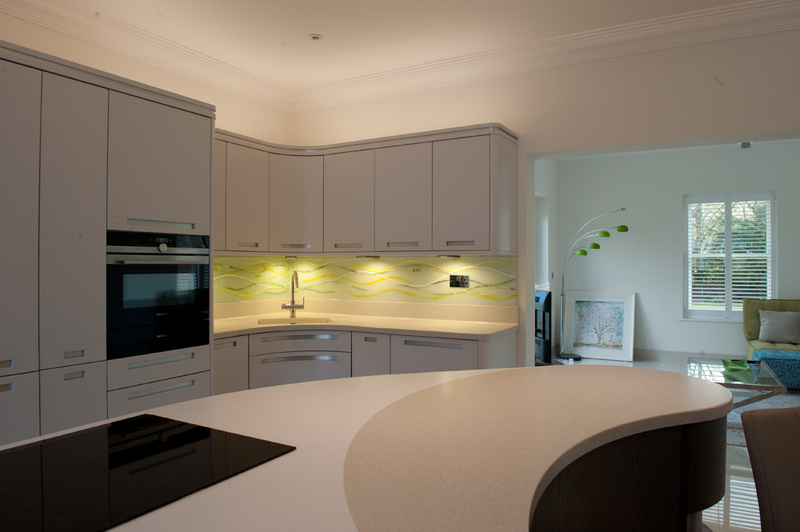 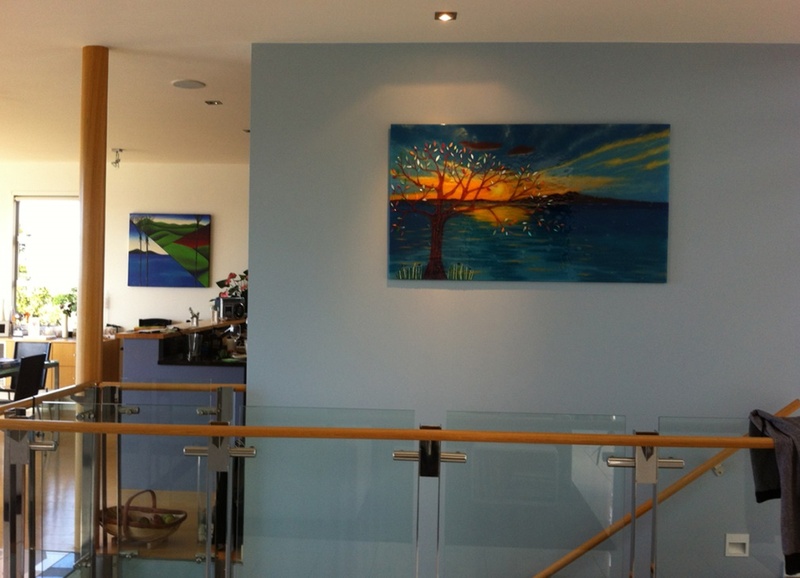 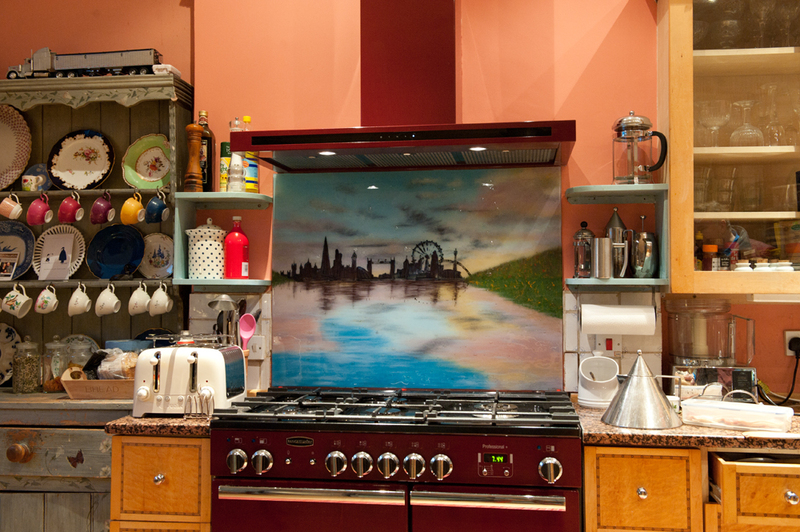 Of course, bespoke fused glass accessories aren’t the only thing we offer, but we are very proud of them all the same! 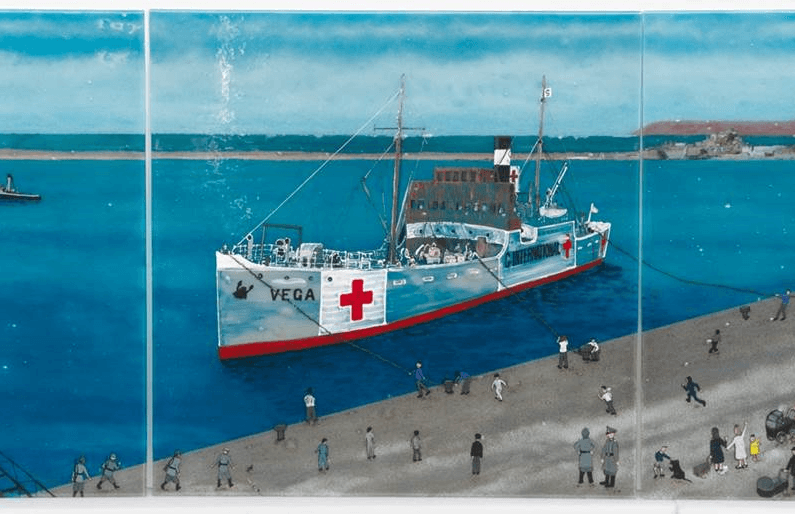 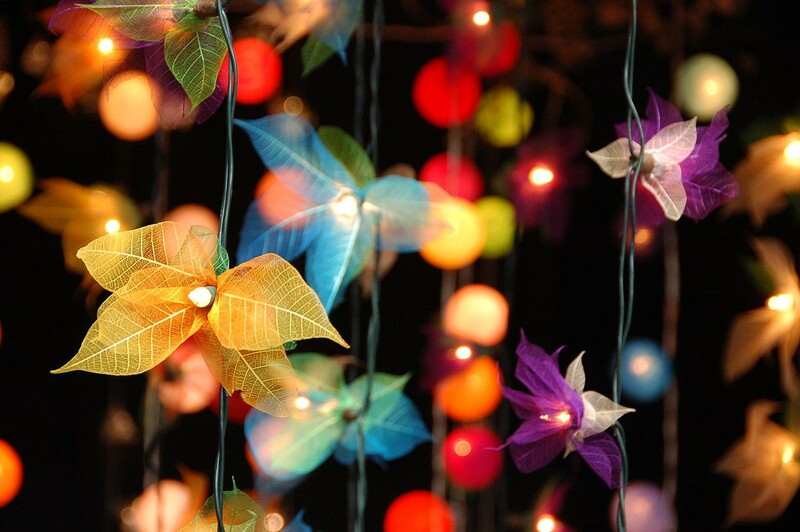 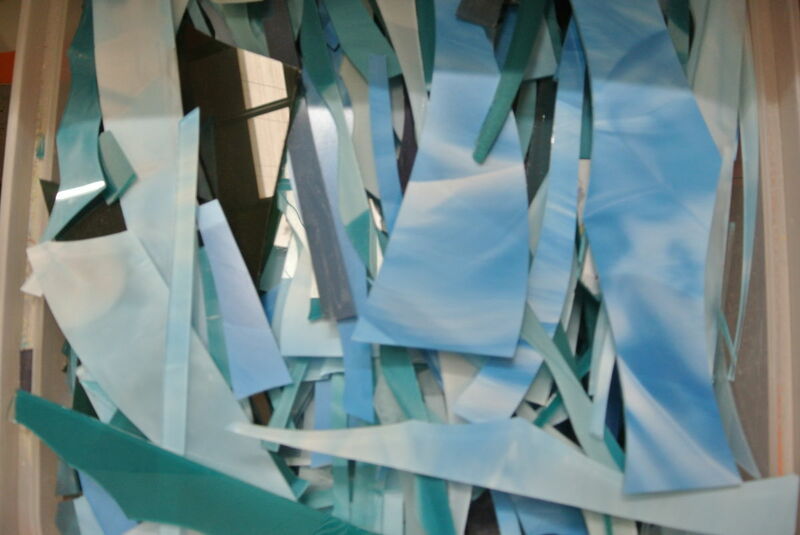 In fact, quite a few of our most popular designs started small and made their way to bigger panels. 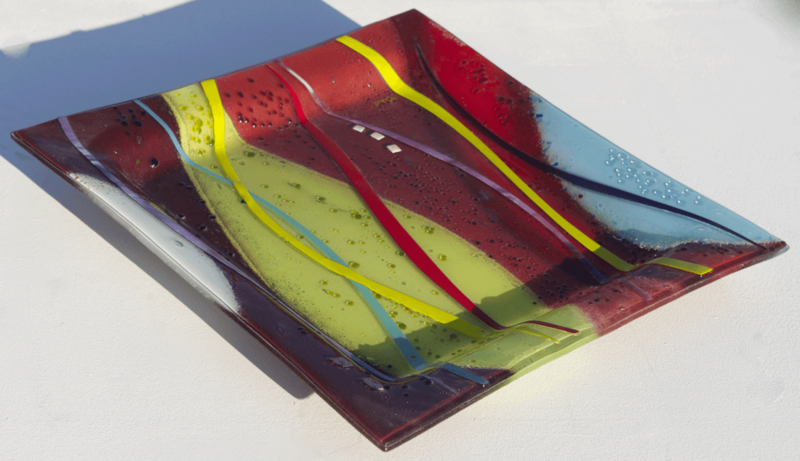 All of the things that make fused glass art so great translate perfectly from larger pieces to smaller accessories, after all. 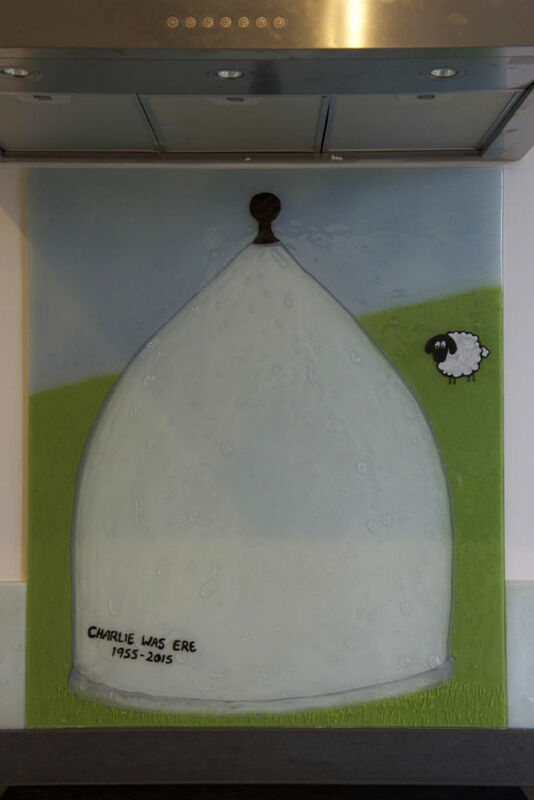 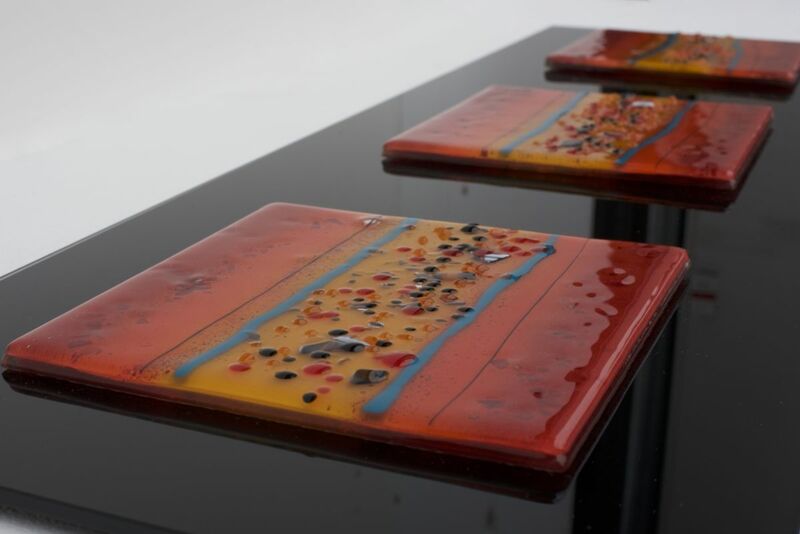 You’ll find just as many unique hallmarks of our famous name in a set of coasters as you will in a larger kitchen splashback, as we make sure even the smallest pieces of glass come out of our kiln with a huge amount of character fused into them. 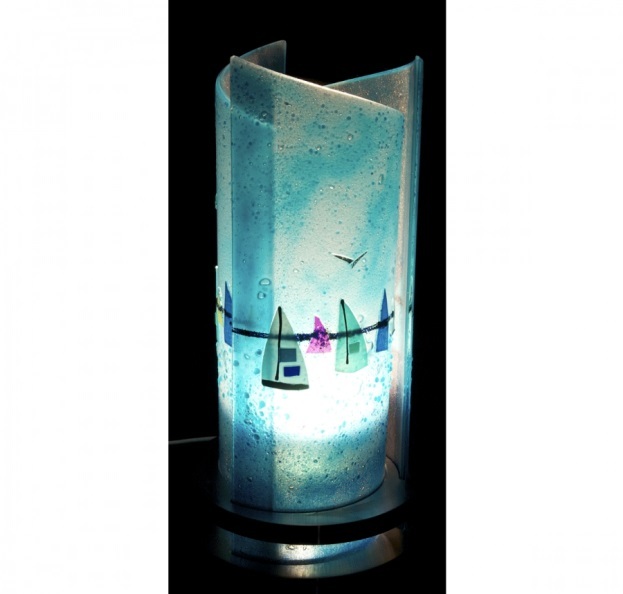 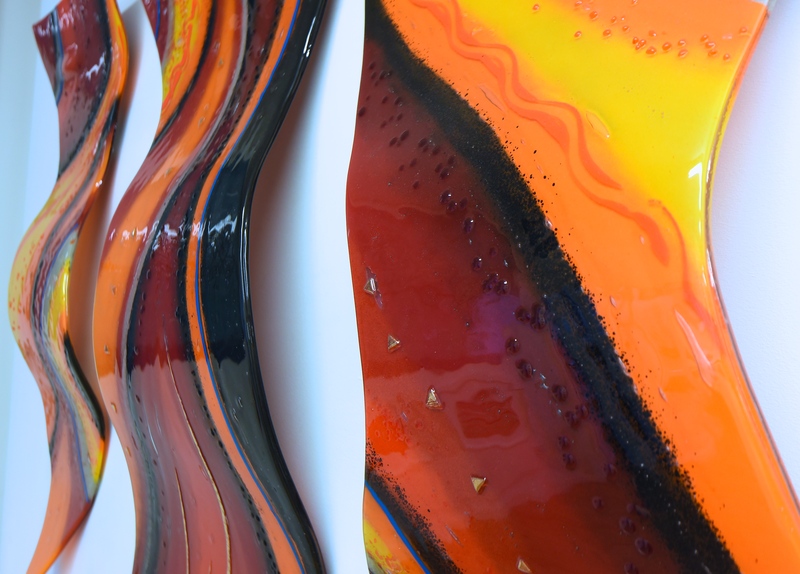 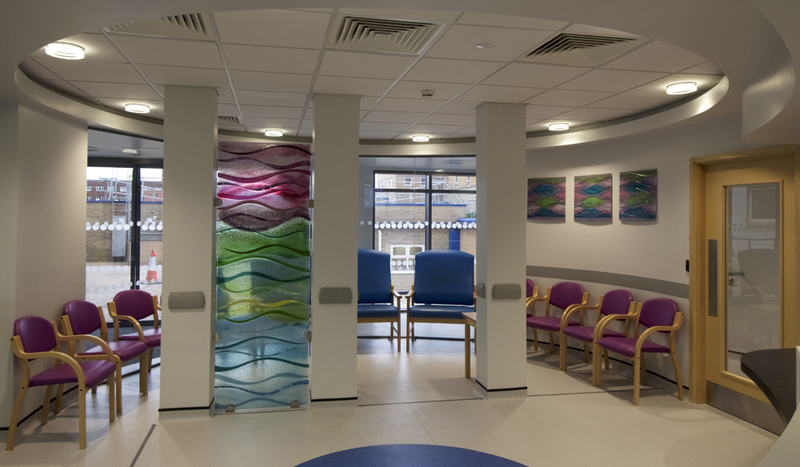 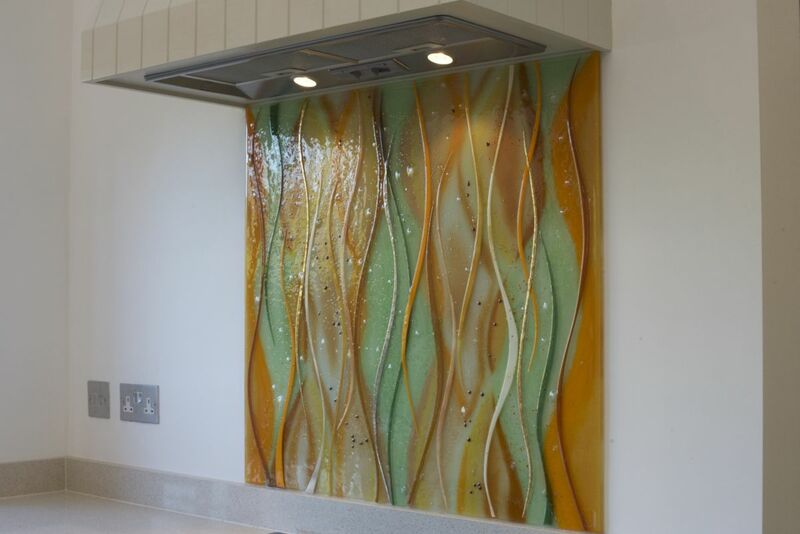 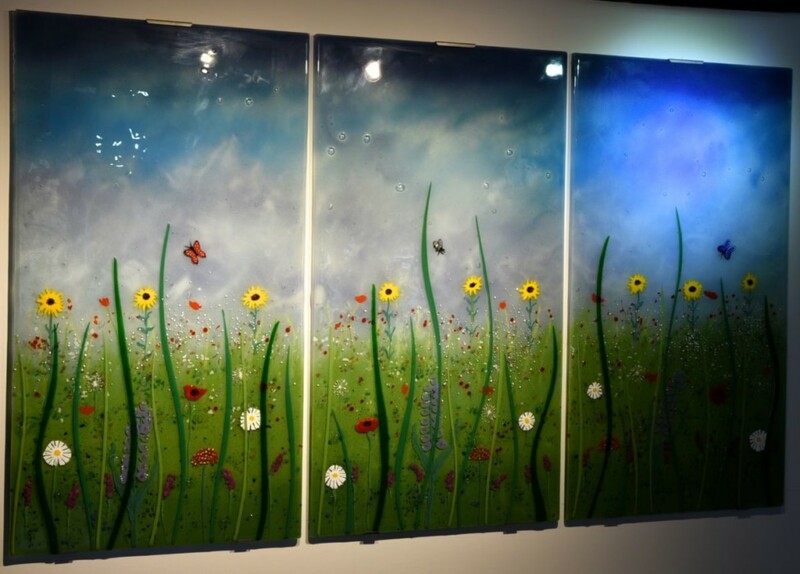 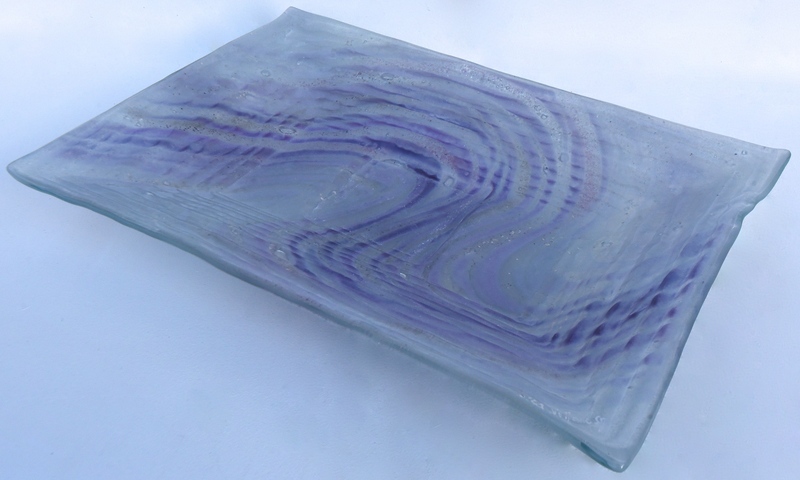 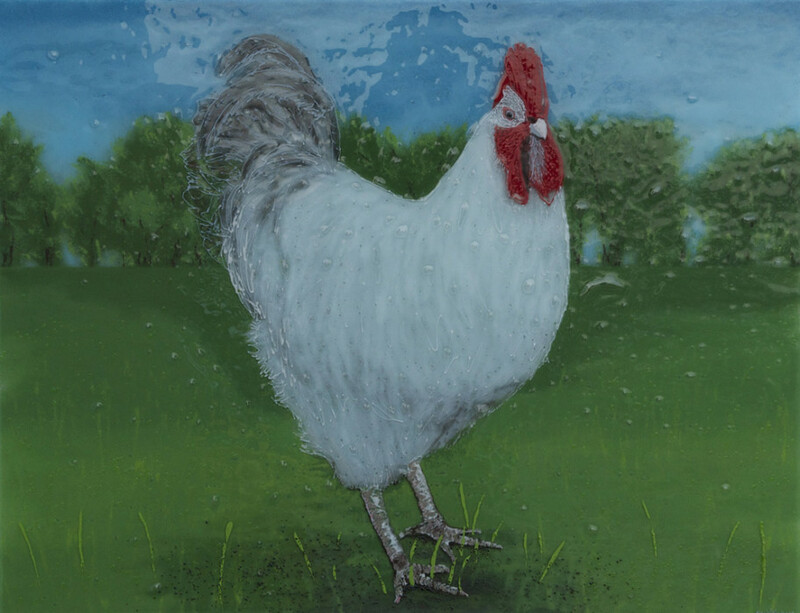 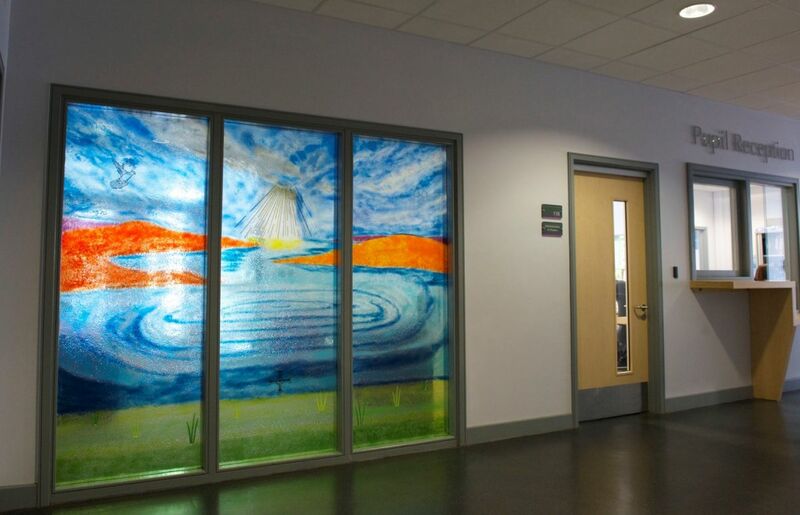 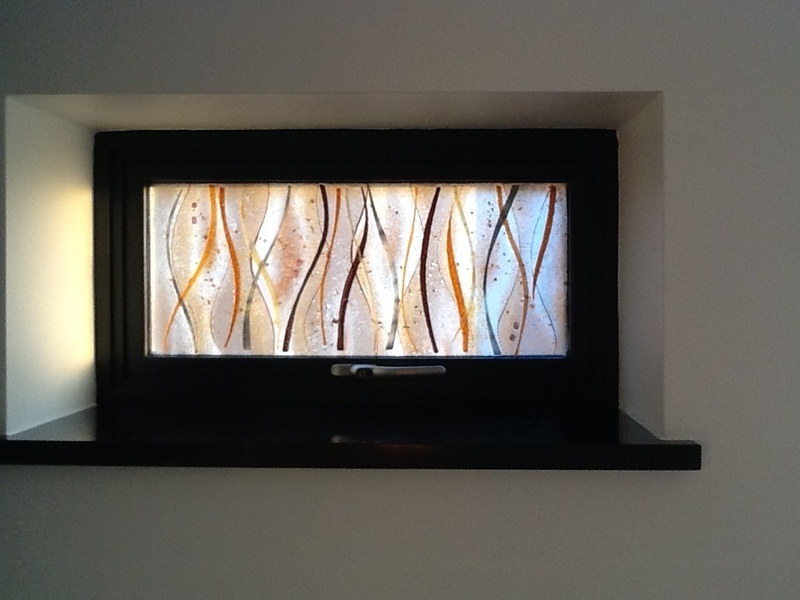 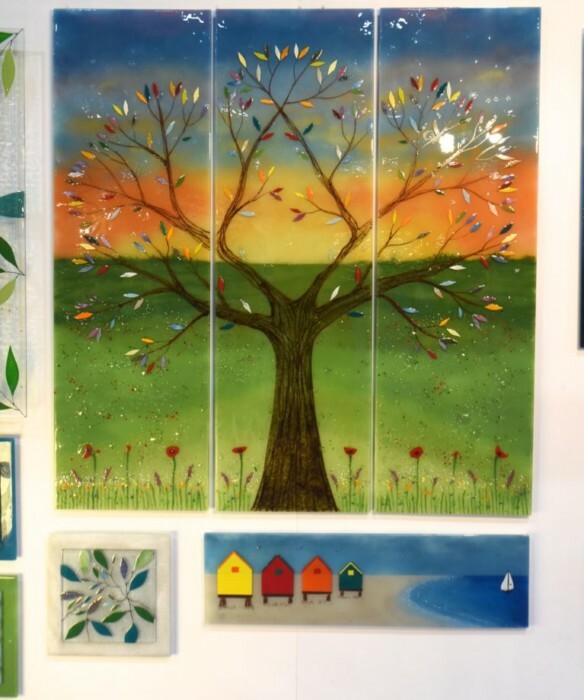 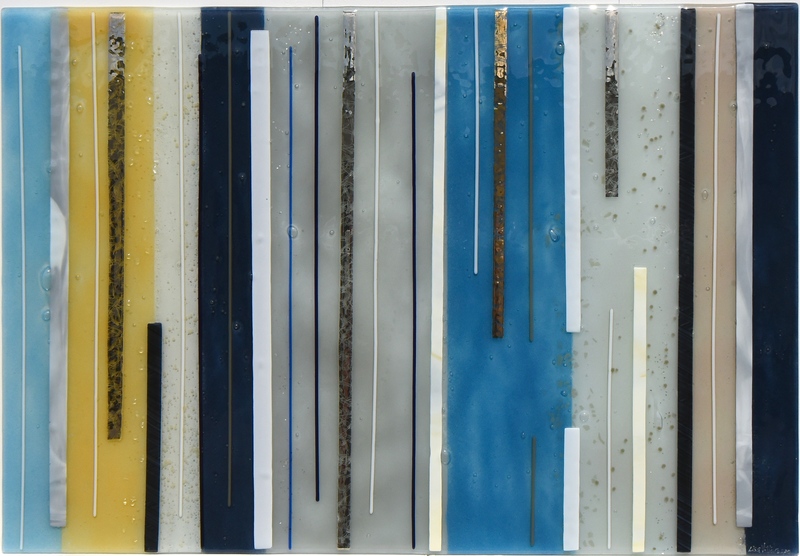 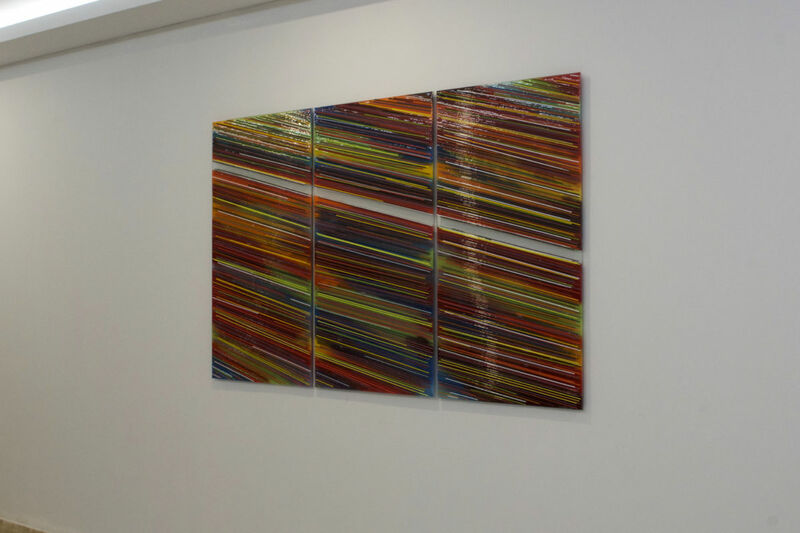 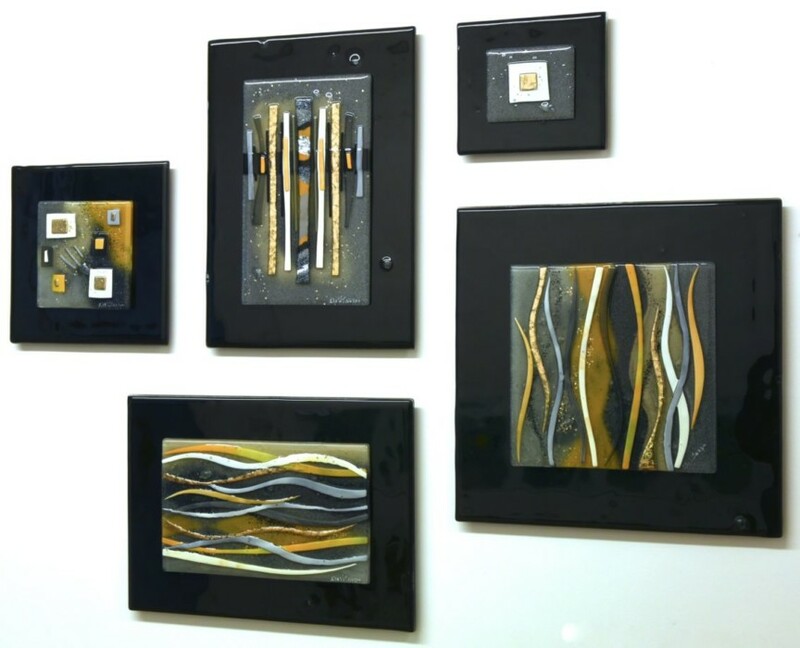 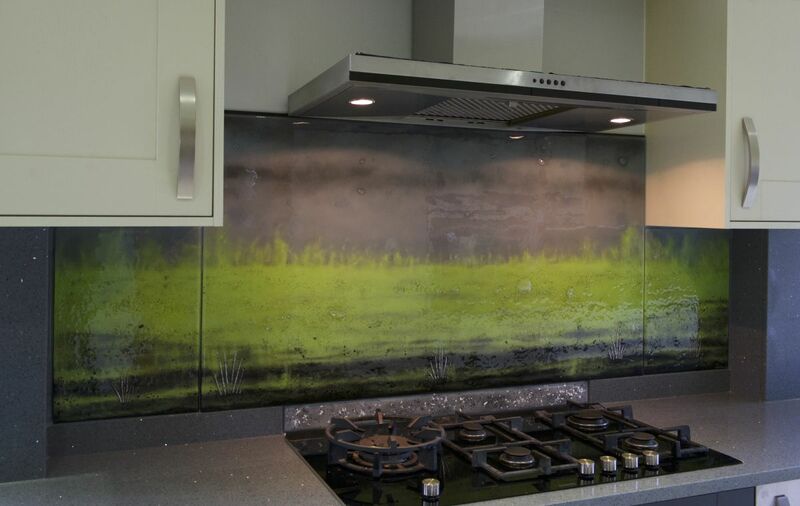 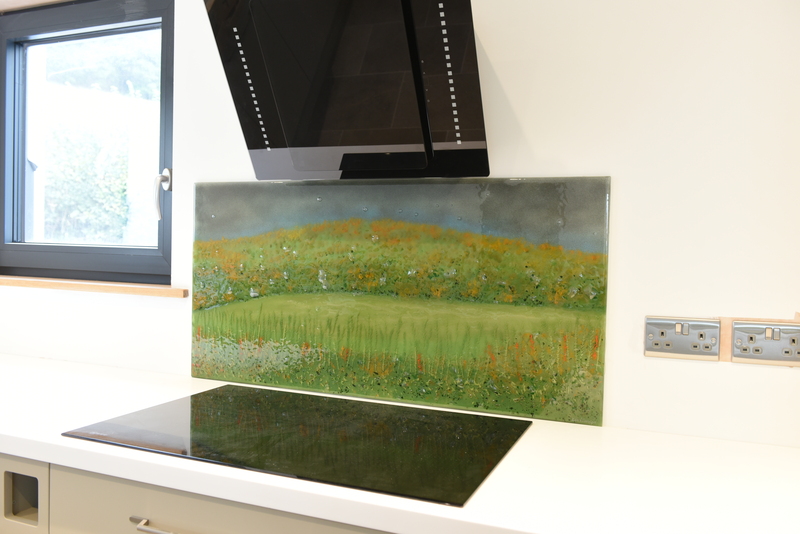 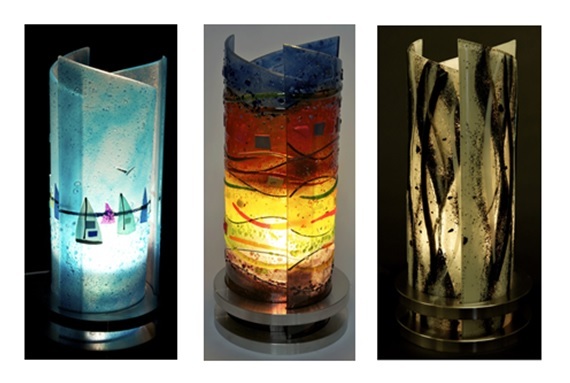 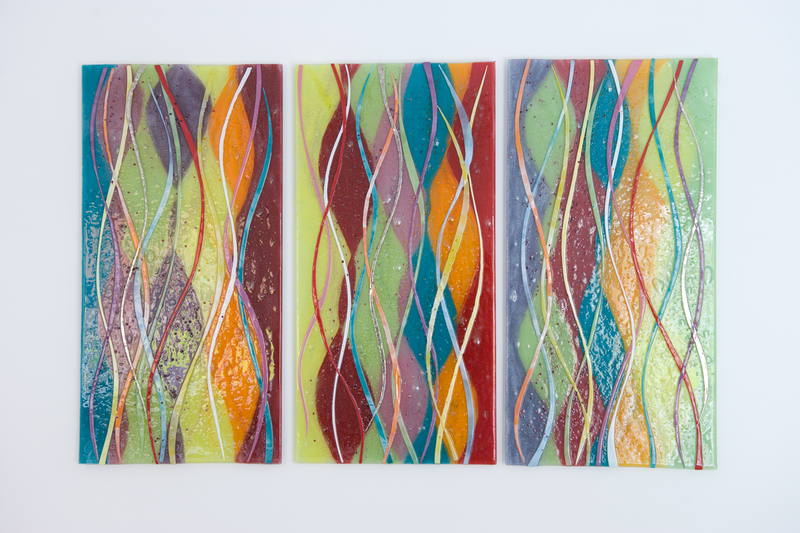 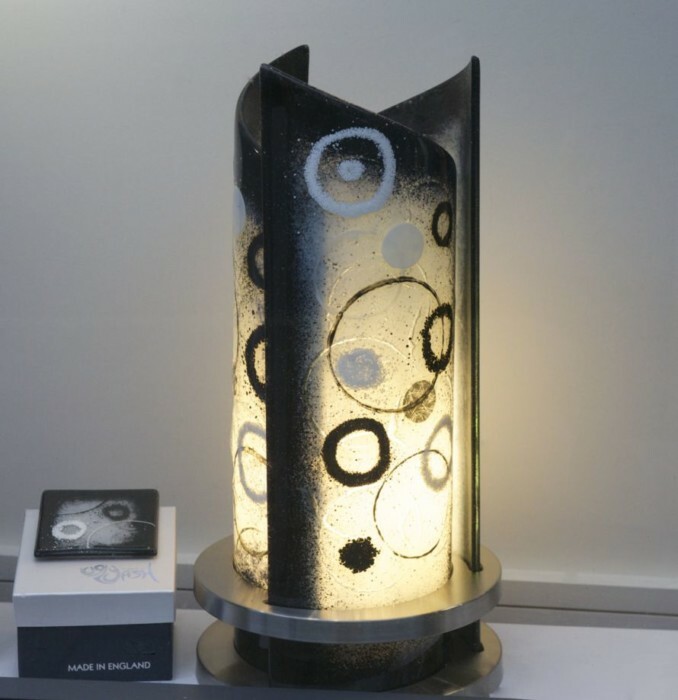 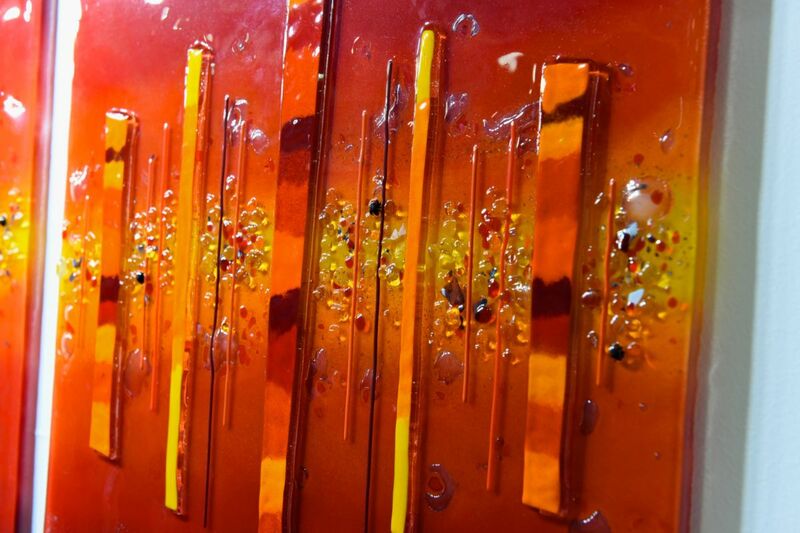 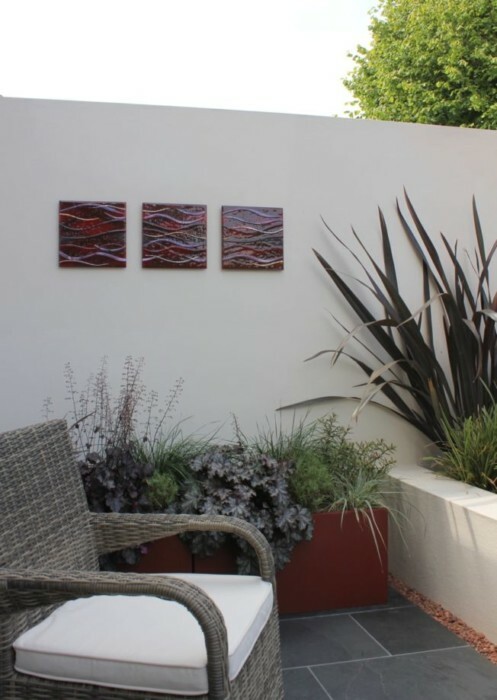 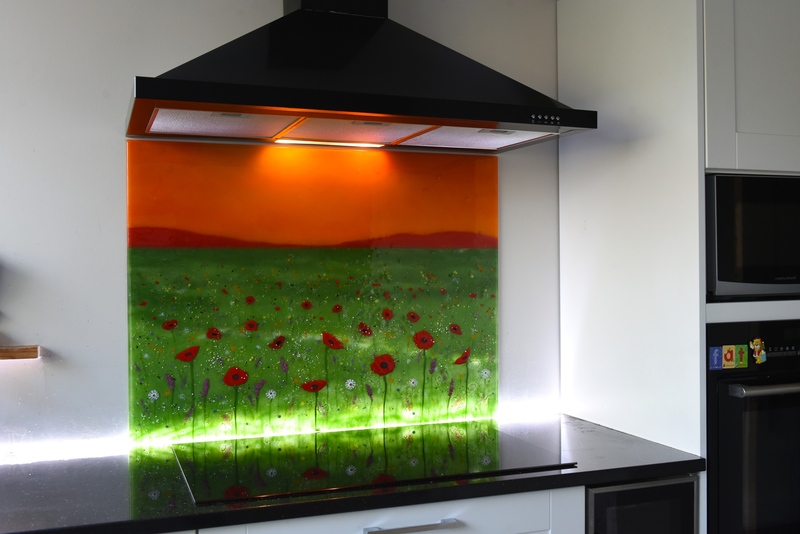 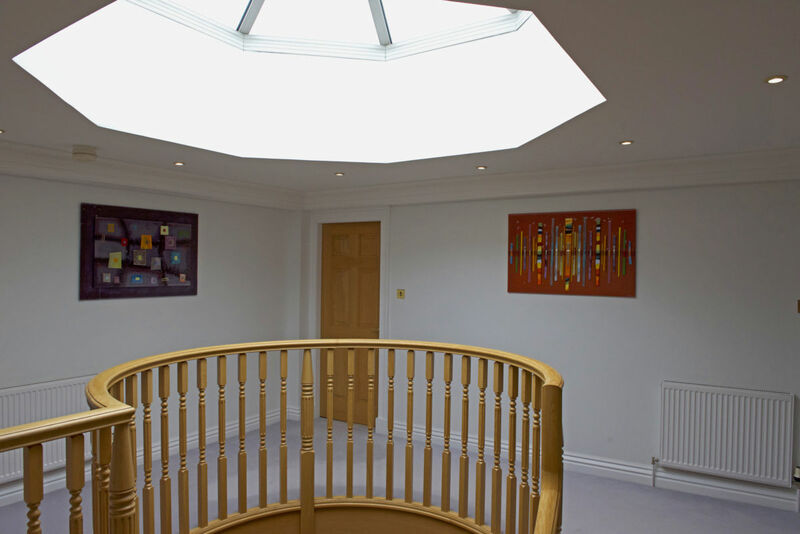 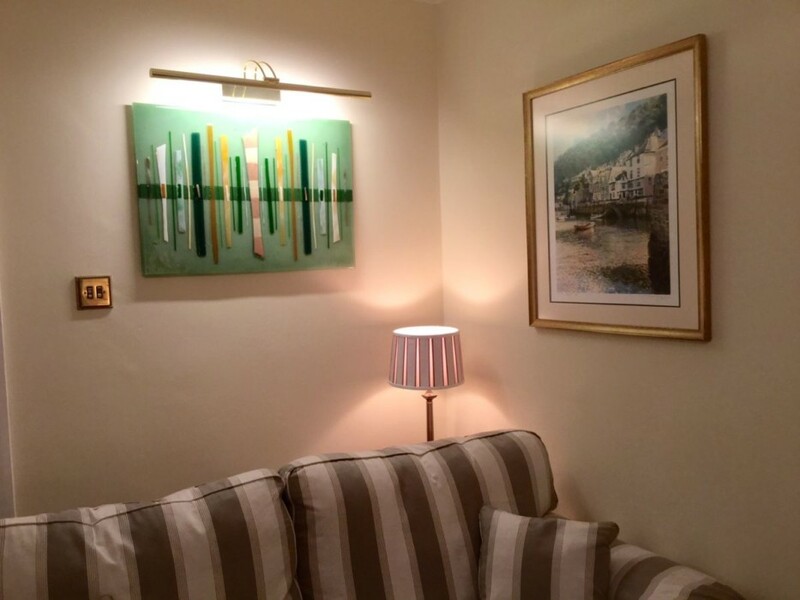 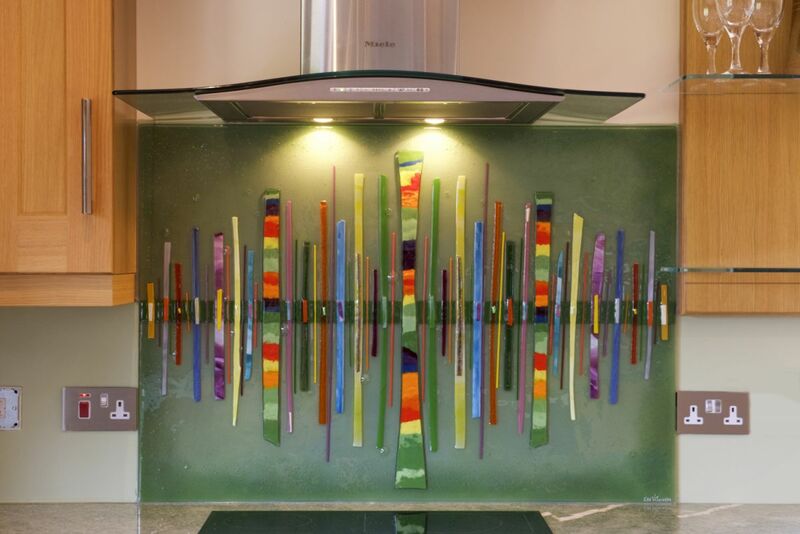 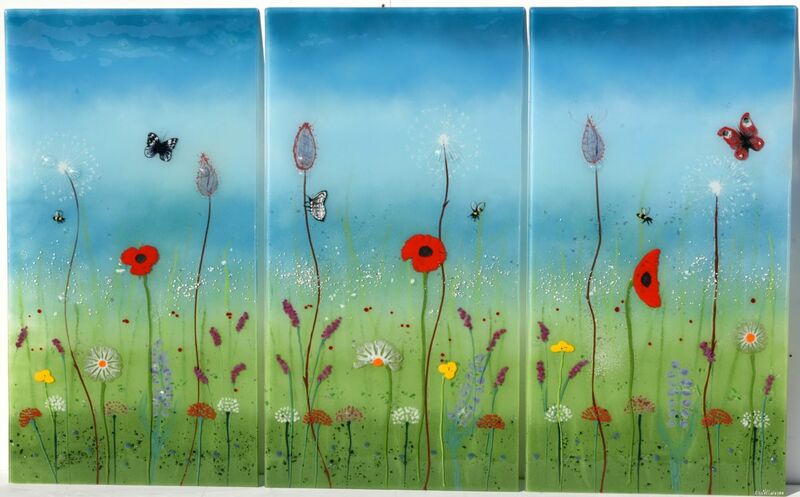 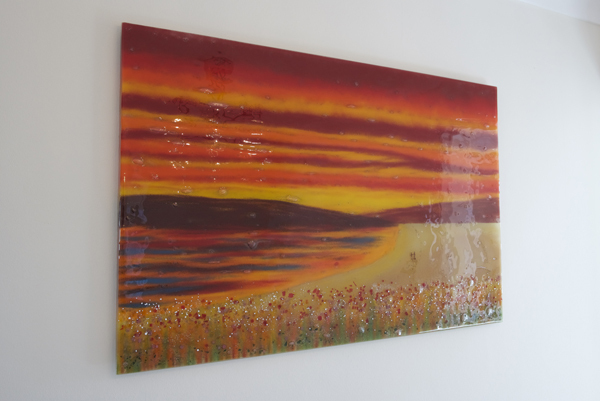 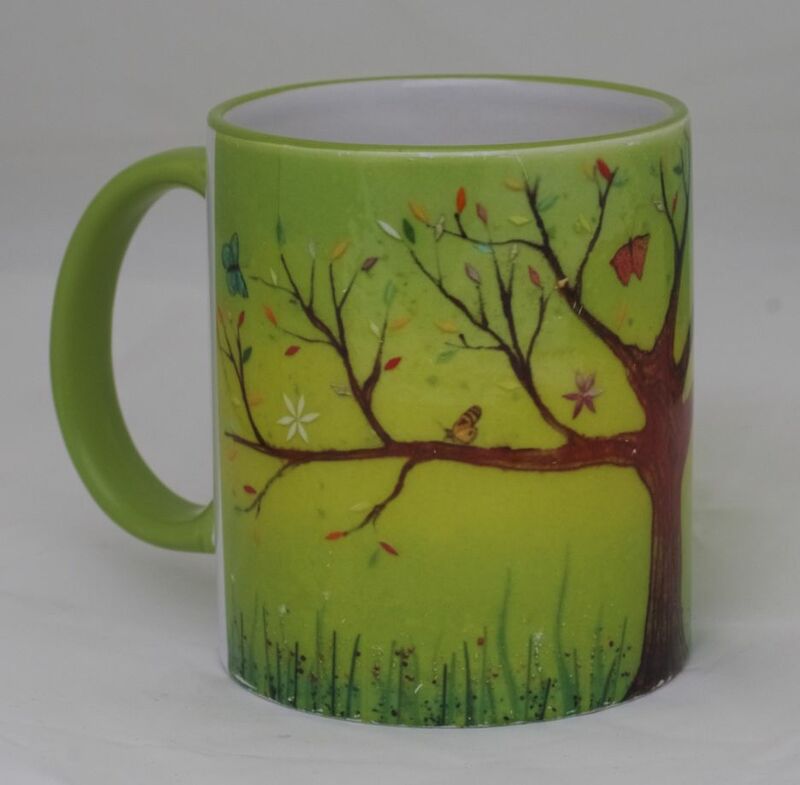 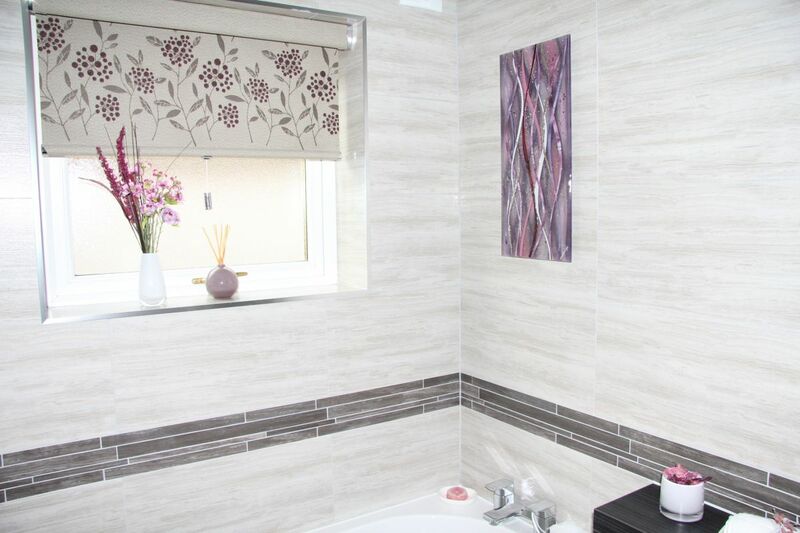 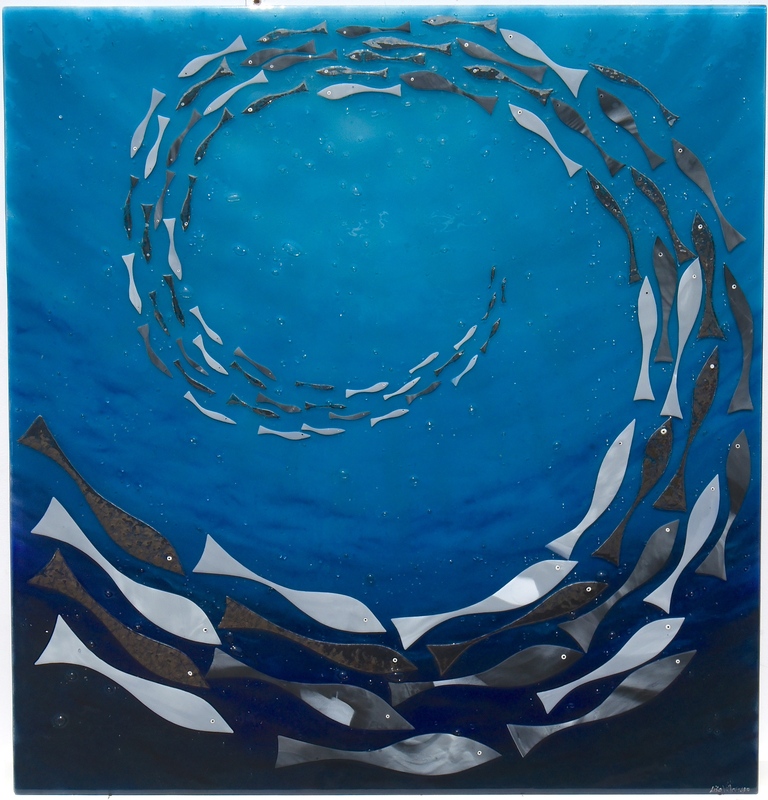 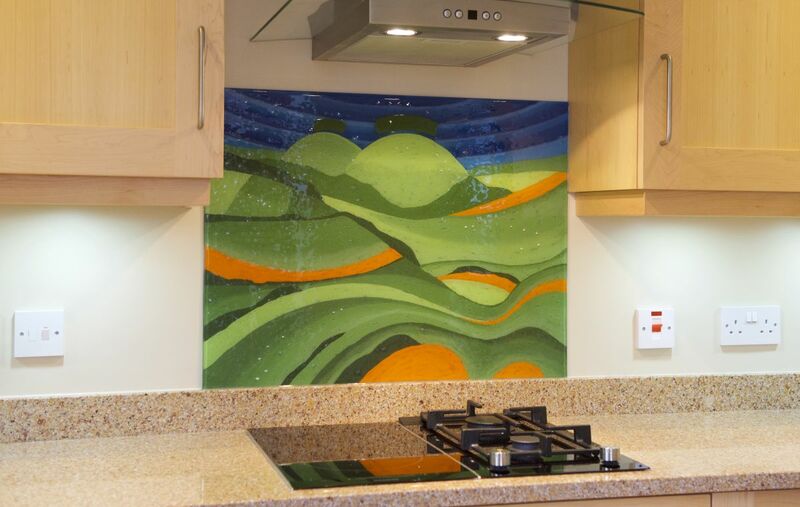 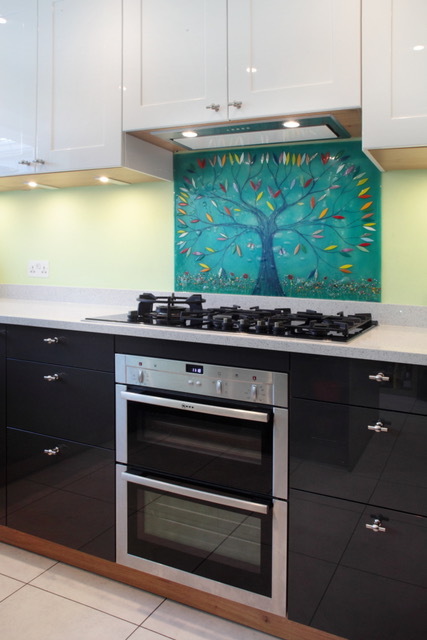 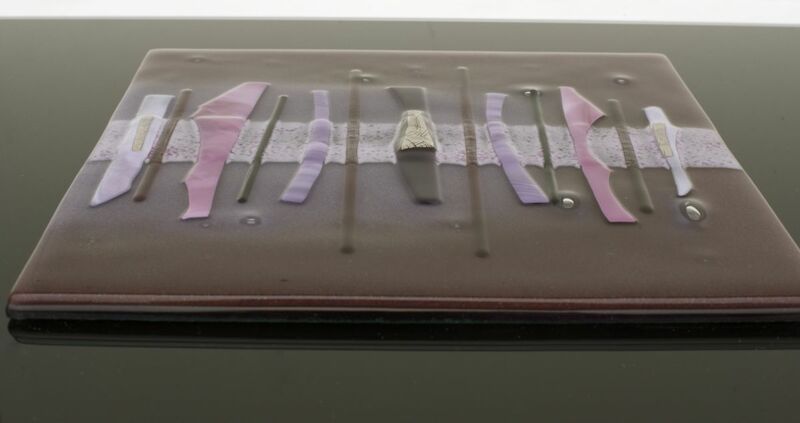 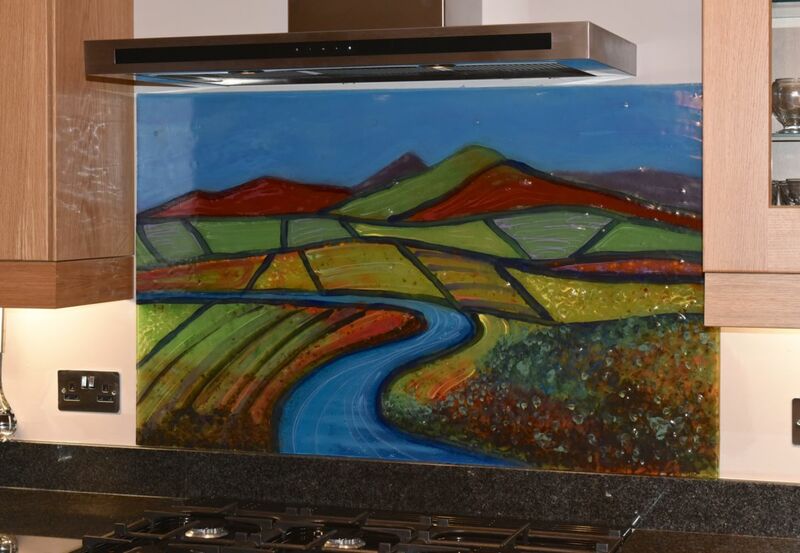 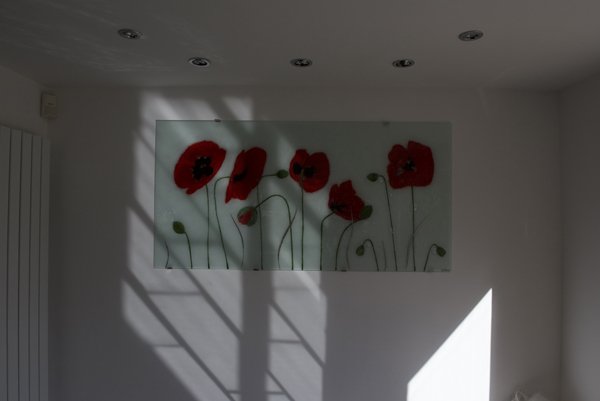 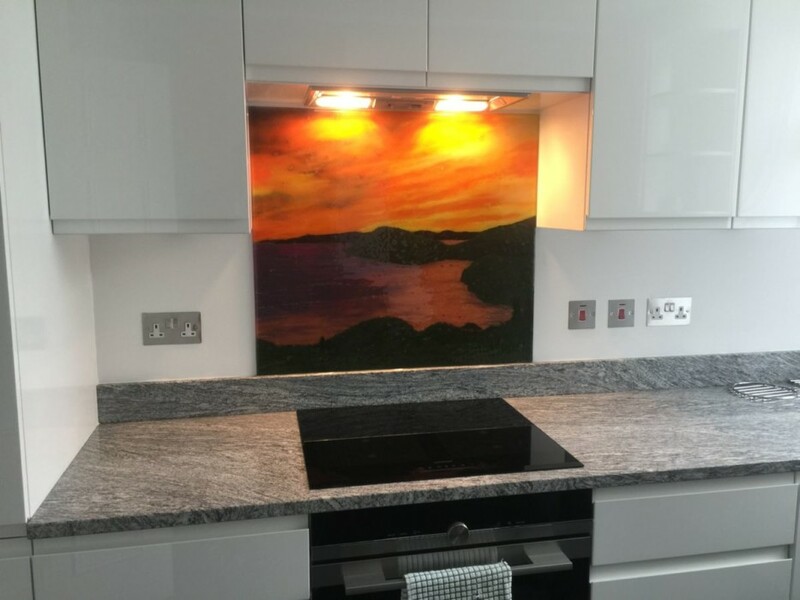 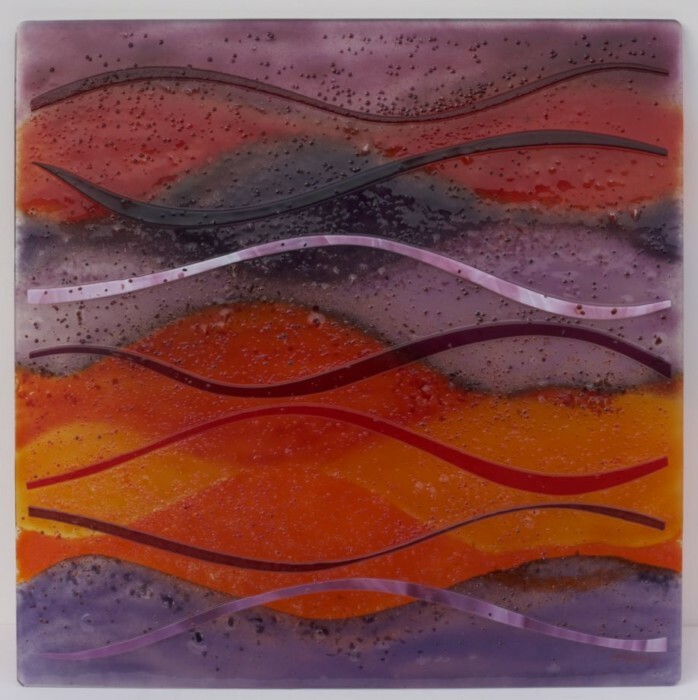 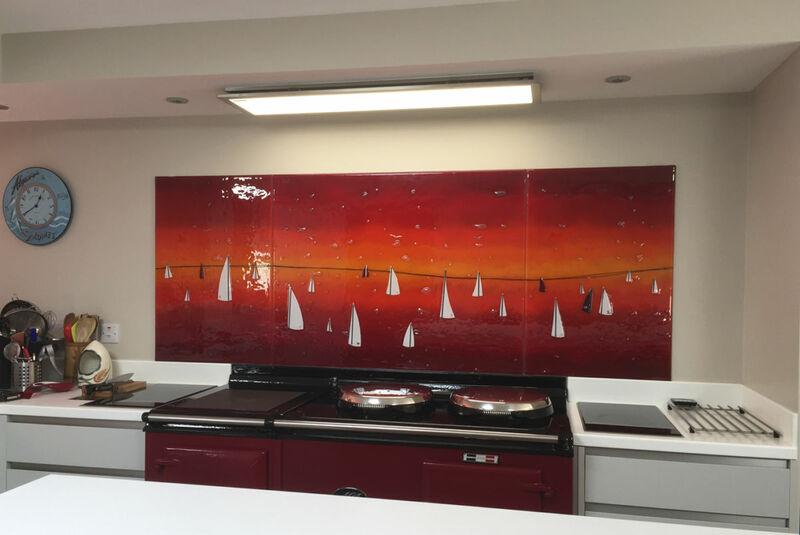 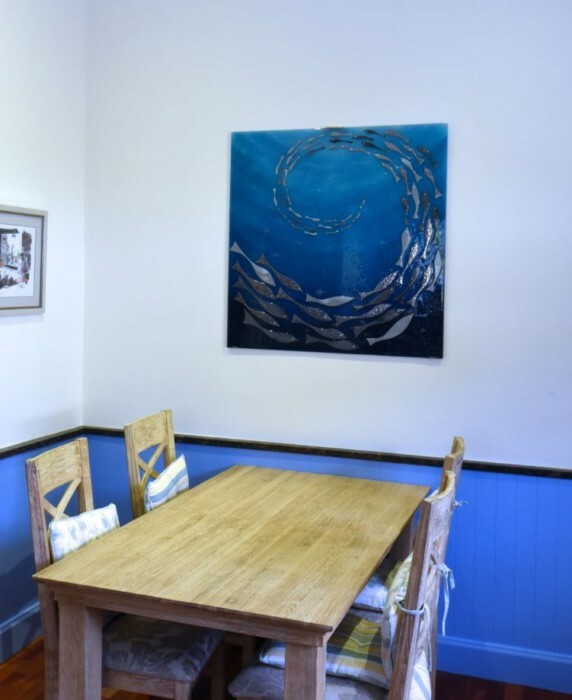 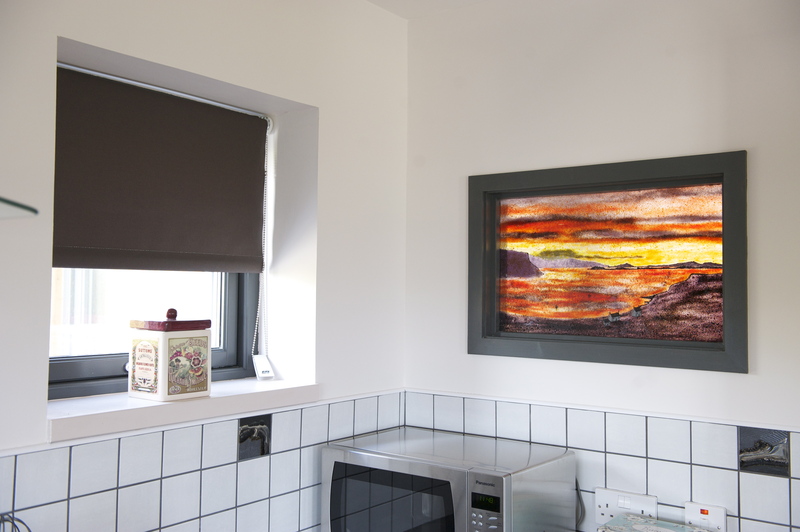 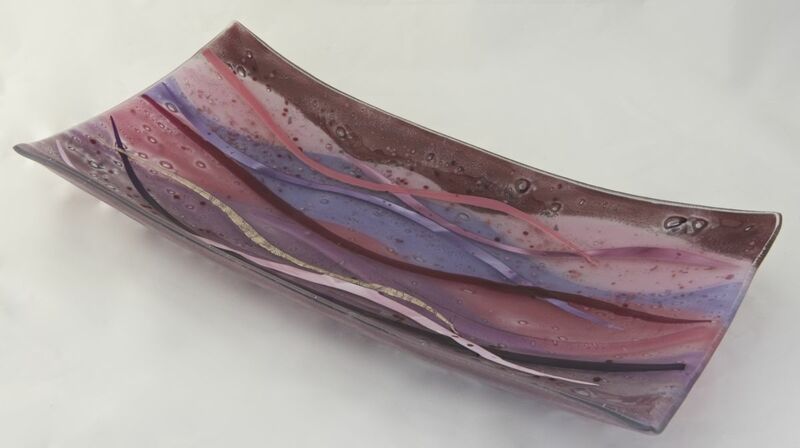 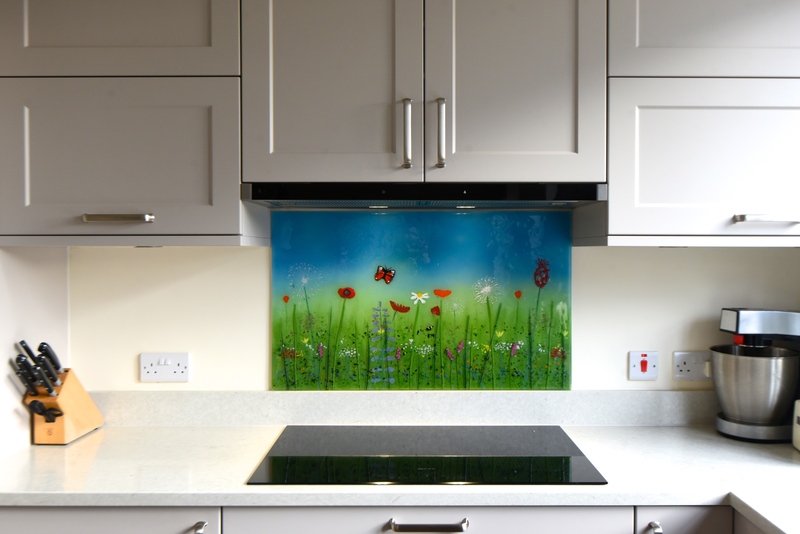 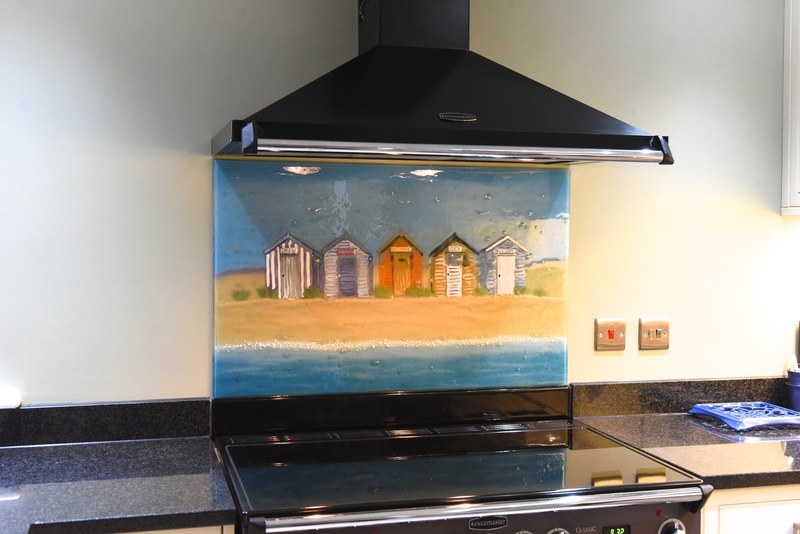 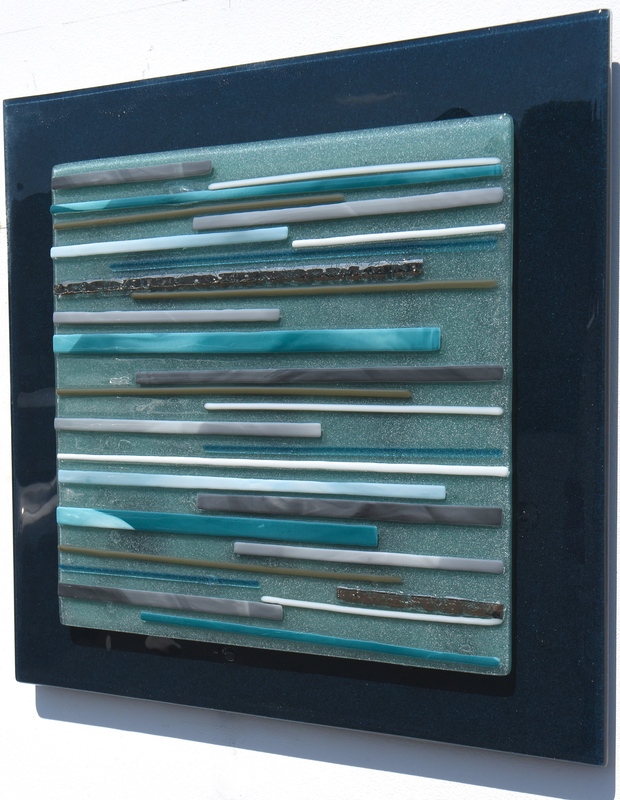 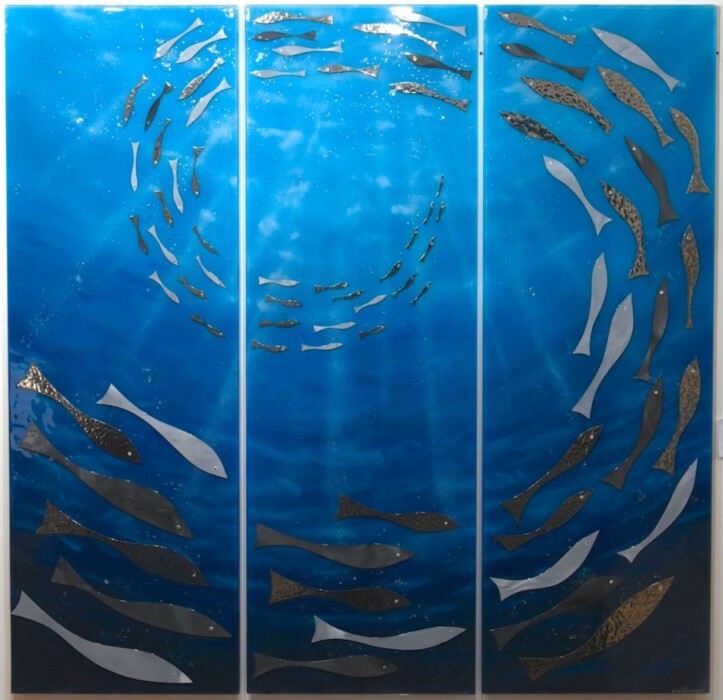 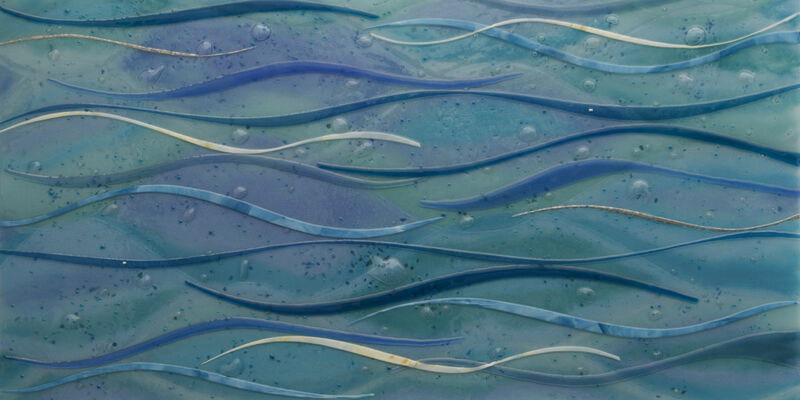 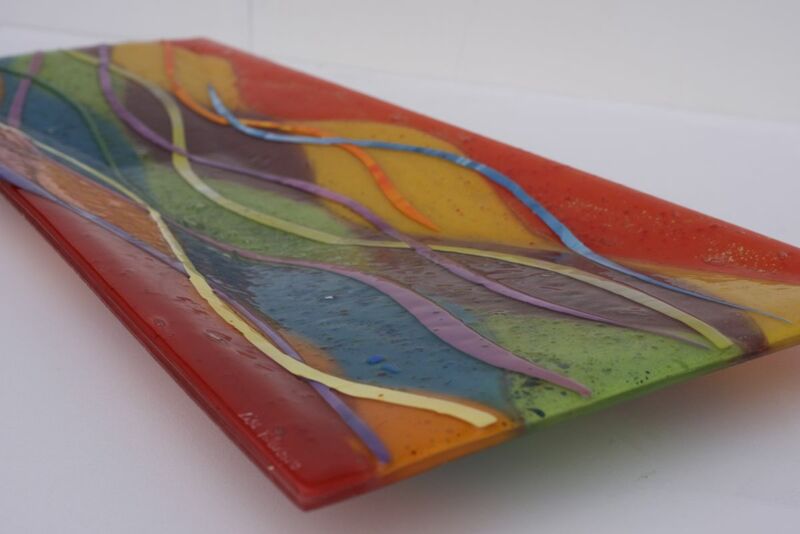 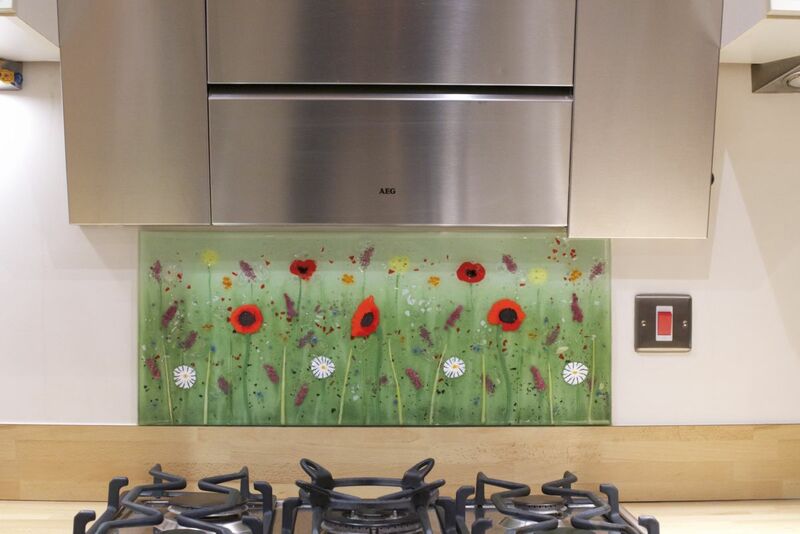 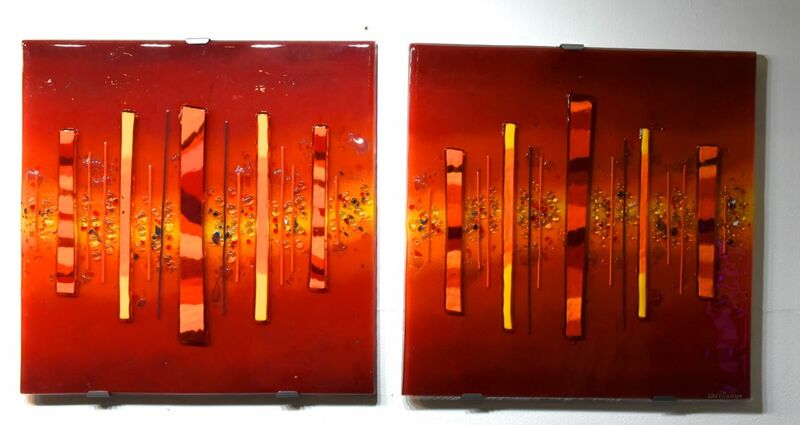 Just take a look through our portfolio if you’d like to see just how varied fused glass art can be, and hopefully you’ll feel inspired with some great ideas for your very own glass design. 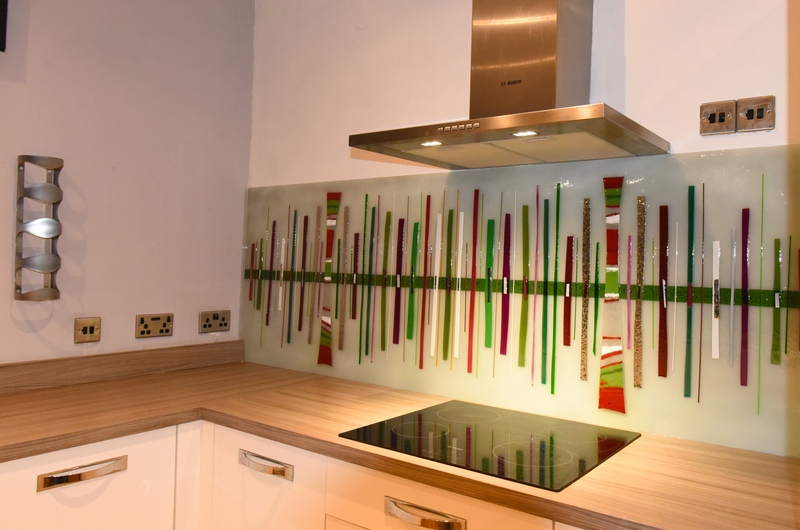 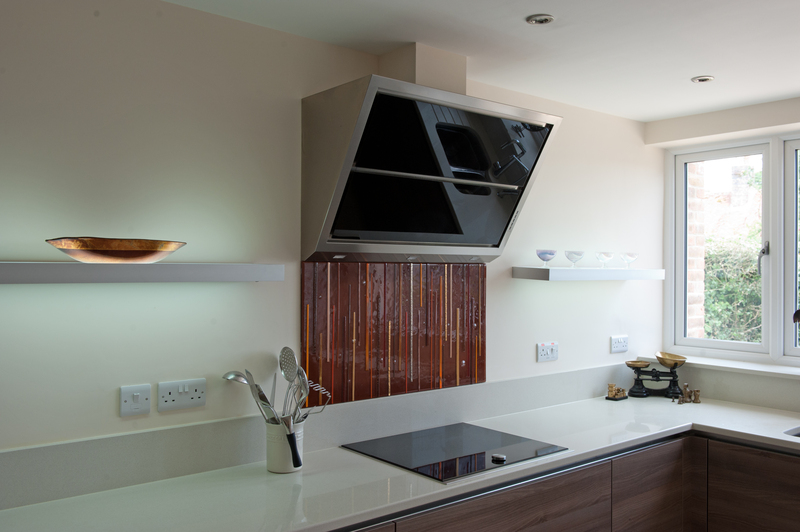 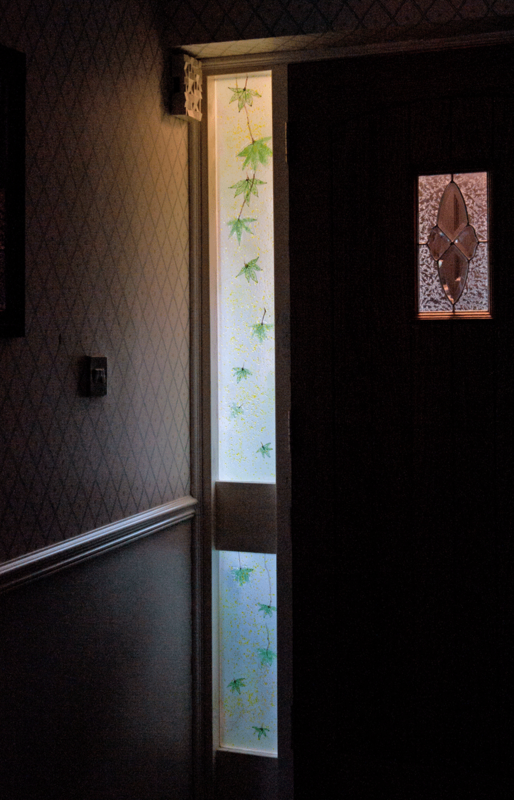 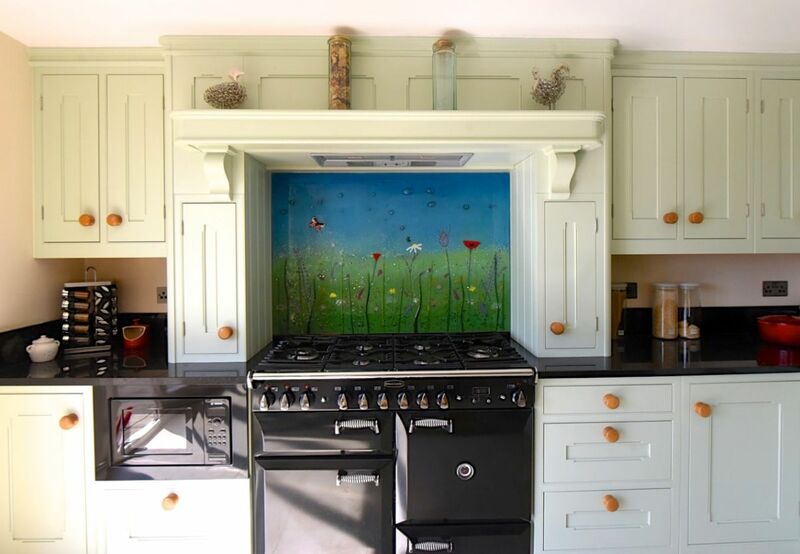 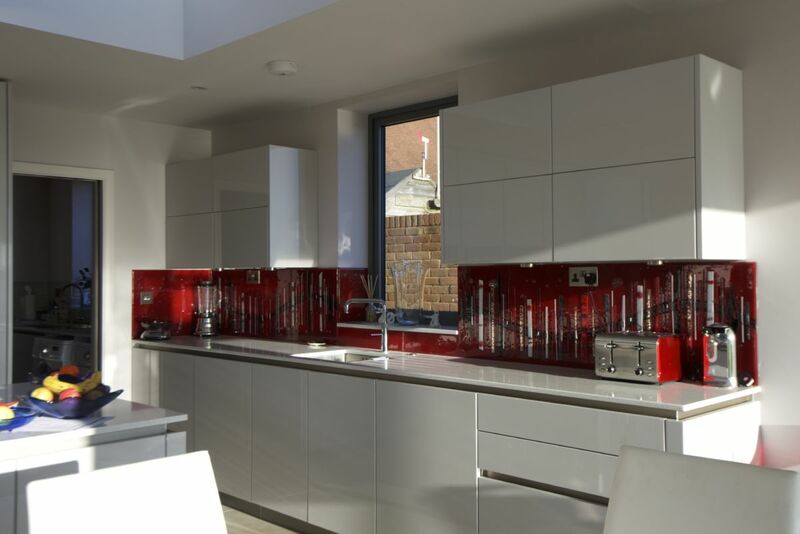 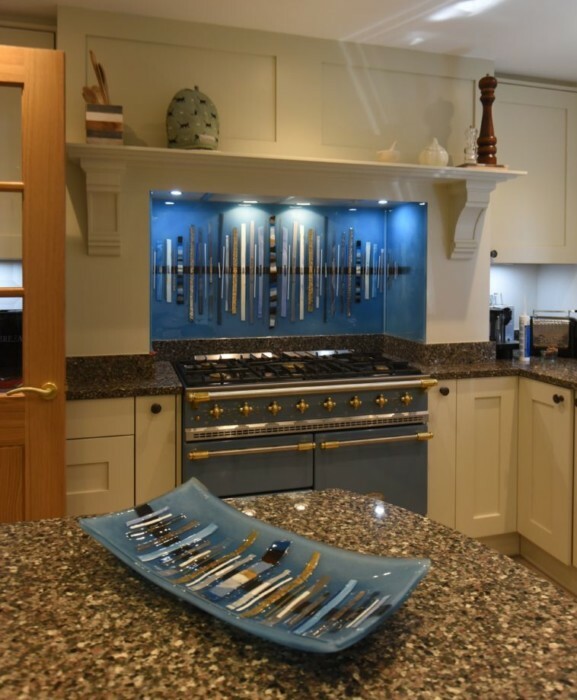 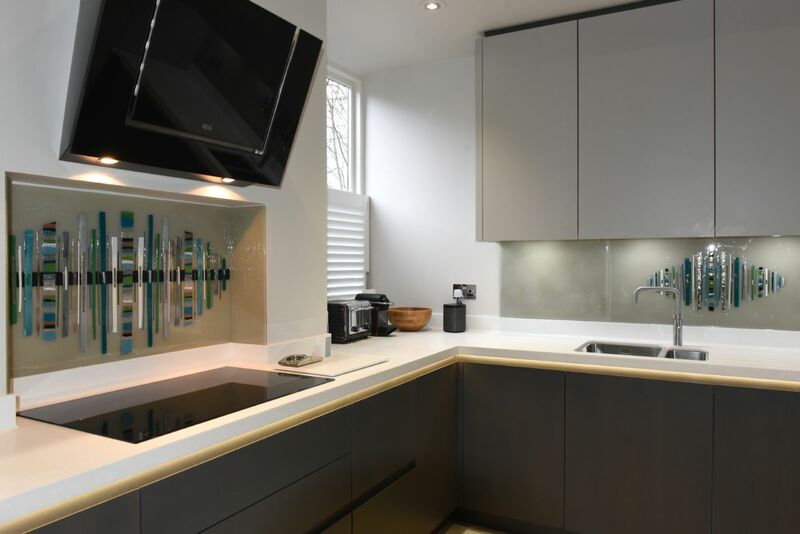 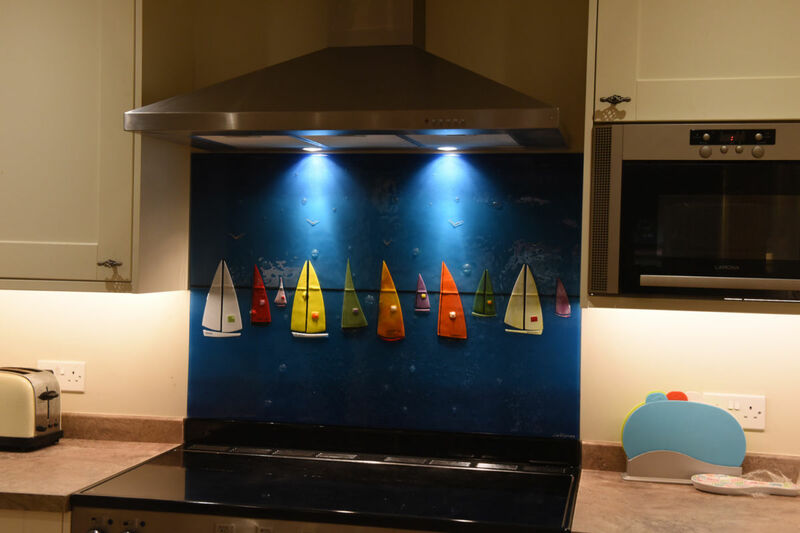 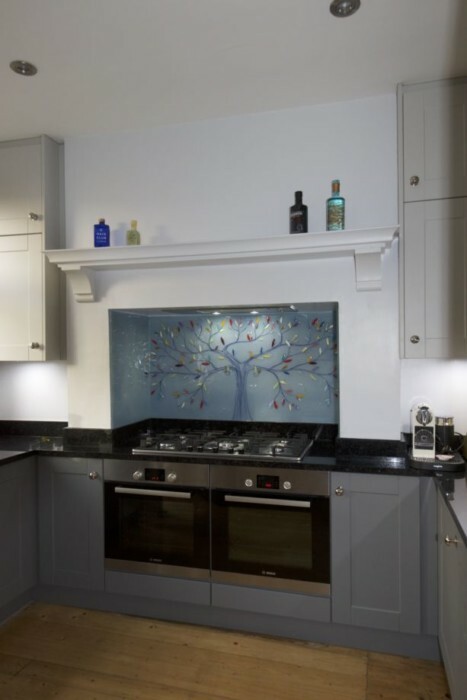 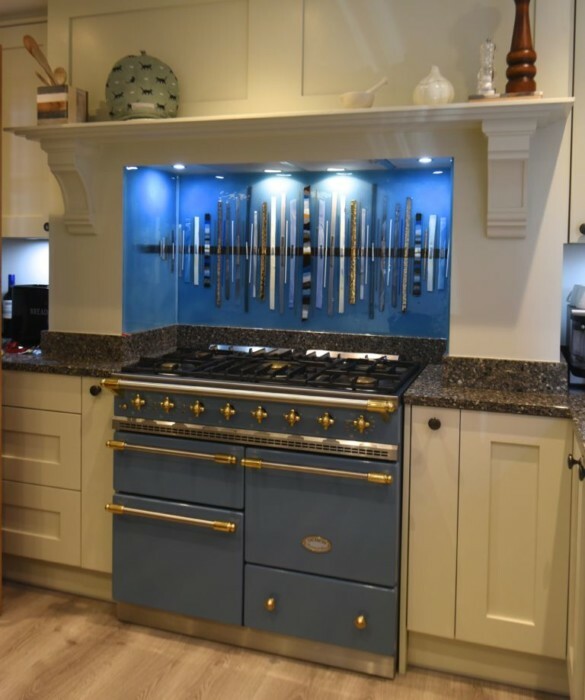 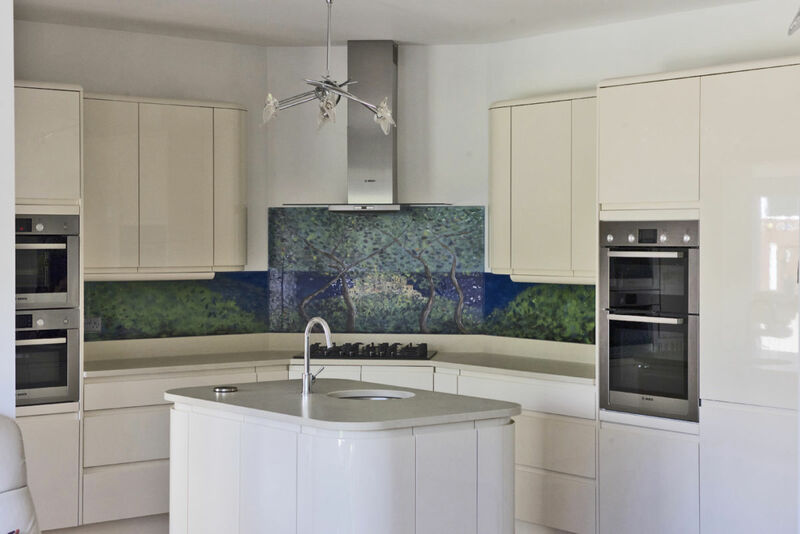 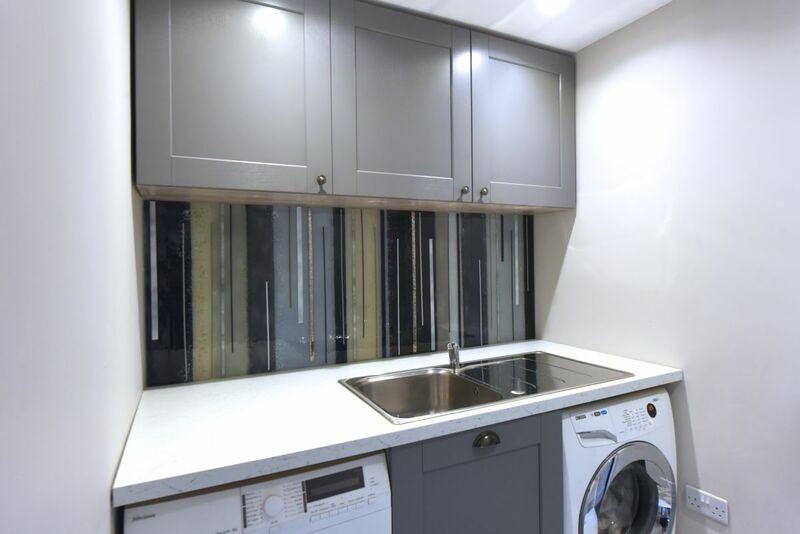 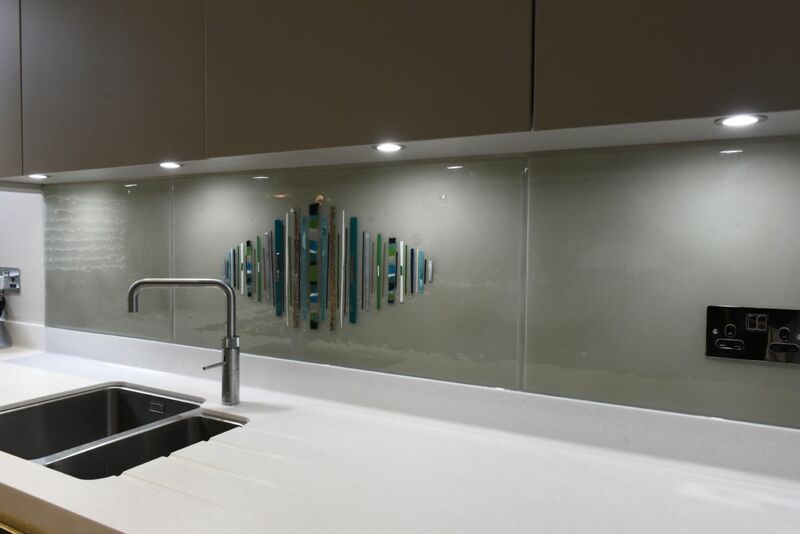 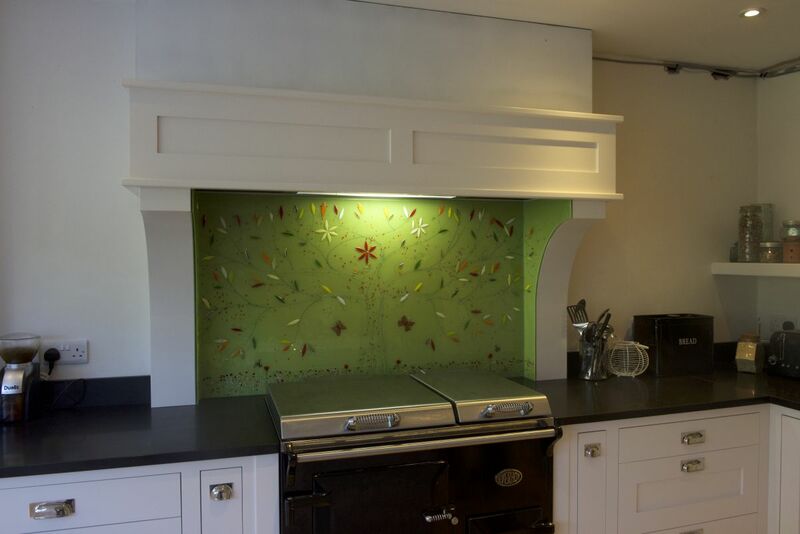 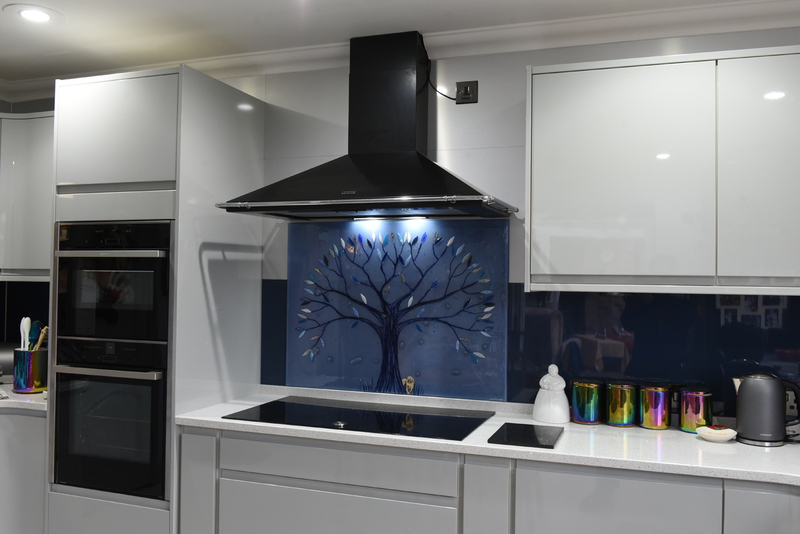 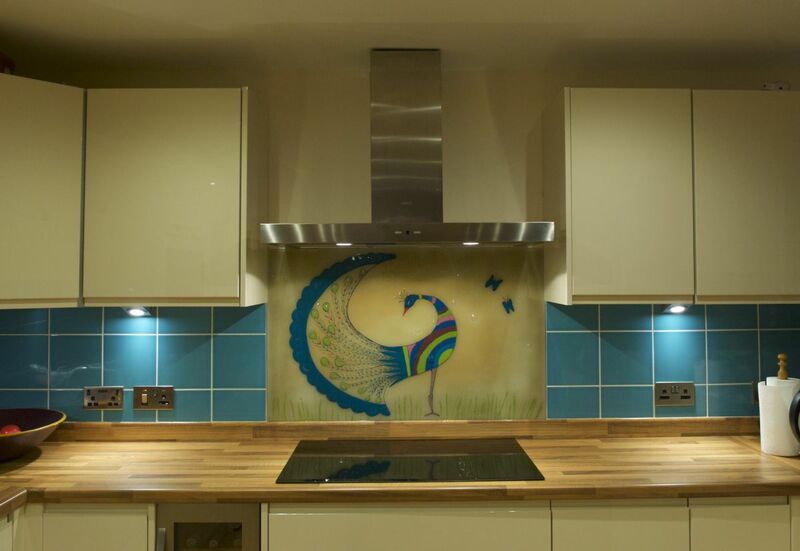 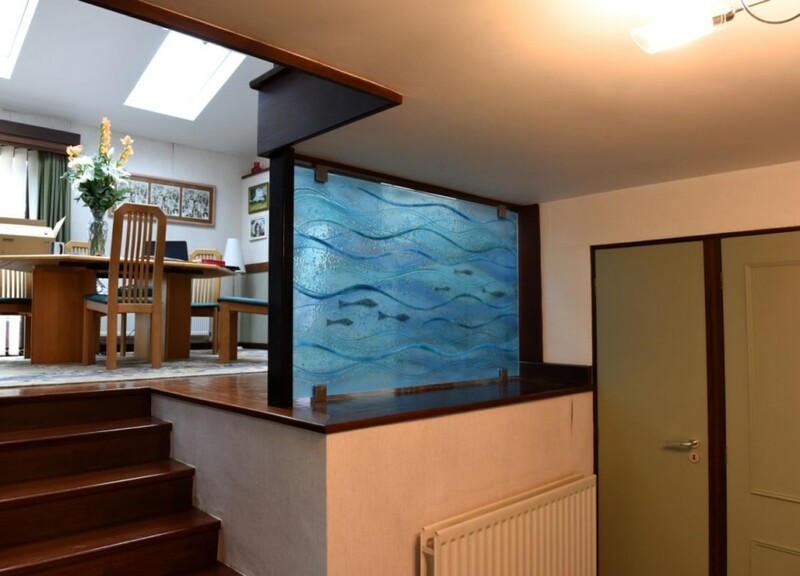 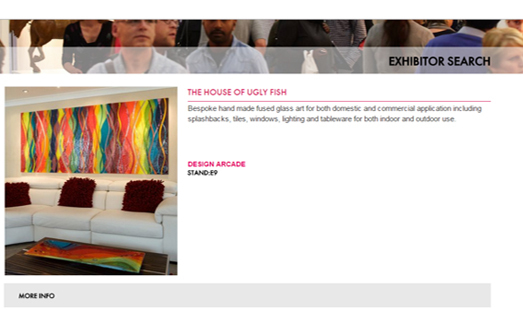 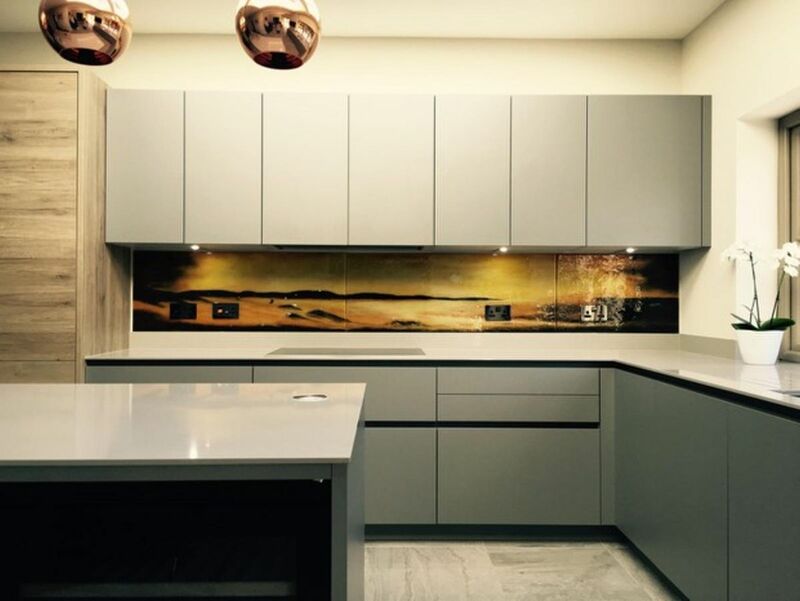 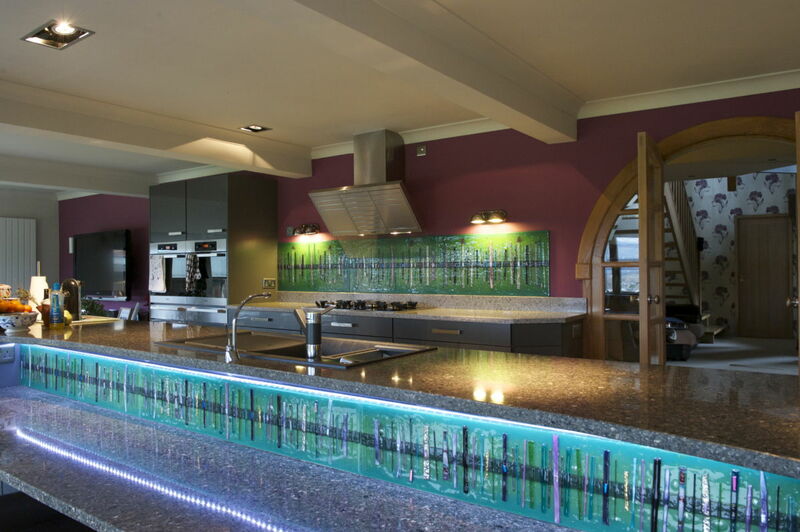 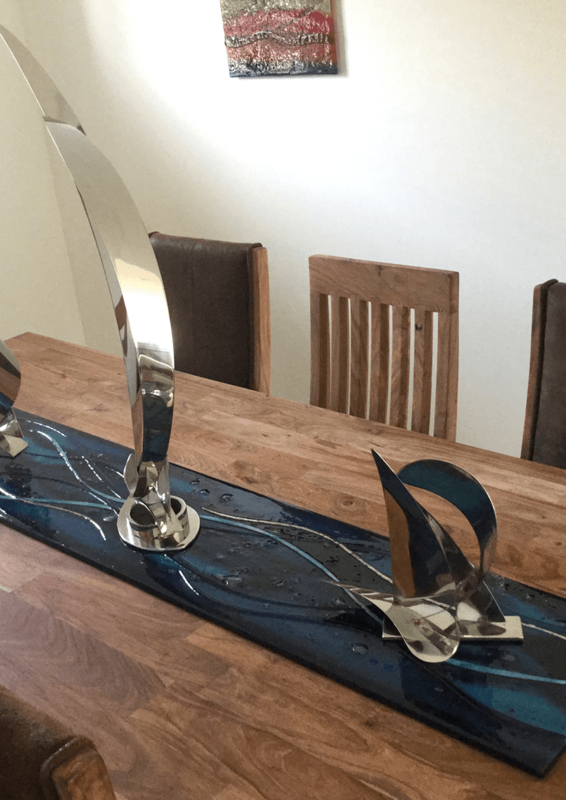 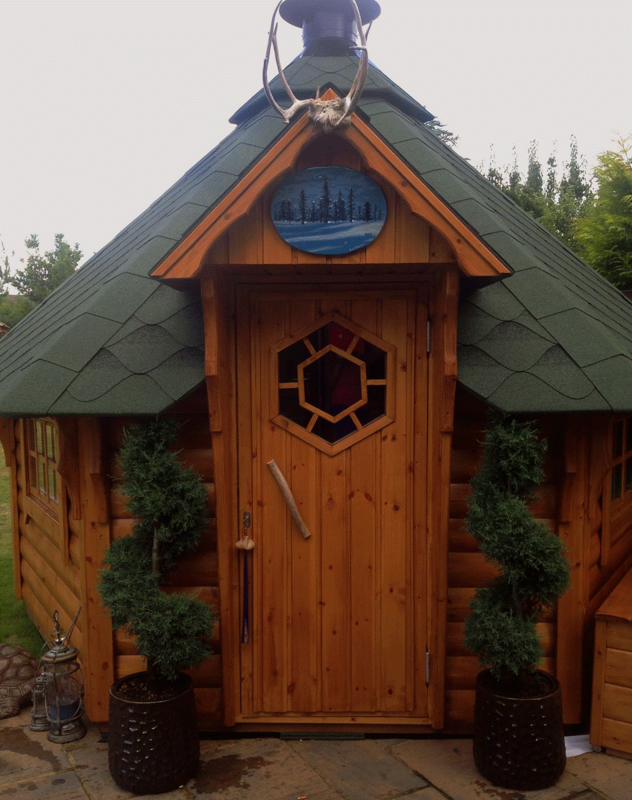 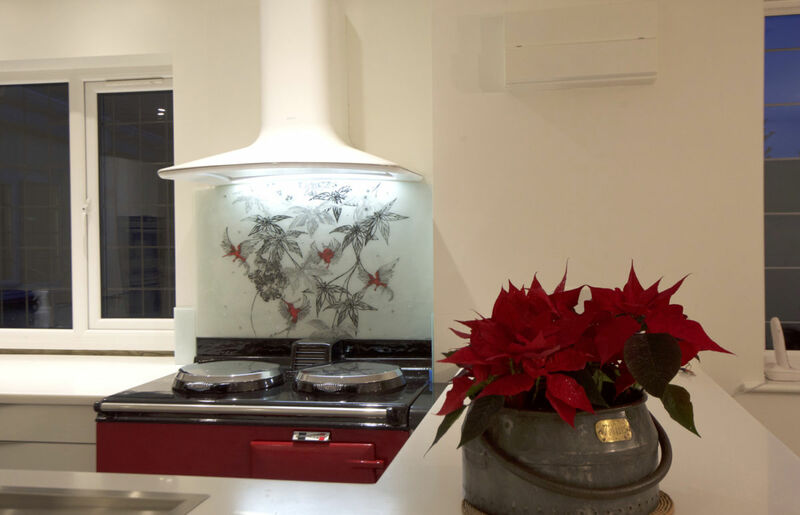 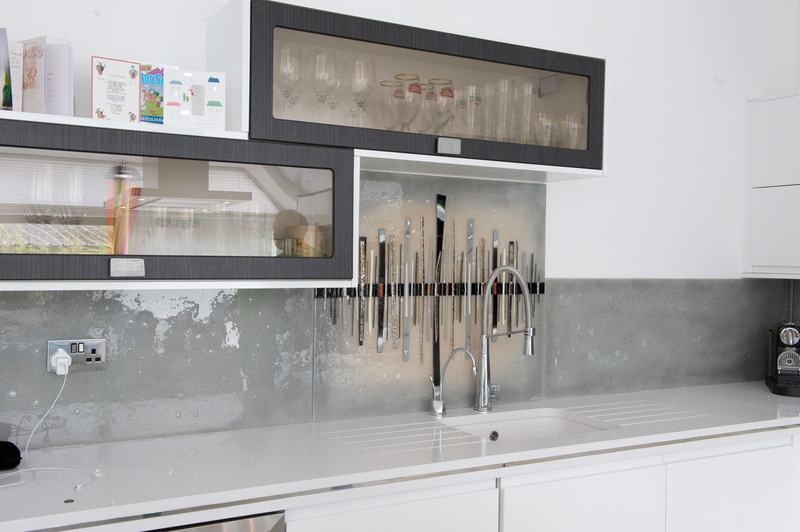 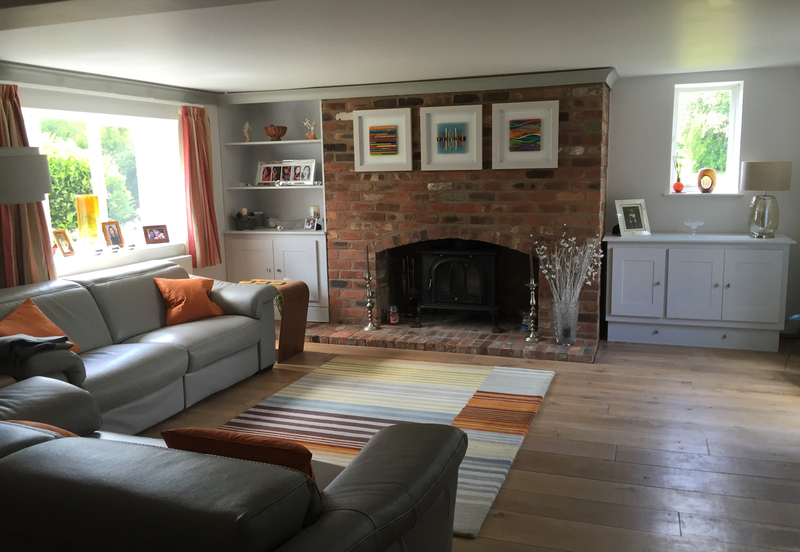 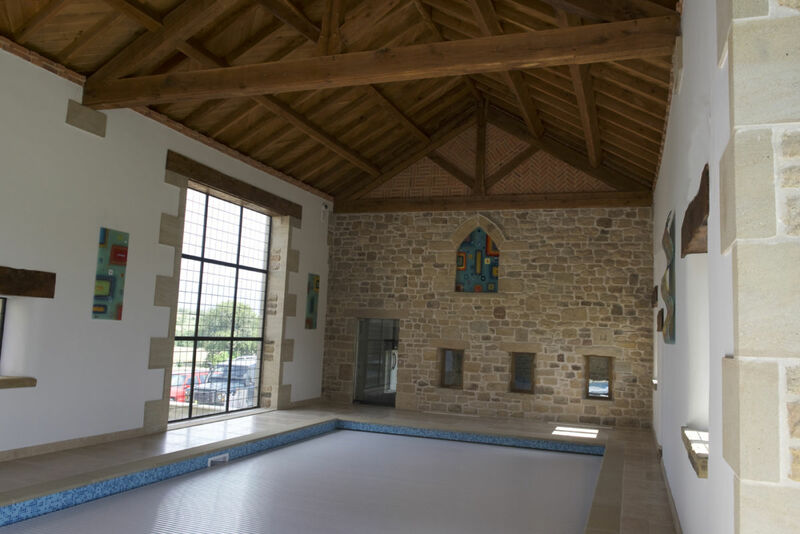 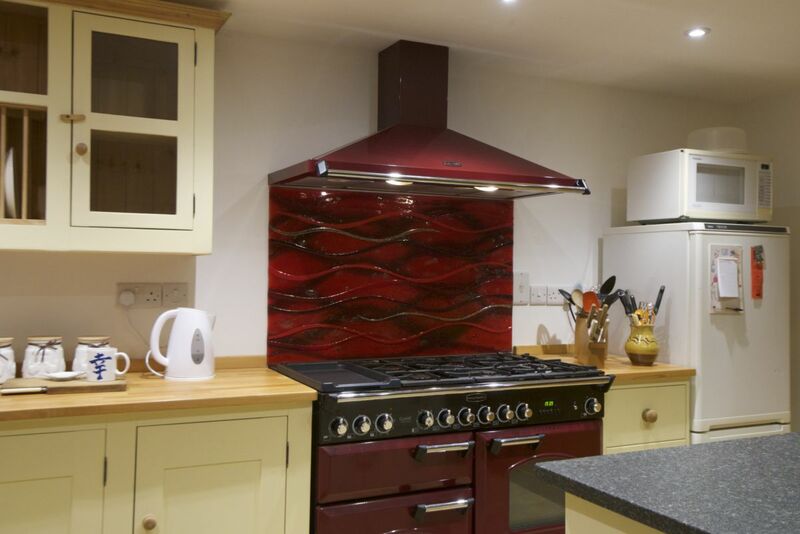 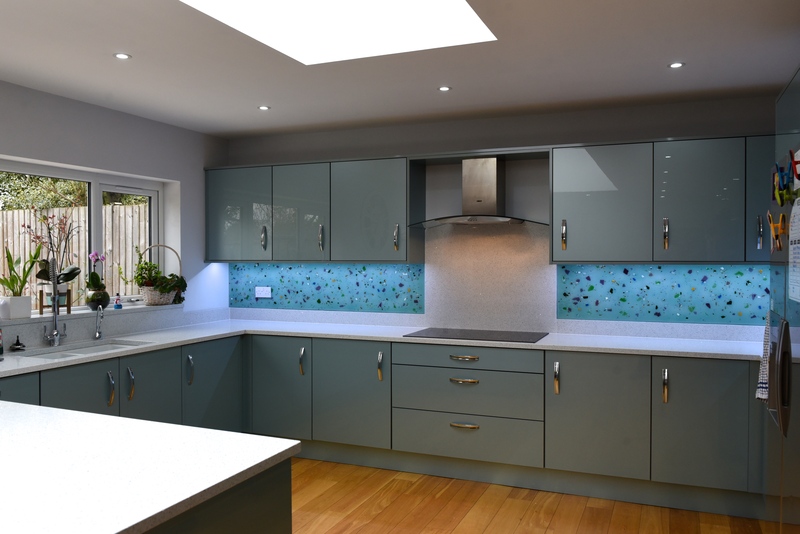 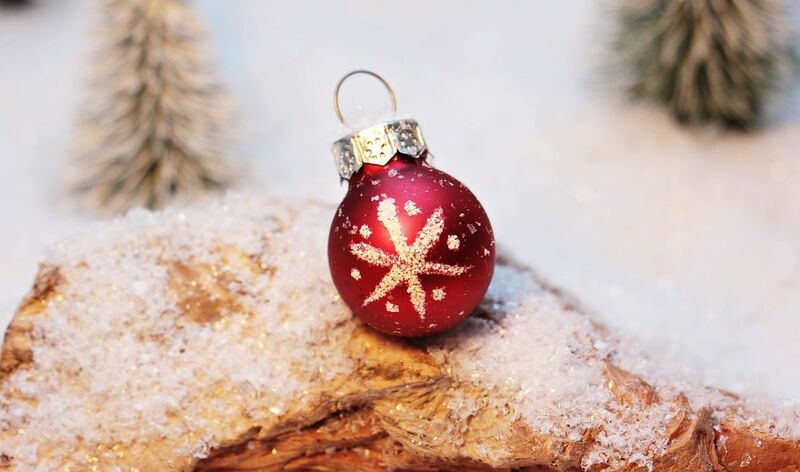 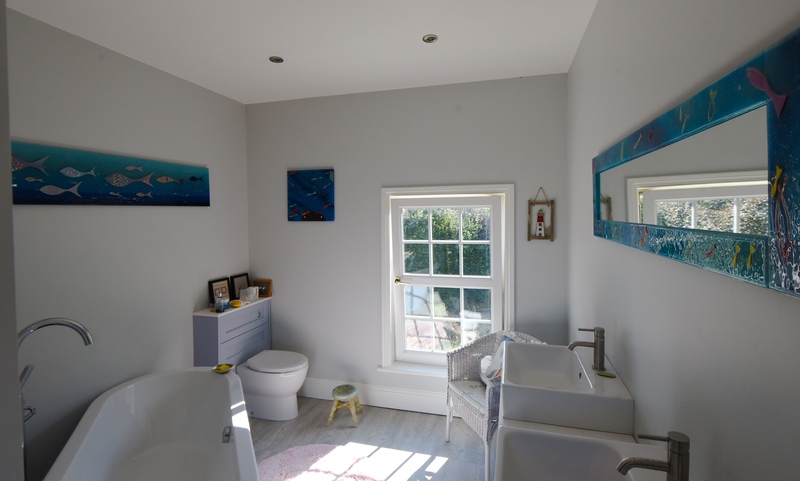 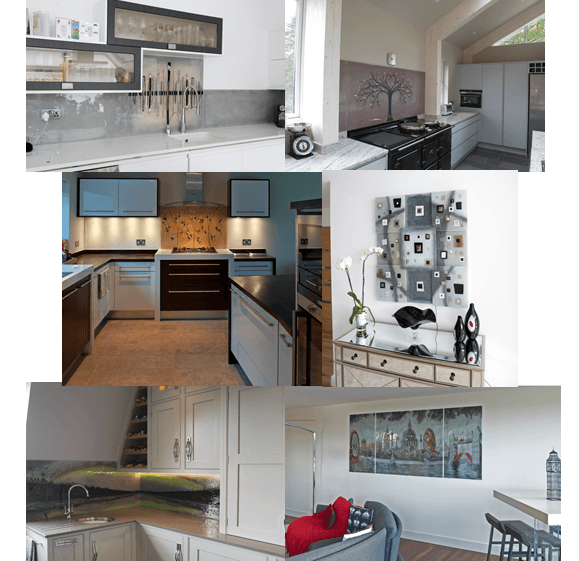 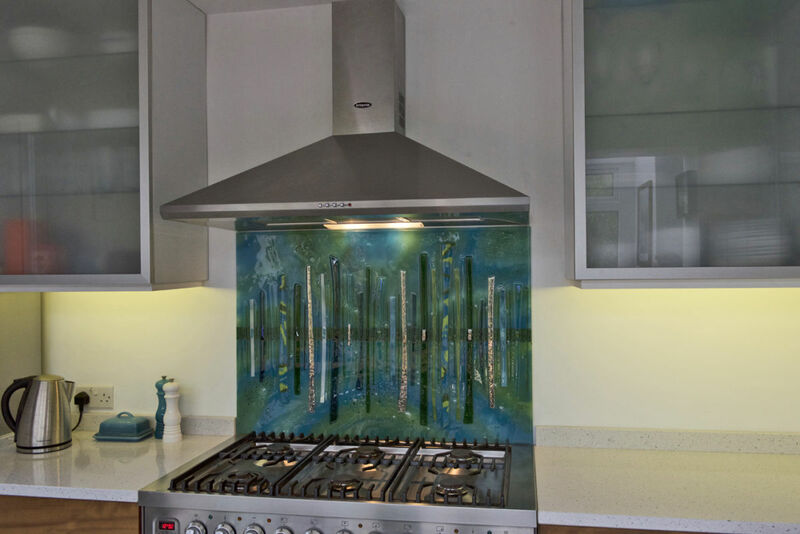 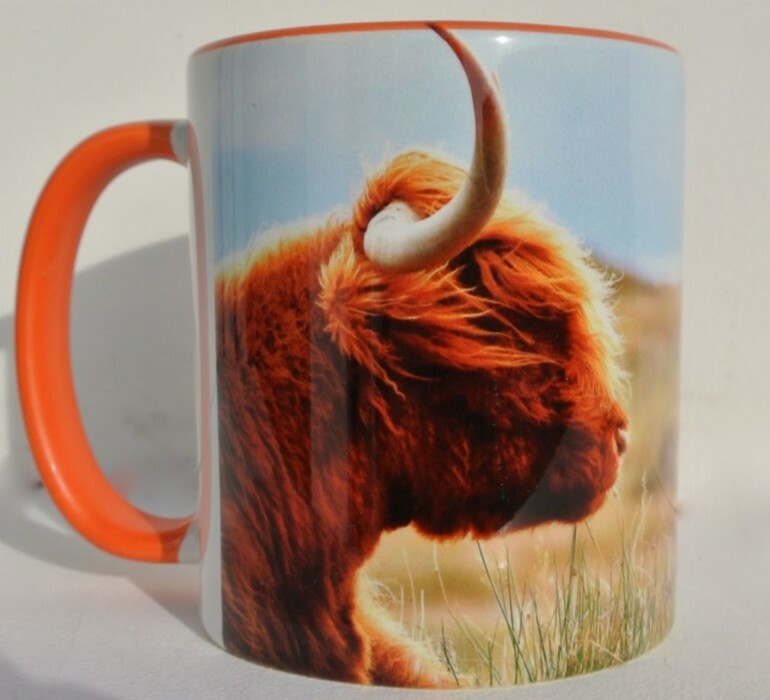 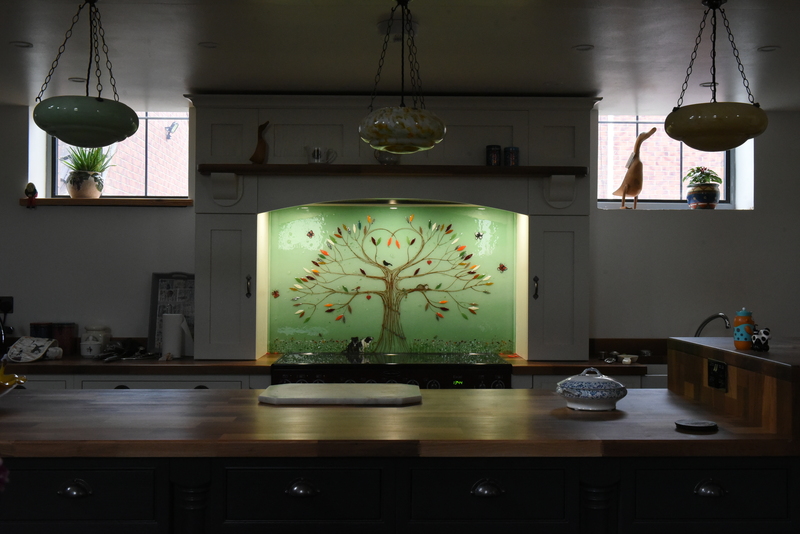 If you find yourself on the lookout for the perfect bespoke glass accessories to match a certain space you have in mind, then we here at The House of Ugly Fish would love to hear from you. 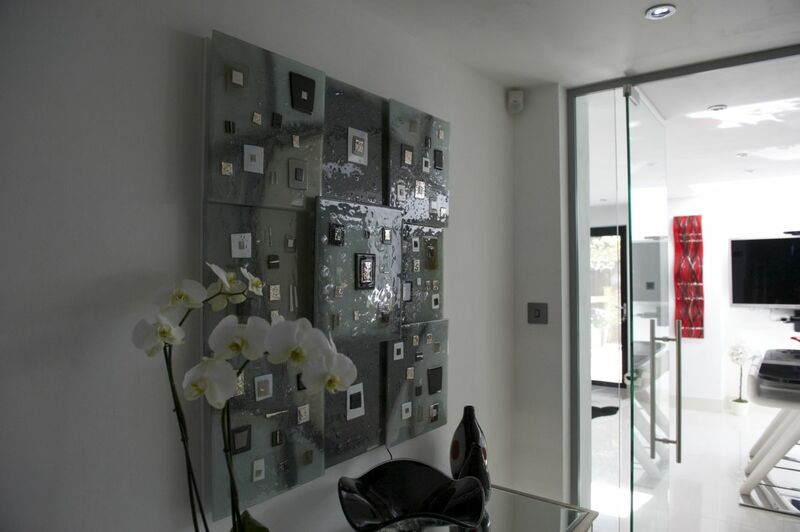 Every piece we create is truly special and completely unique, and your very own accessories should be no different. 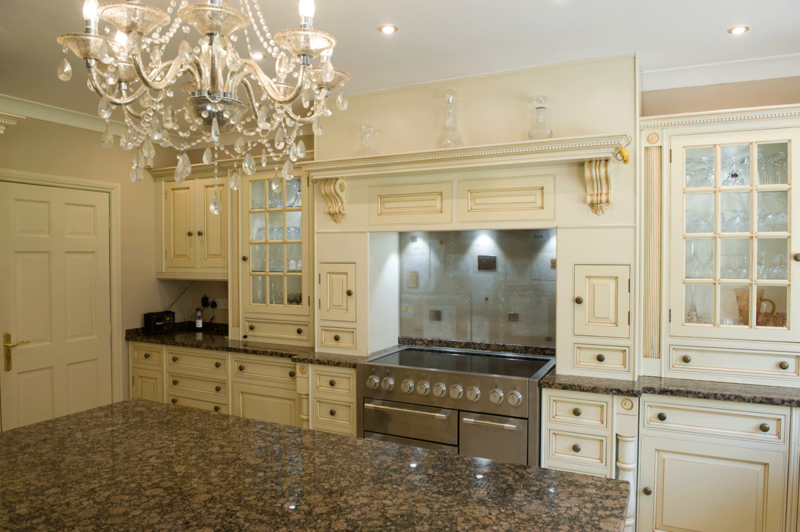 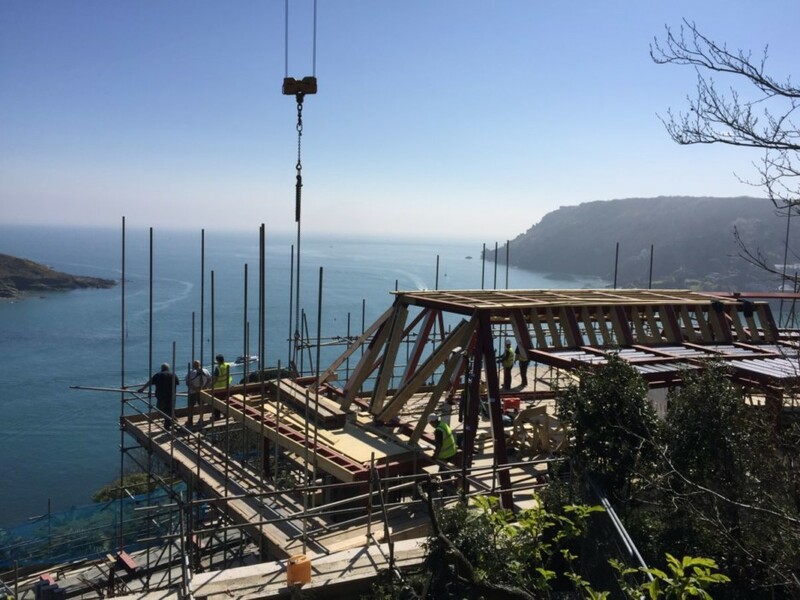 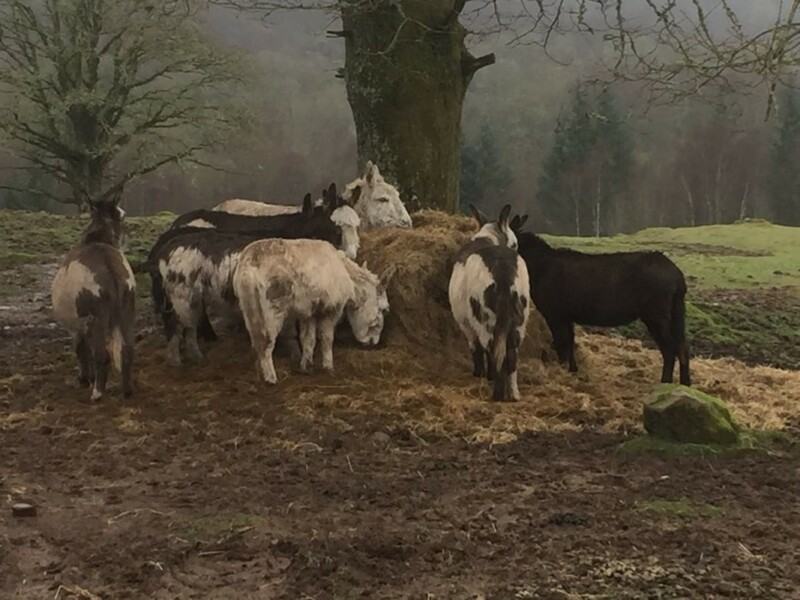 Whether that’s a genuinely bespoke piece or something from our sales stock, we’ll be more than happy to provide what you need. 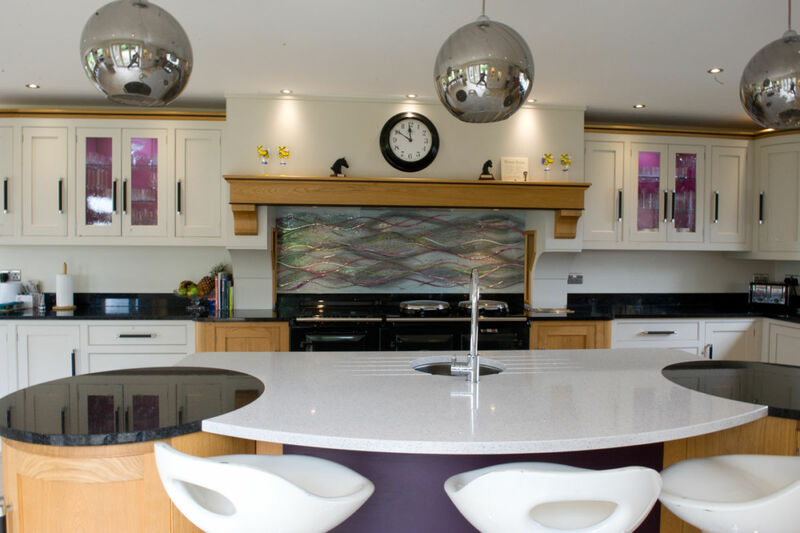 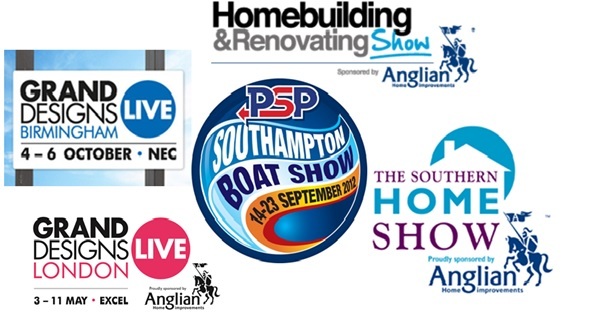 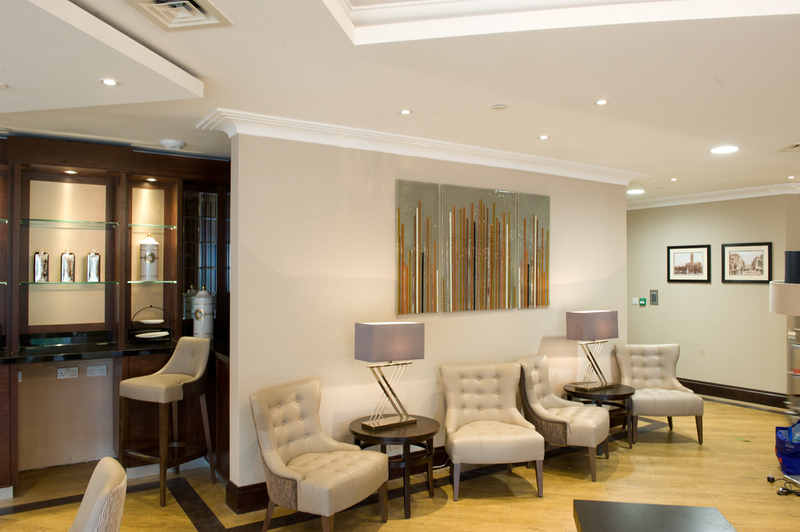 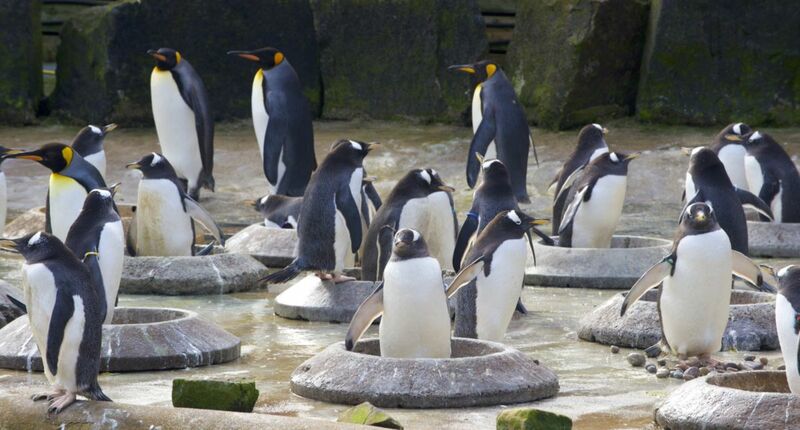 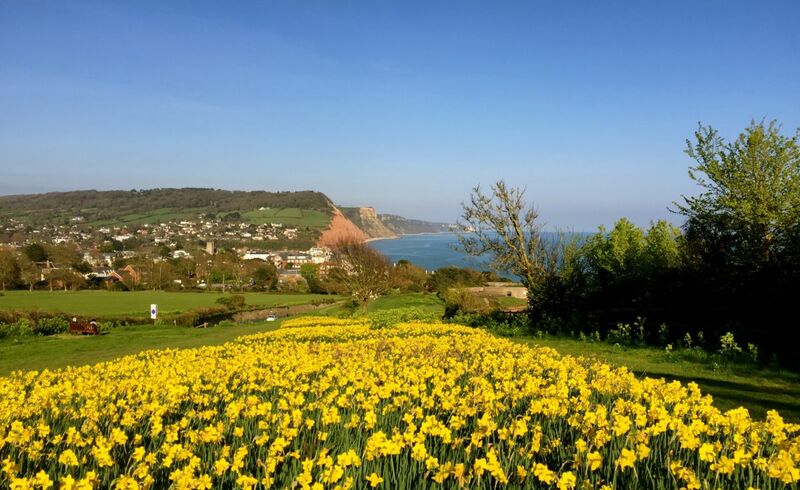 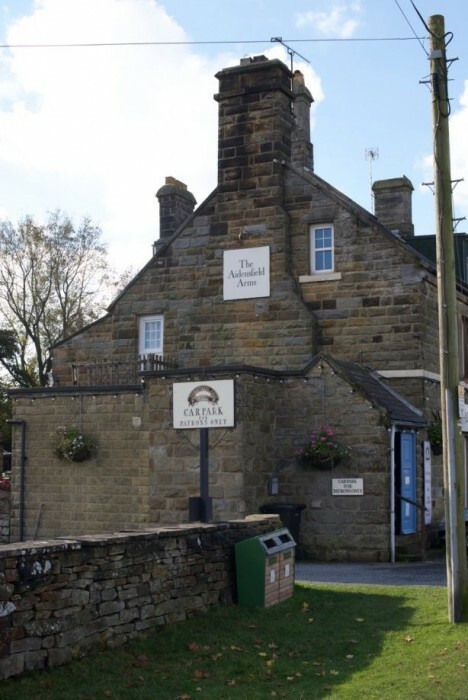 Don’t wait to pick up the phone or drop us an email as soon as you can!